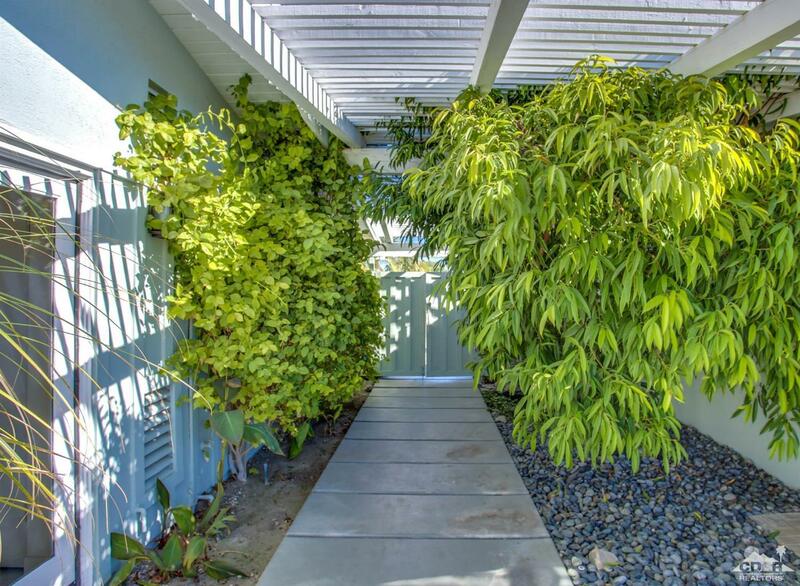 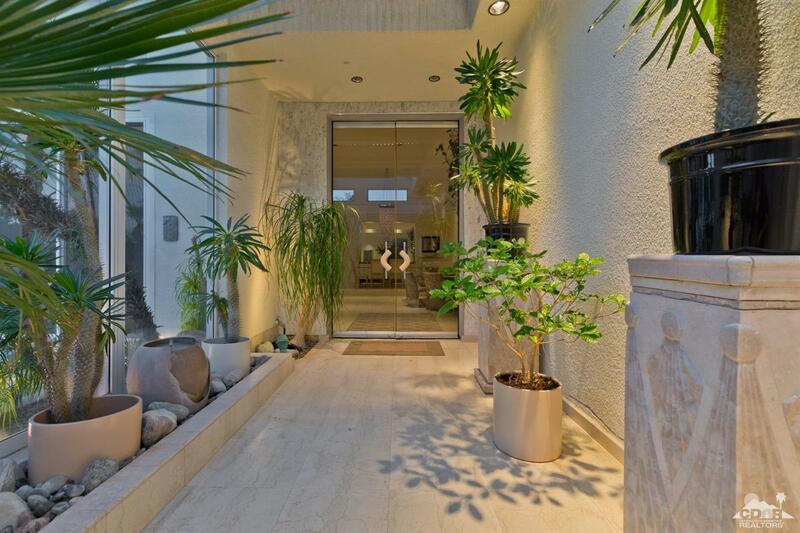 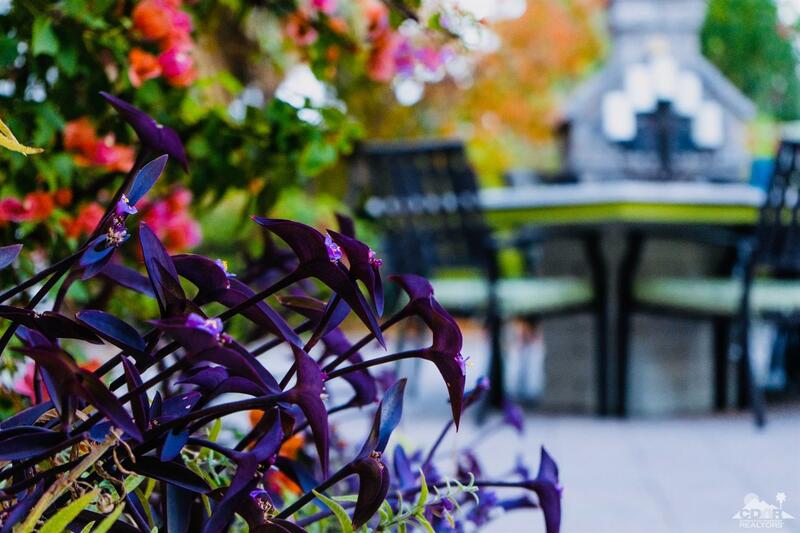 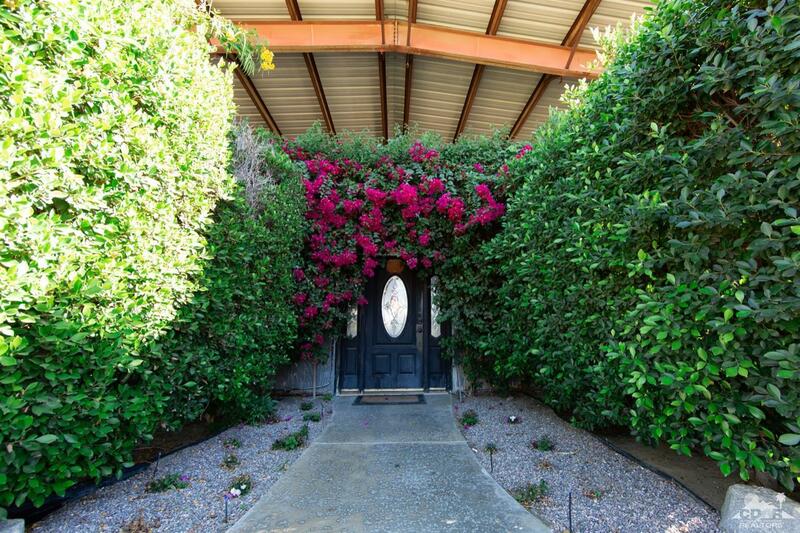 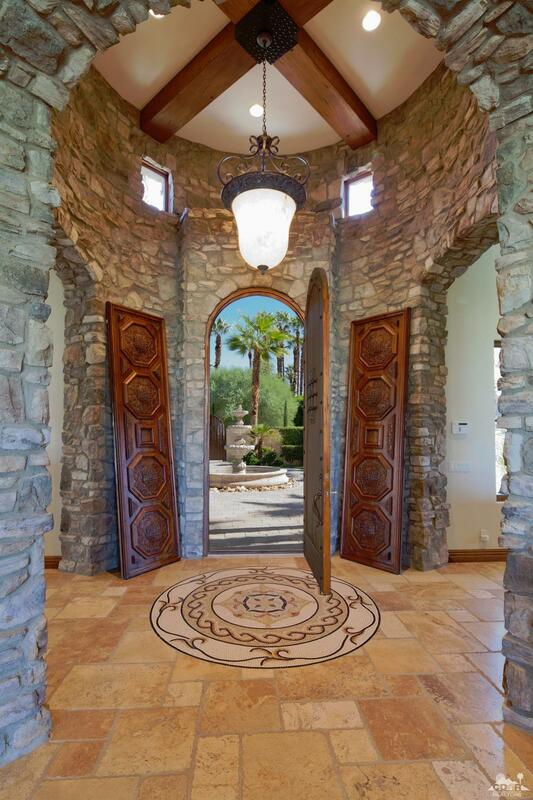 Inviting curb appeal with manicured landscaping and stone pathway leading to a courtyard entry. 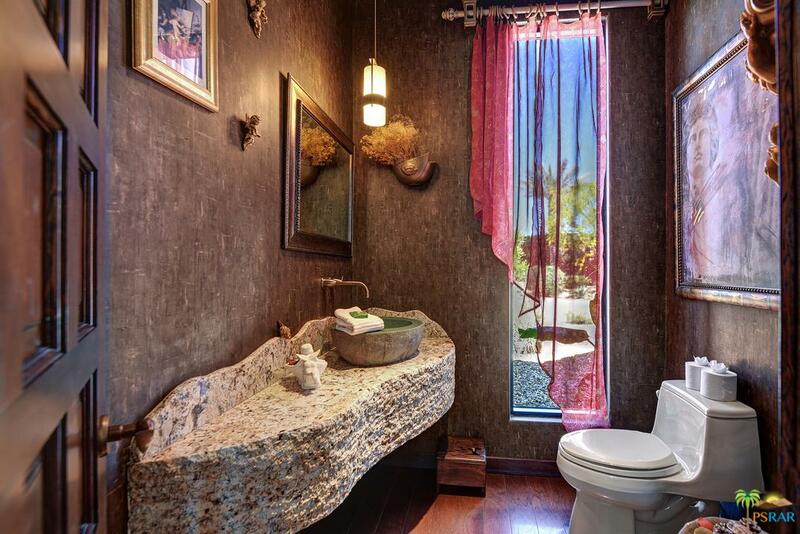 The mountain views are magnificent. 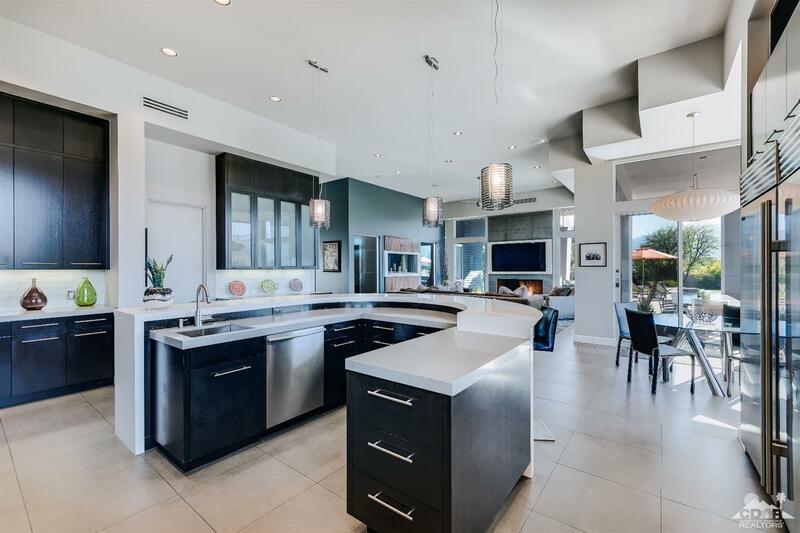 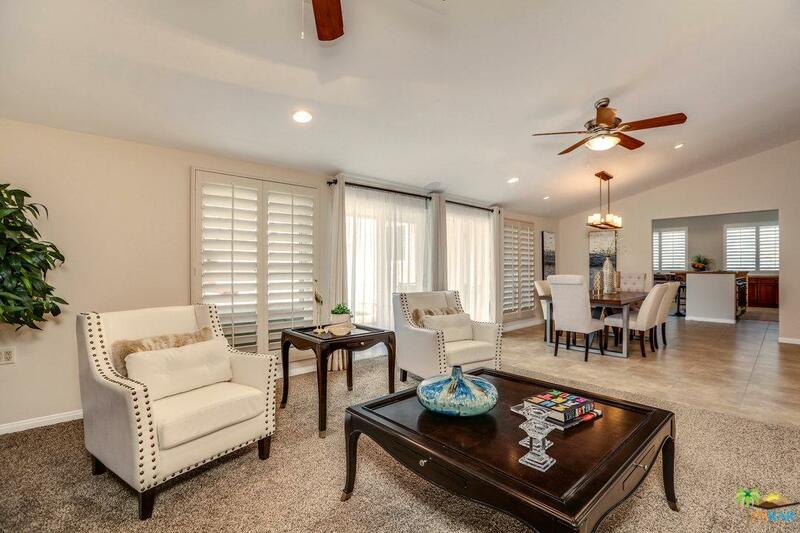 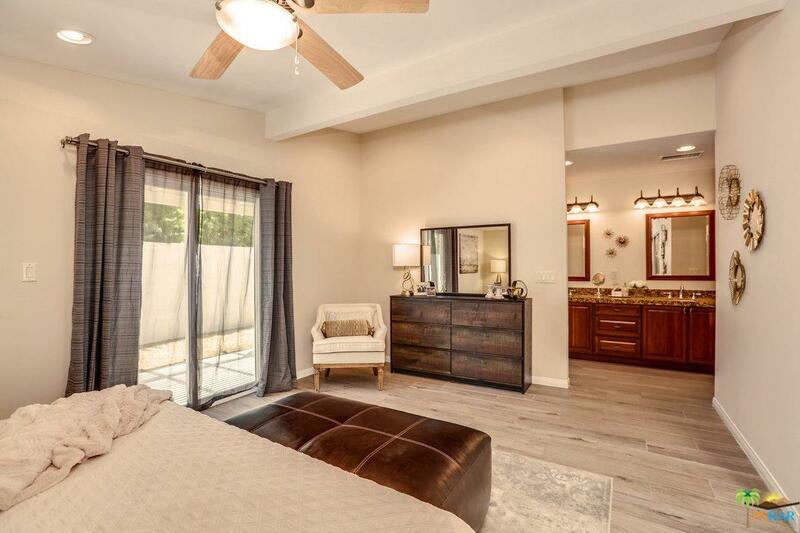 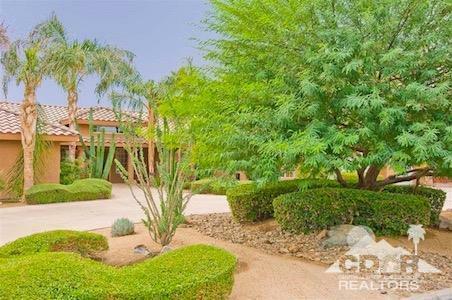 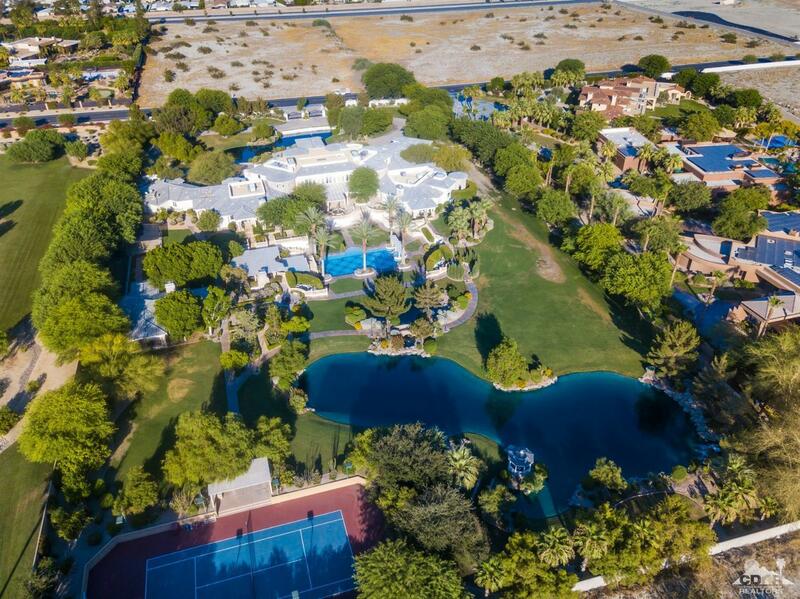 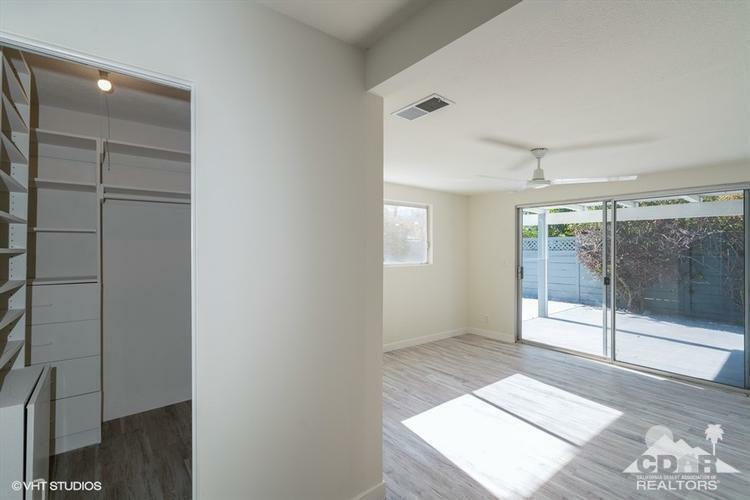 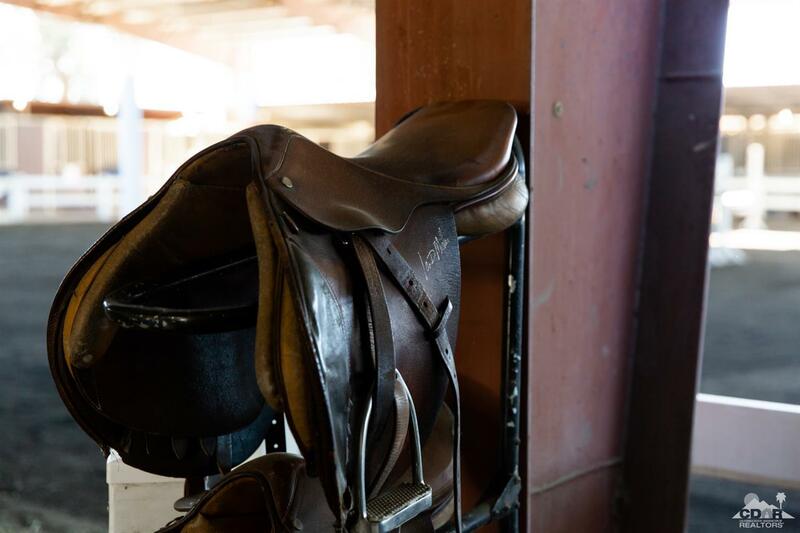 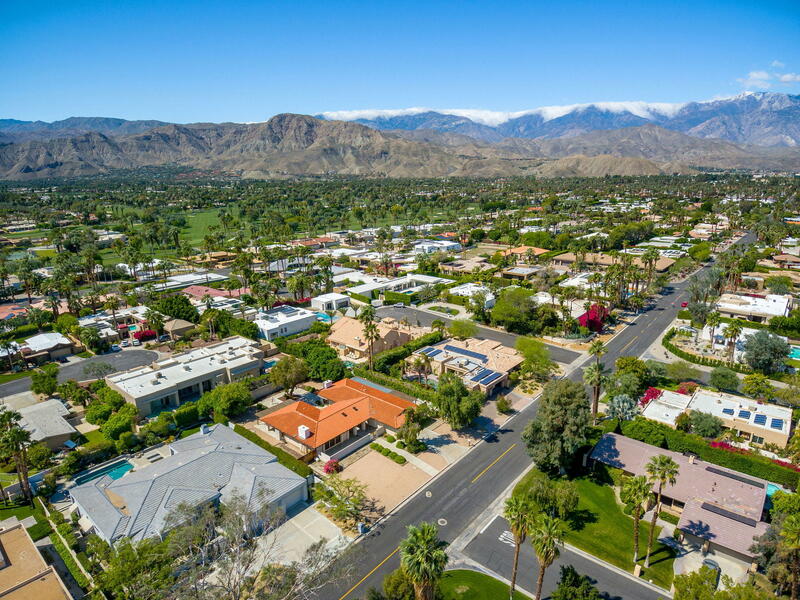 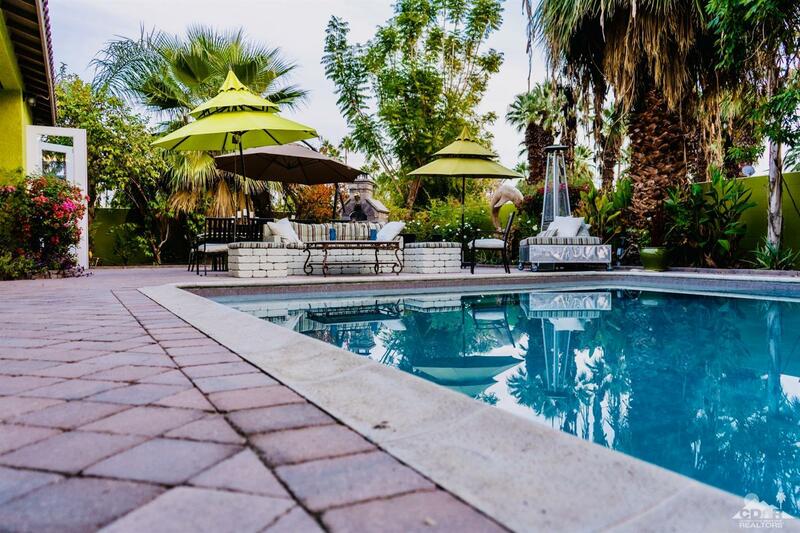 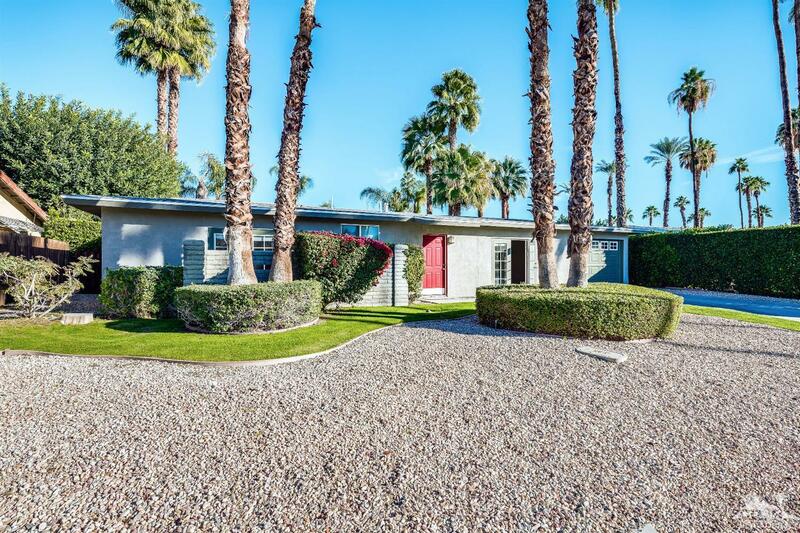 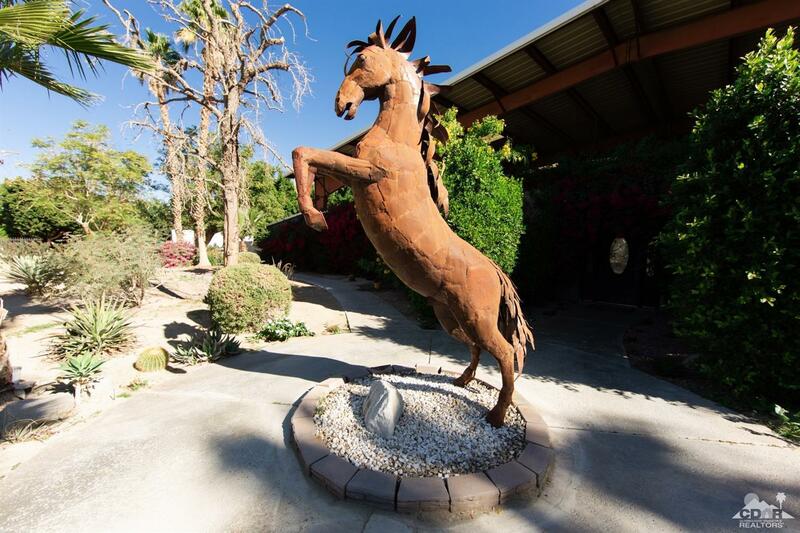 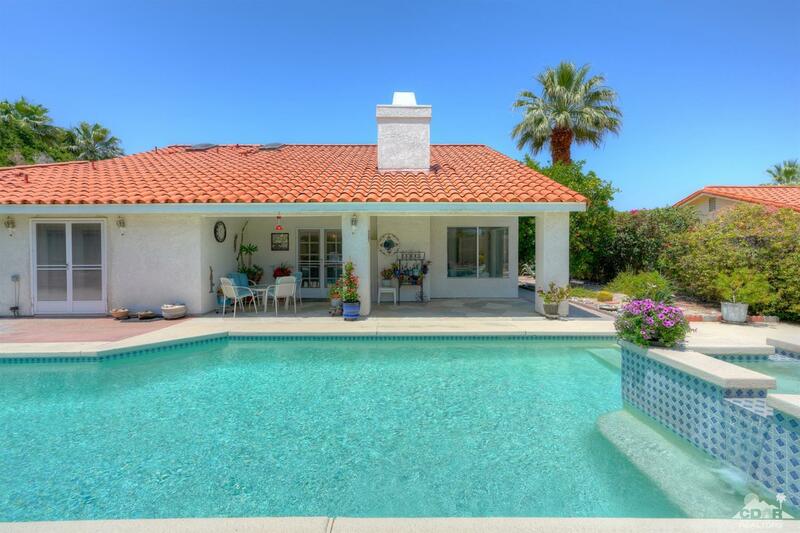 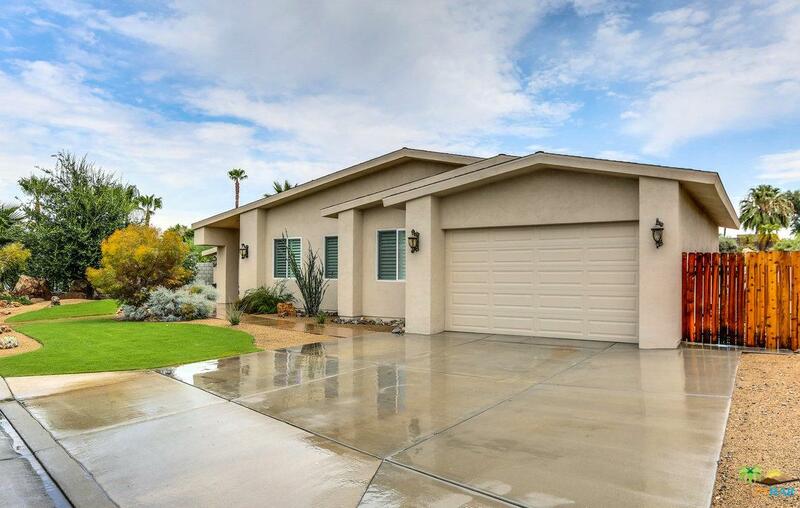 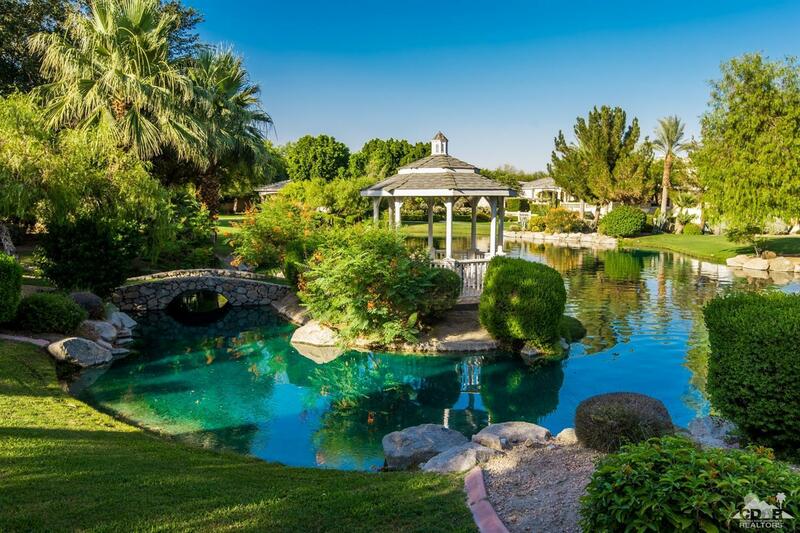 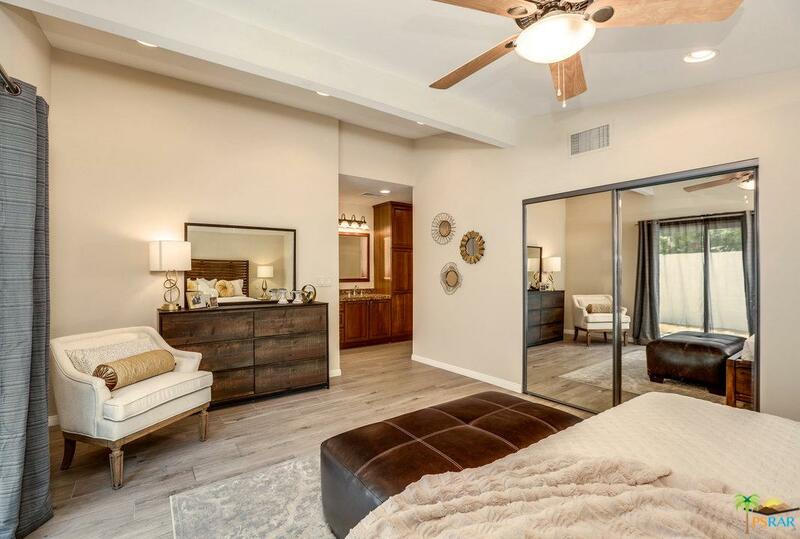 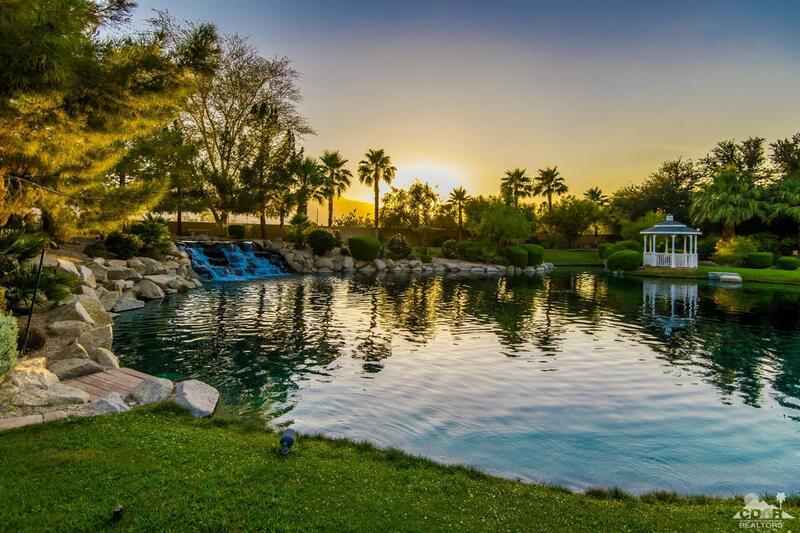 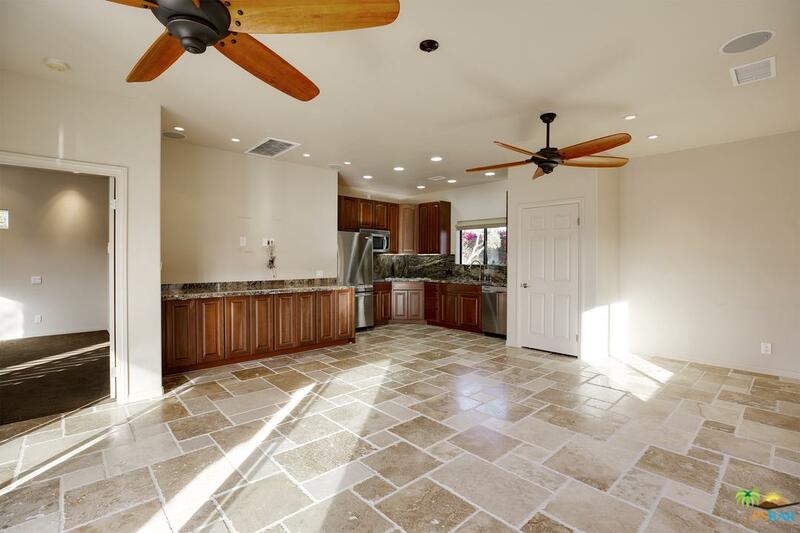 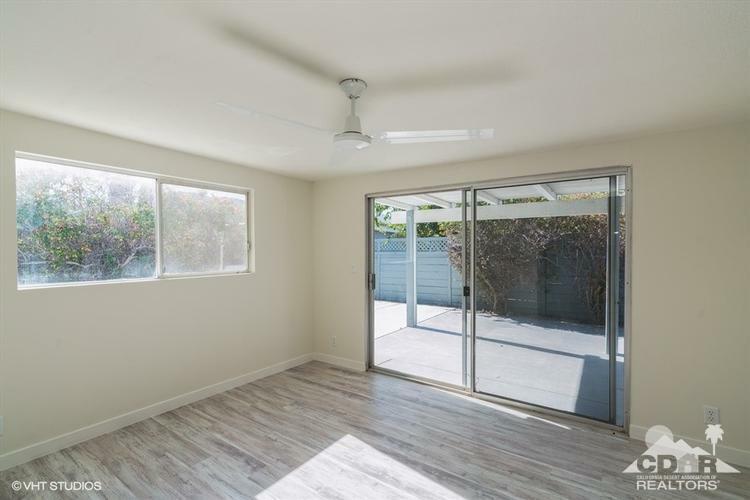 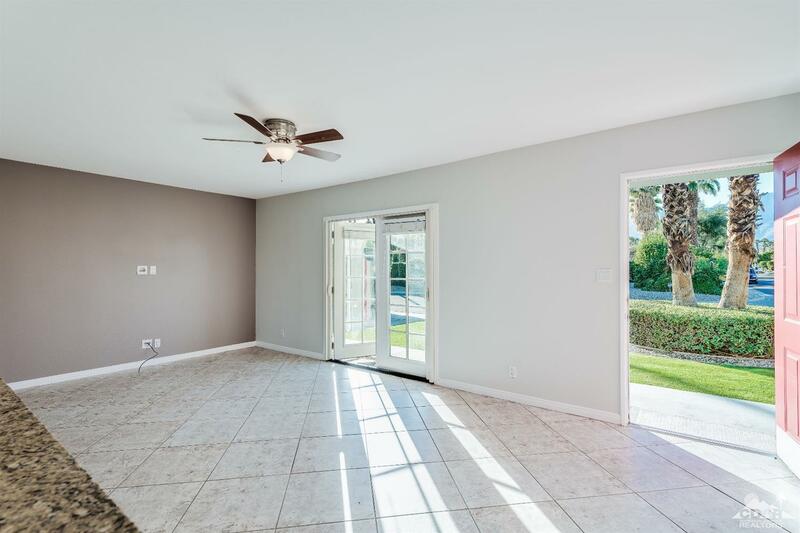 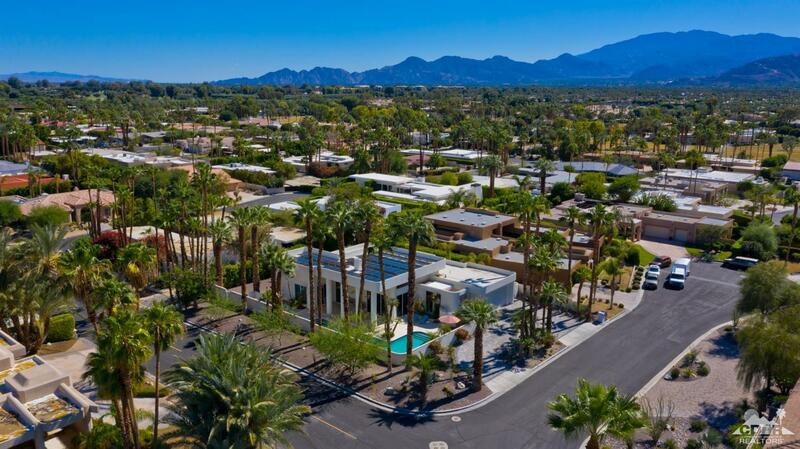 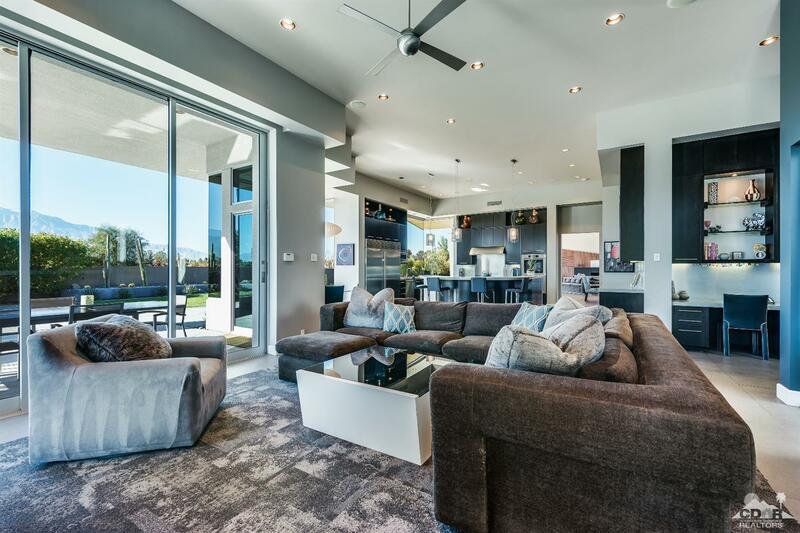 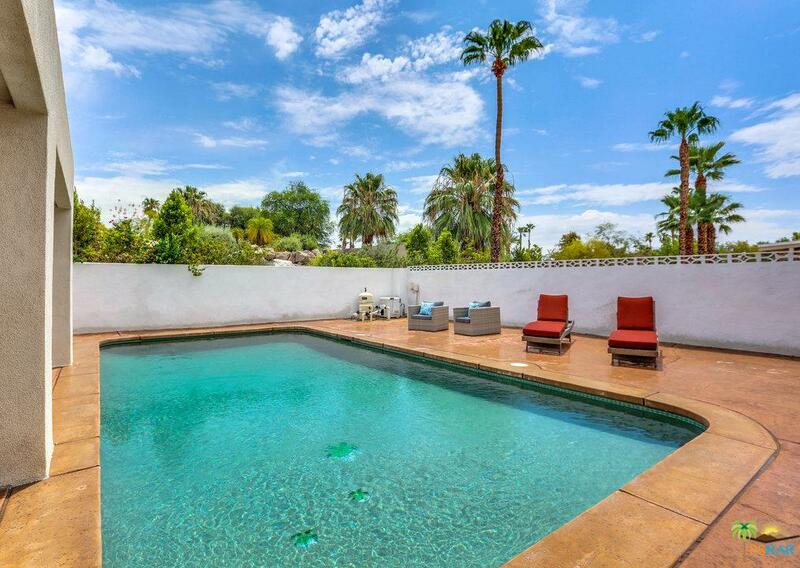 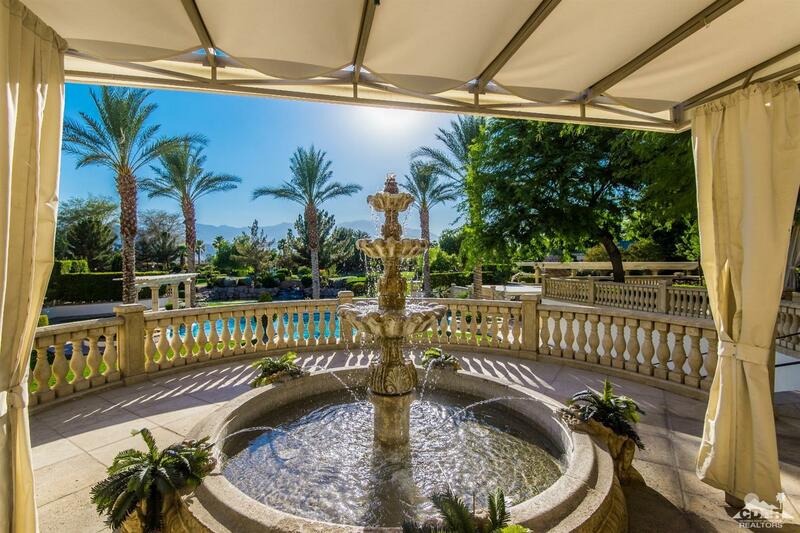 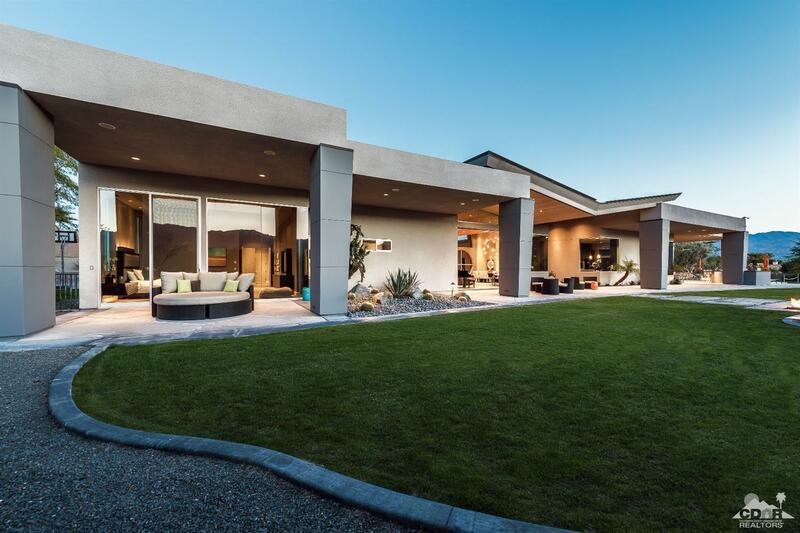 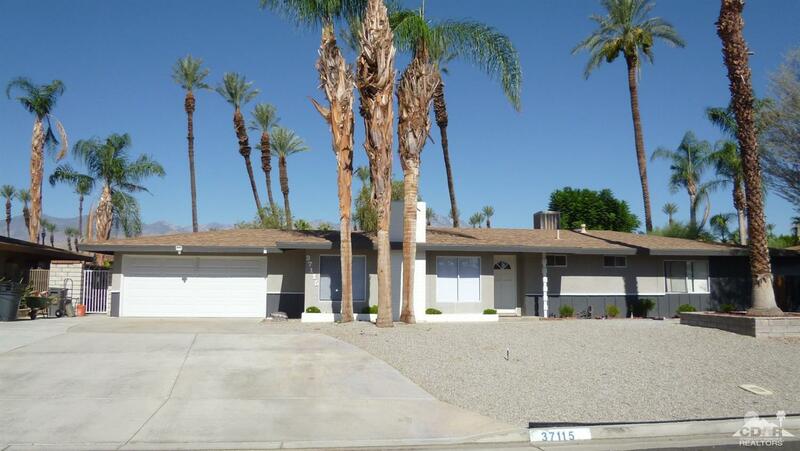 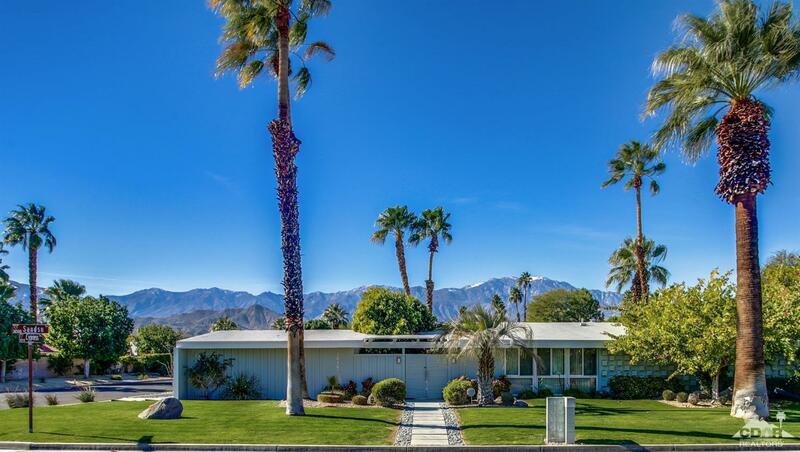 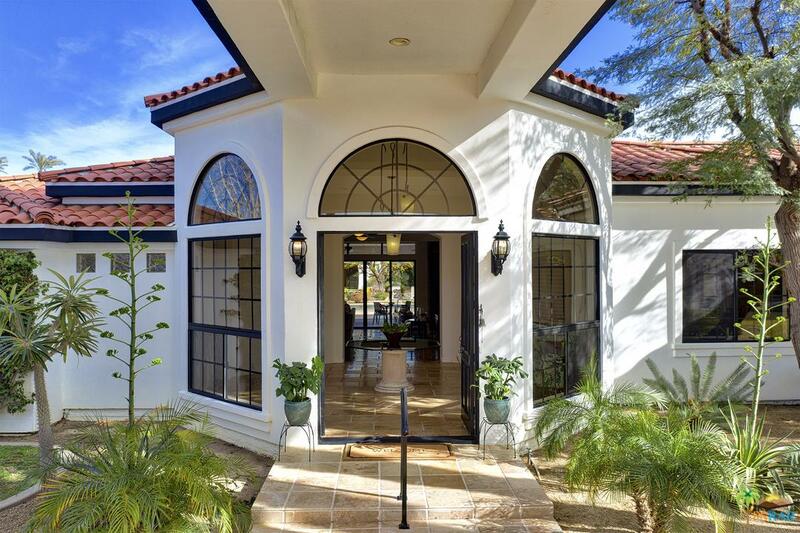 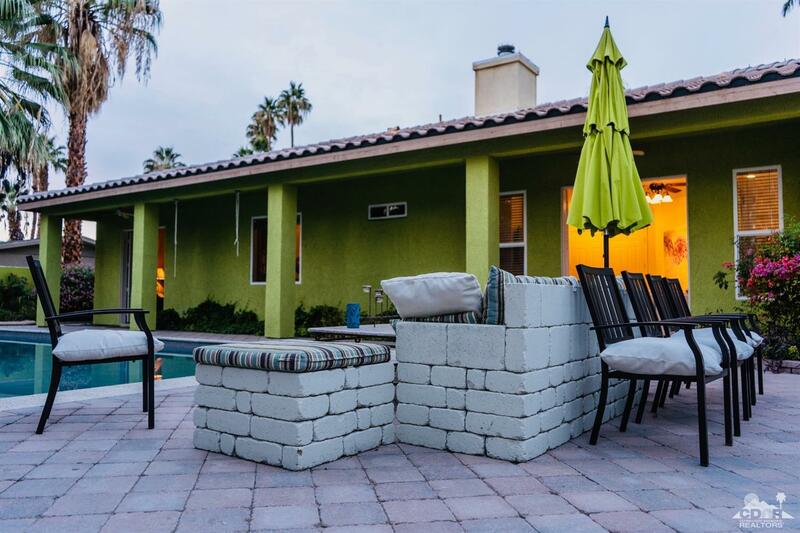 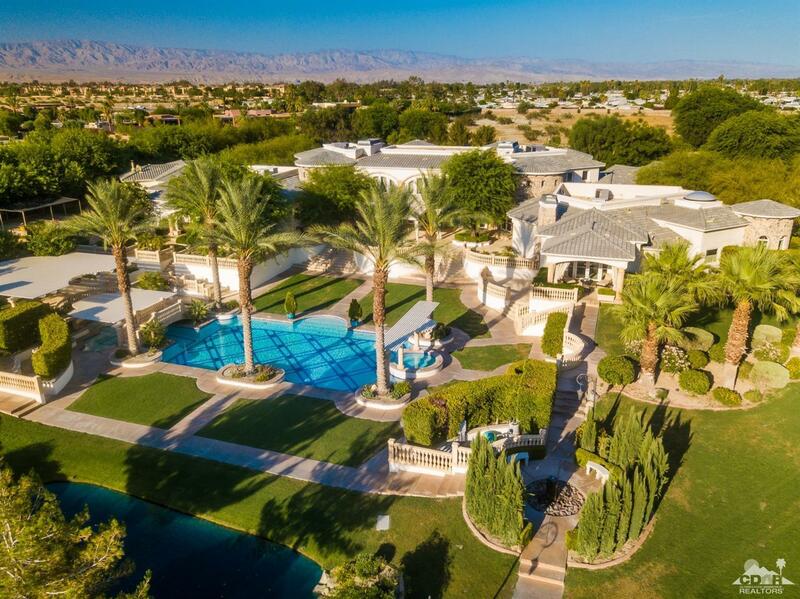 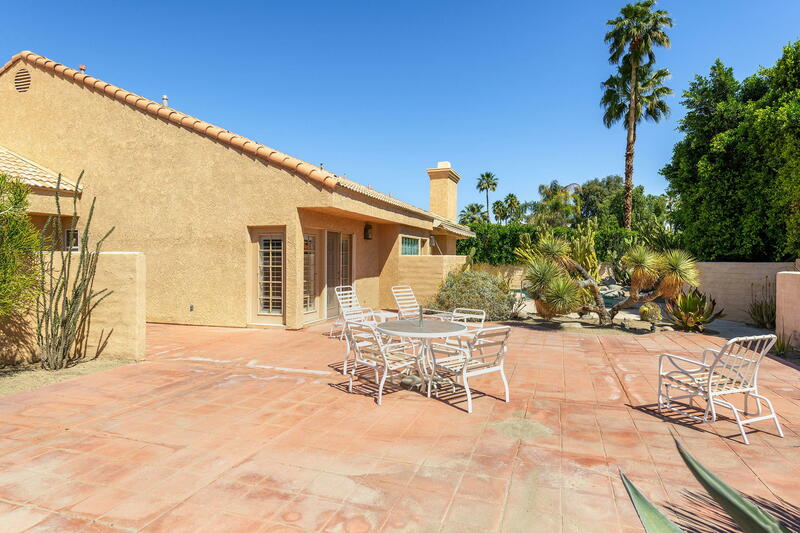 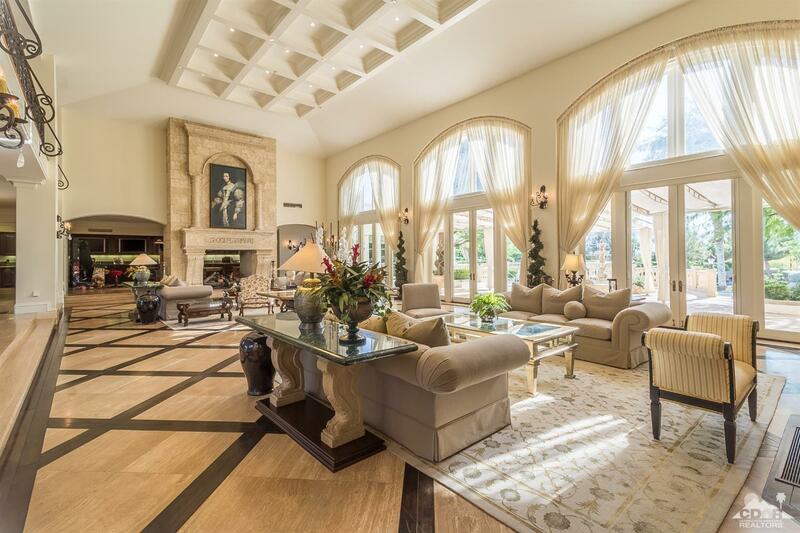 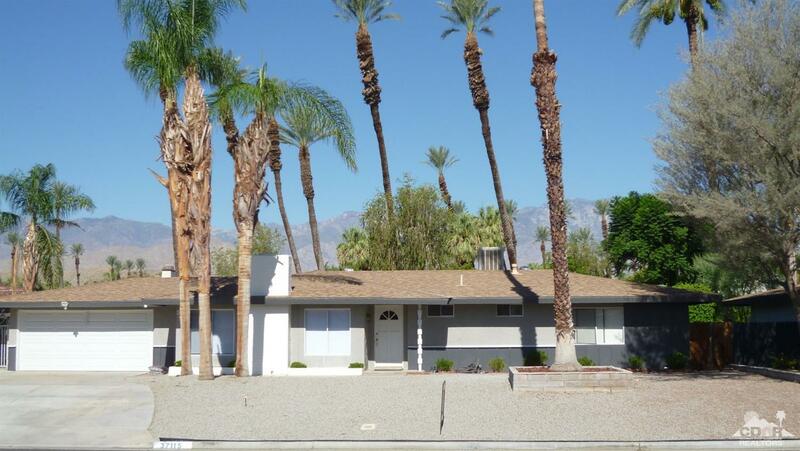 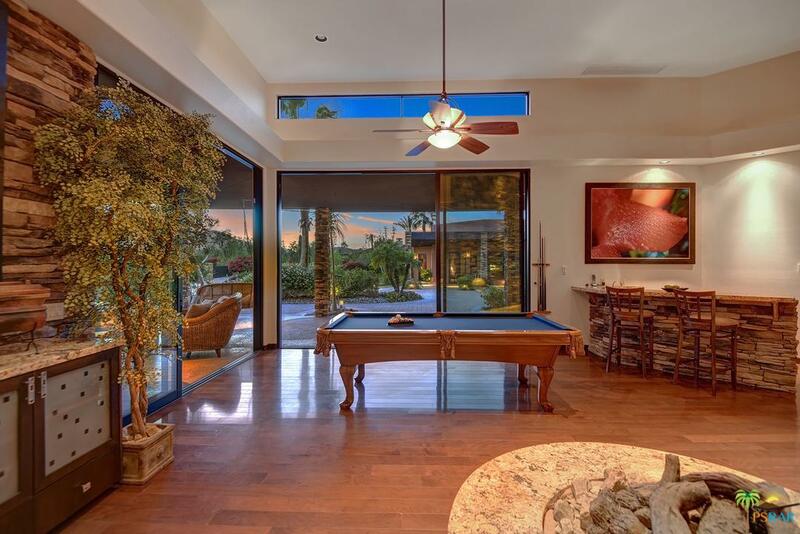 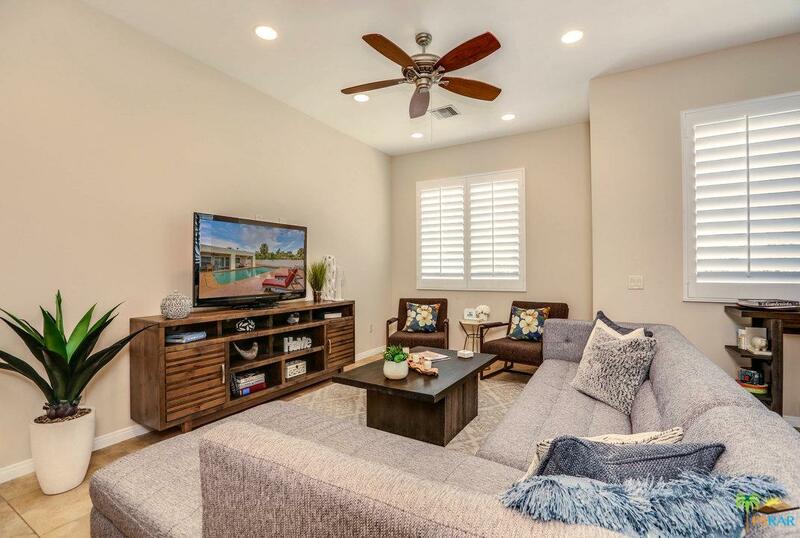 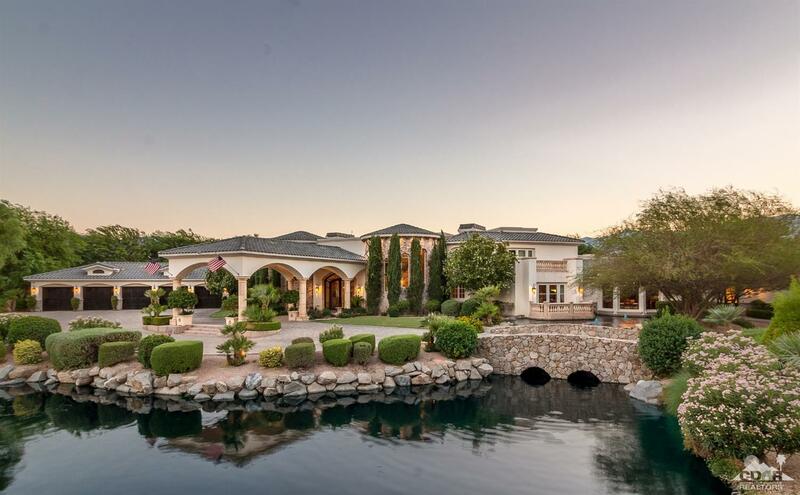 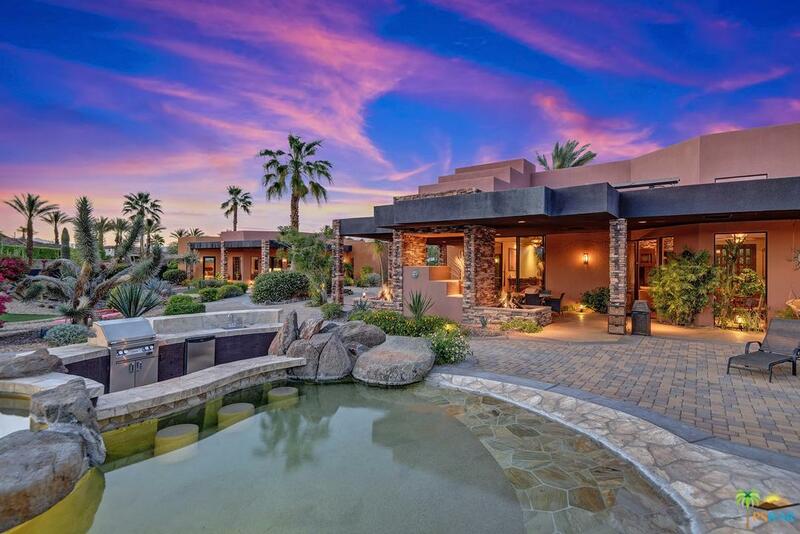 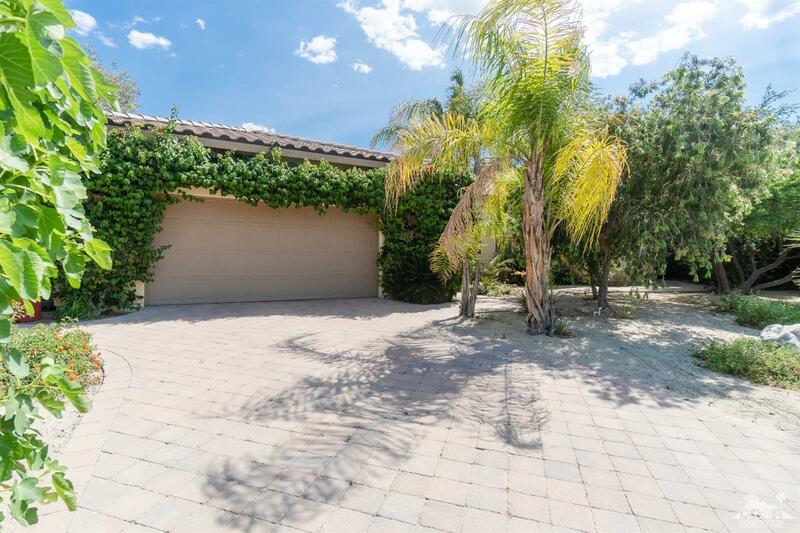 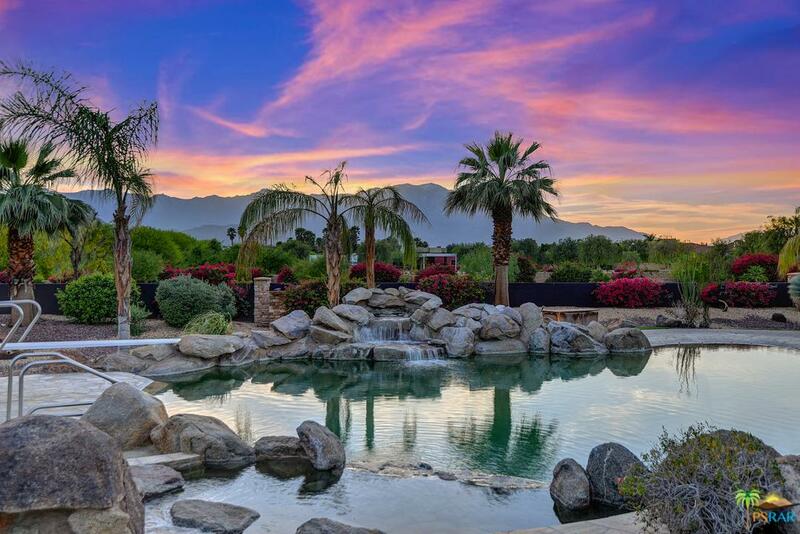 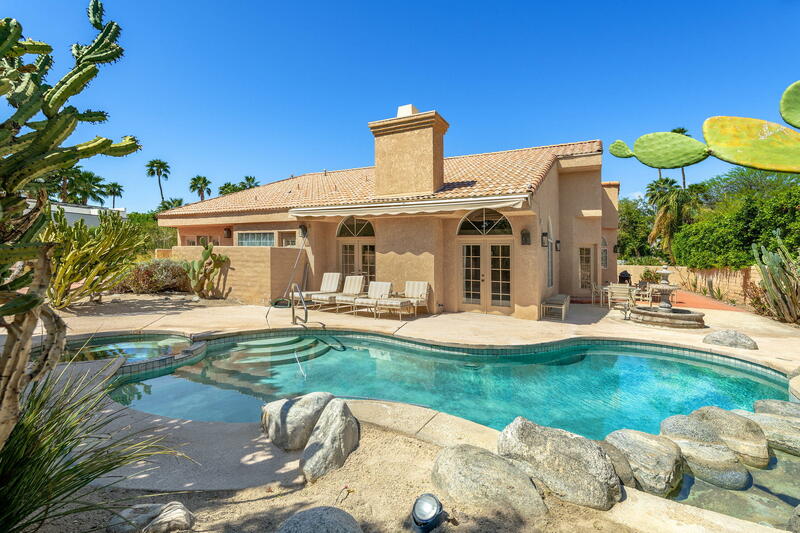 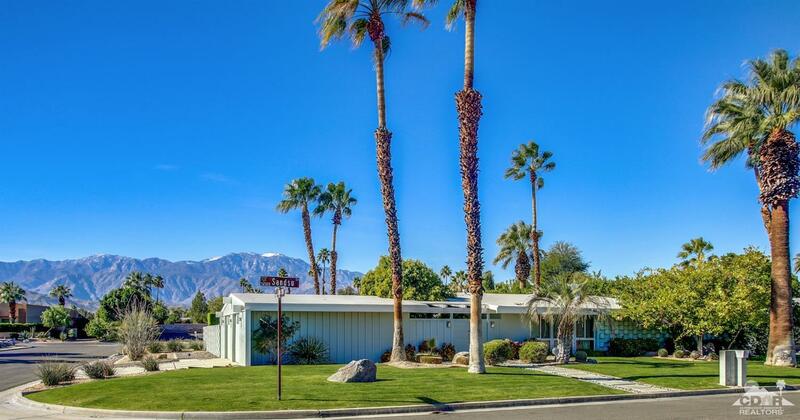 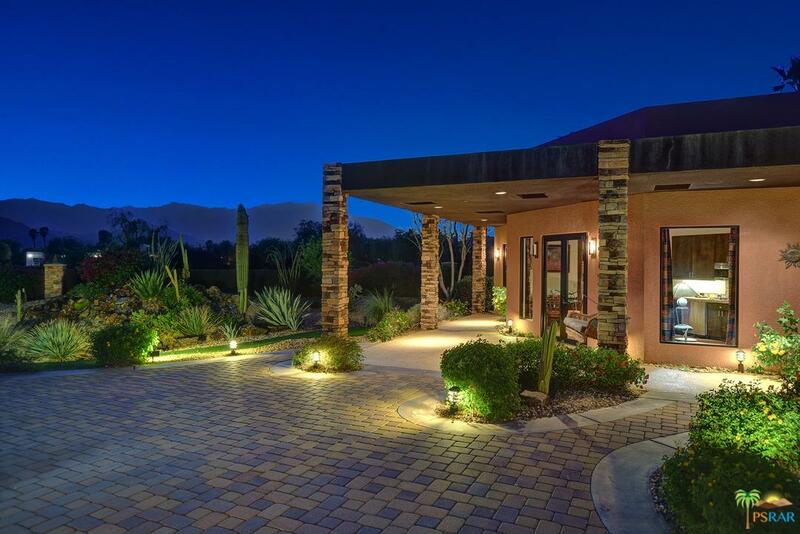 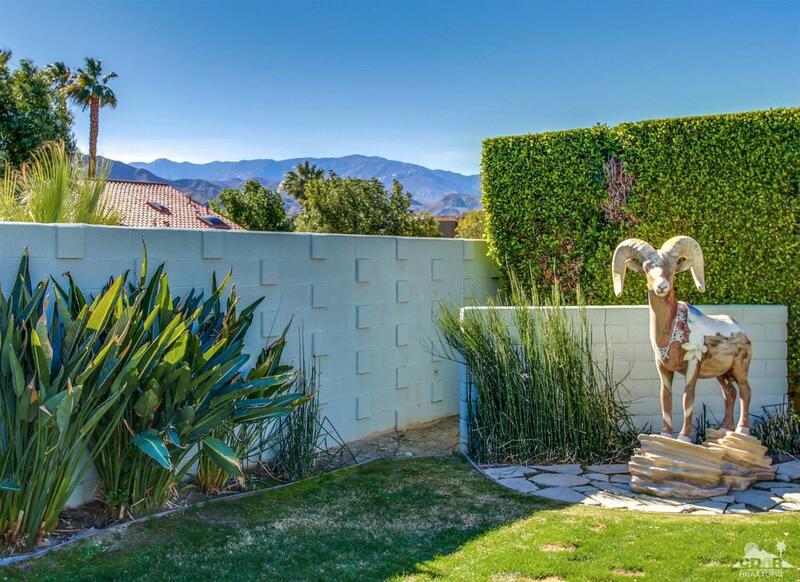 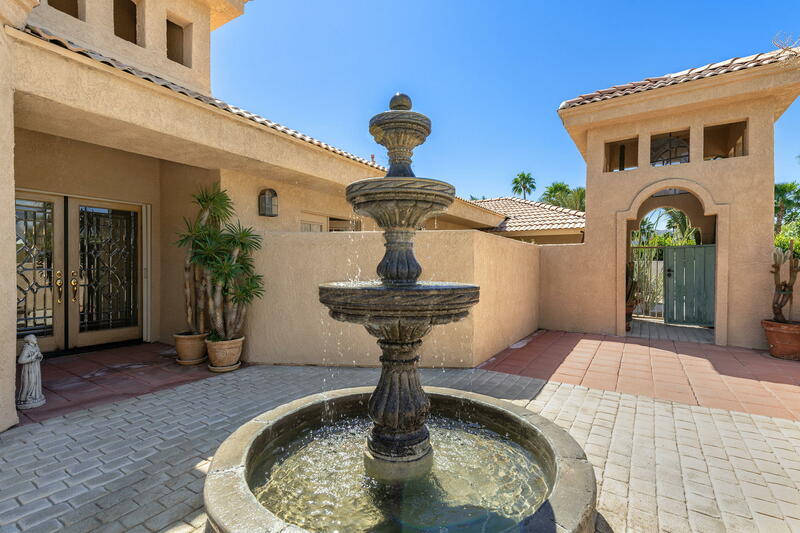 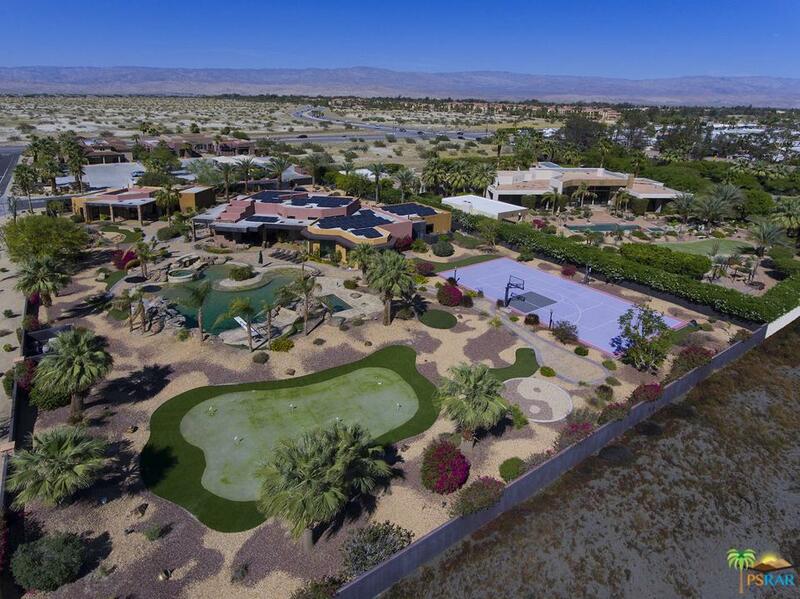 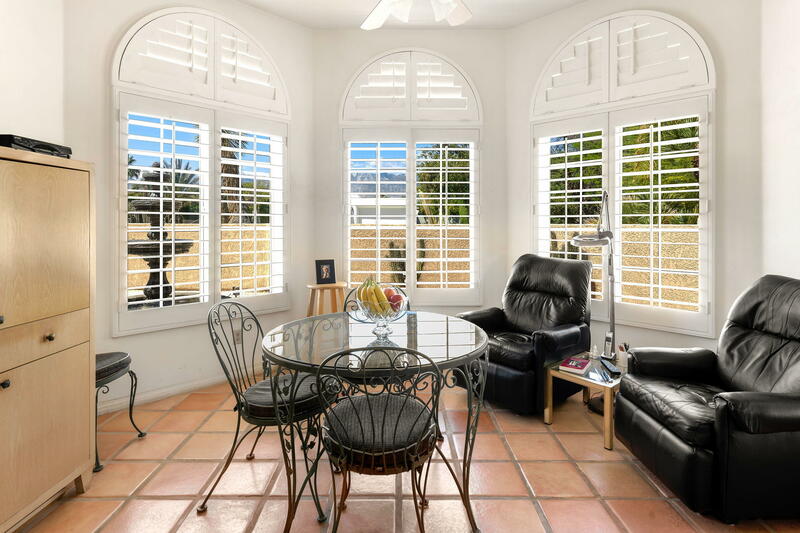 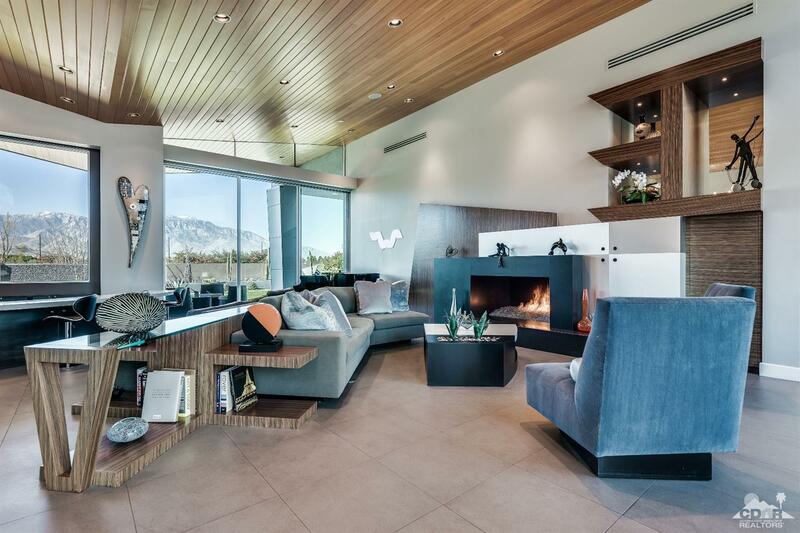 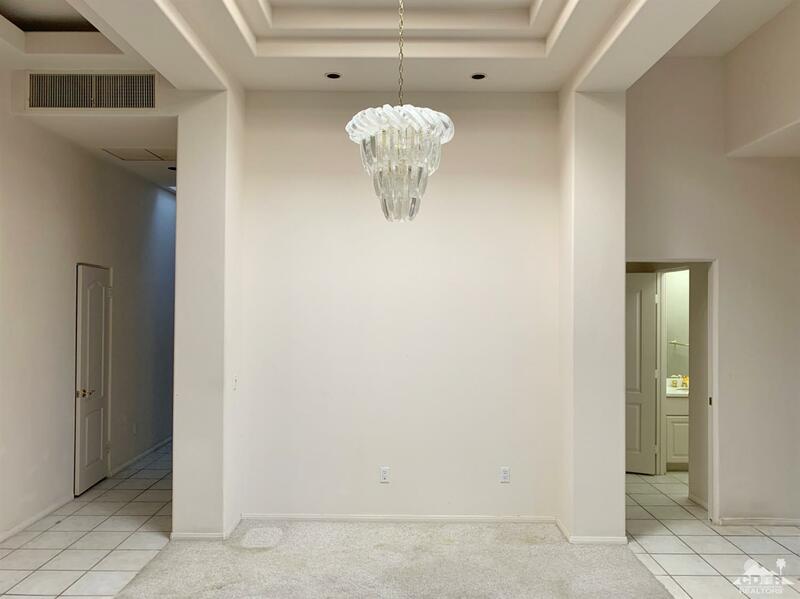 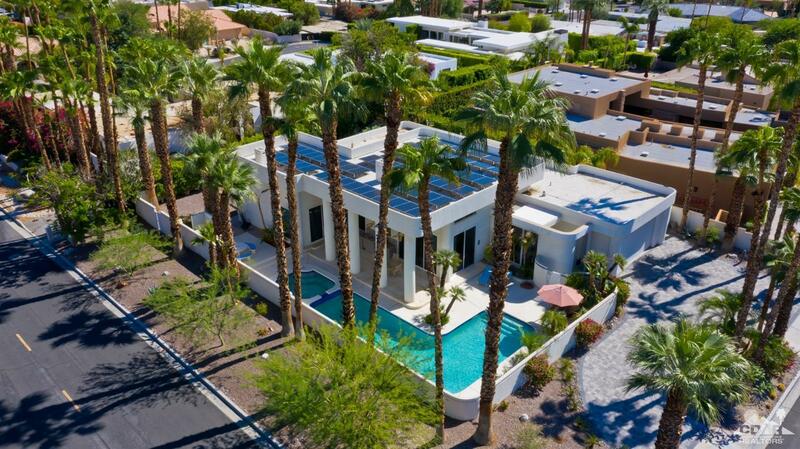 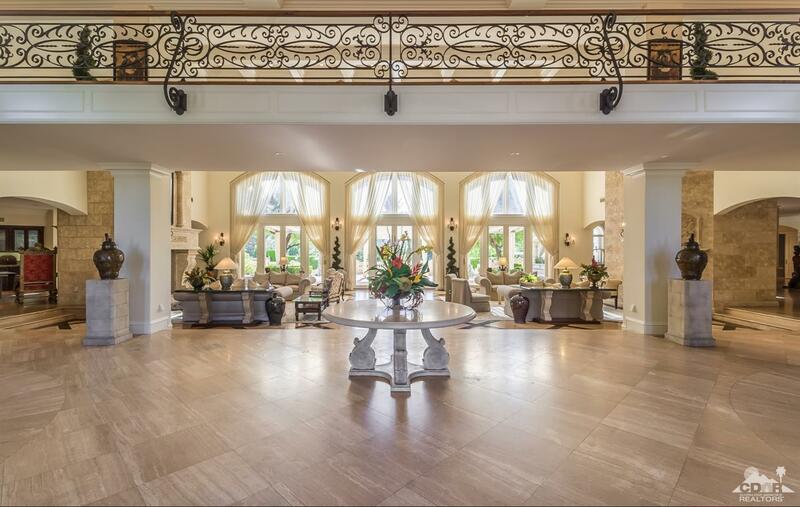 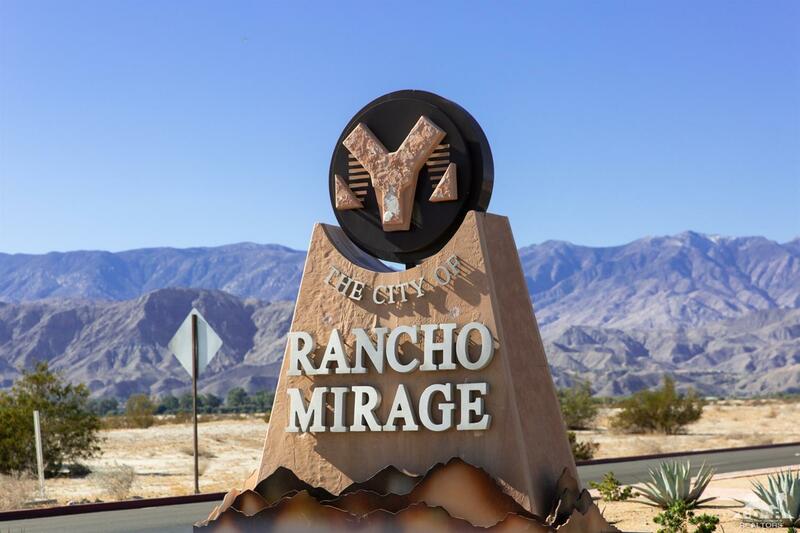 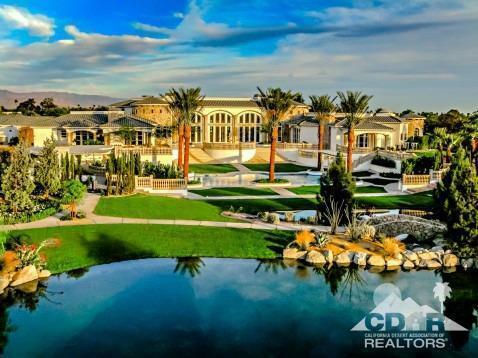 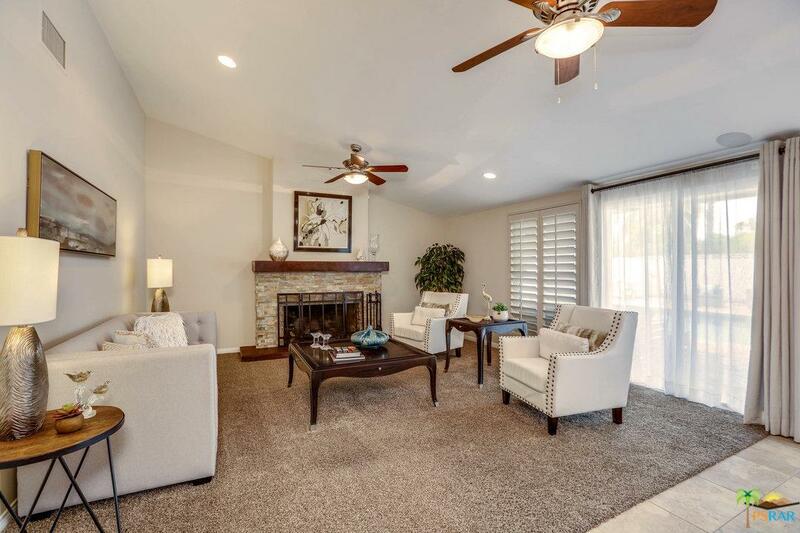 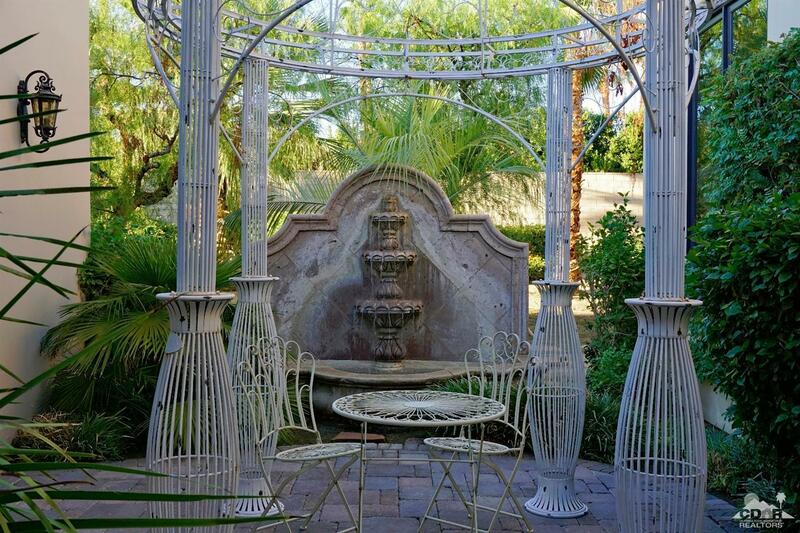 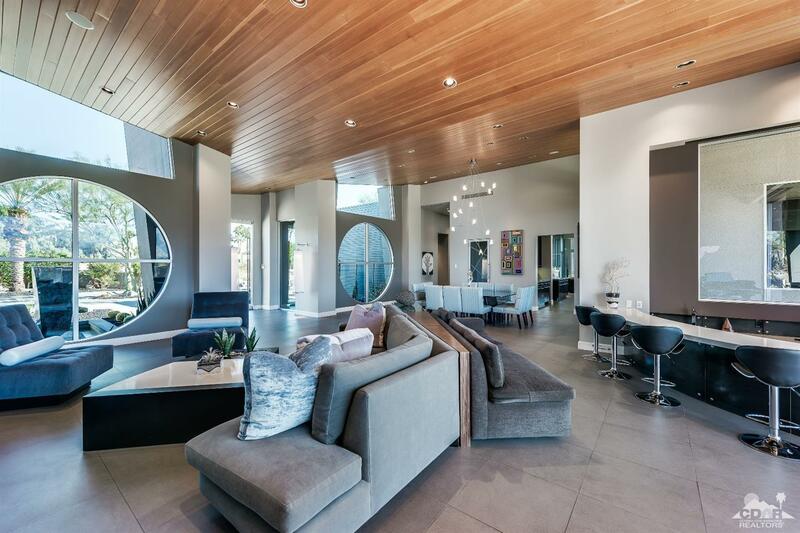 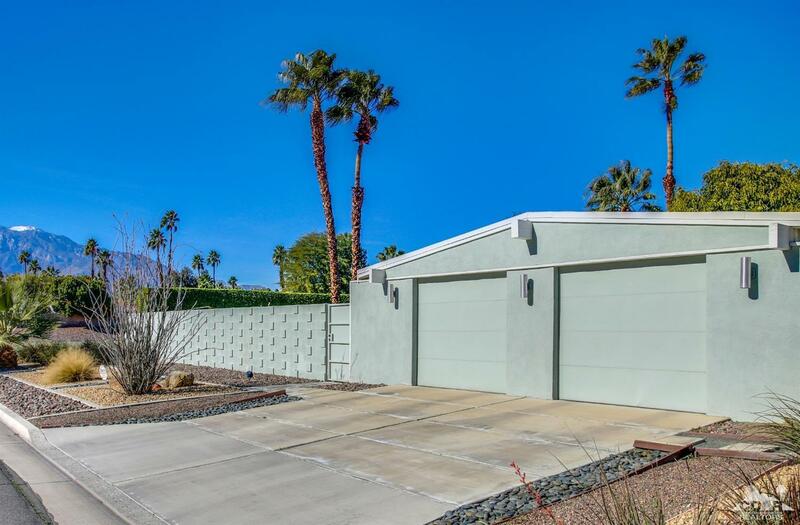 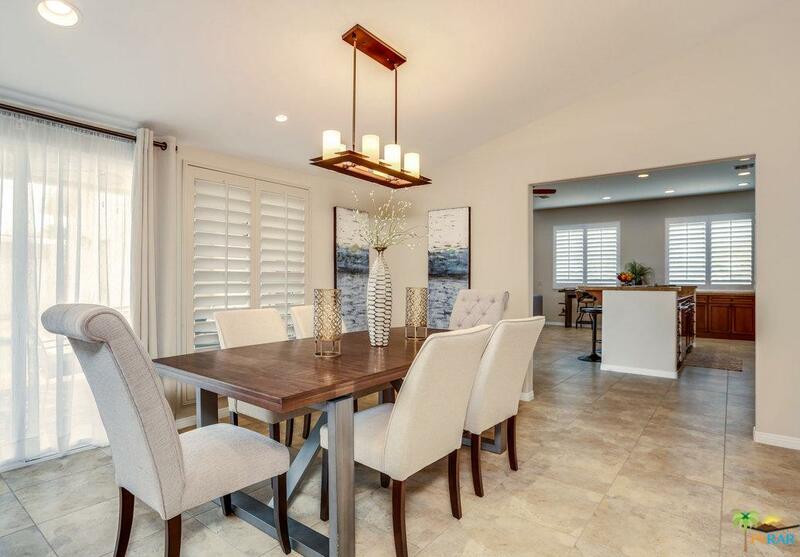 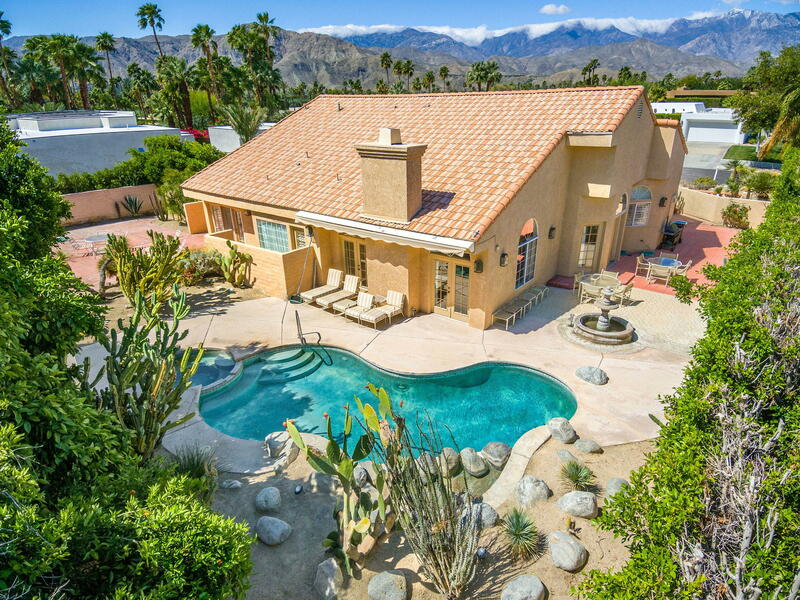 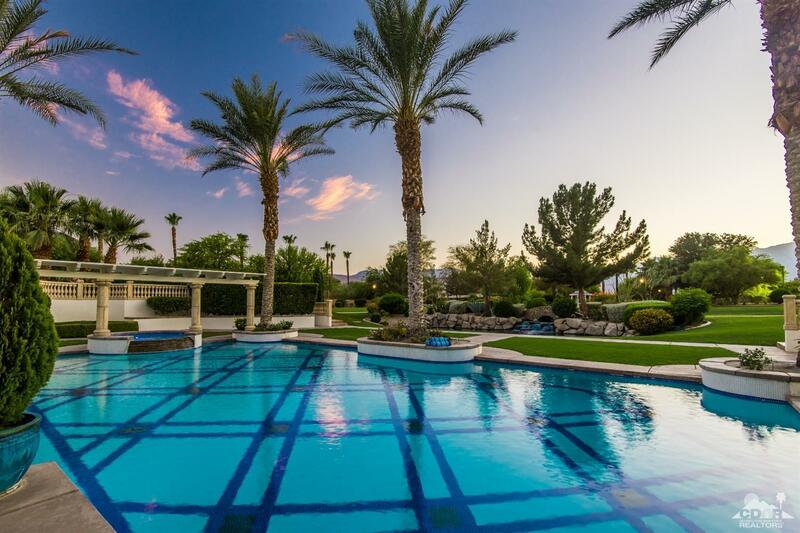 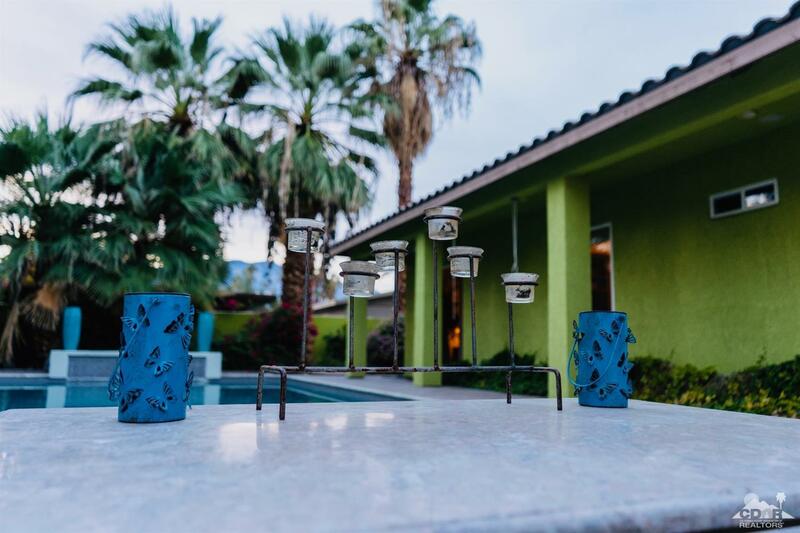 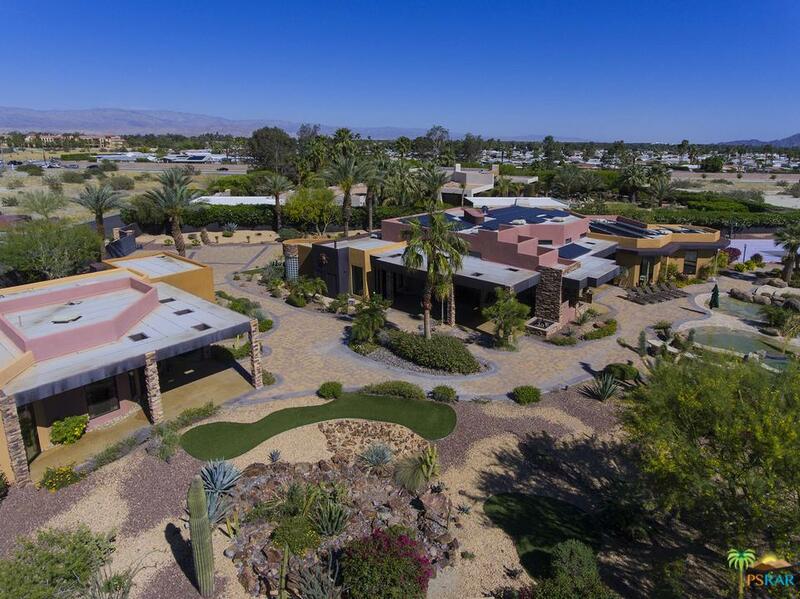 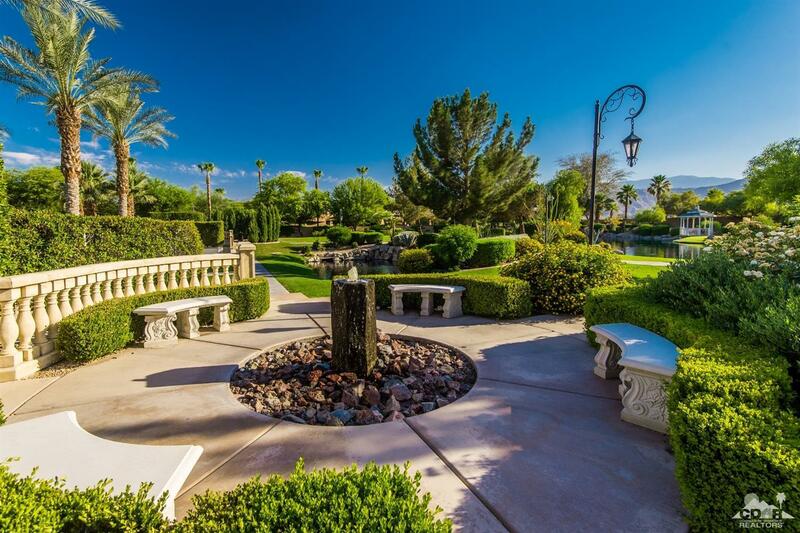 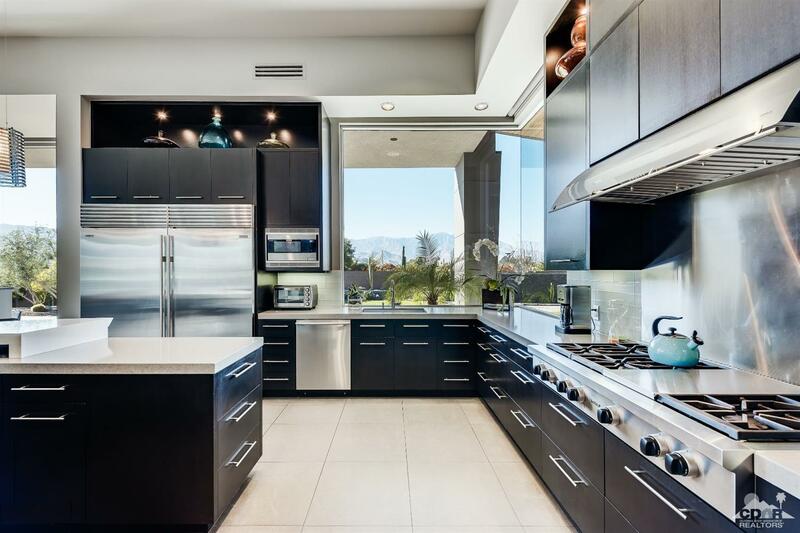 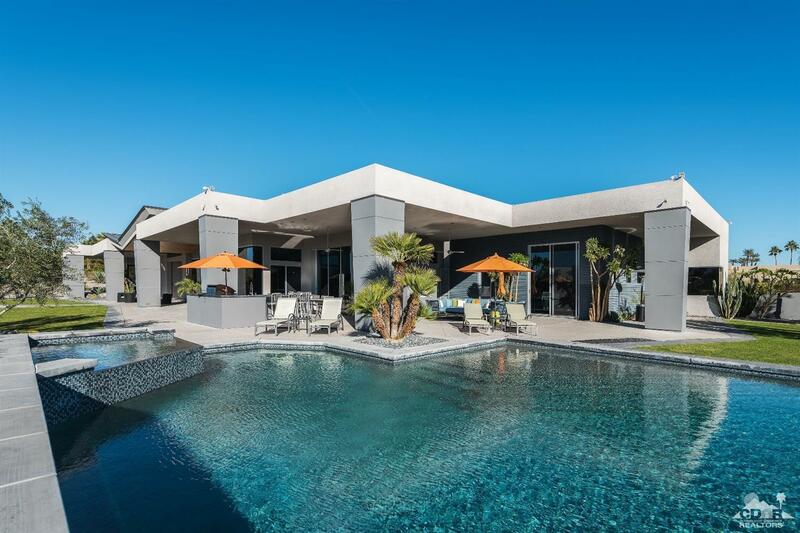 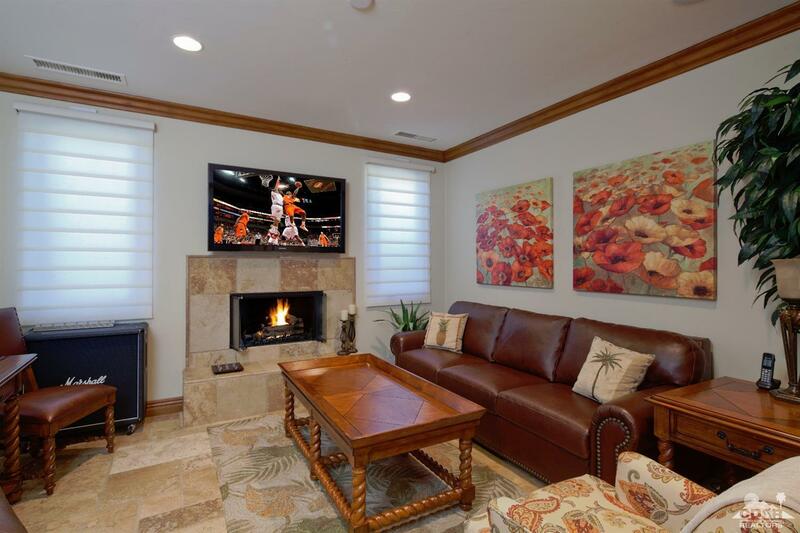 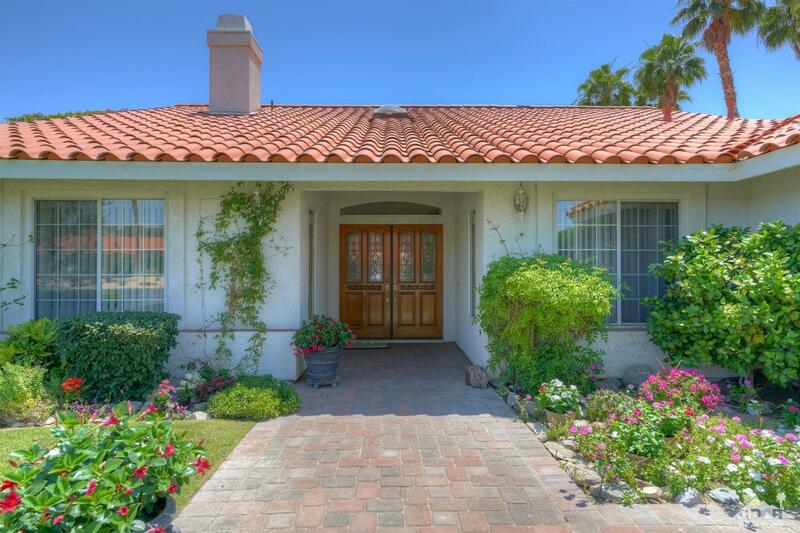 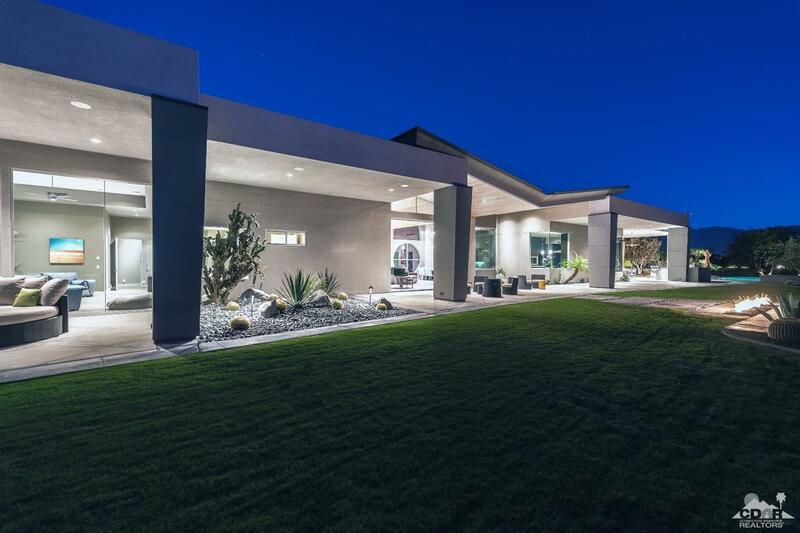 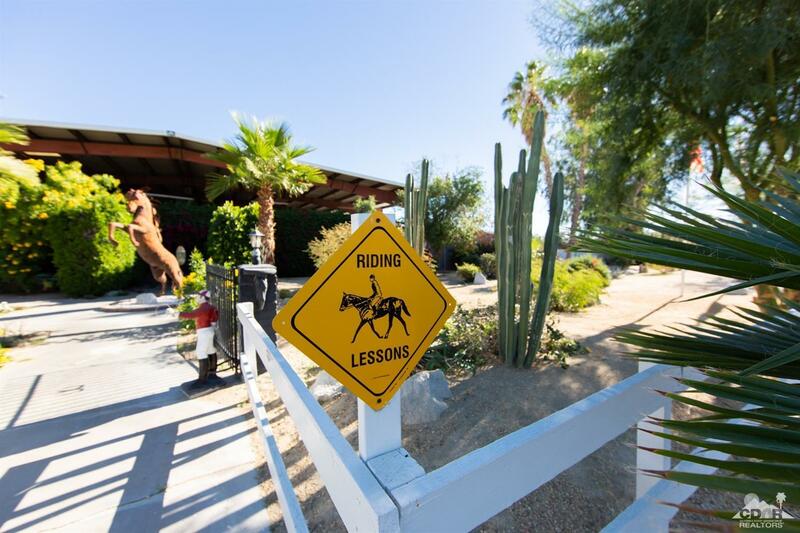 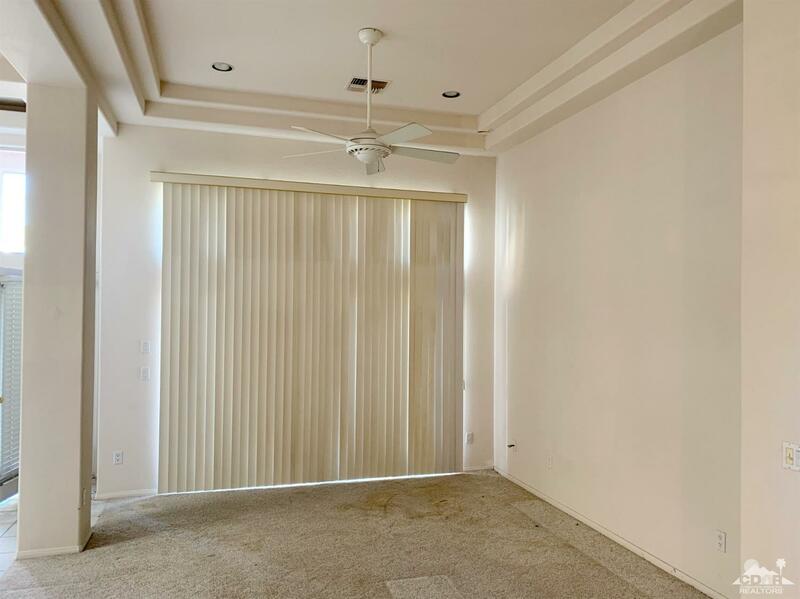 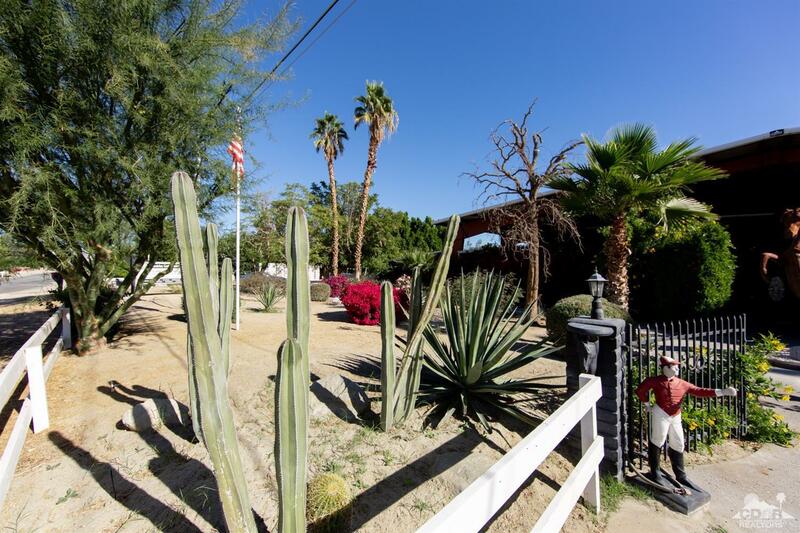 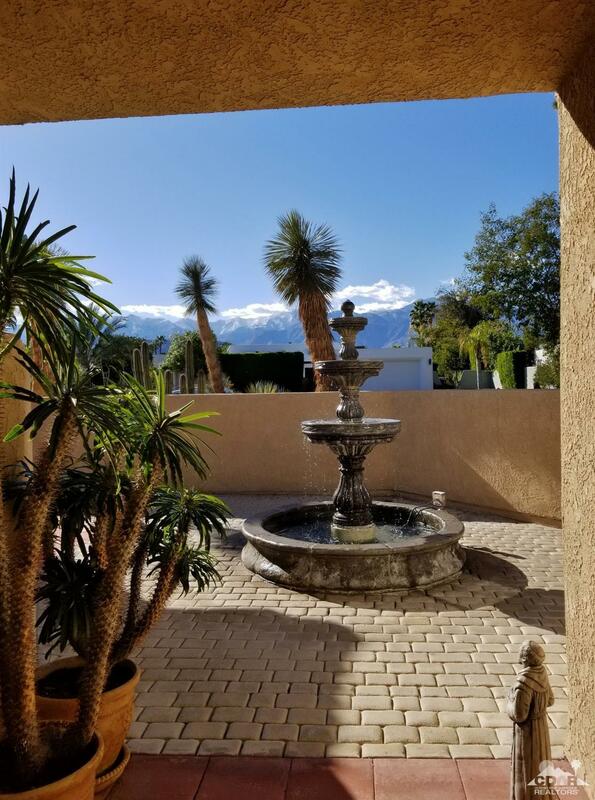 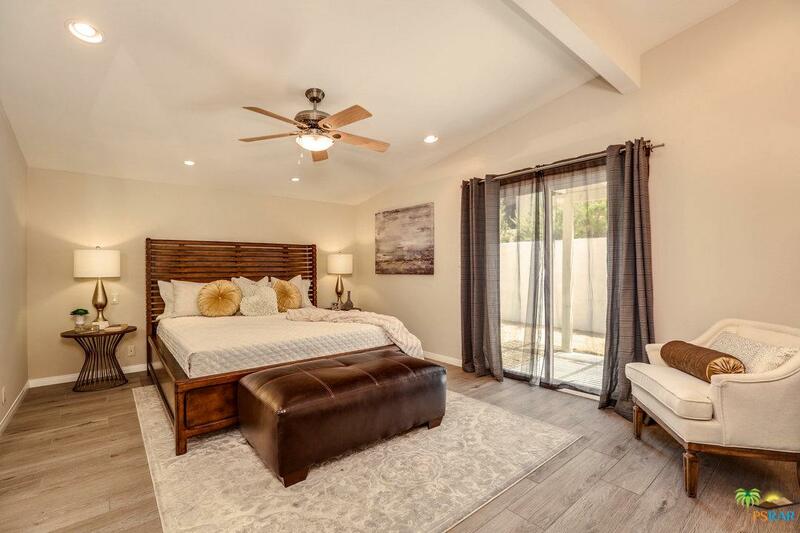 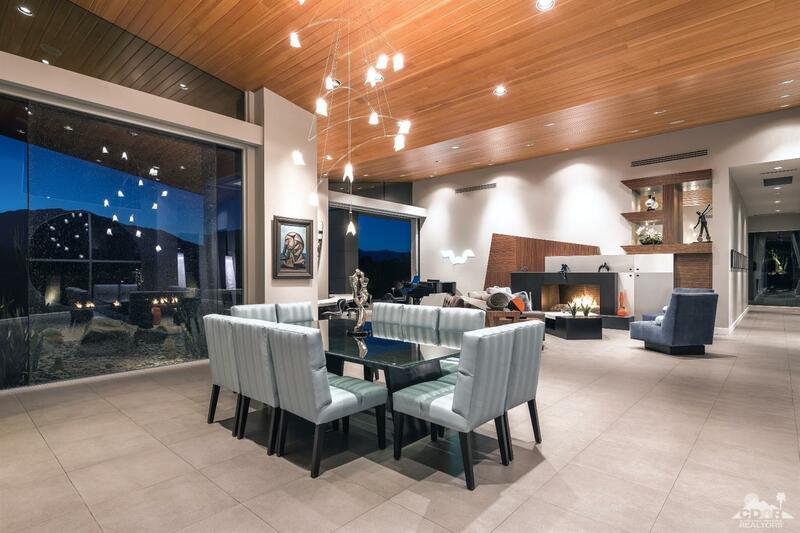 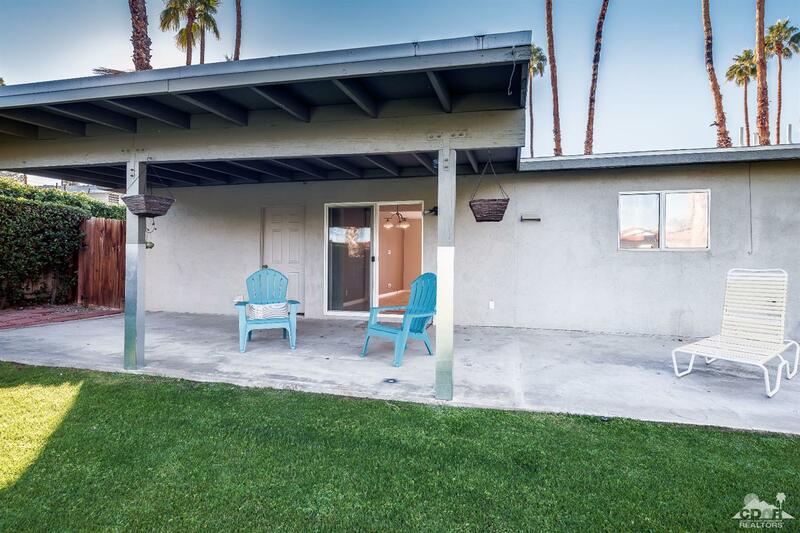 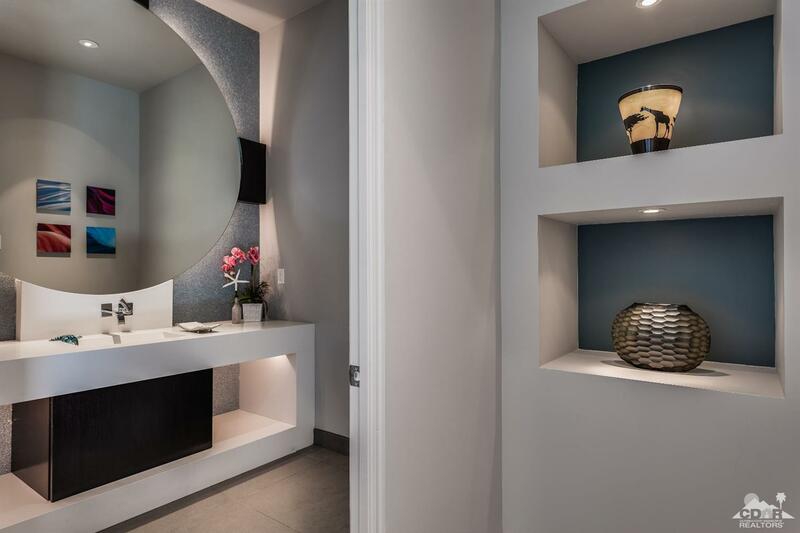 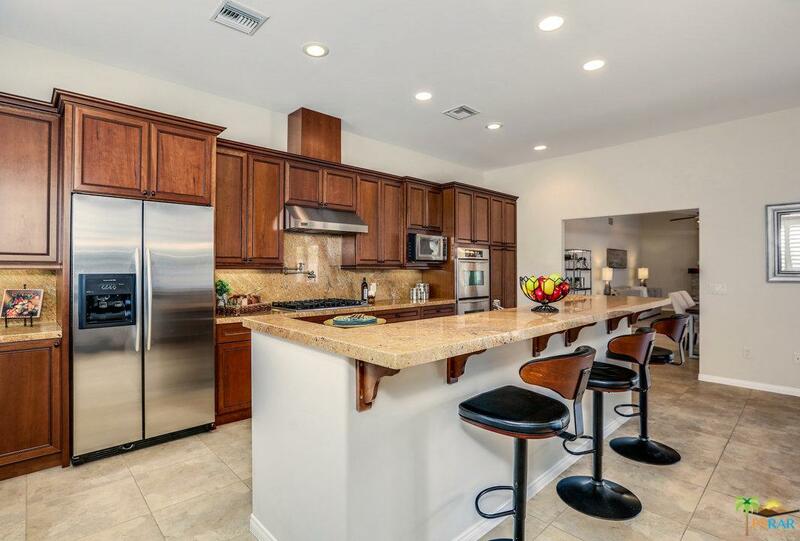 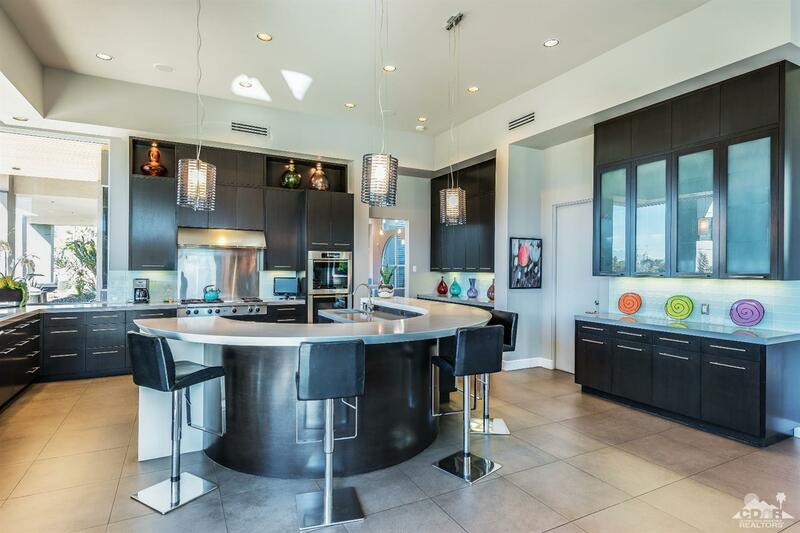 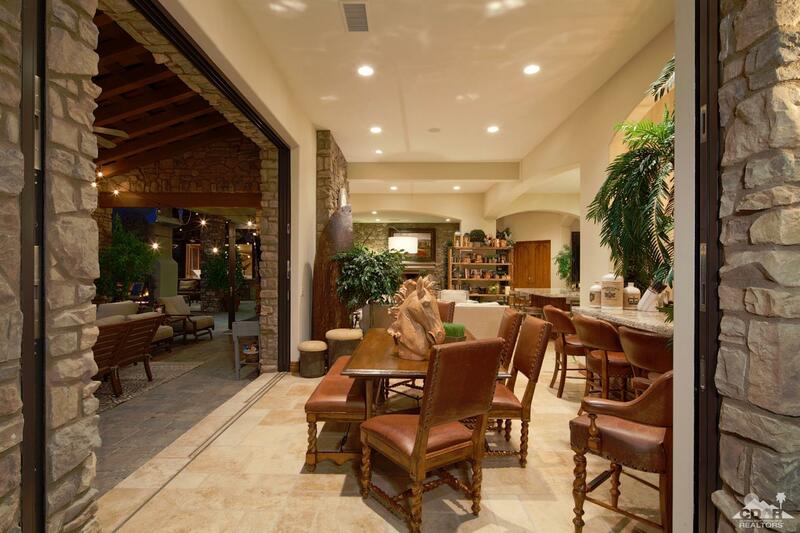 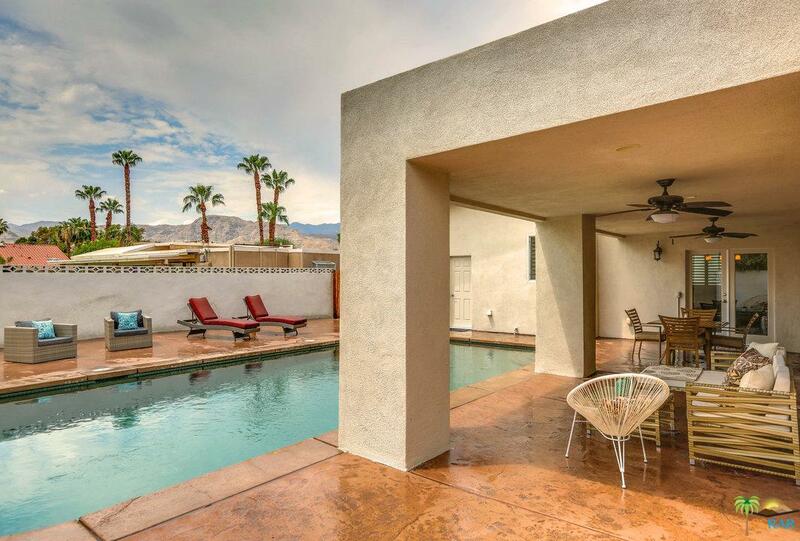 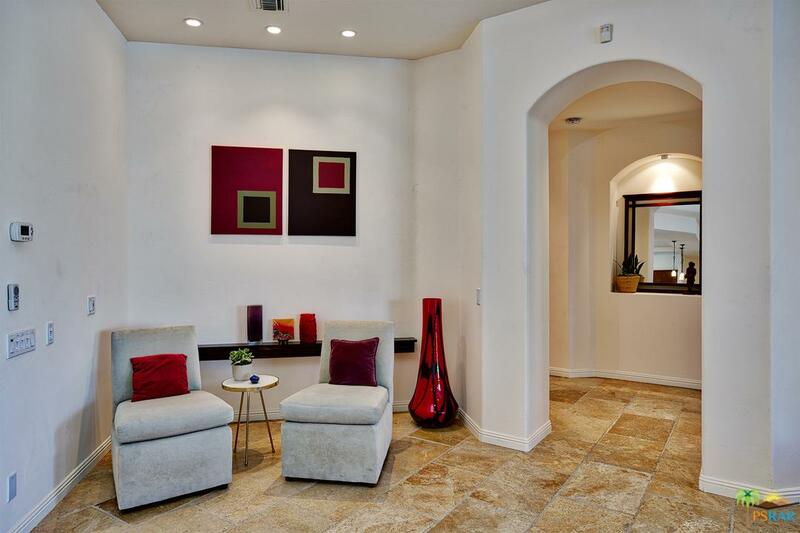 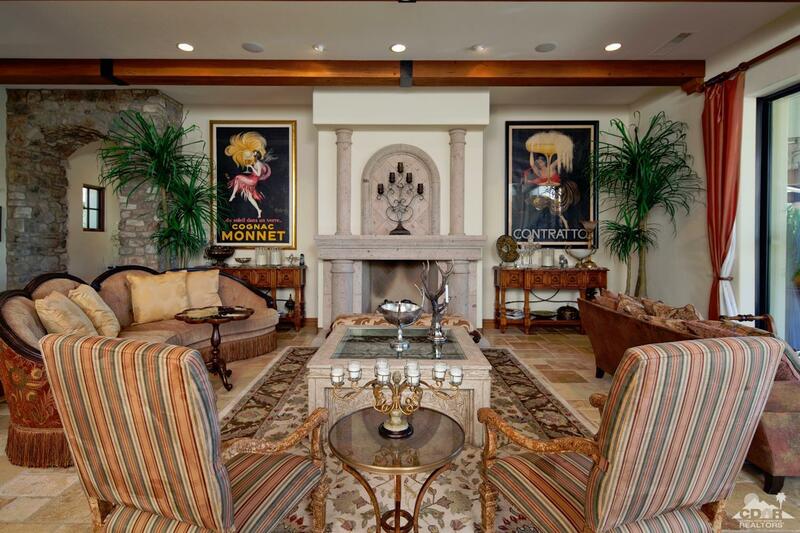 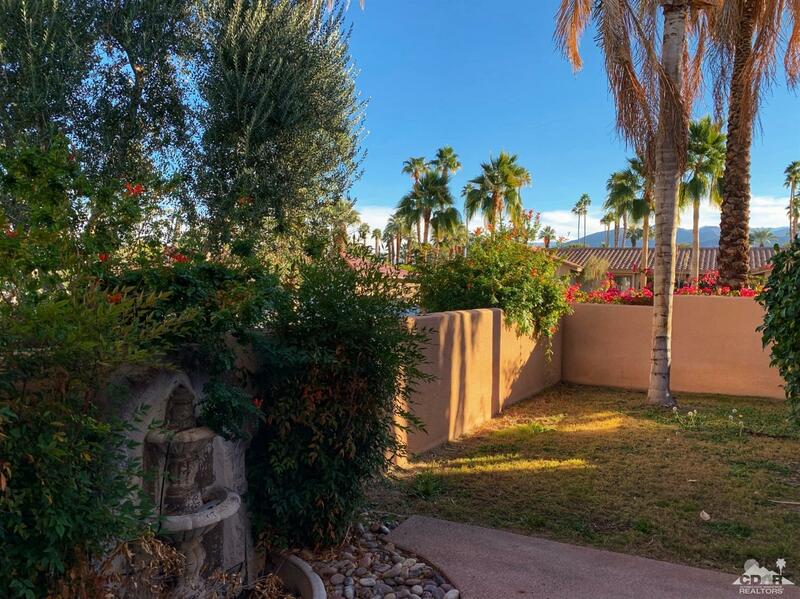 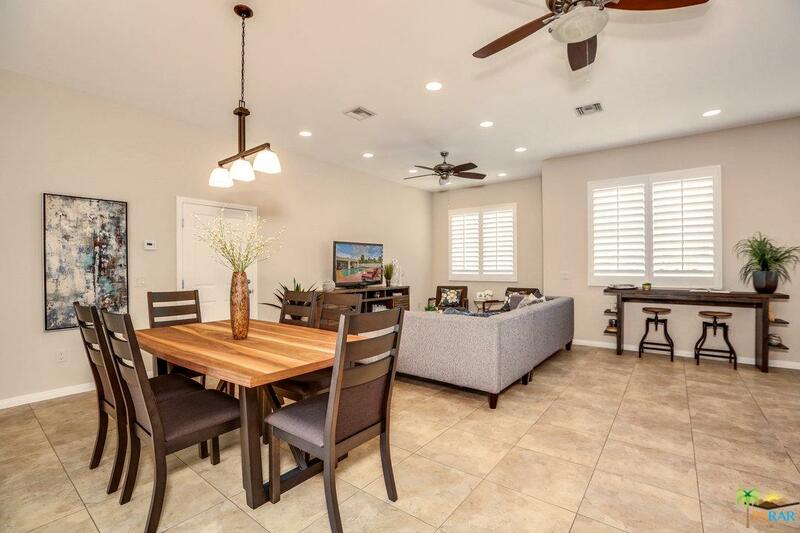 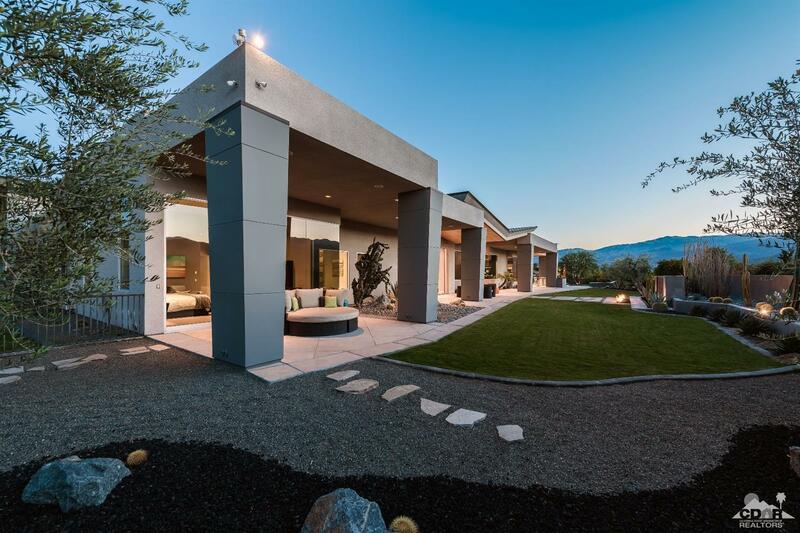 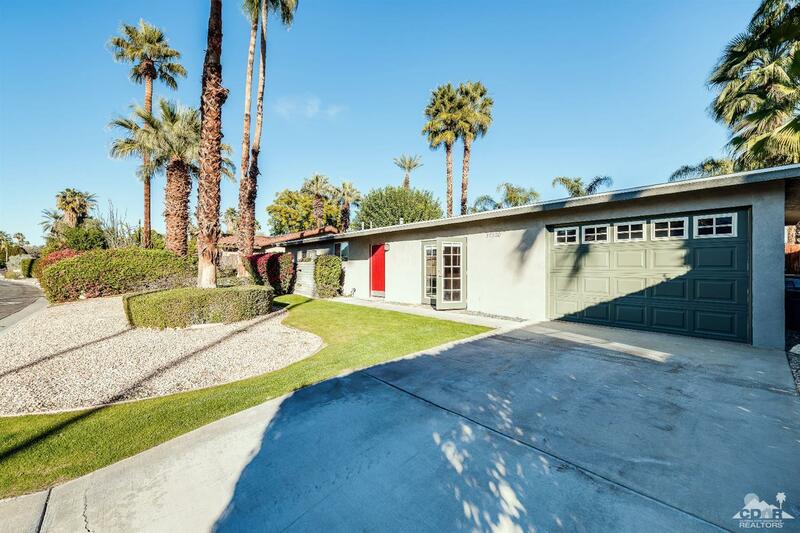 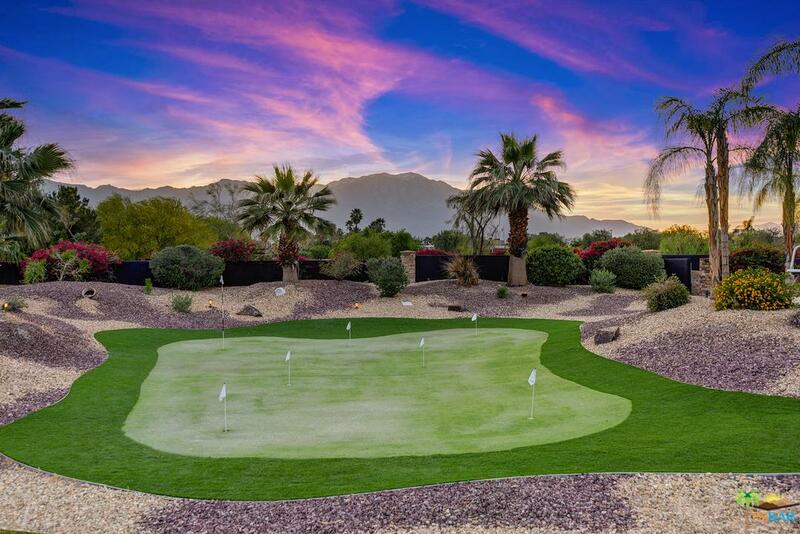 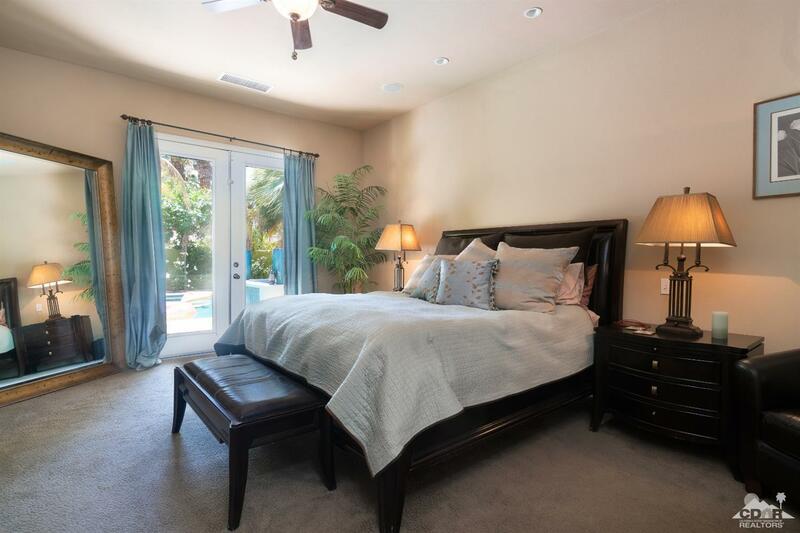 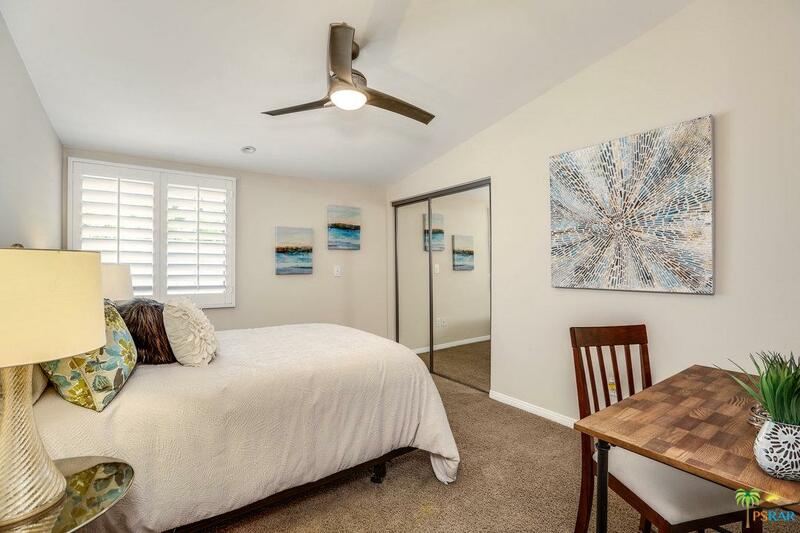 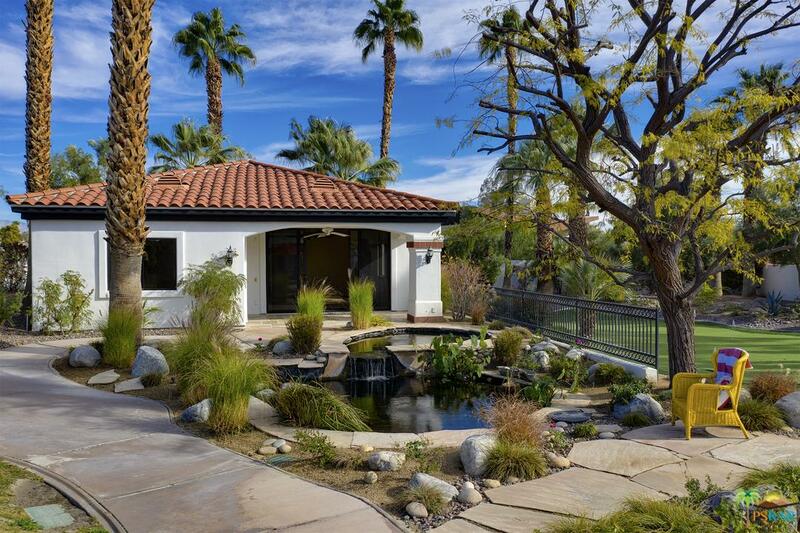 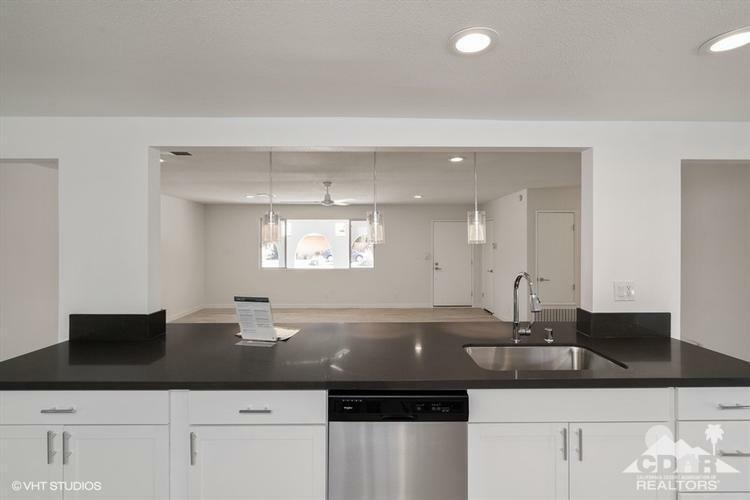 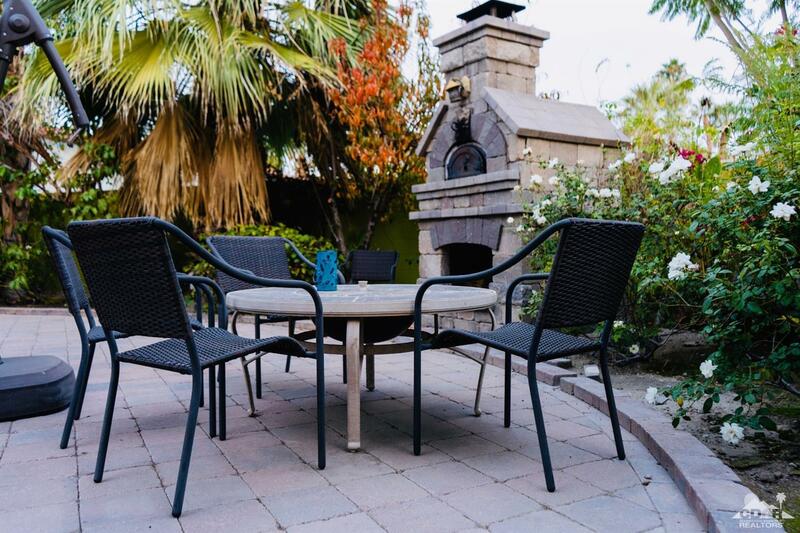 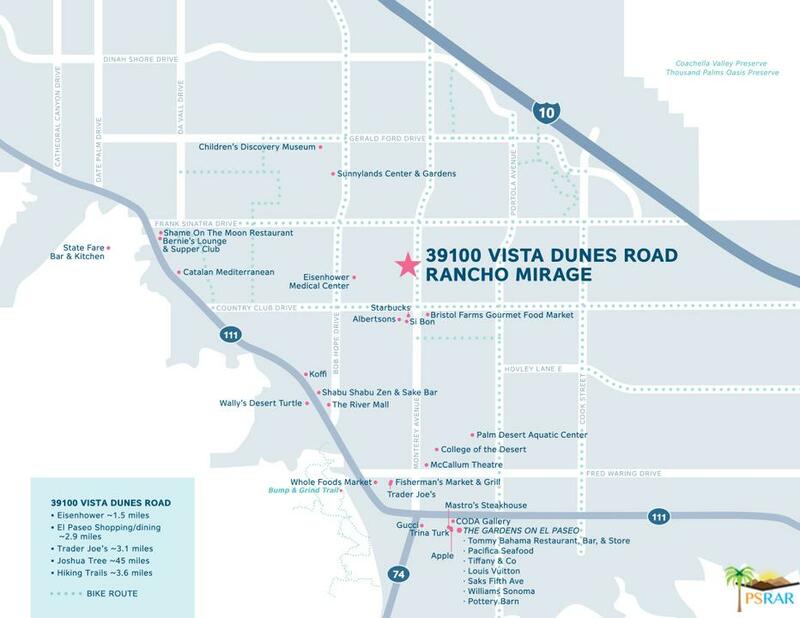 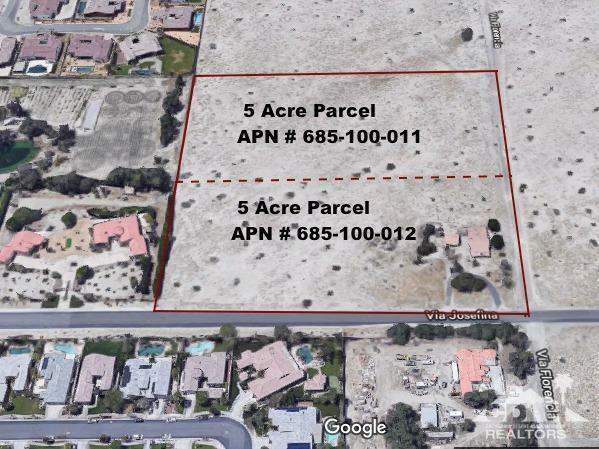 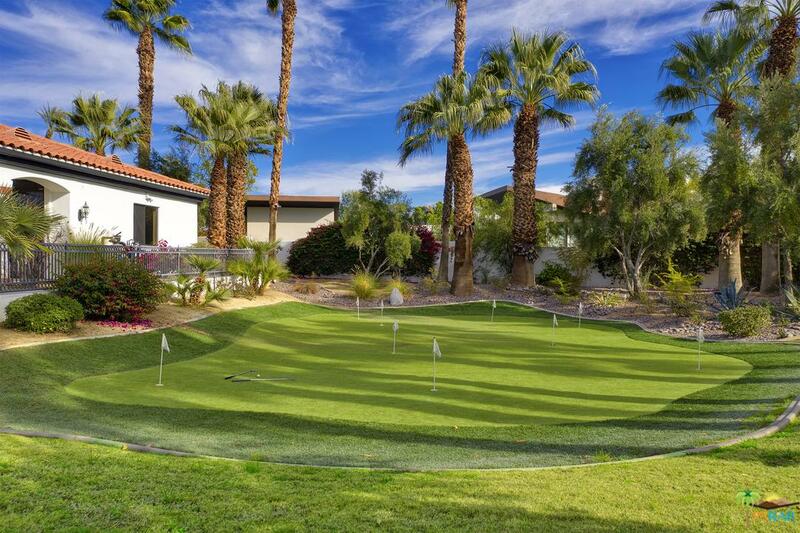 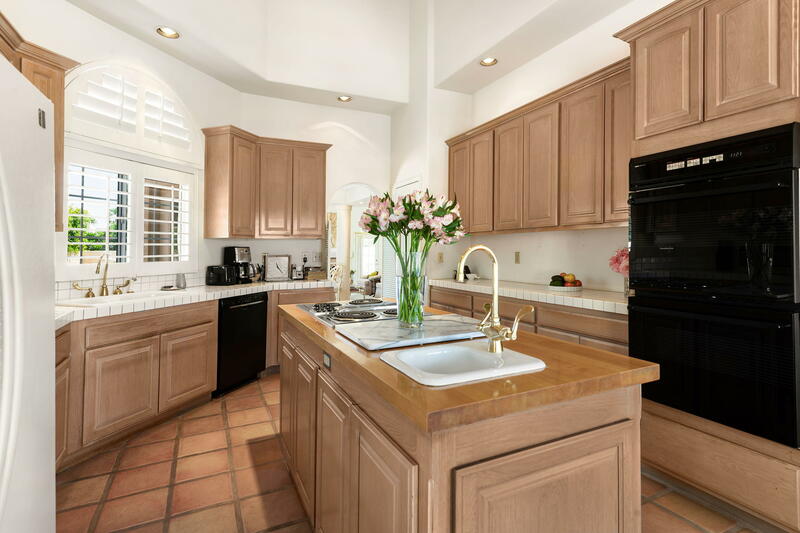 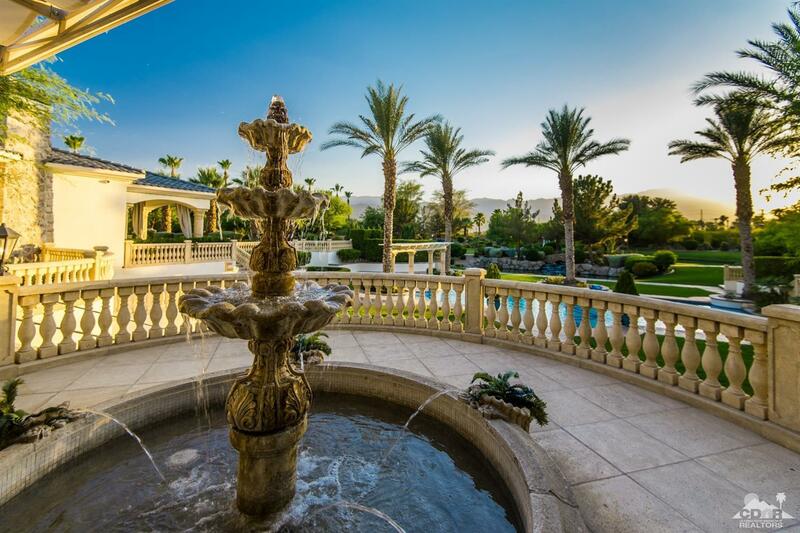 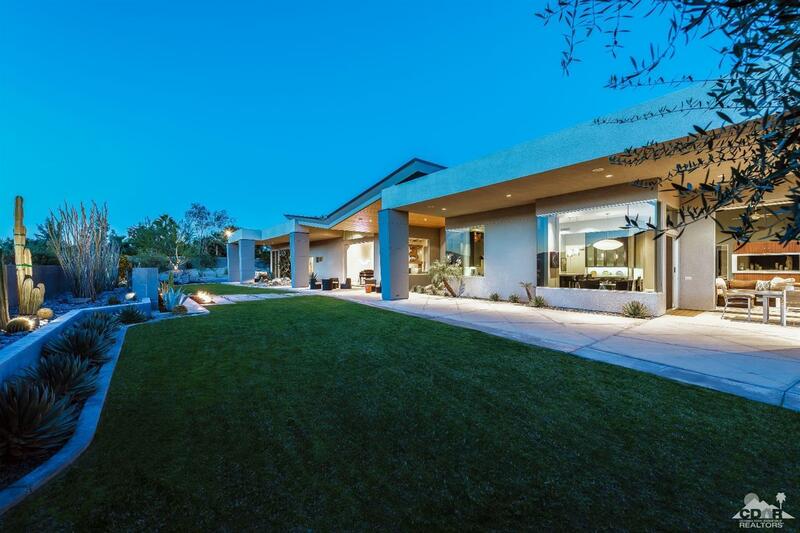 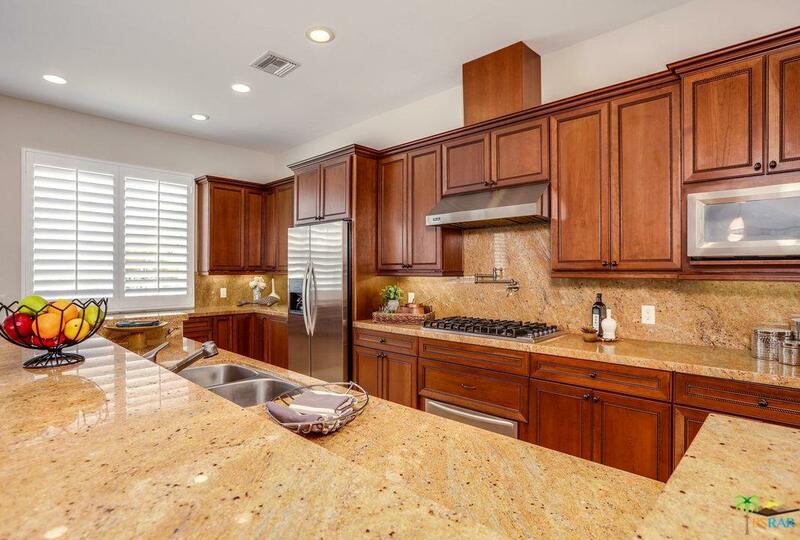 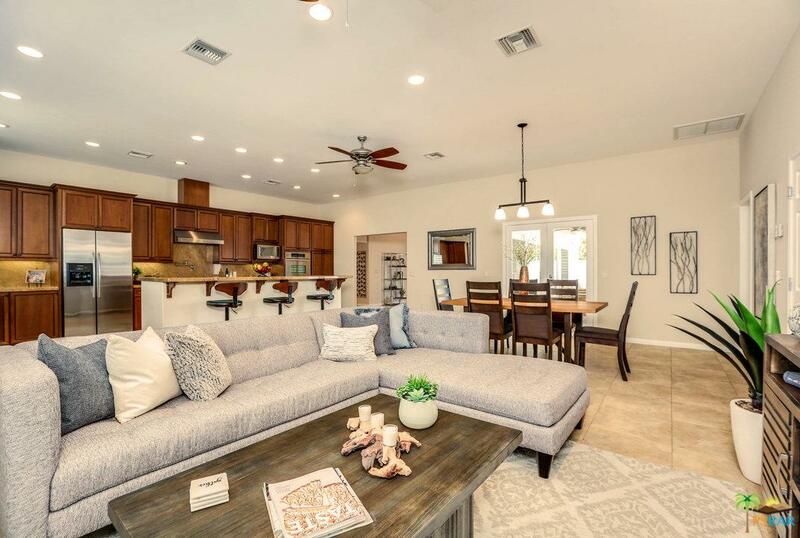 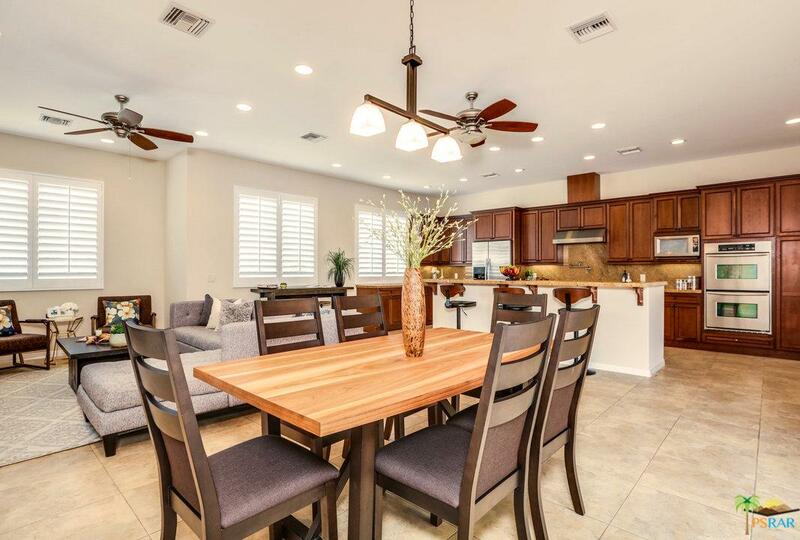 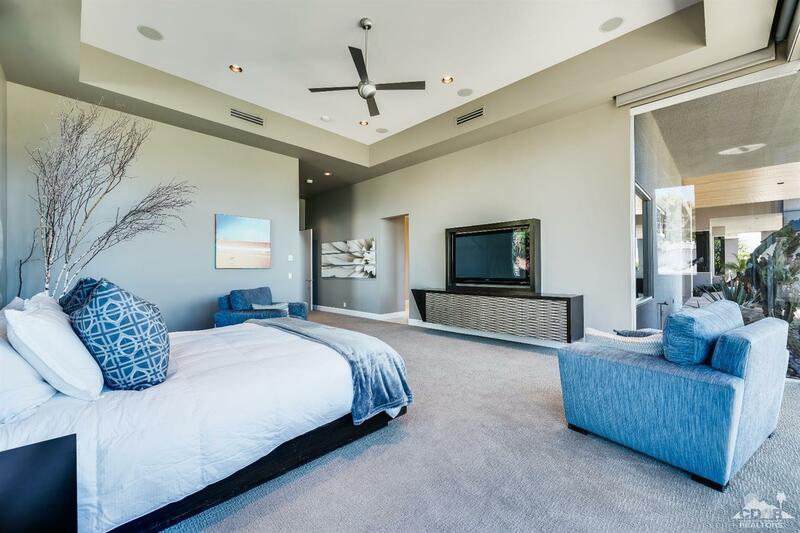 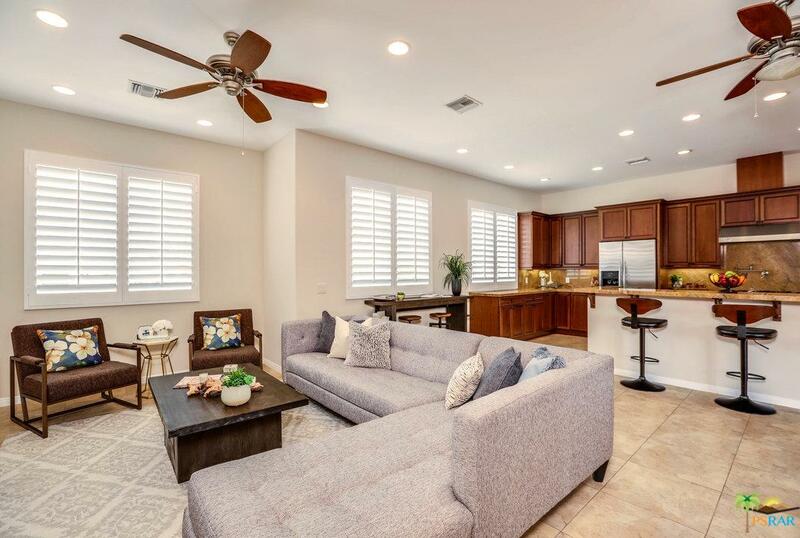 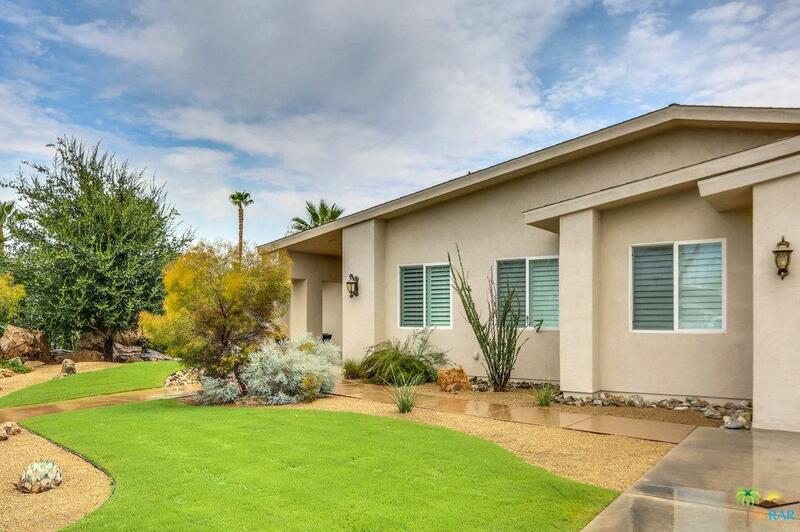 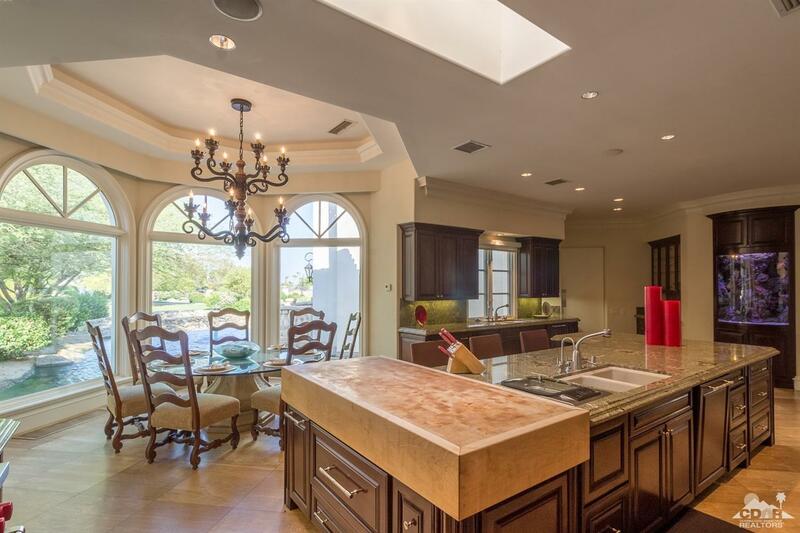 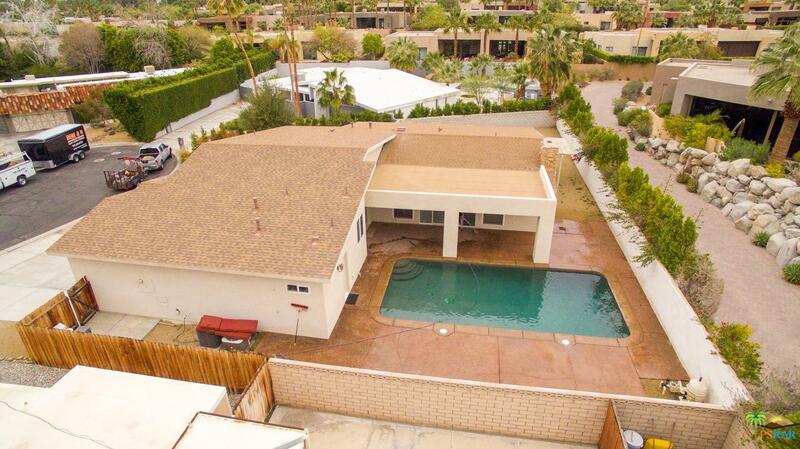 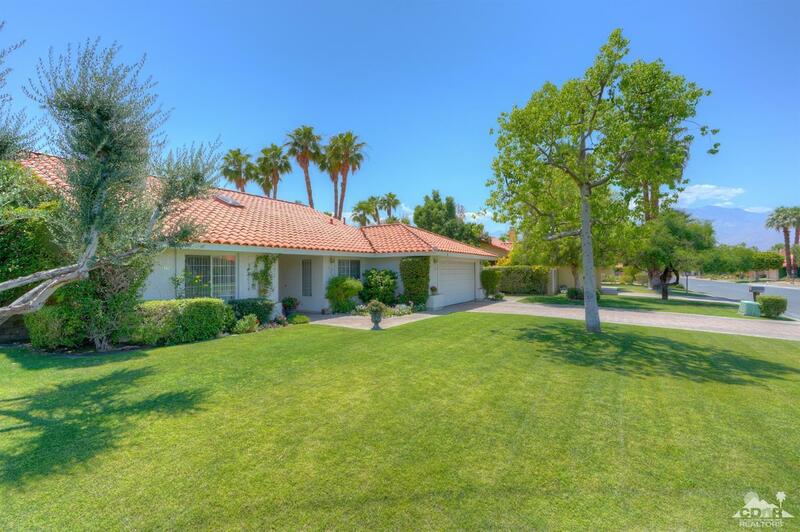 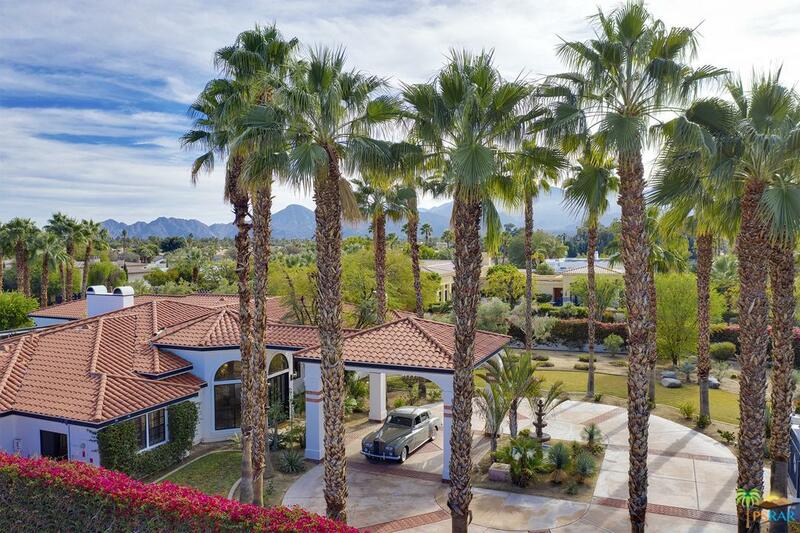 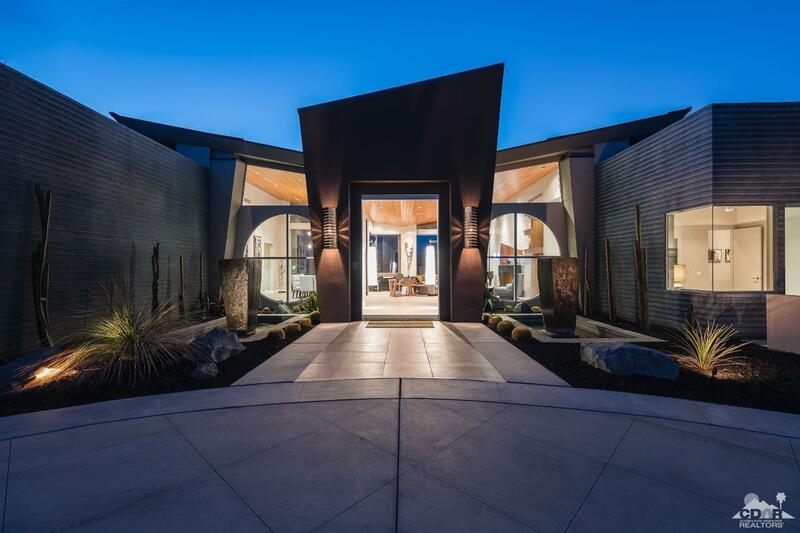 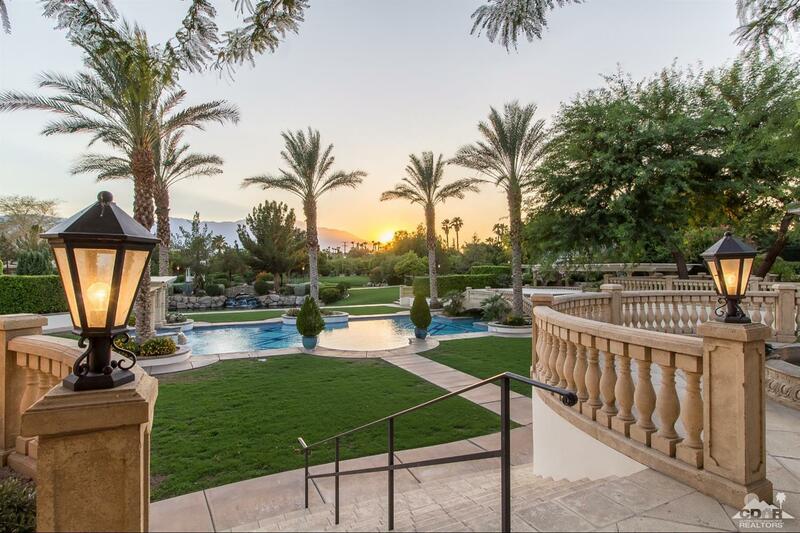 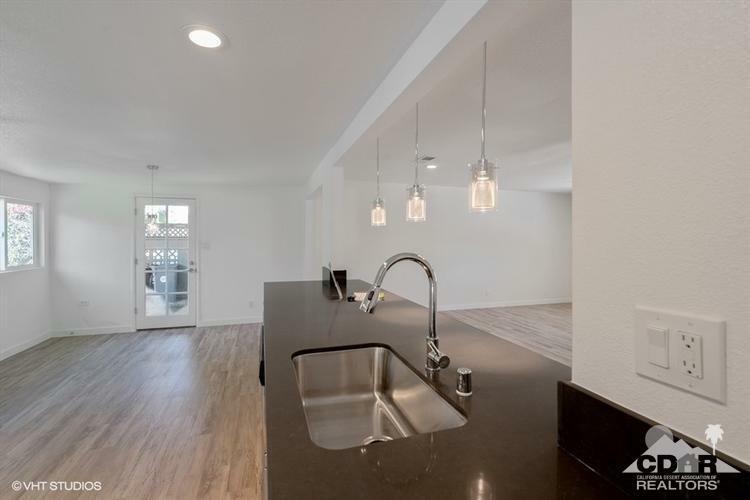 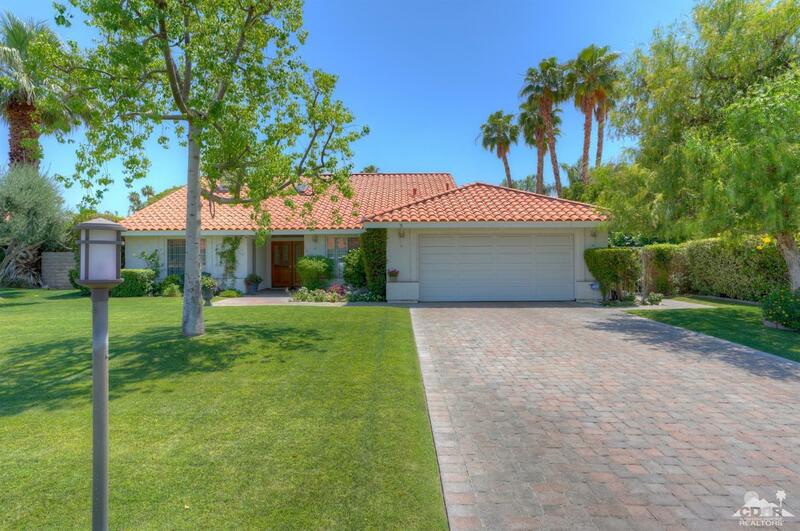 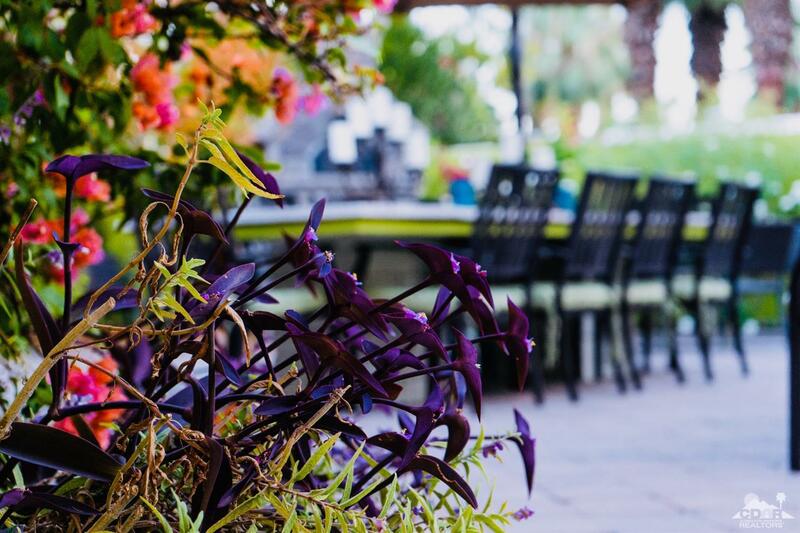 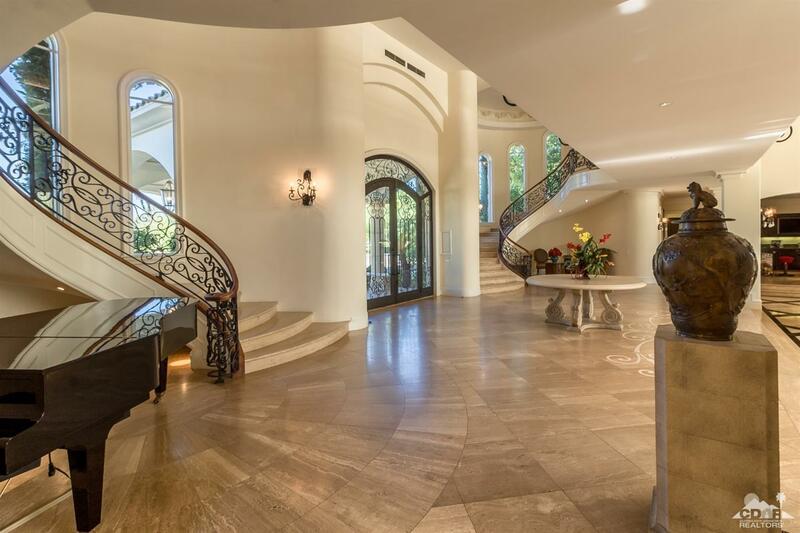 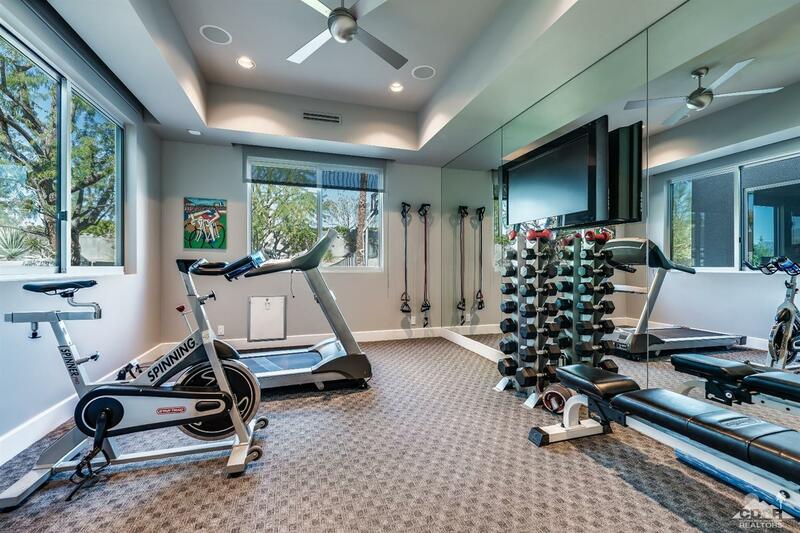 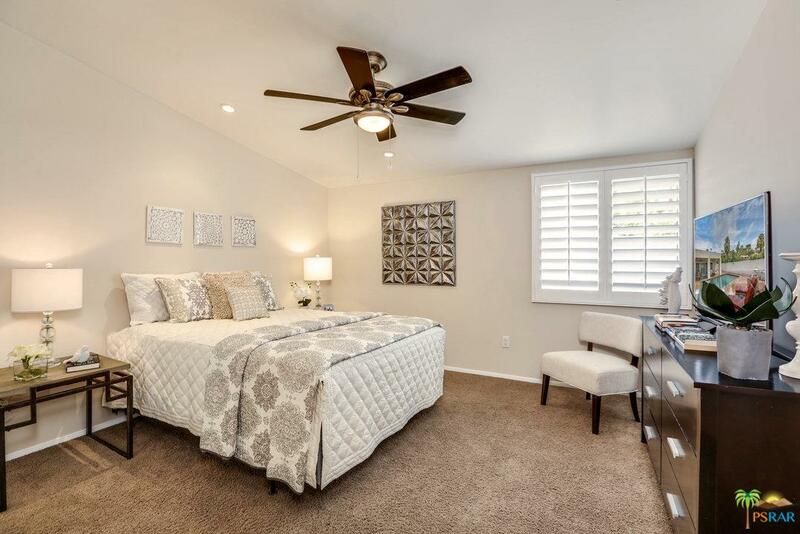 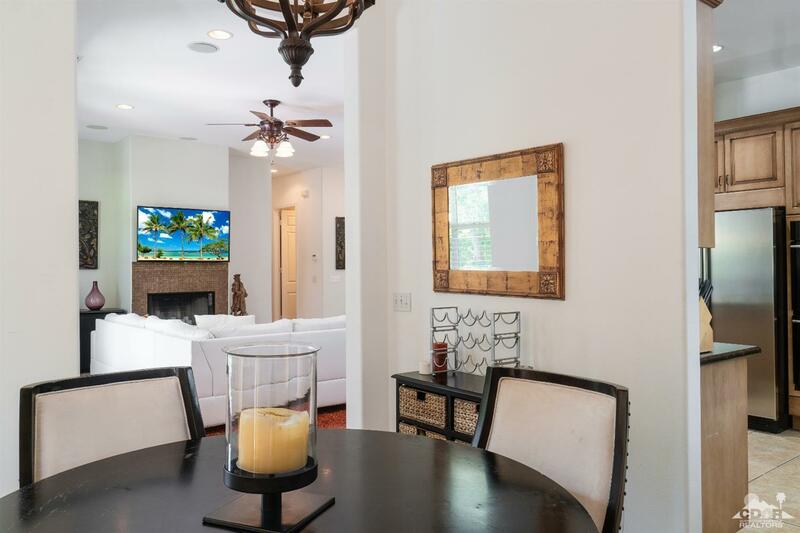 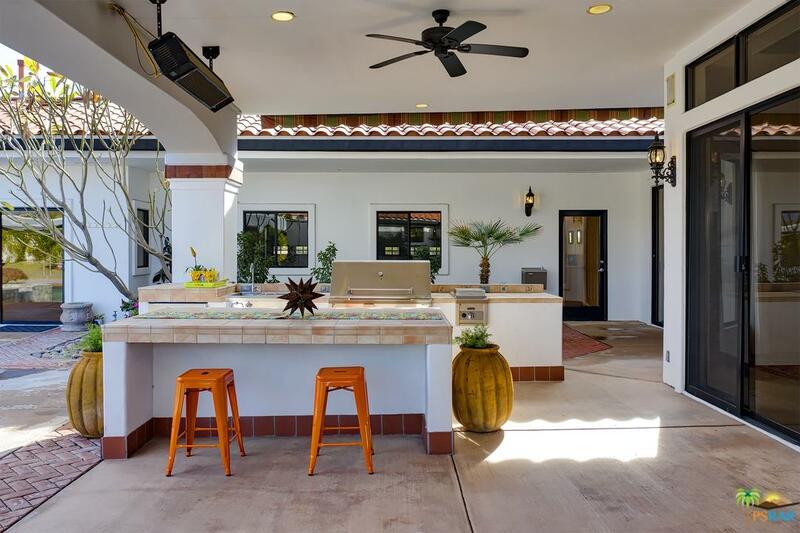 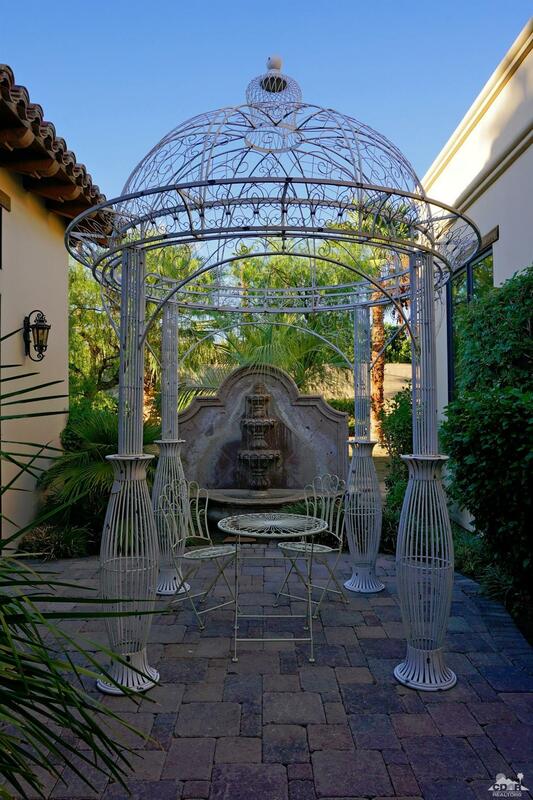 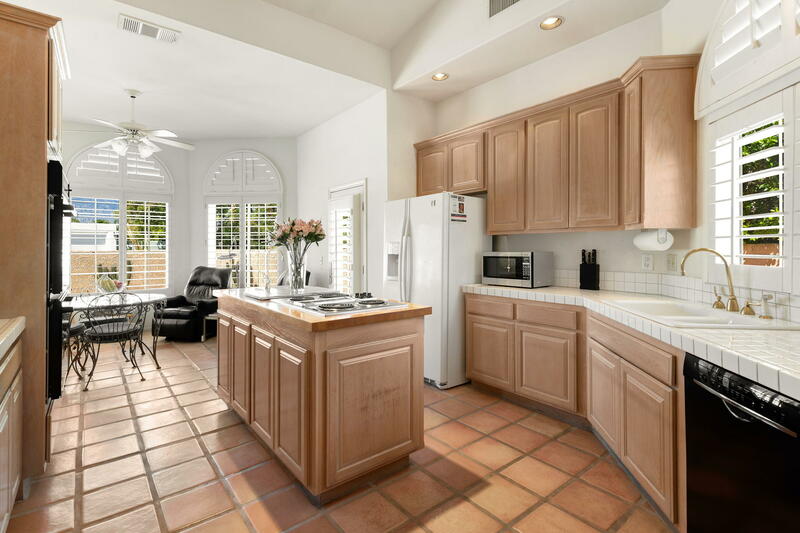 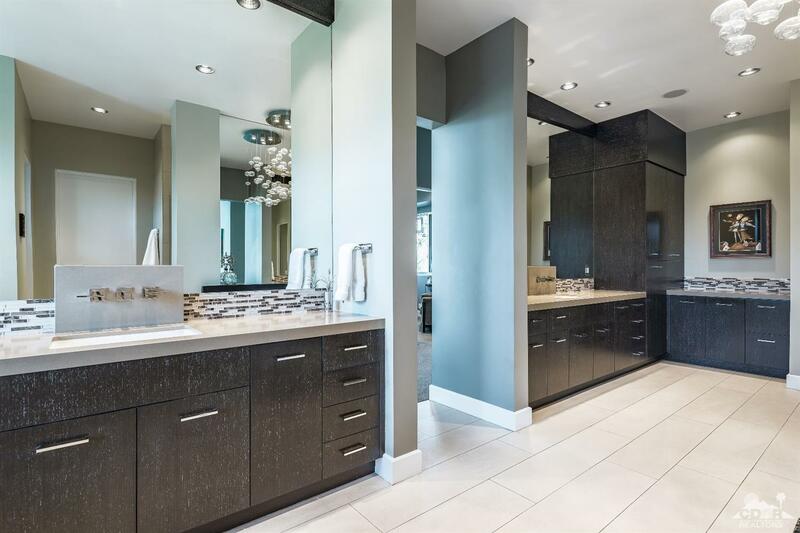 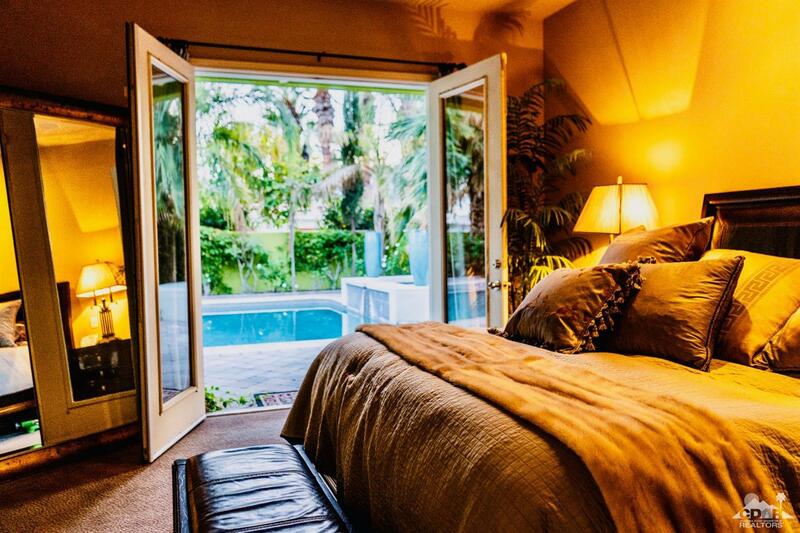 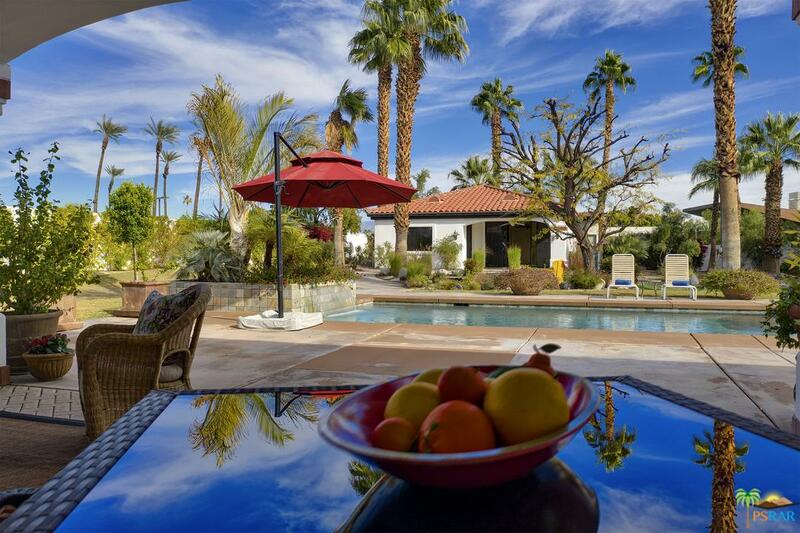 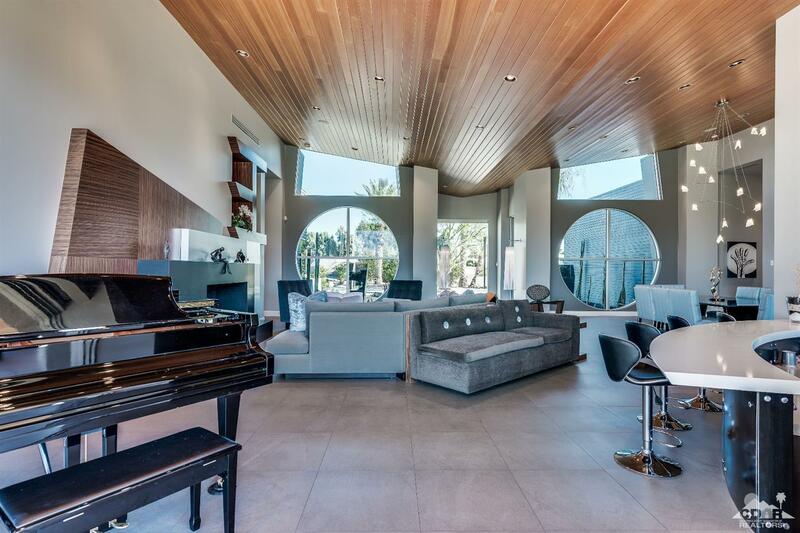 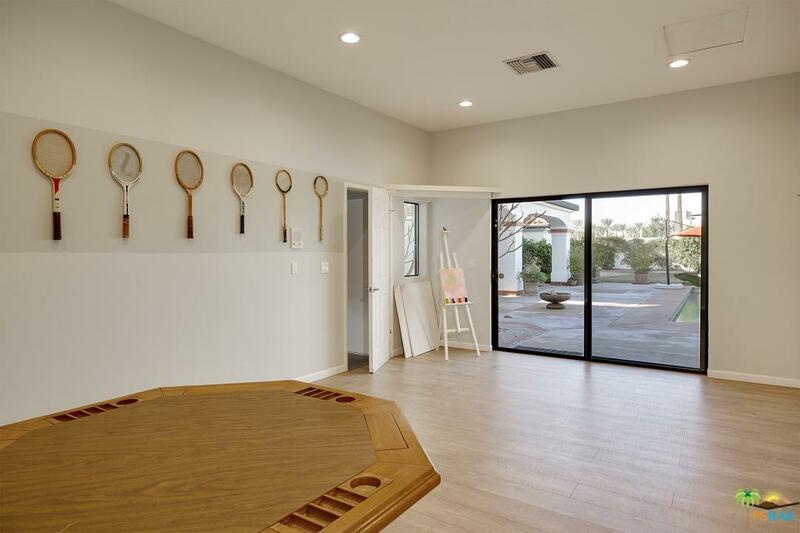 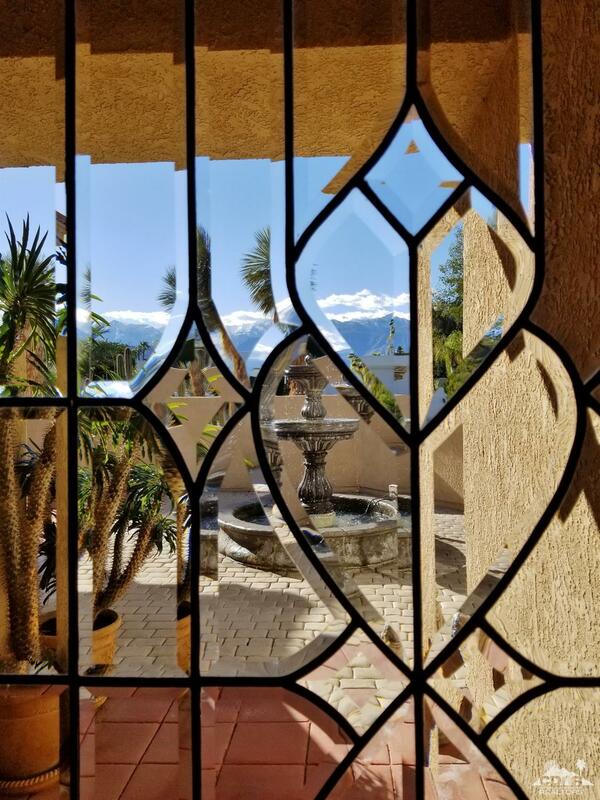 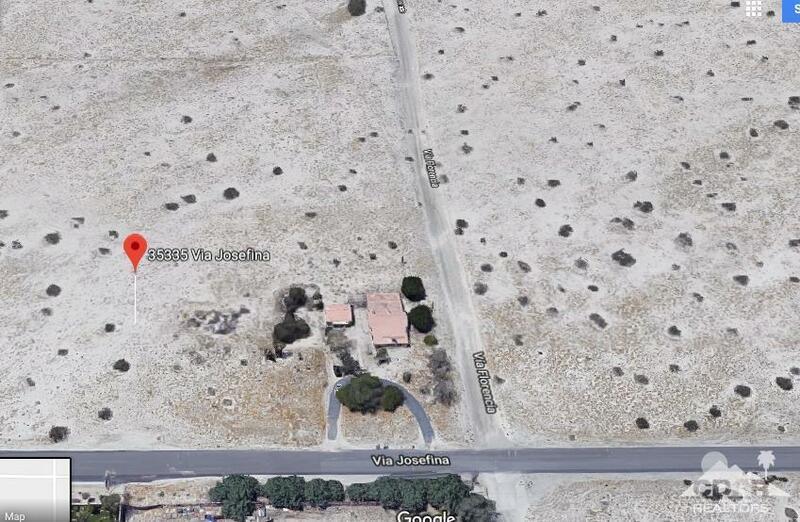 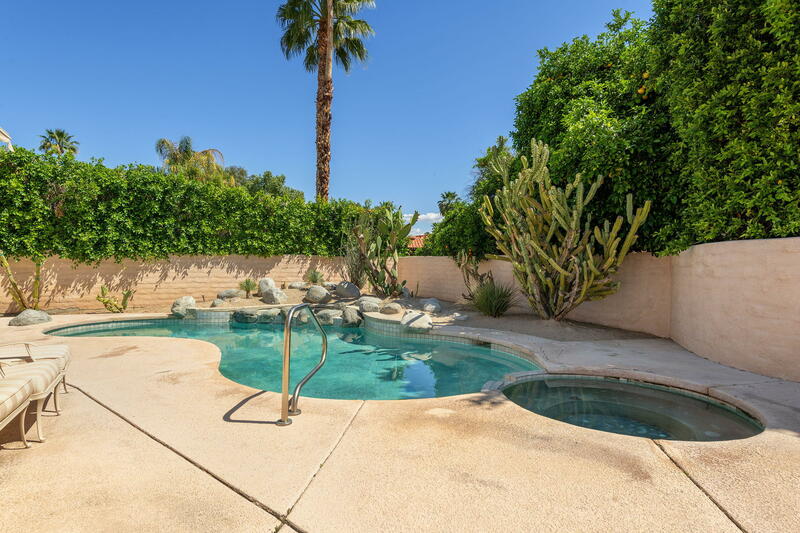 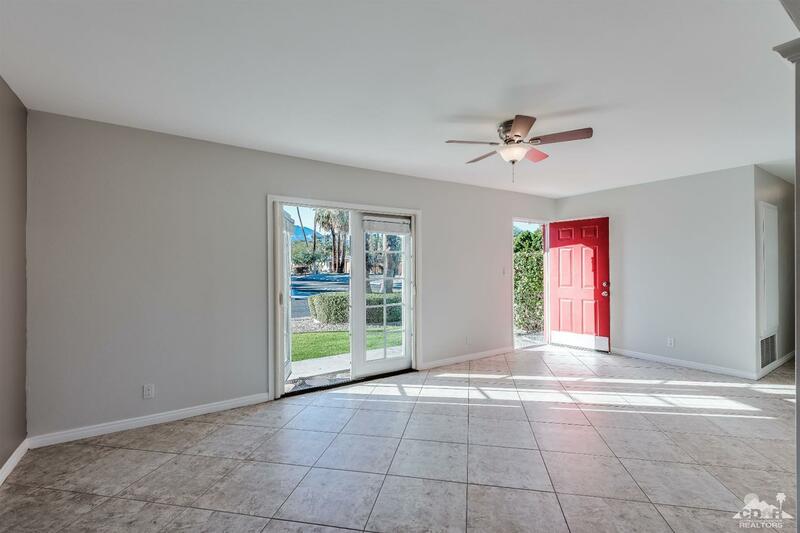 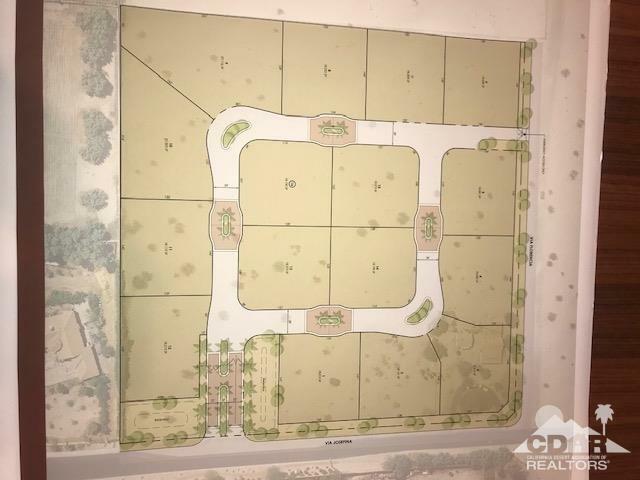 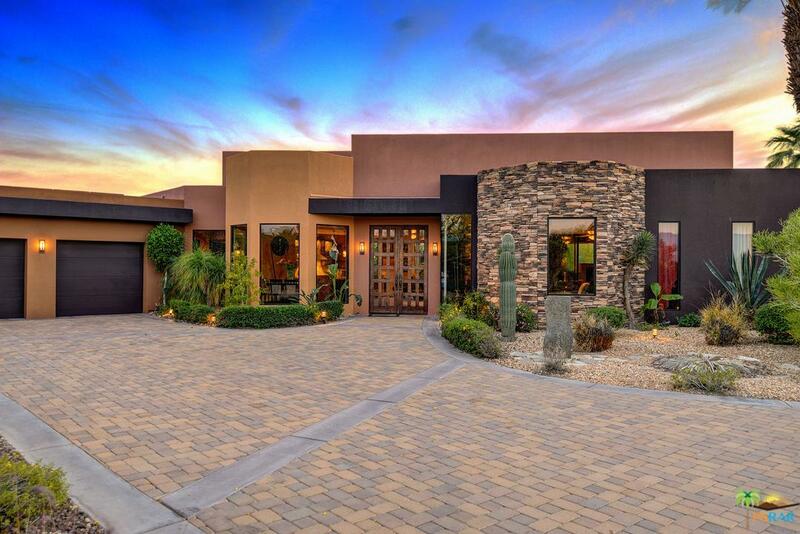 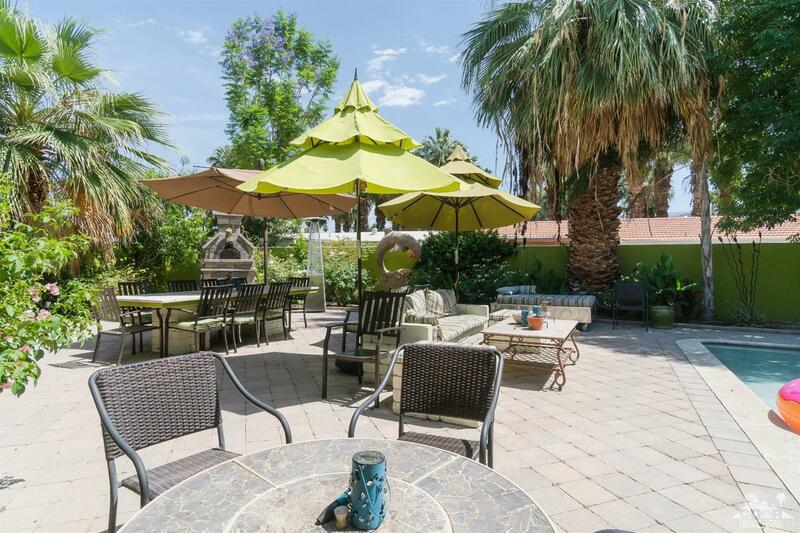 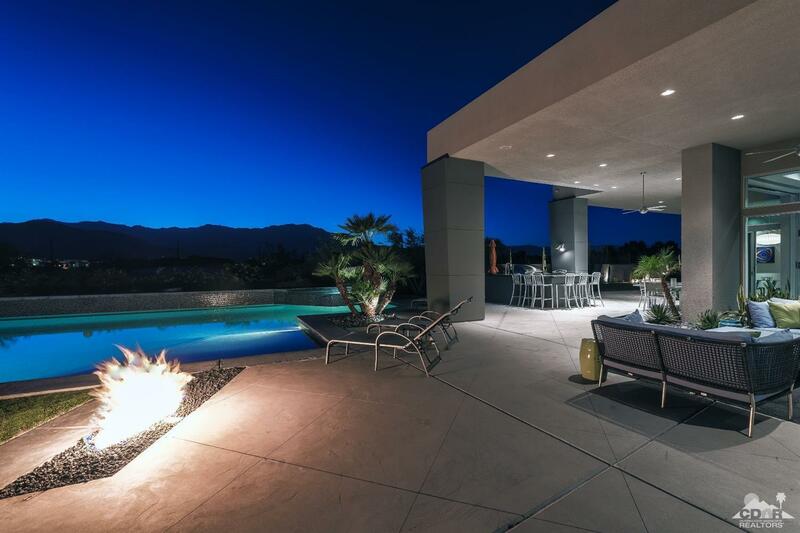 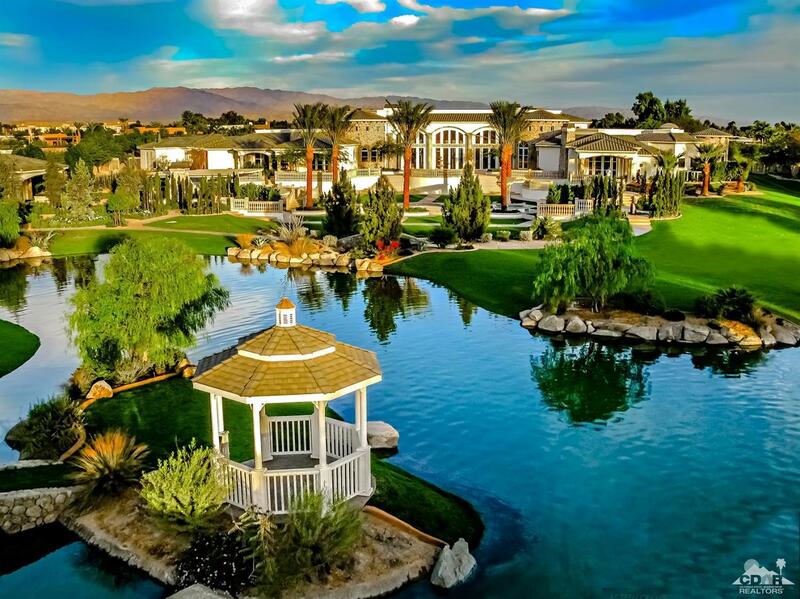 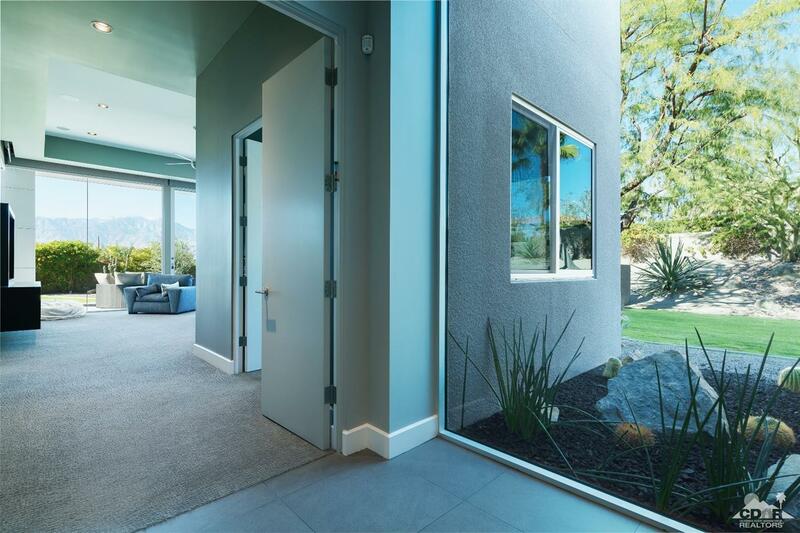 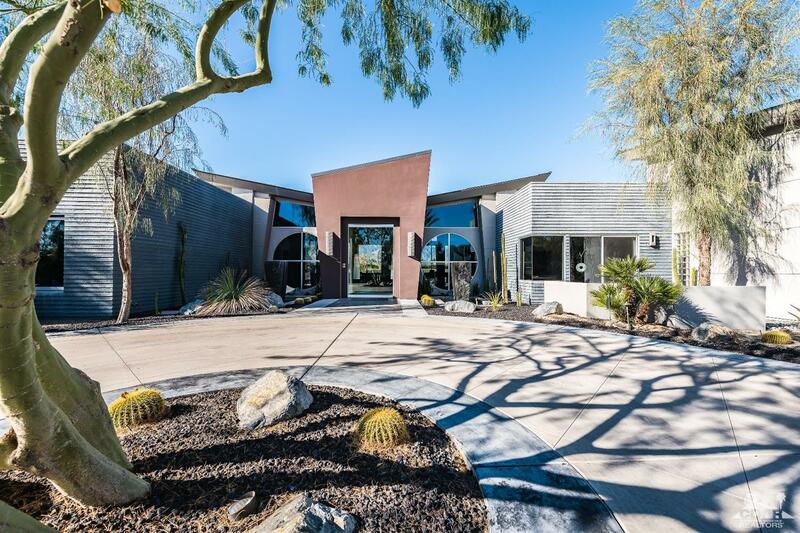 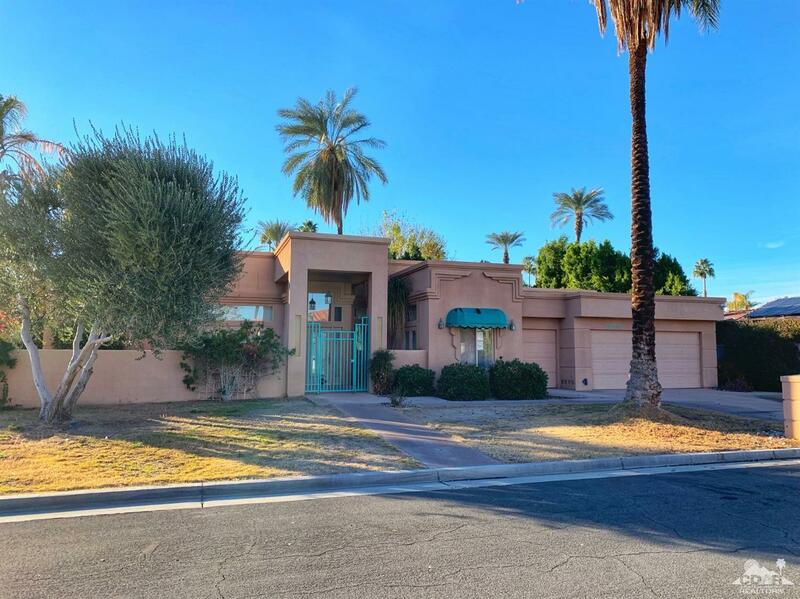 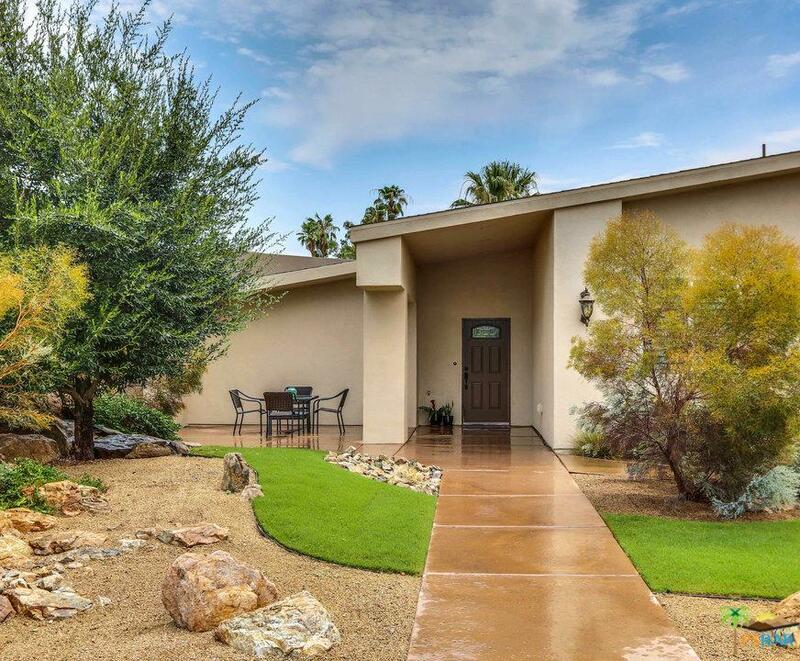 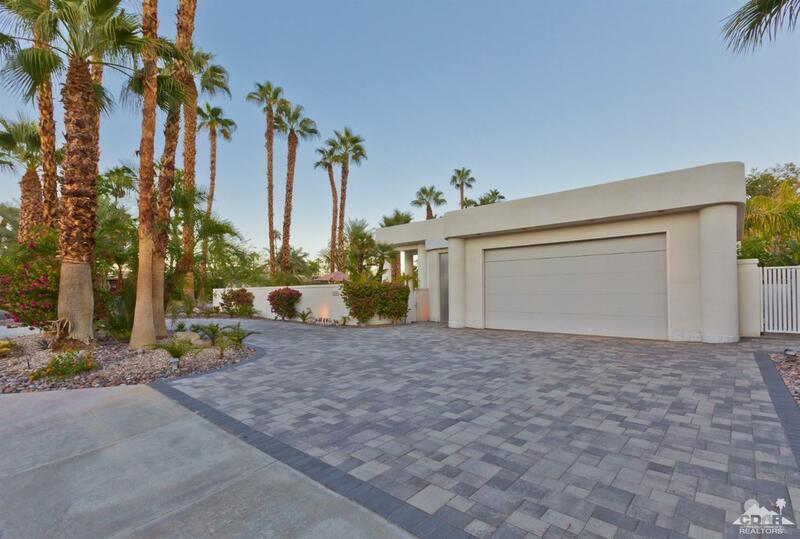 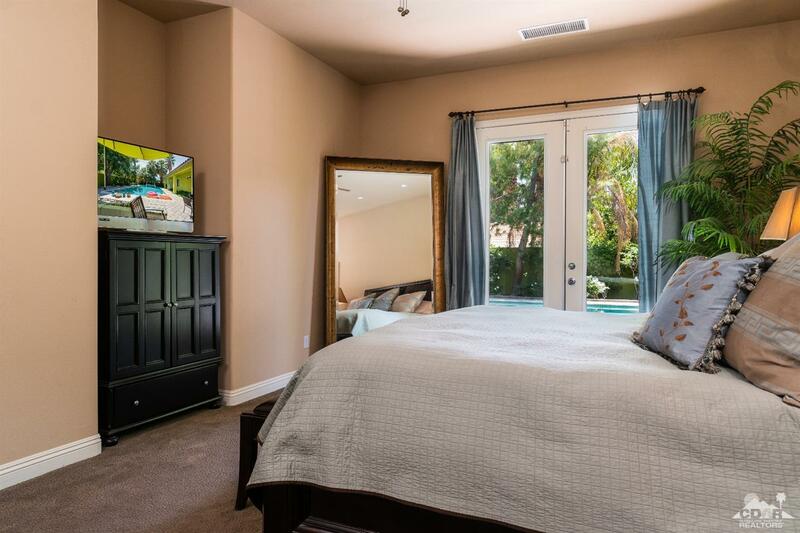 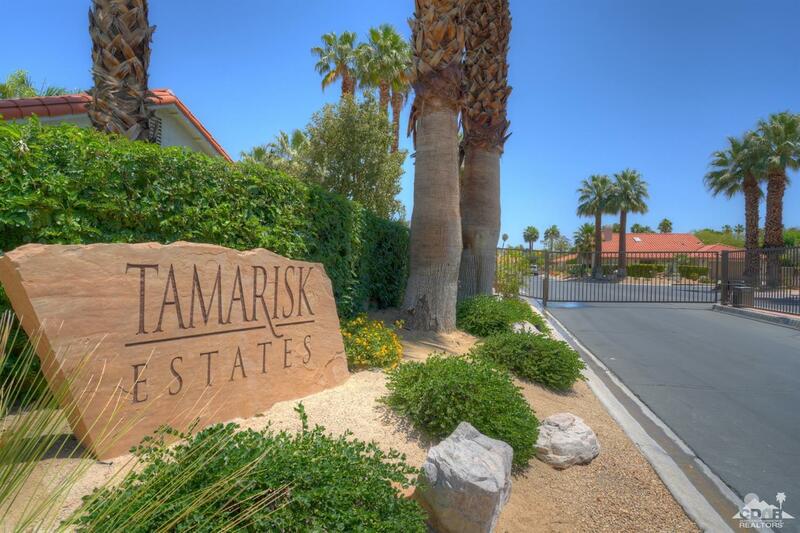 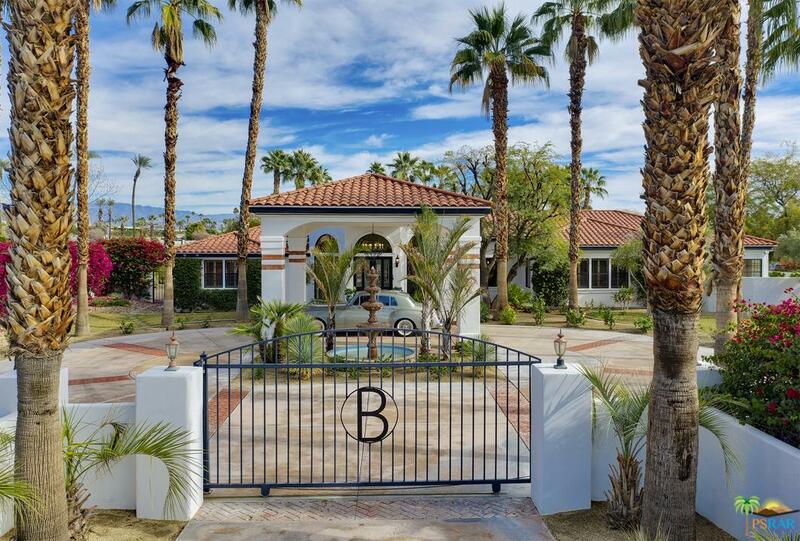 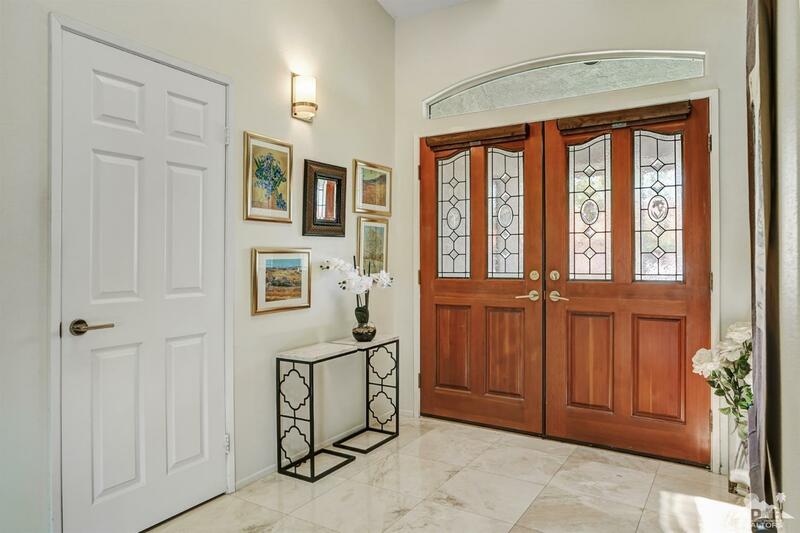 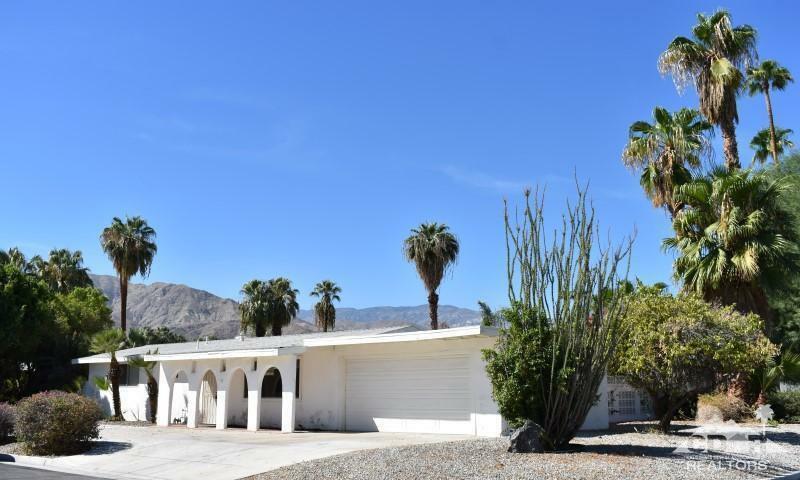 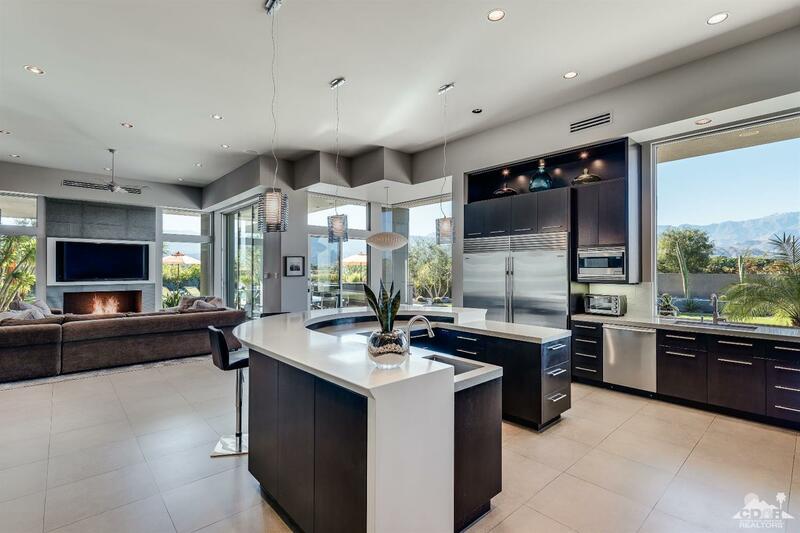 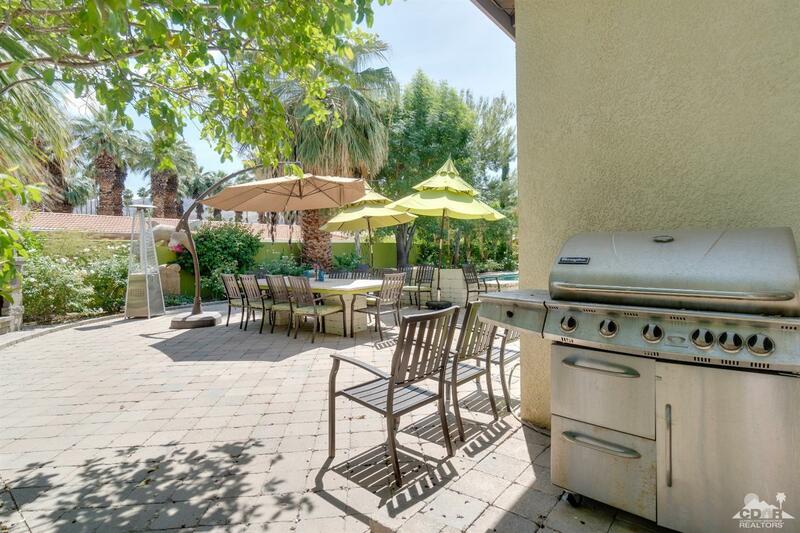 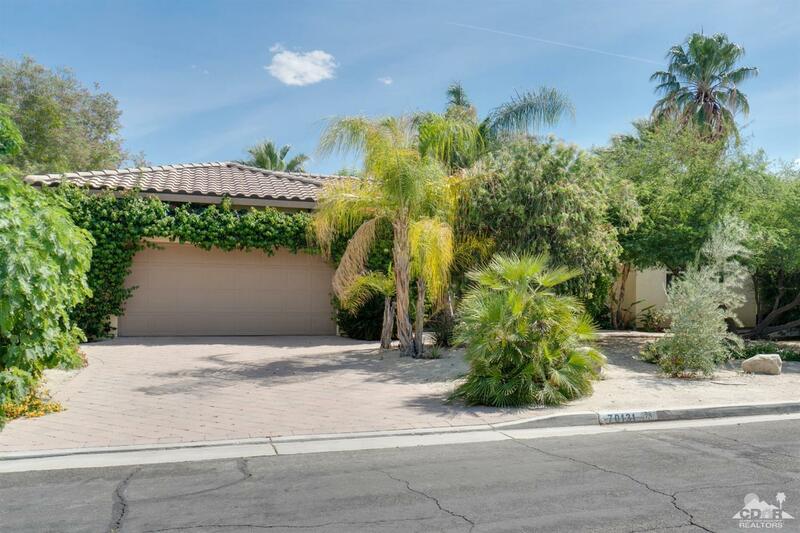 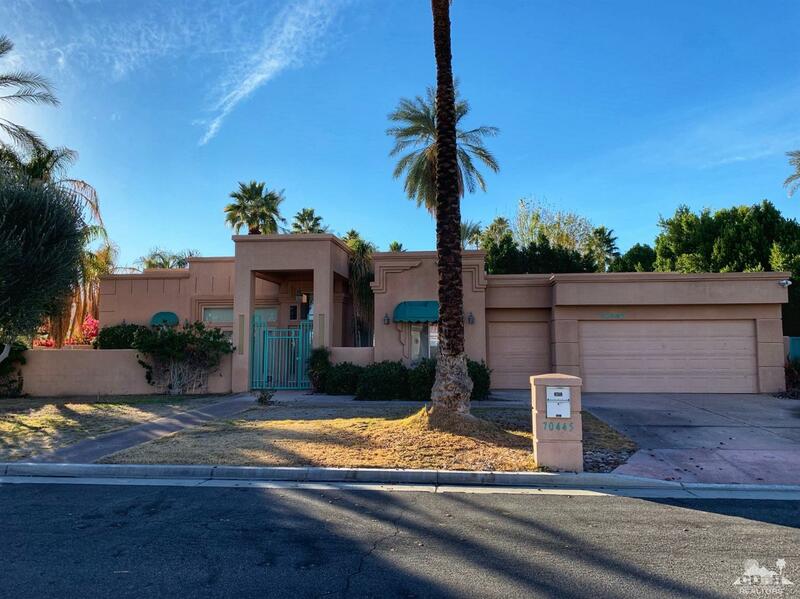 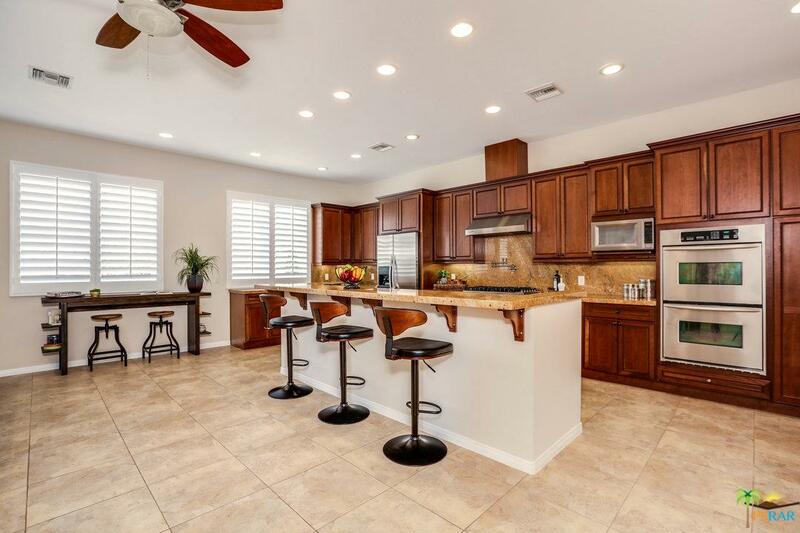 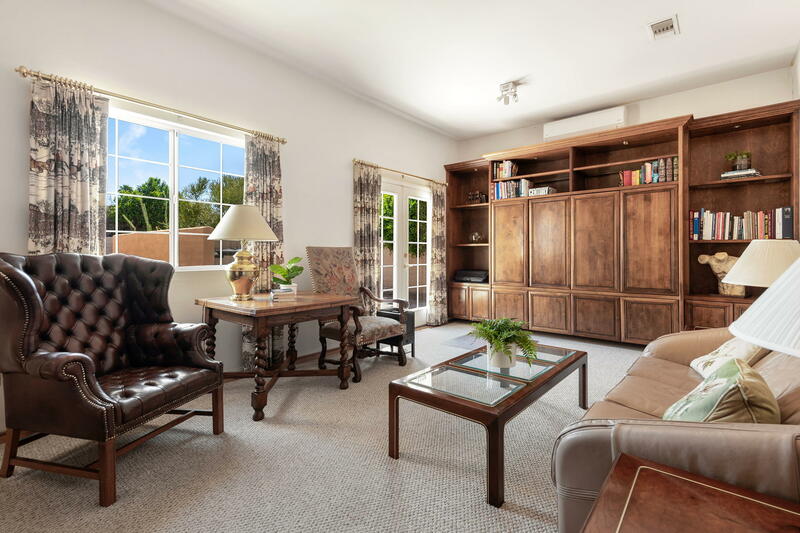 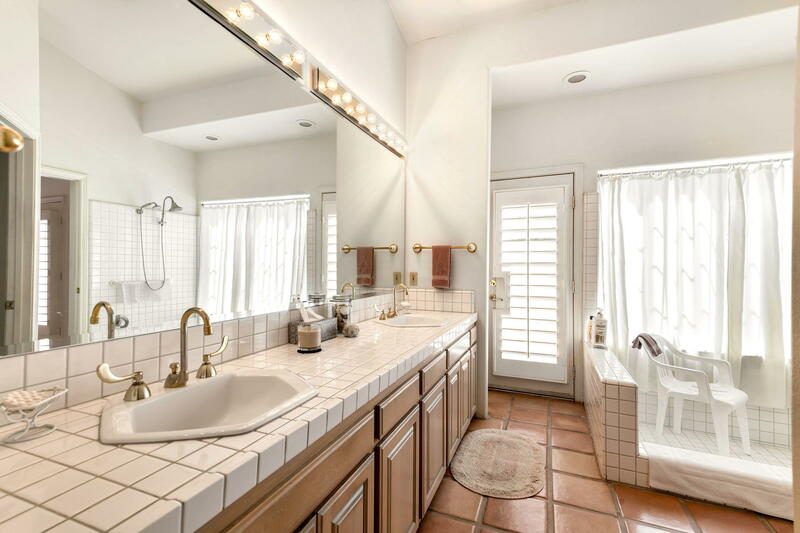 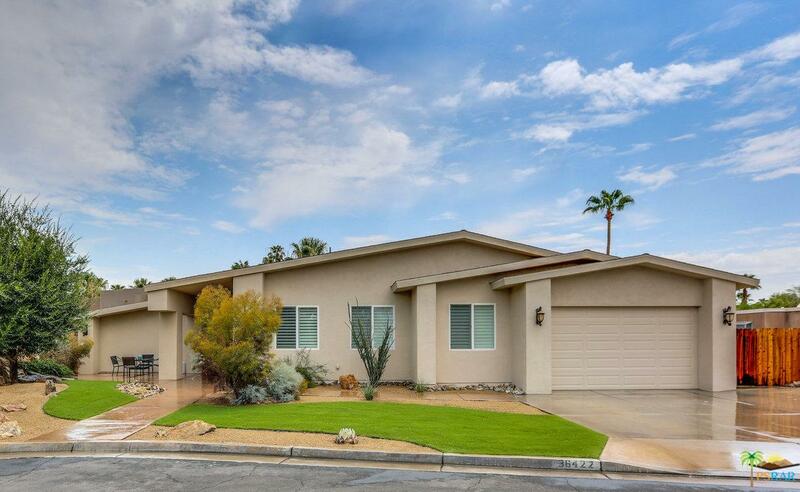 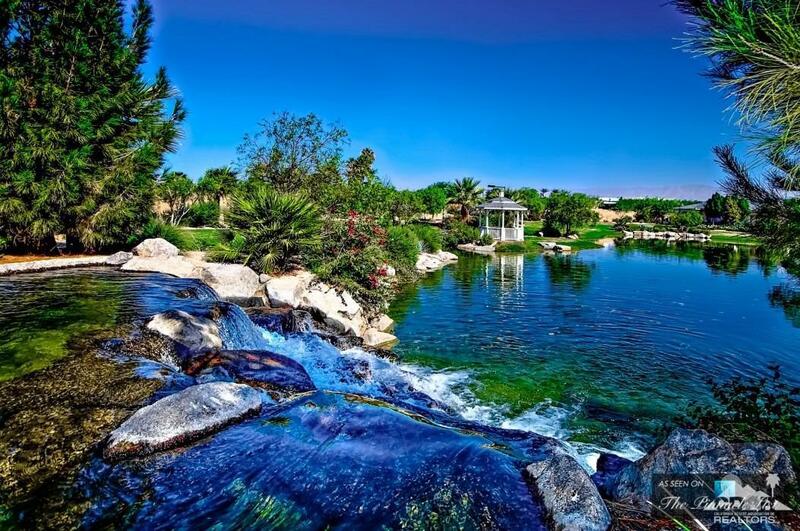 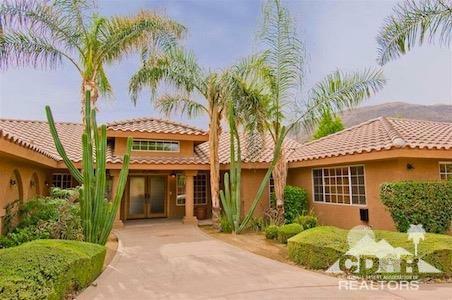 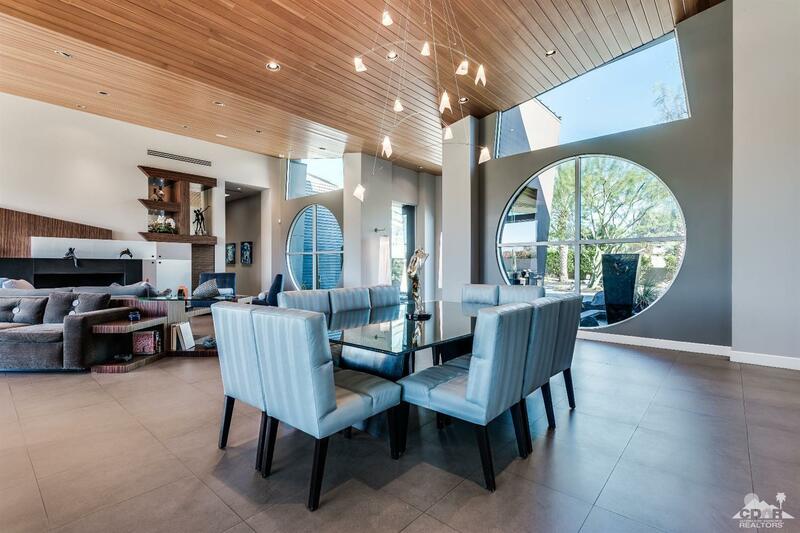 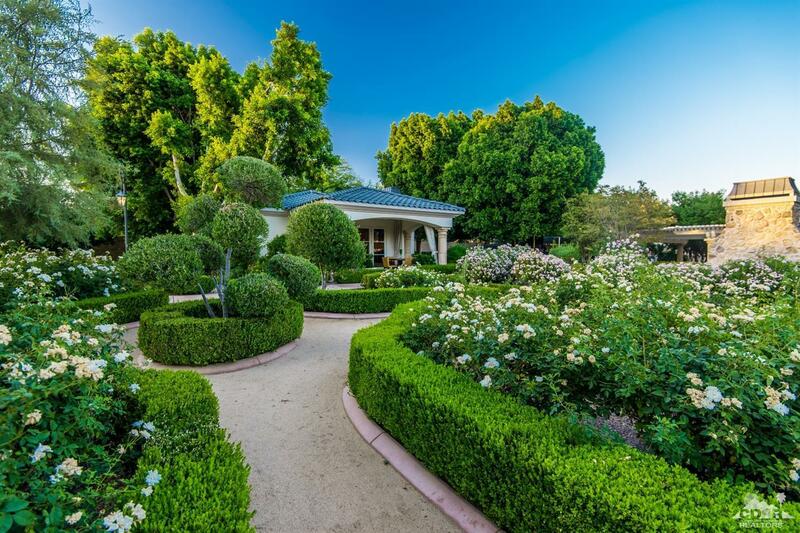 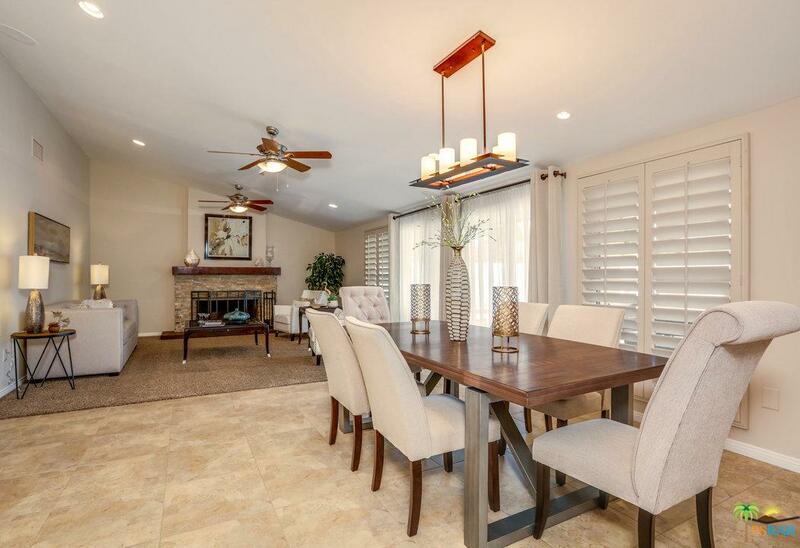 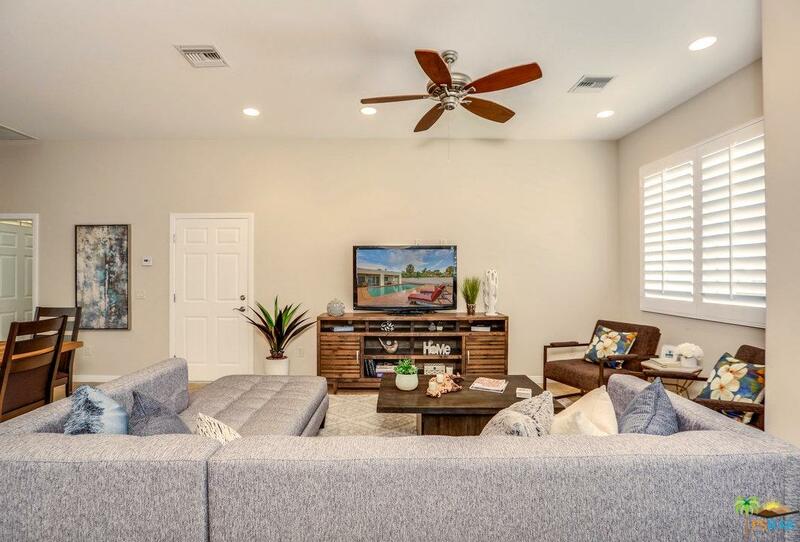 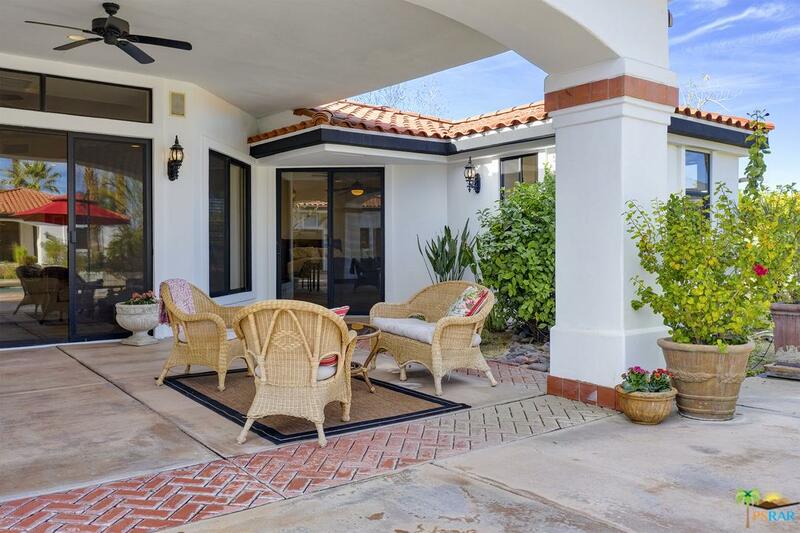 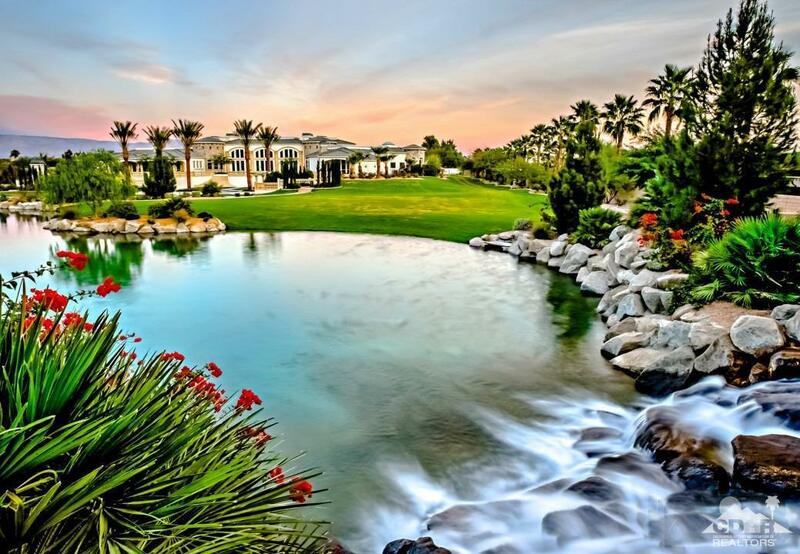 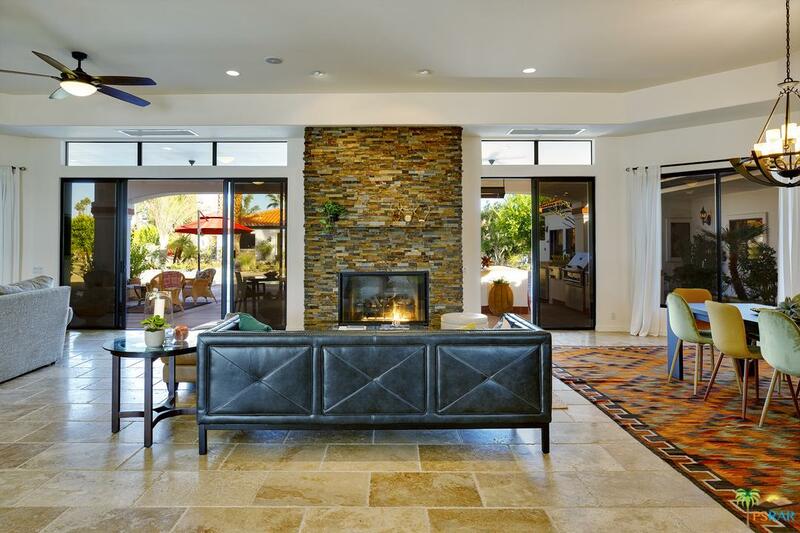 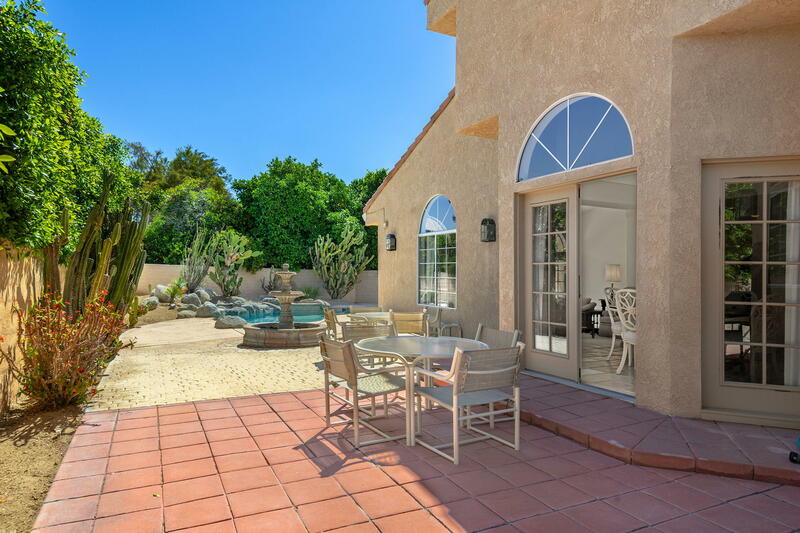 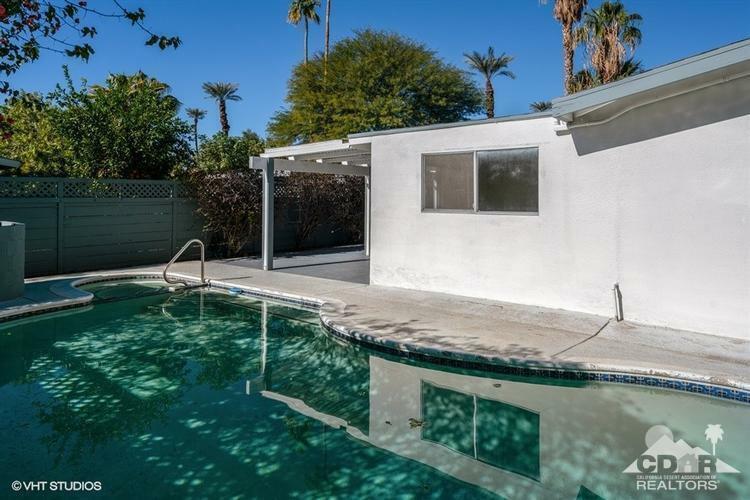 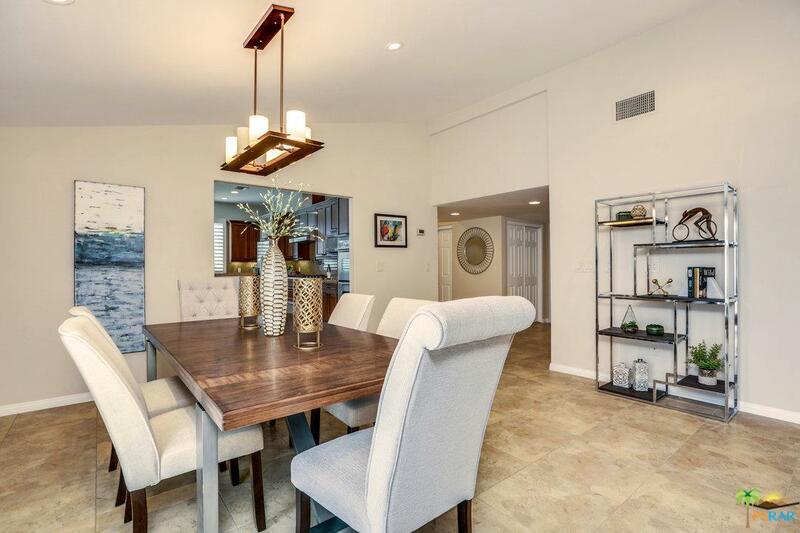 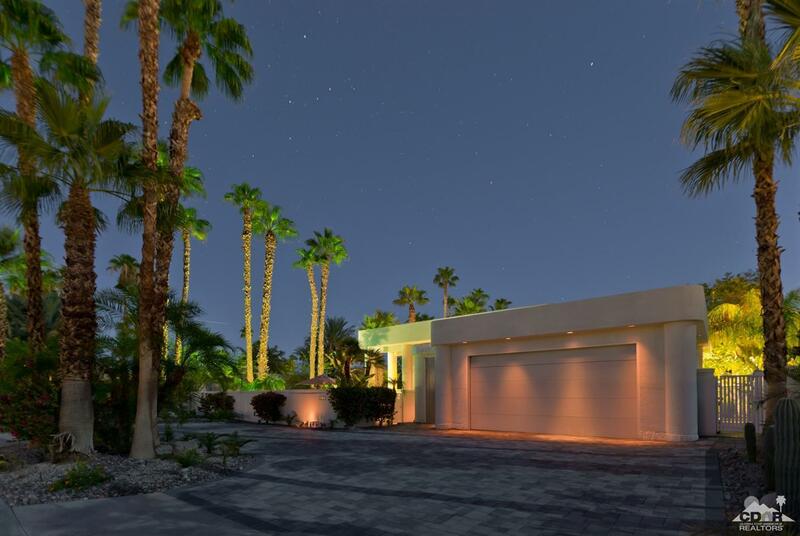 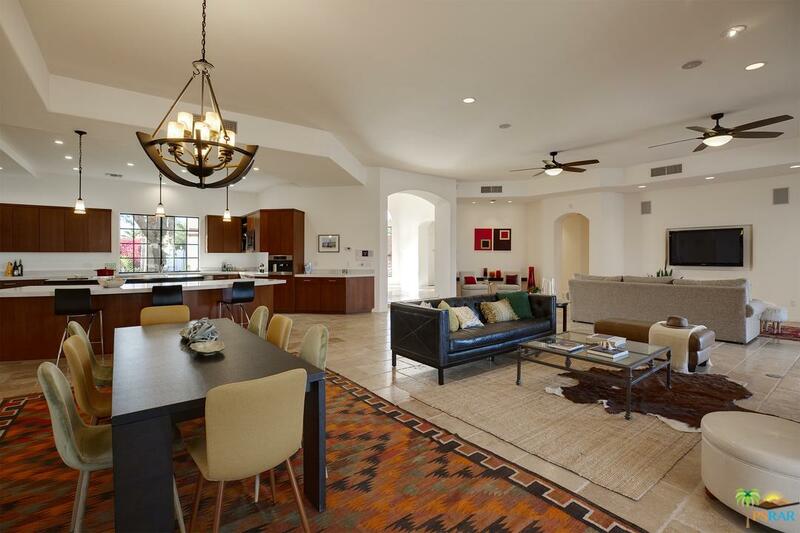 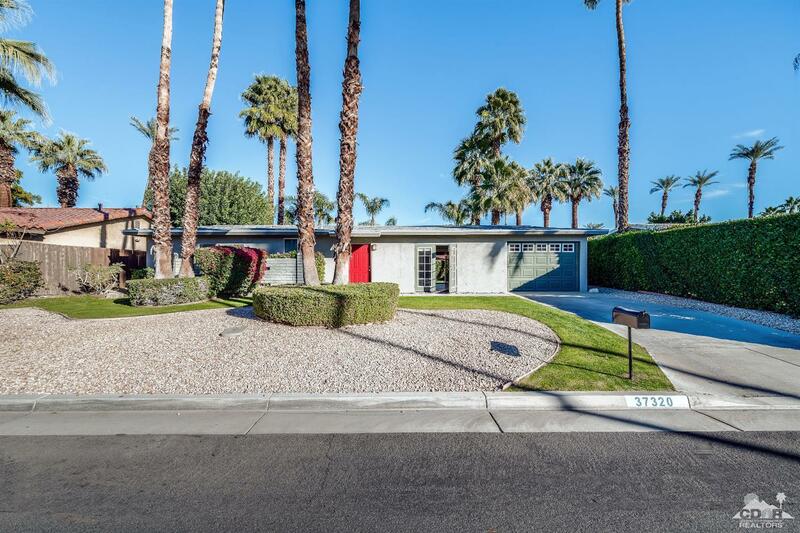 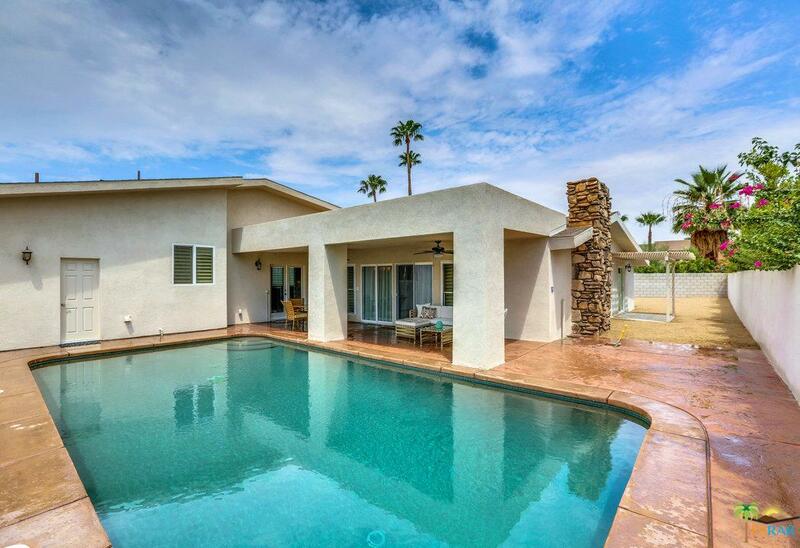 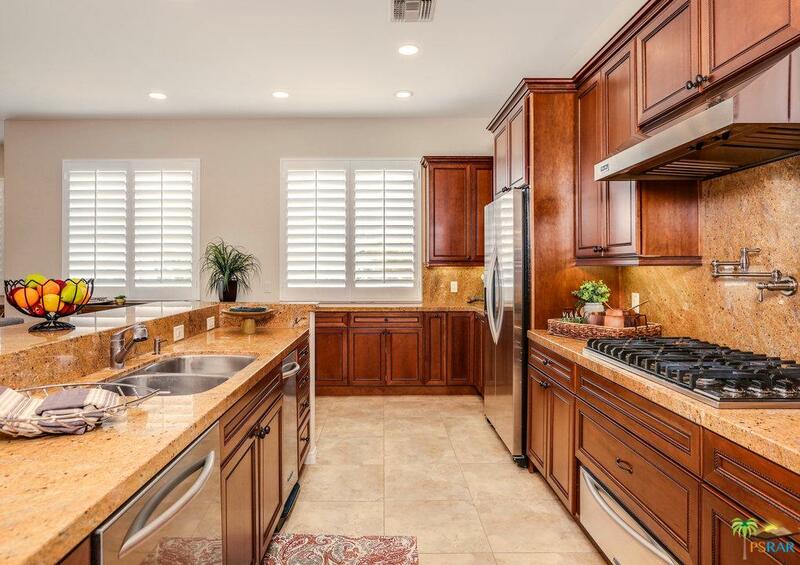 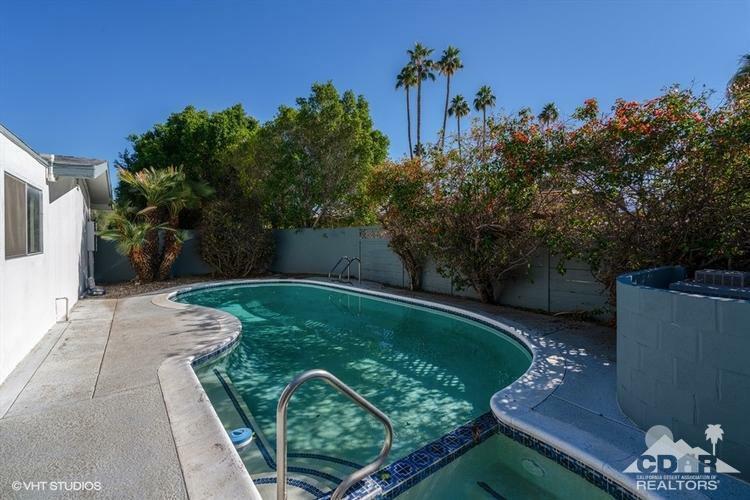 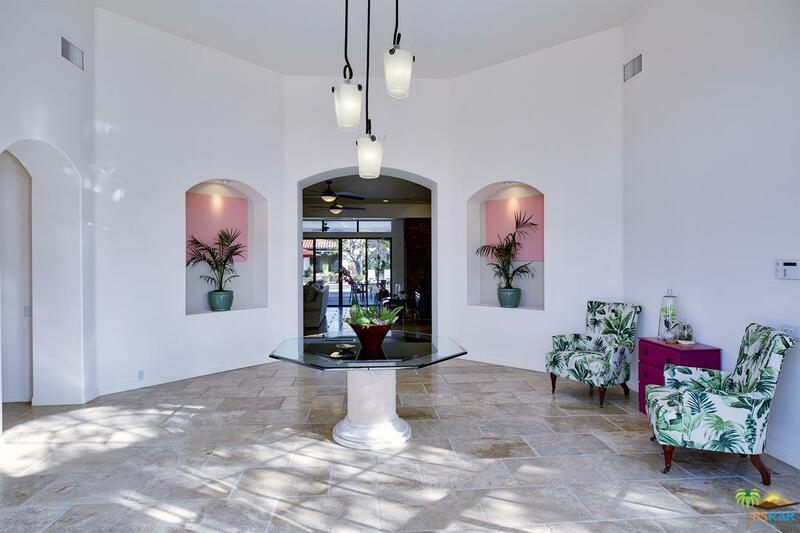 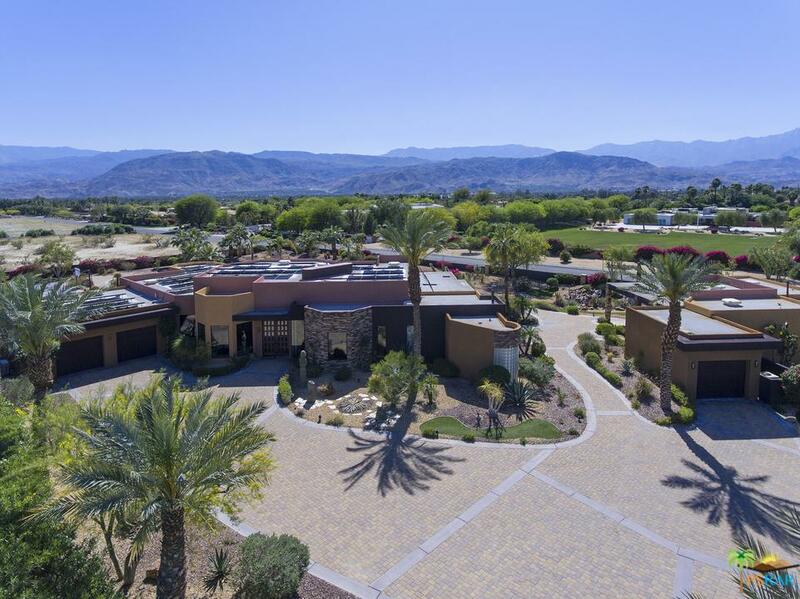 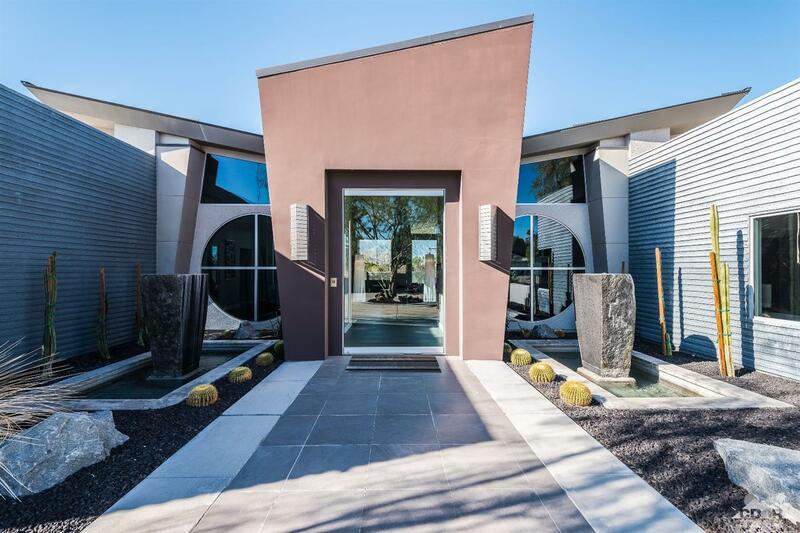 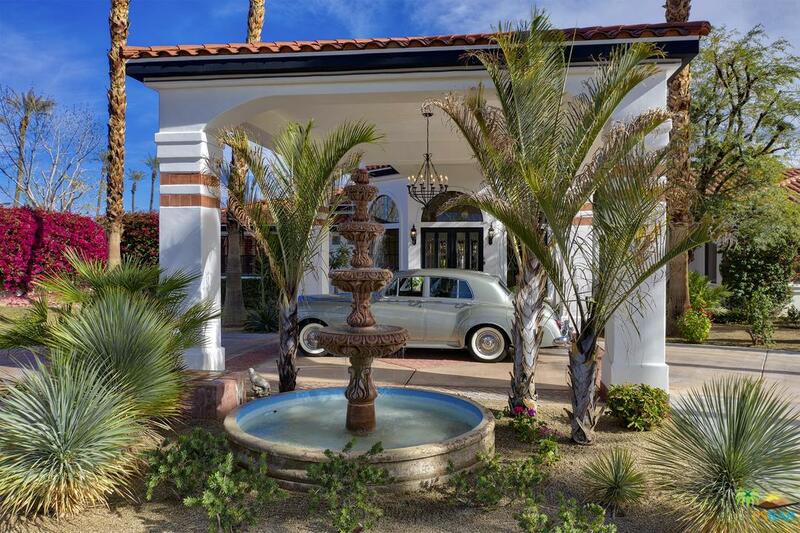 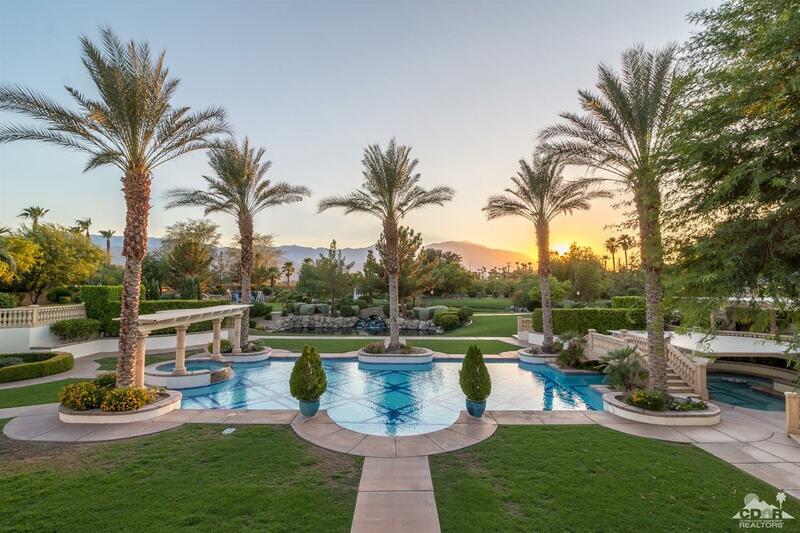 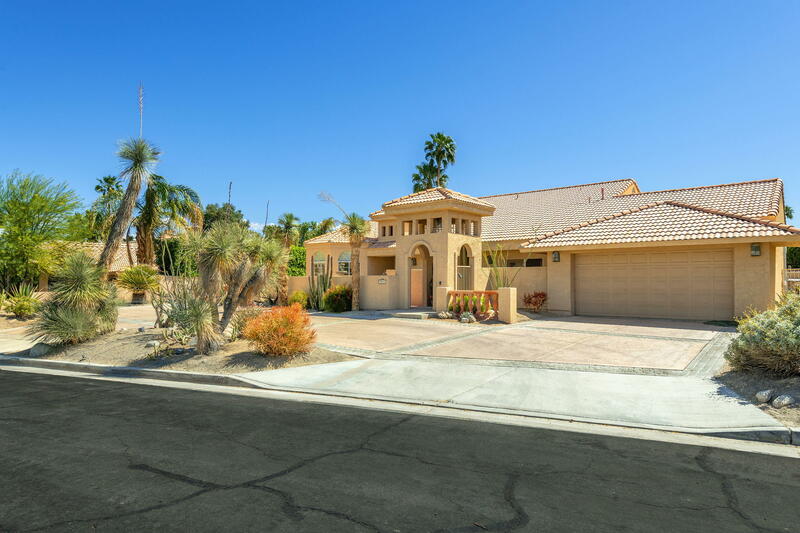 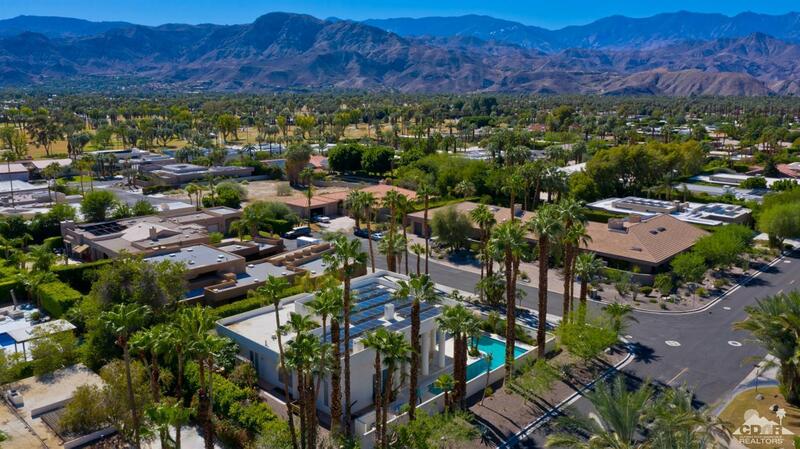 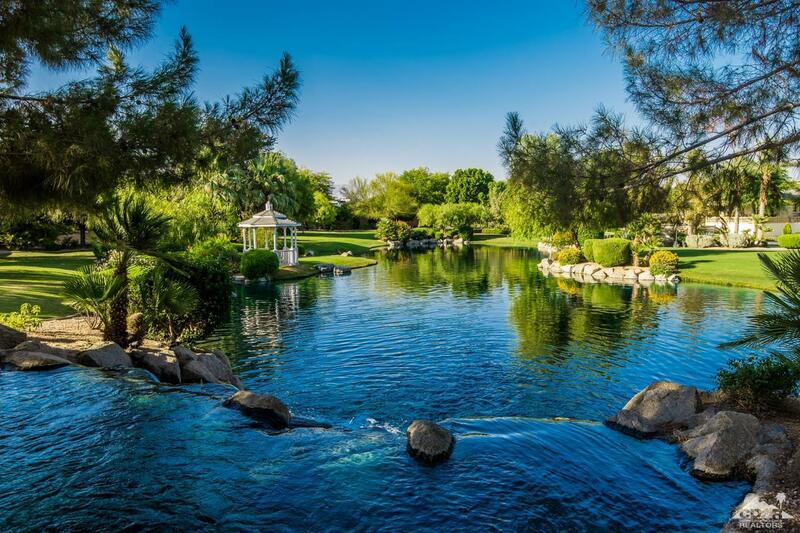 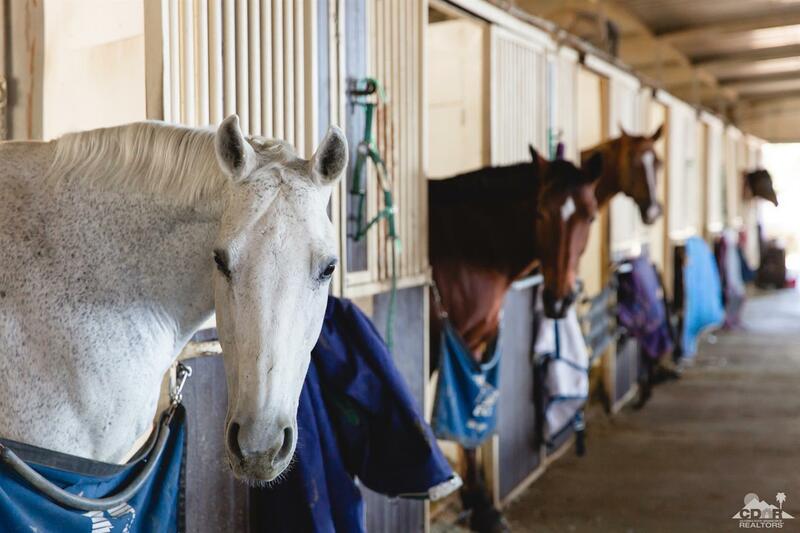 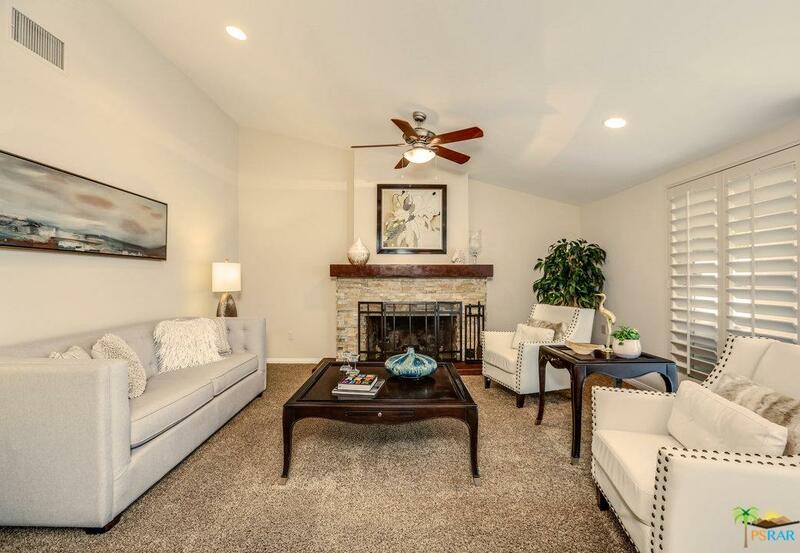 Situated in the heart of the Tamarisk neighborhood where custom homes of every design and price point, towering Palm trees and meandering streets combine to create this diverse and friendly neighborhood. 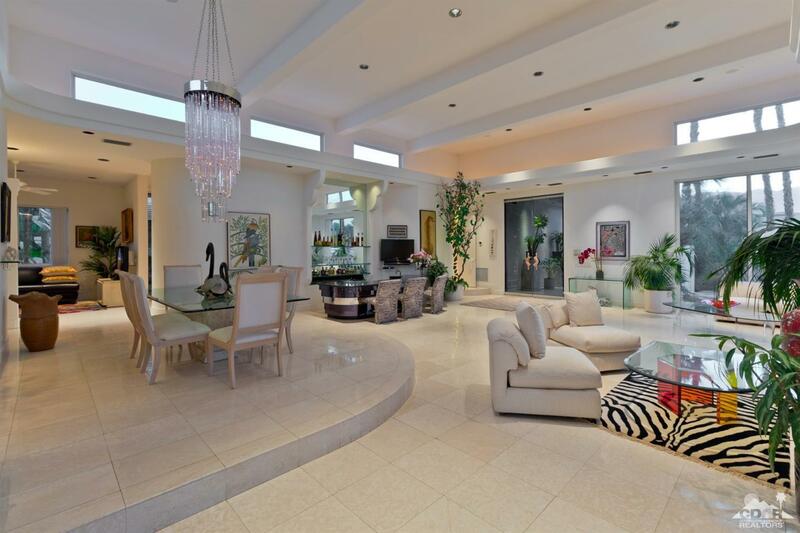 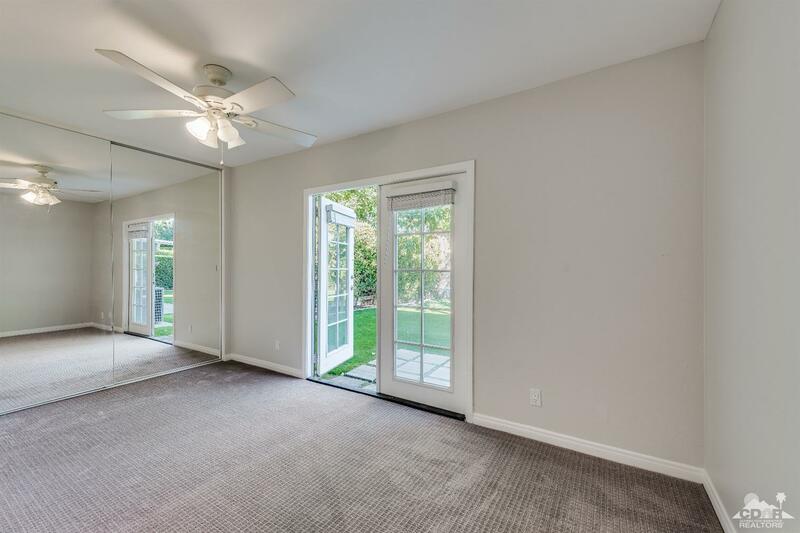 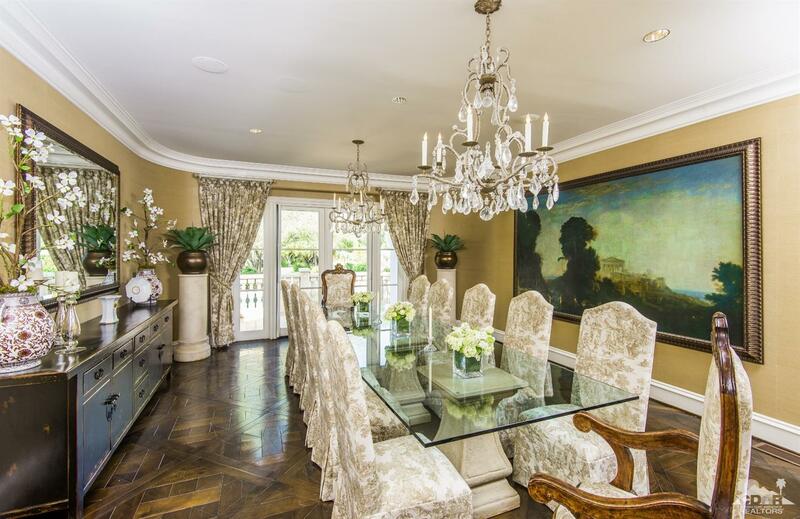 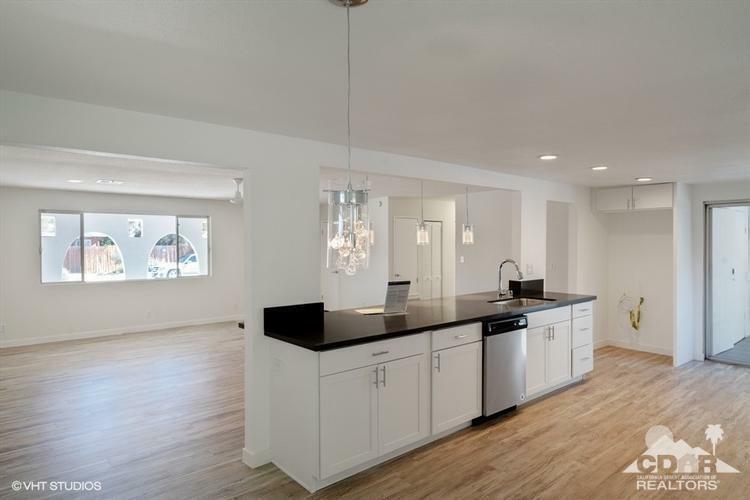 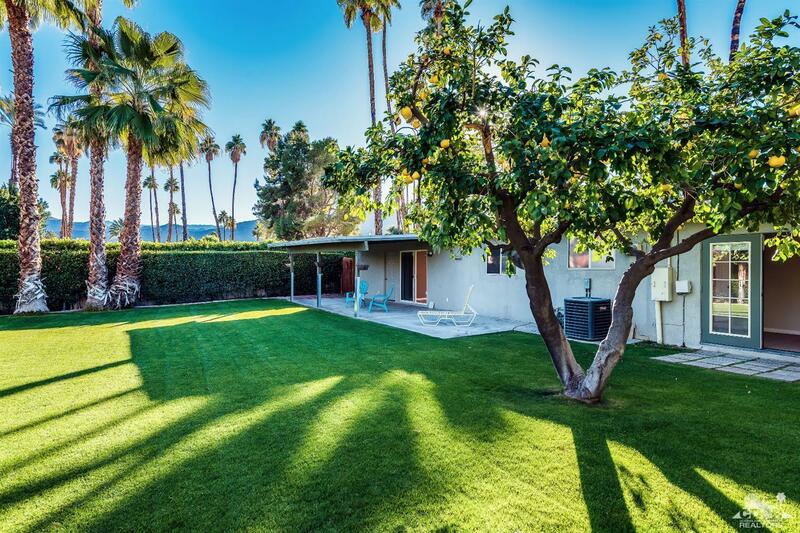 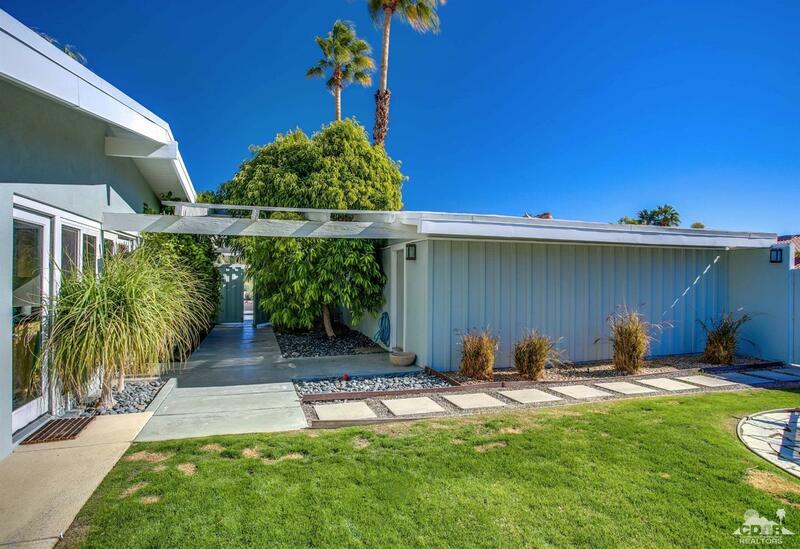 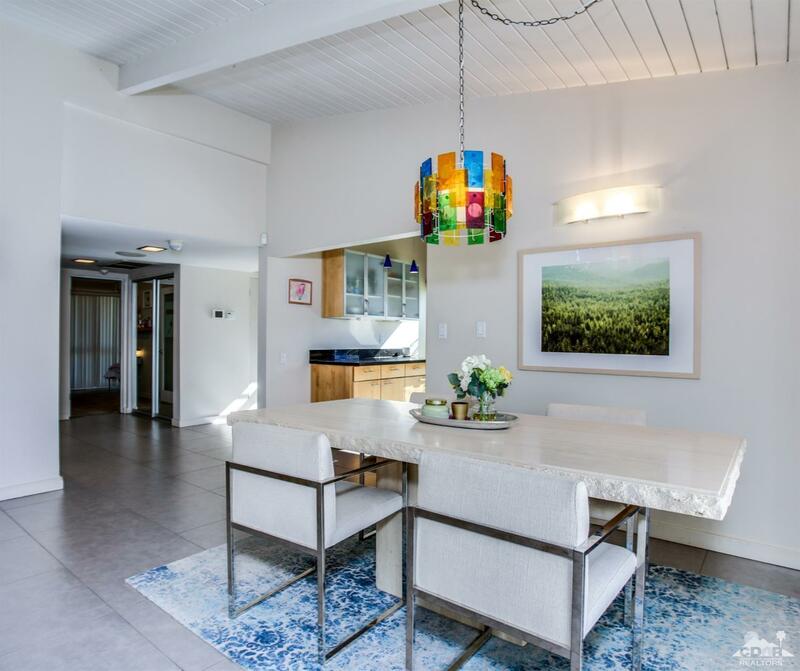 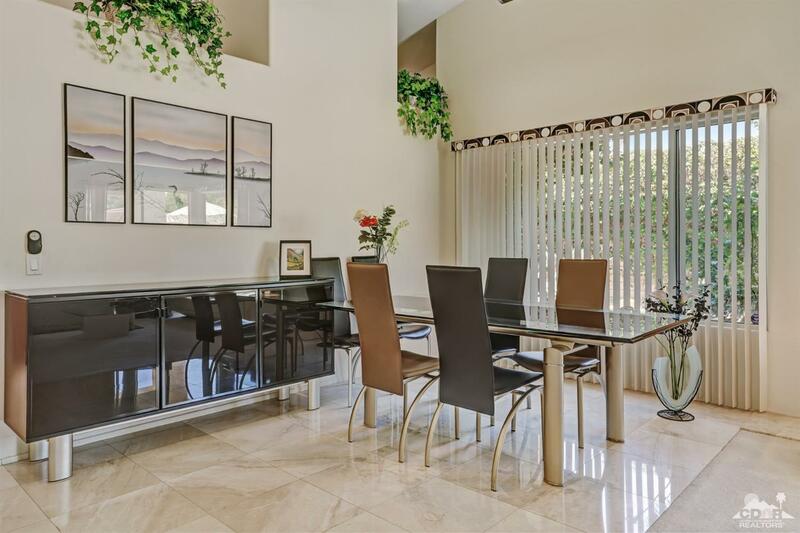 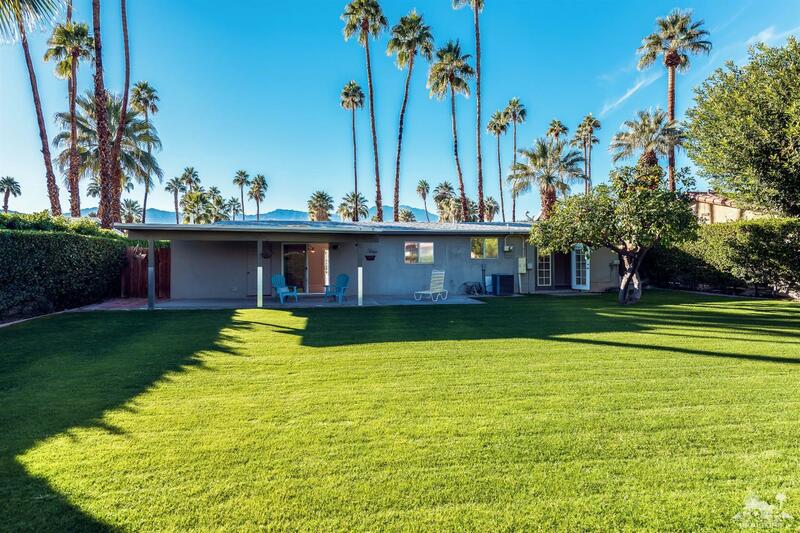 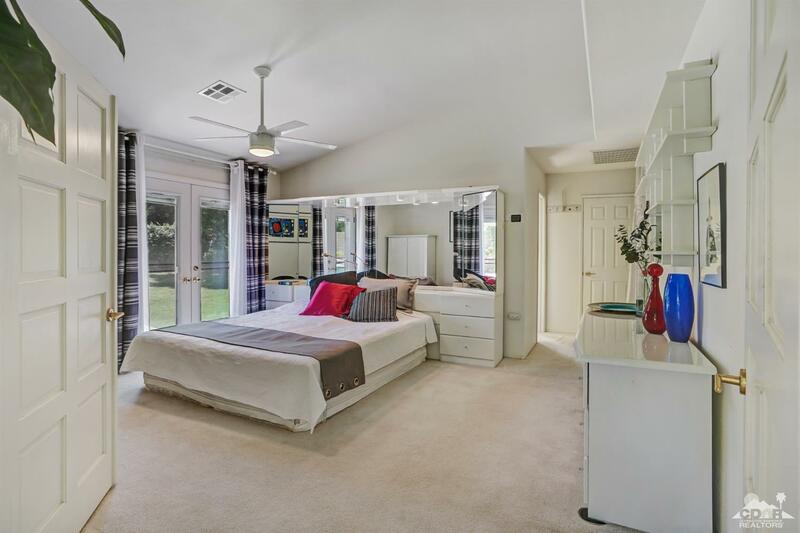 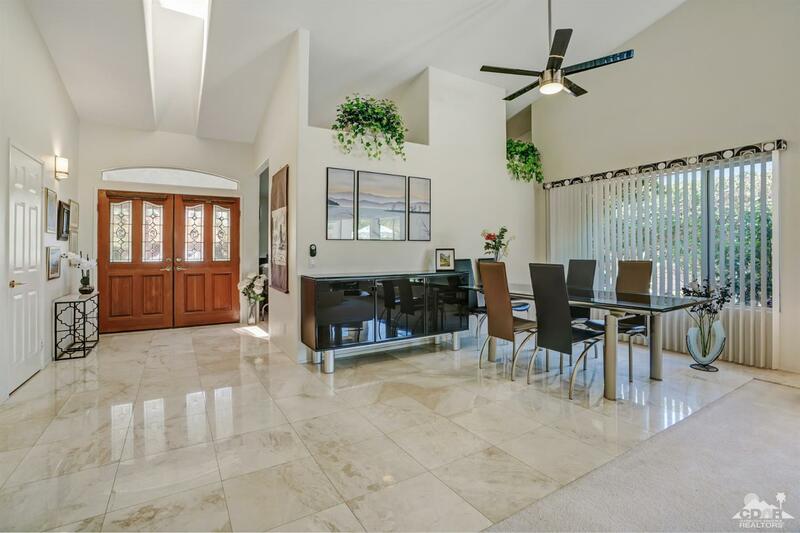 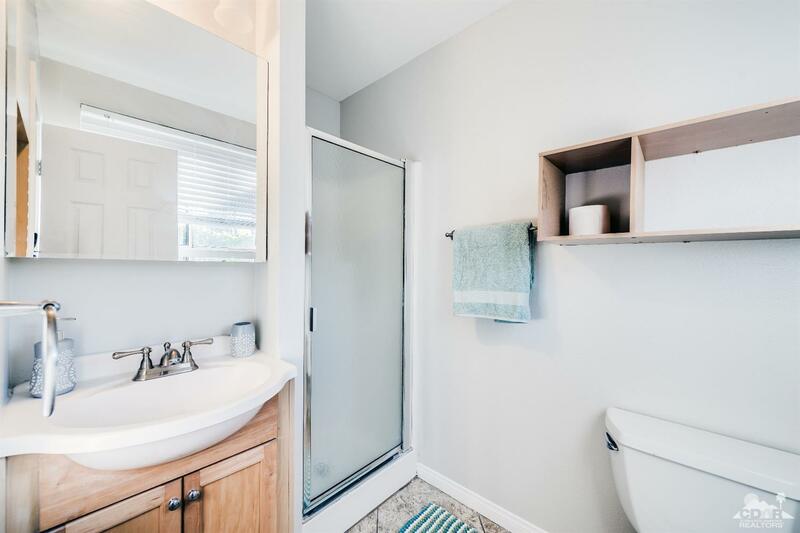 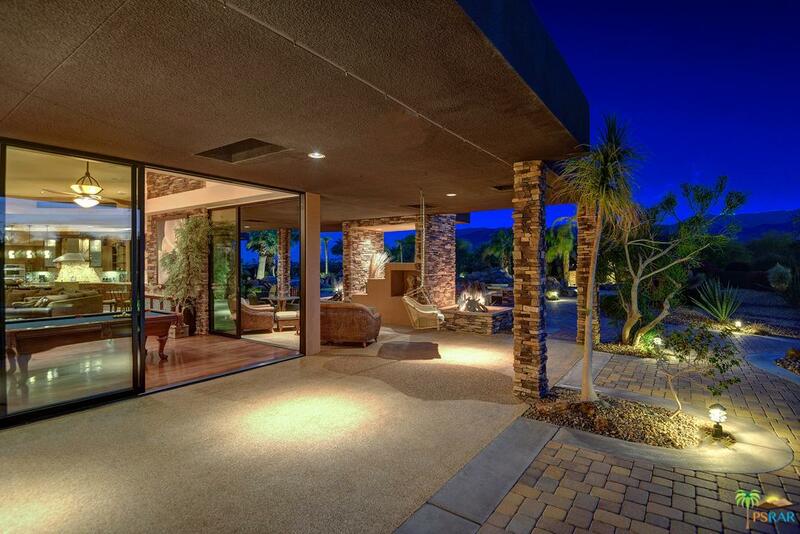 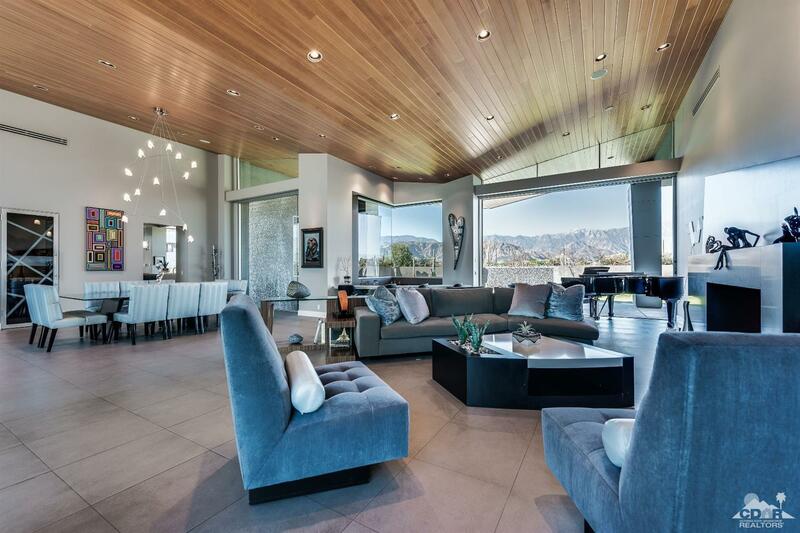 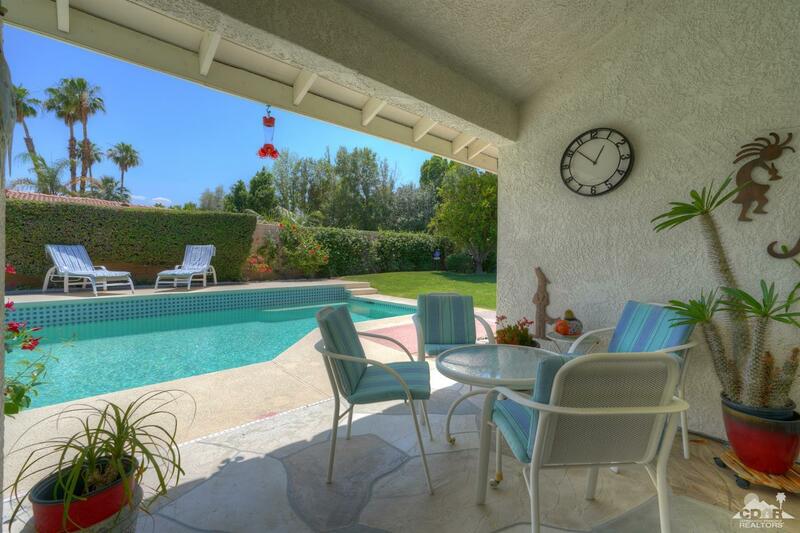 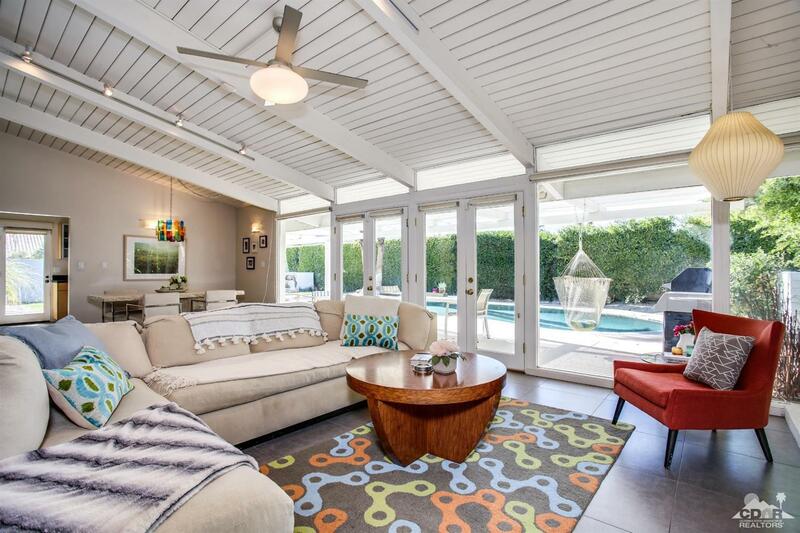 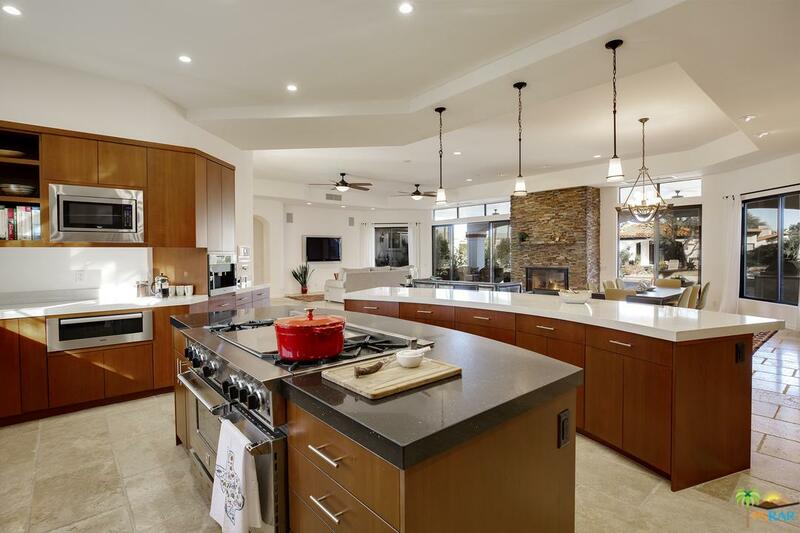 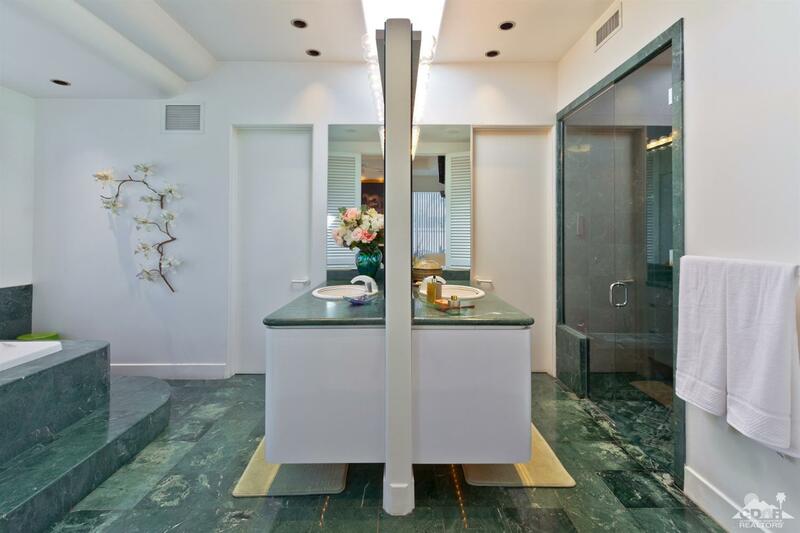 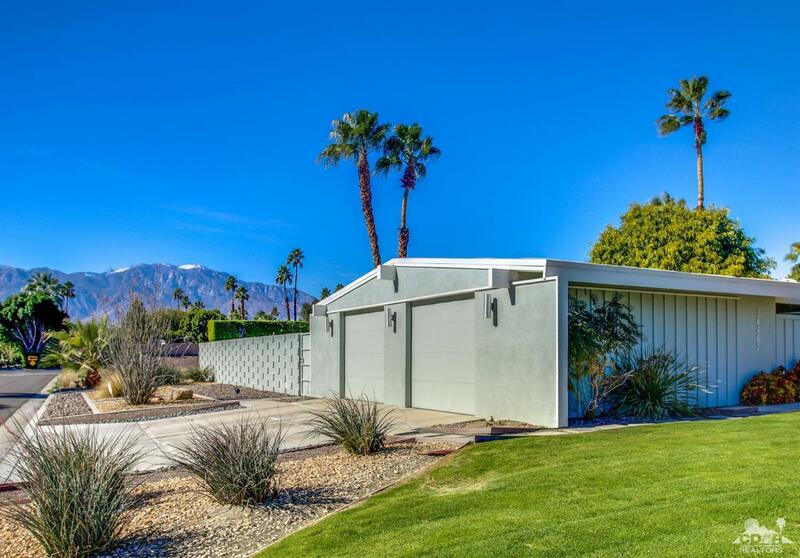 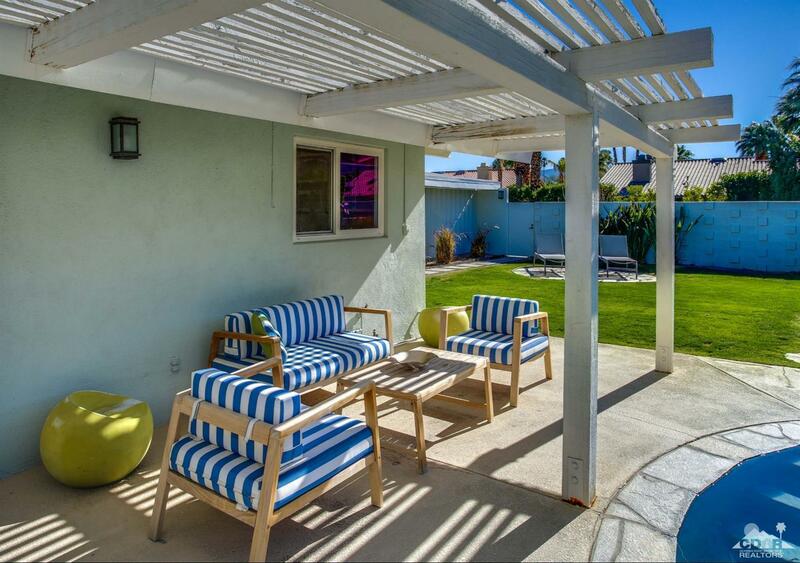 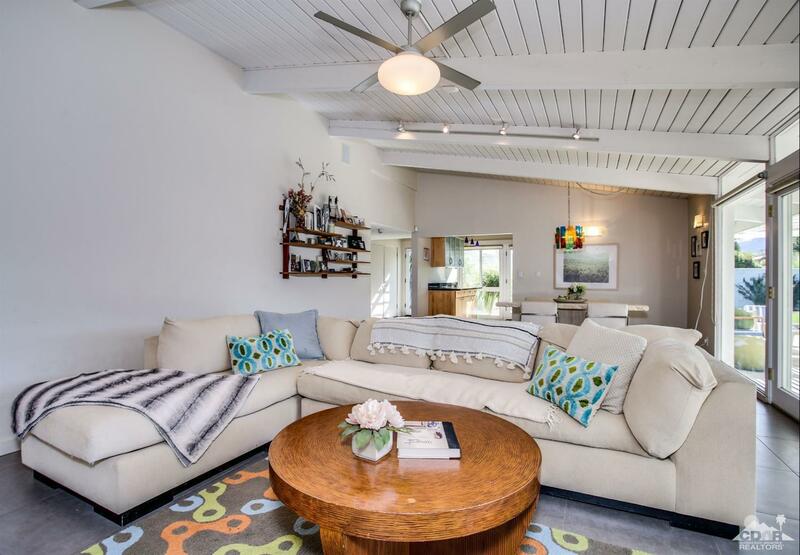 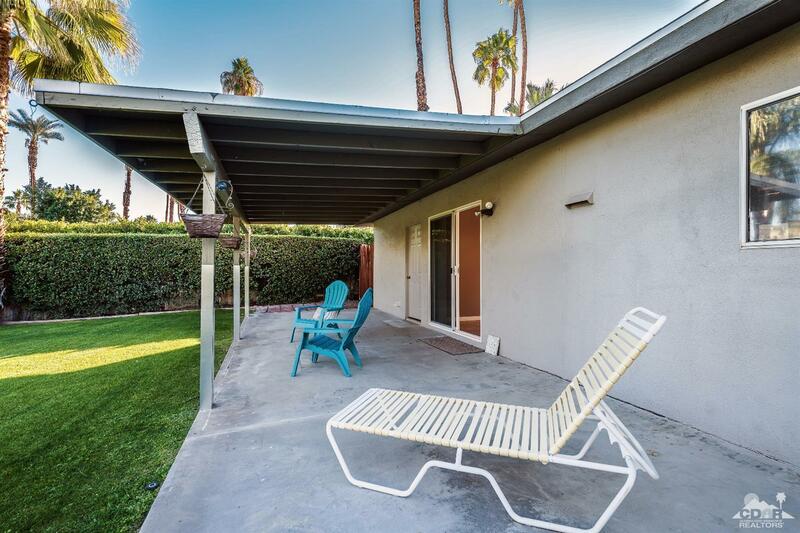 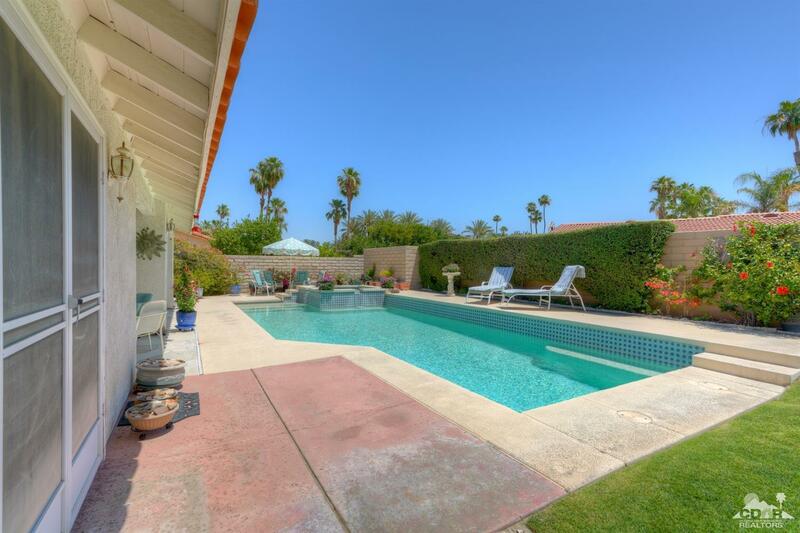 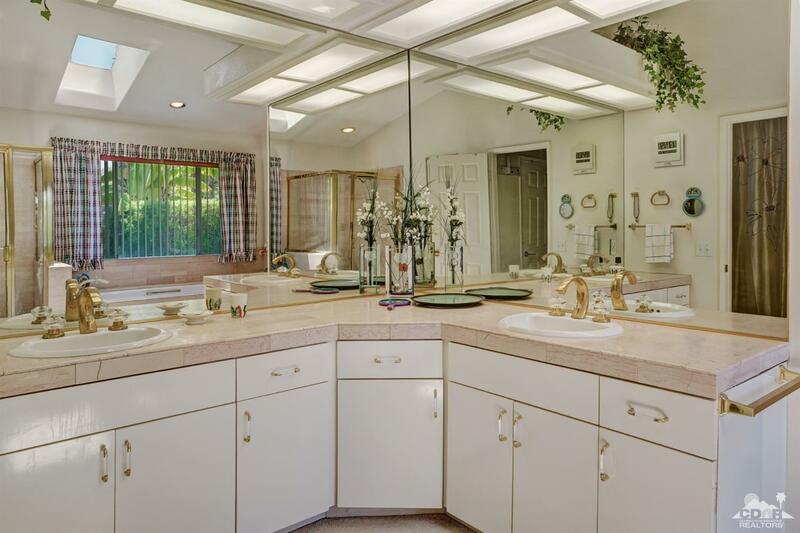 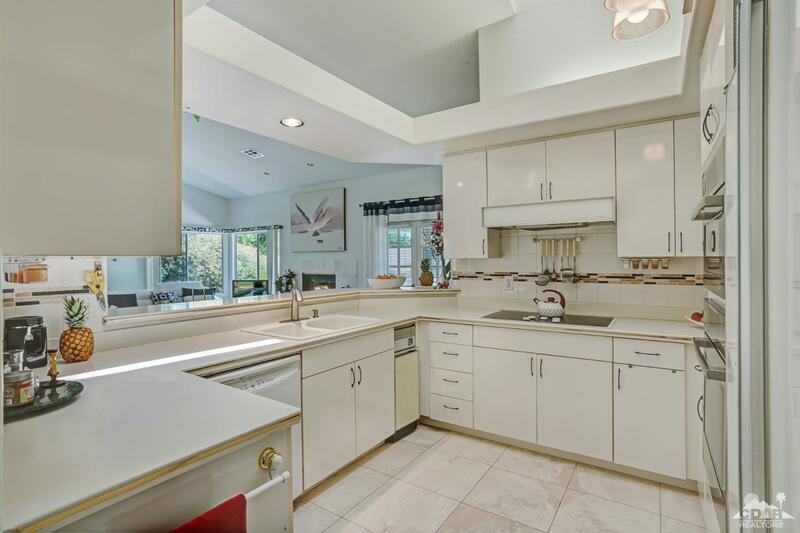 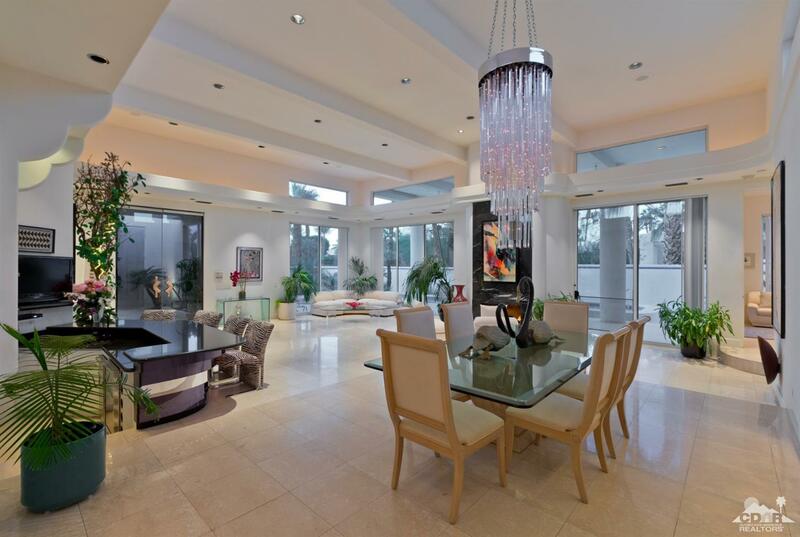 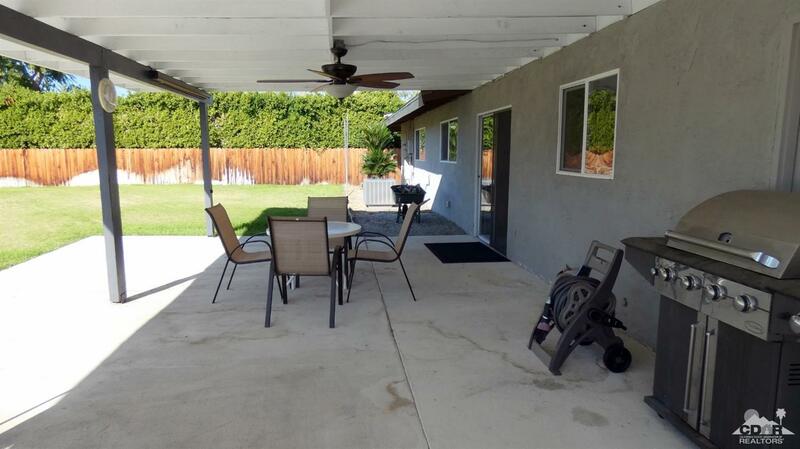 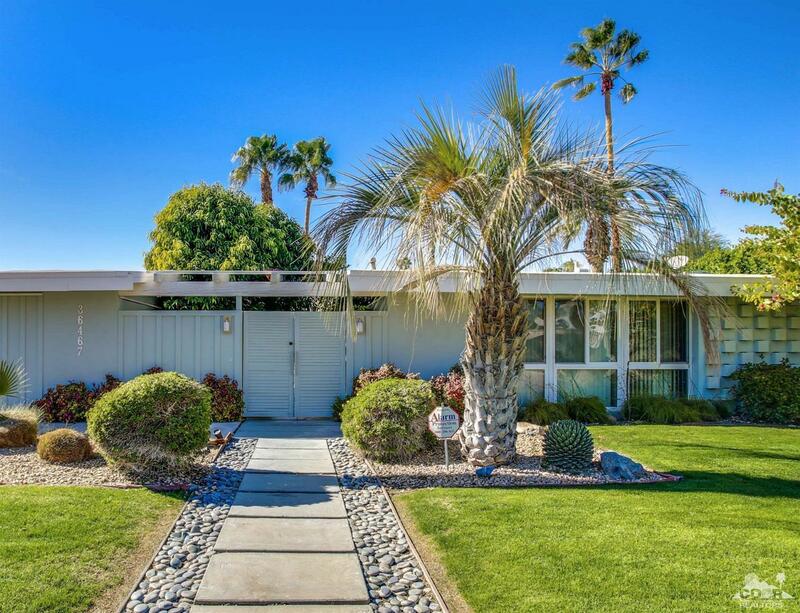 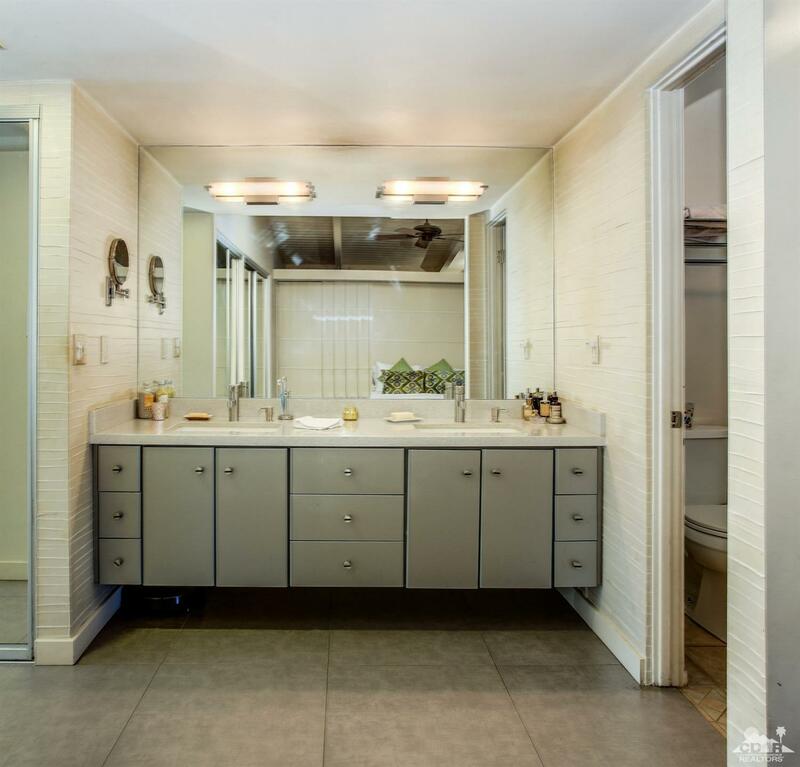 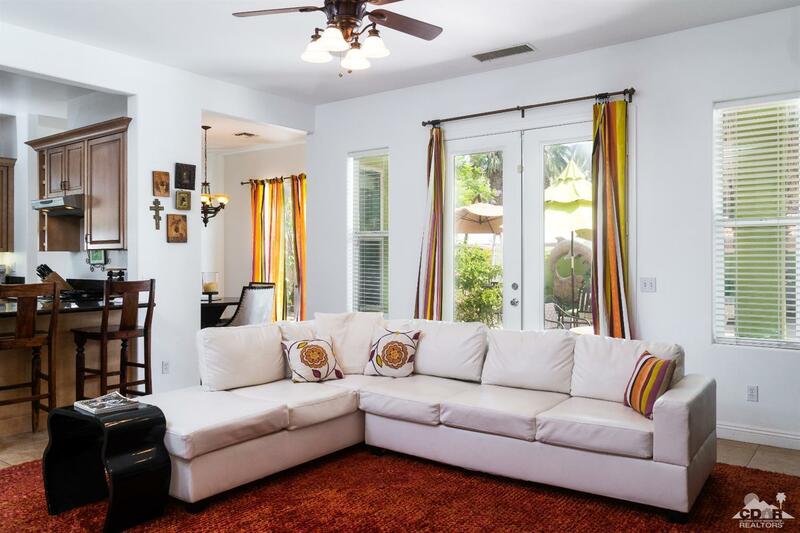 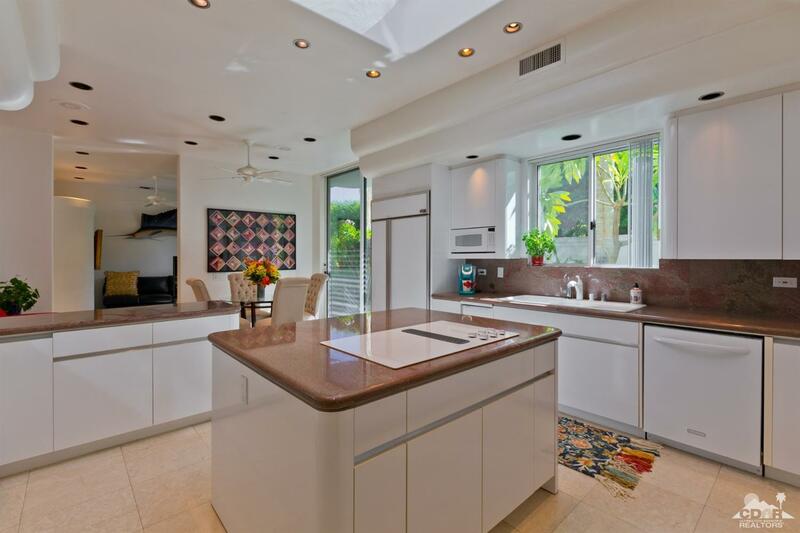 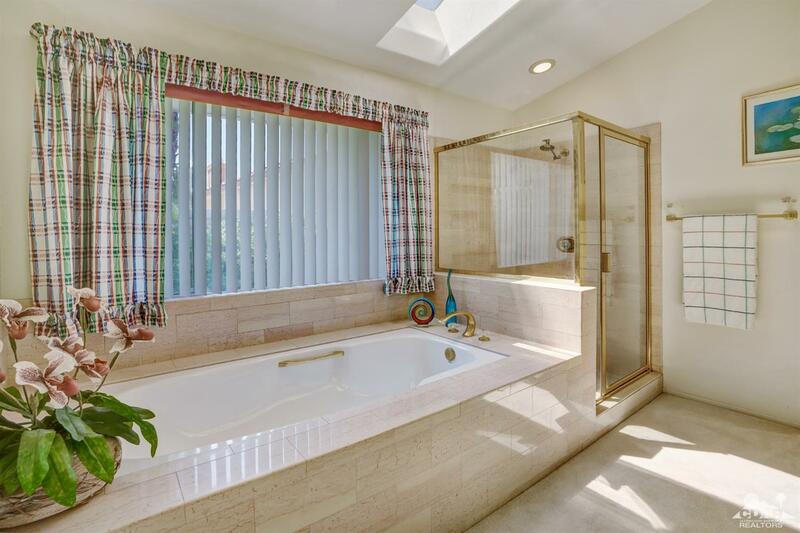 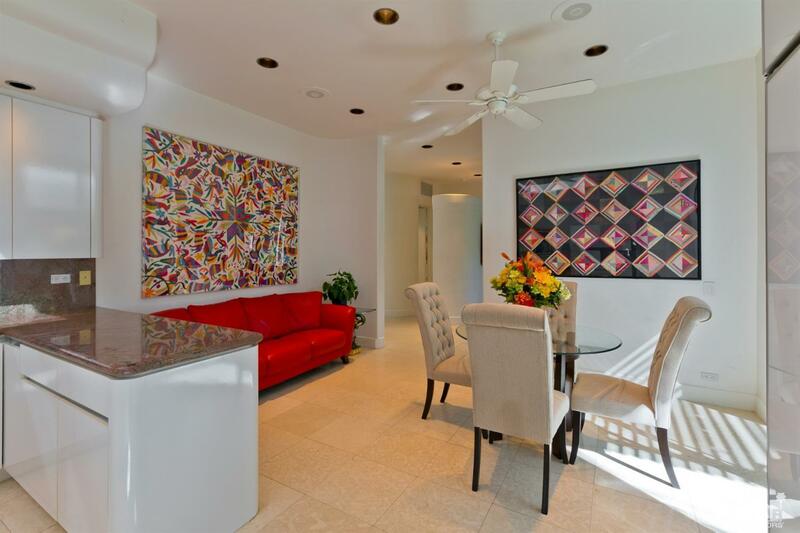 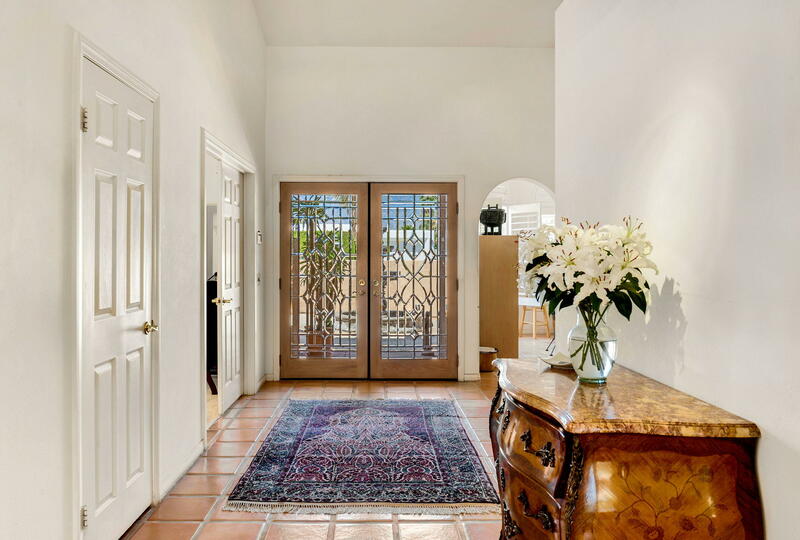 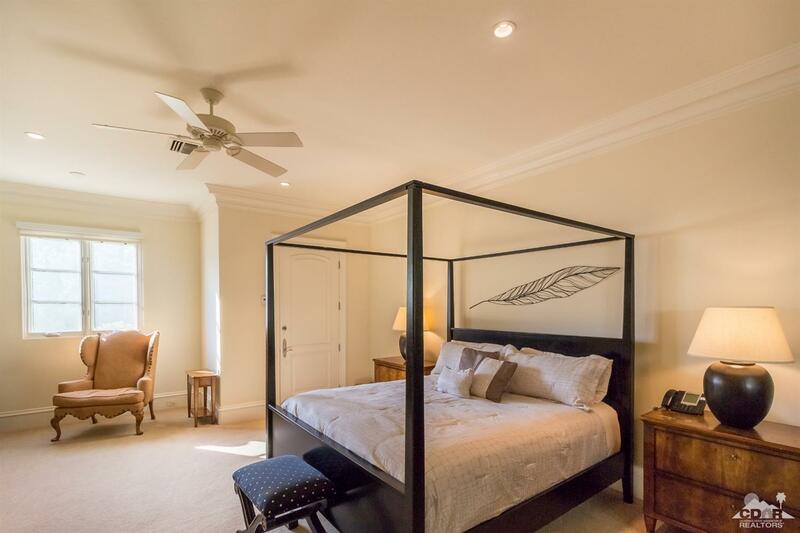 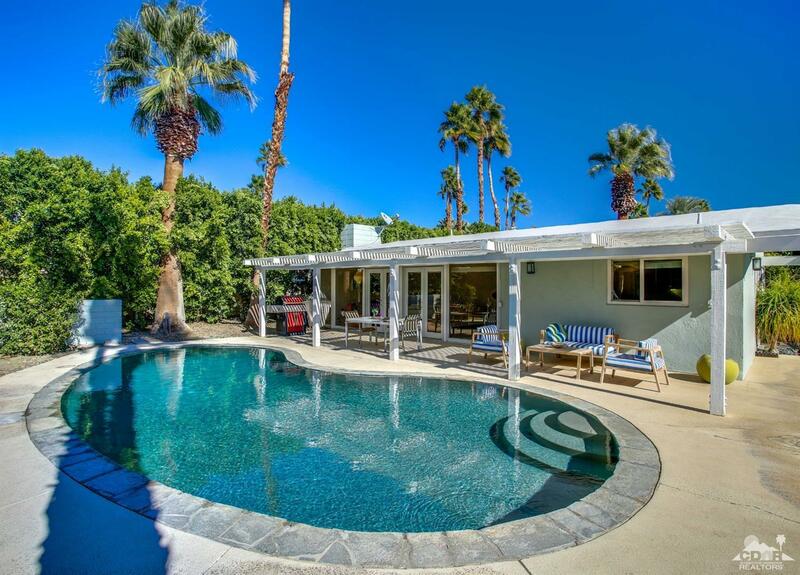 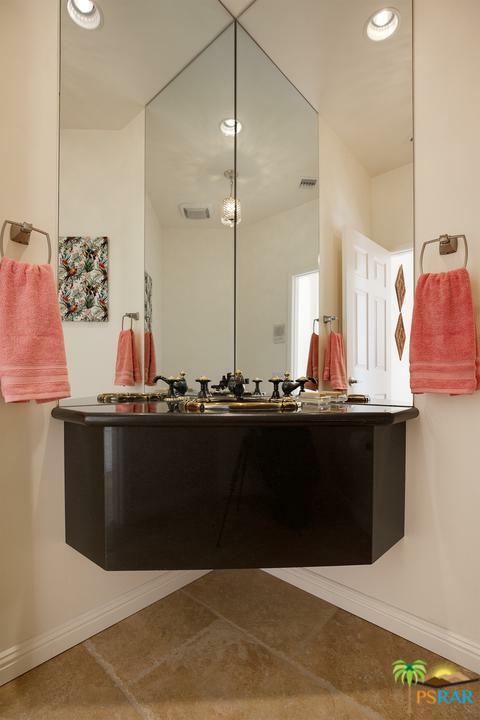 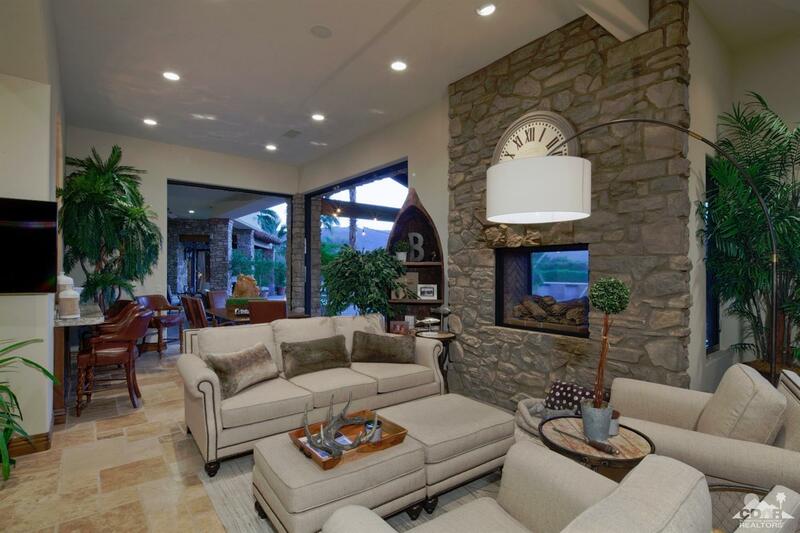 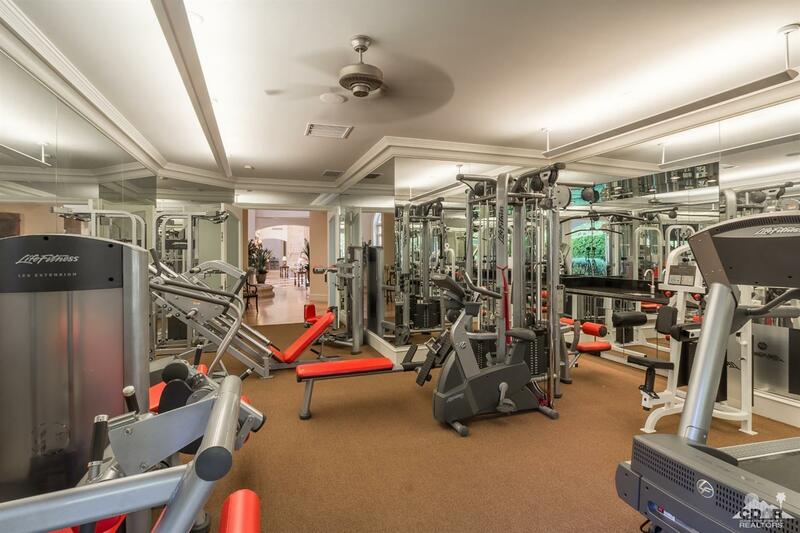 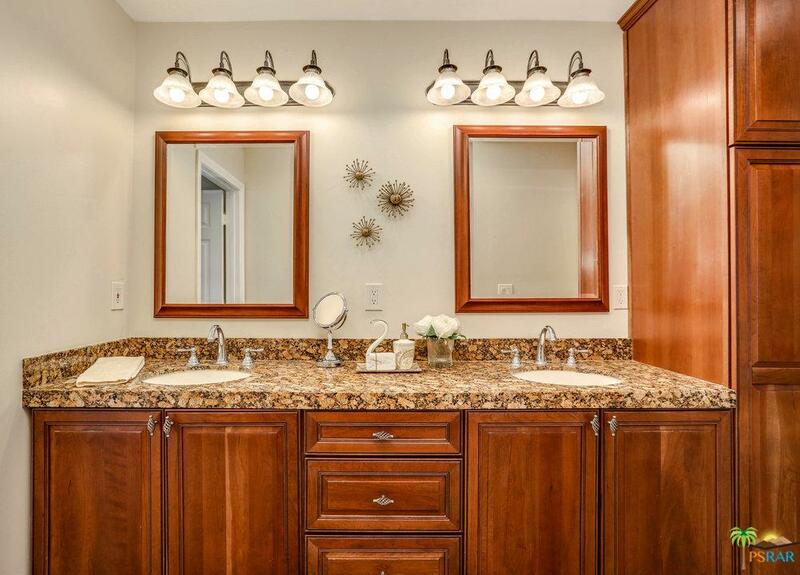 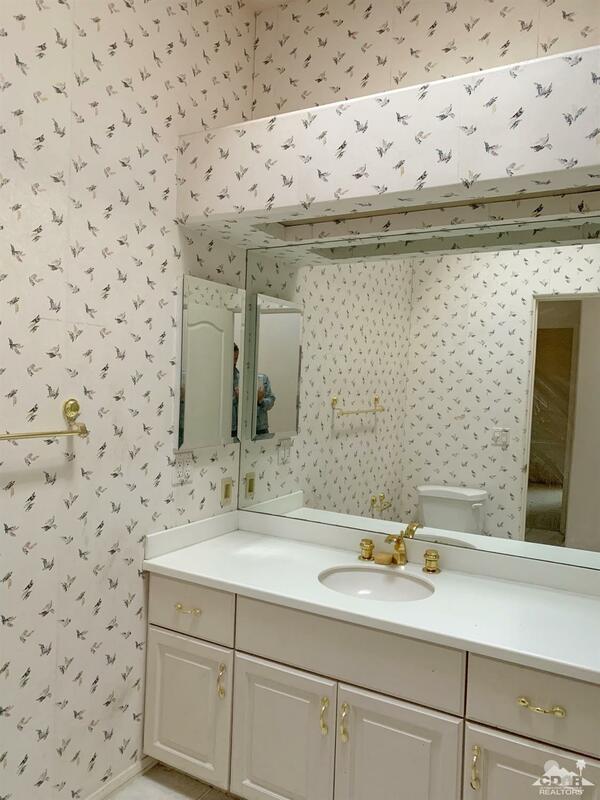 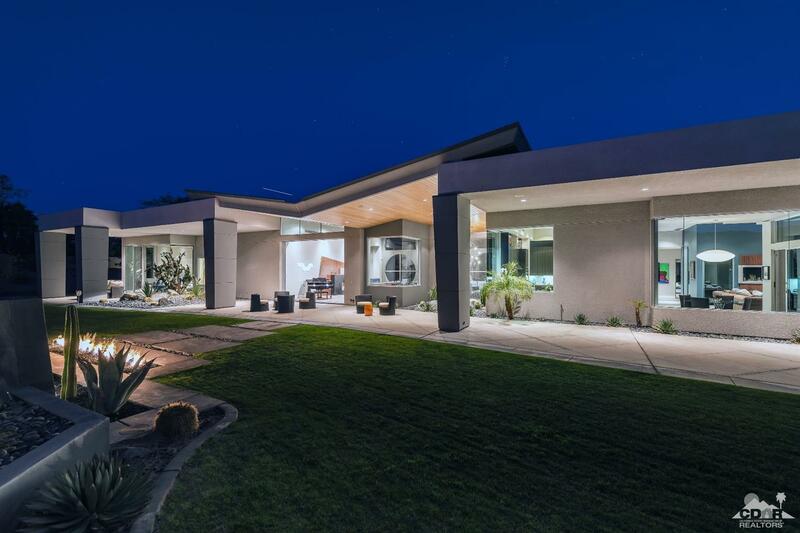 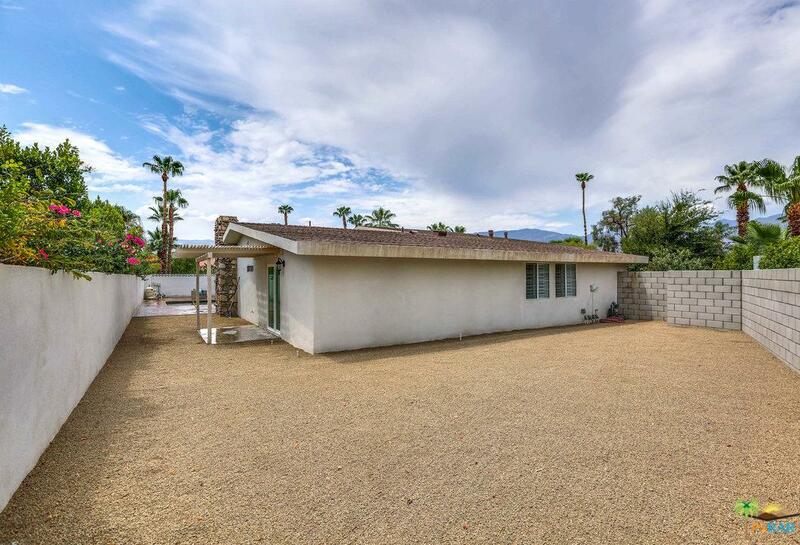 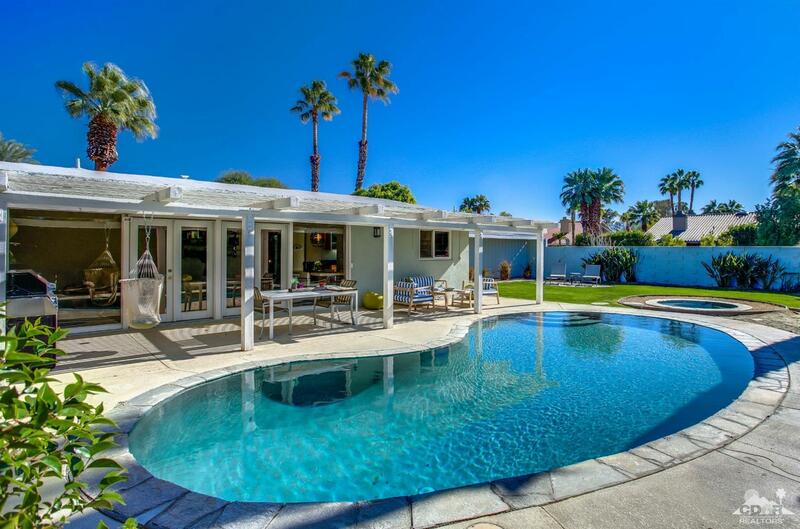 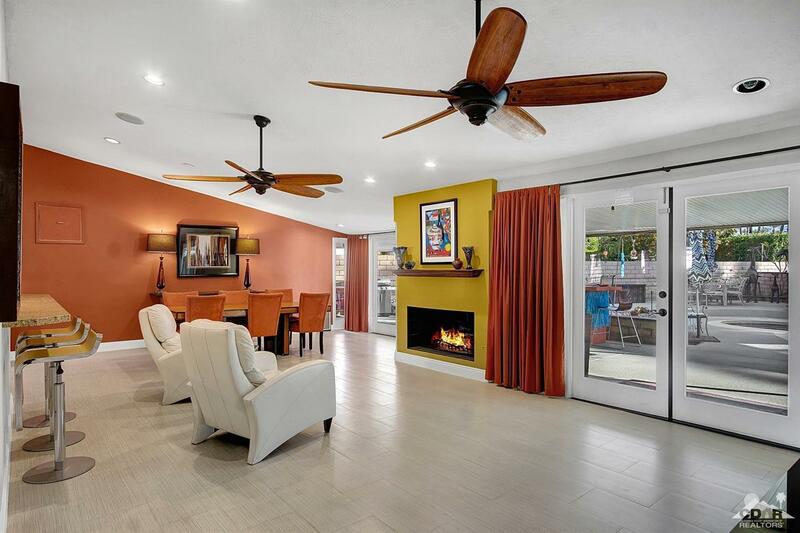 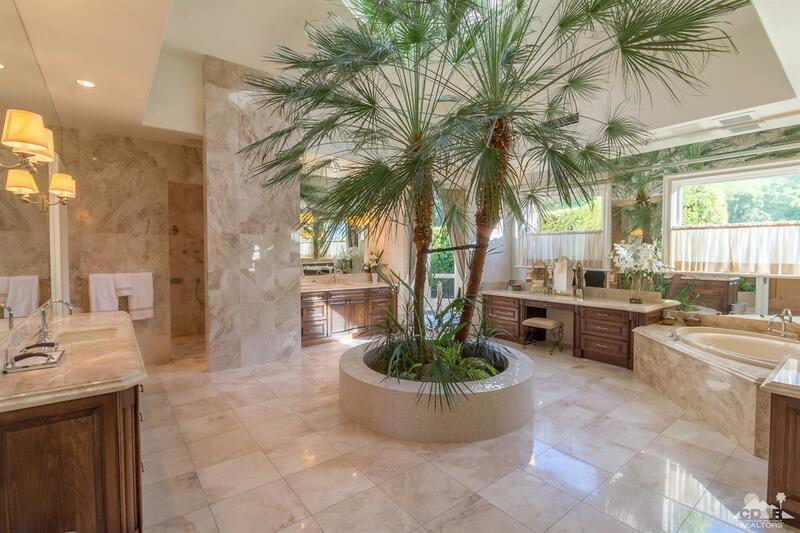 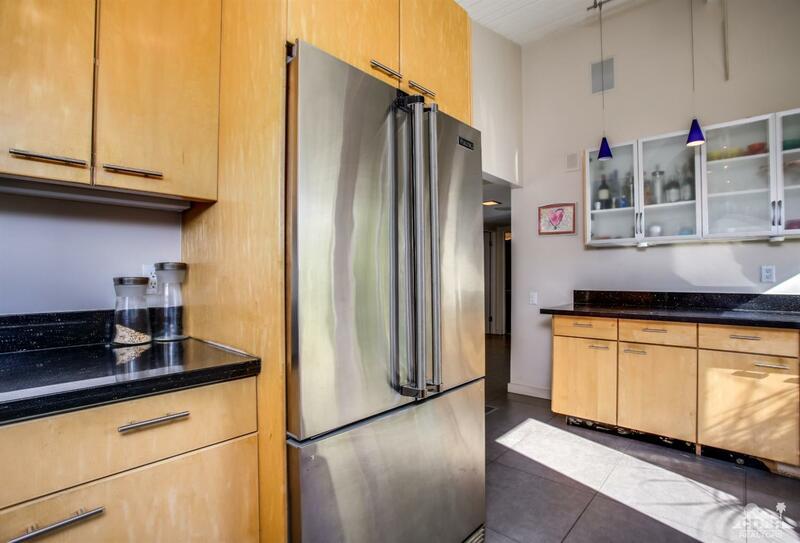 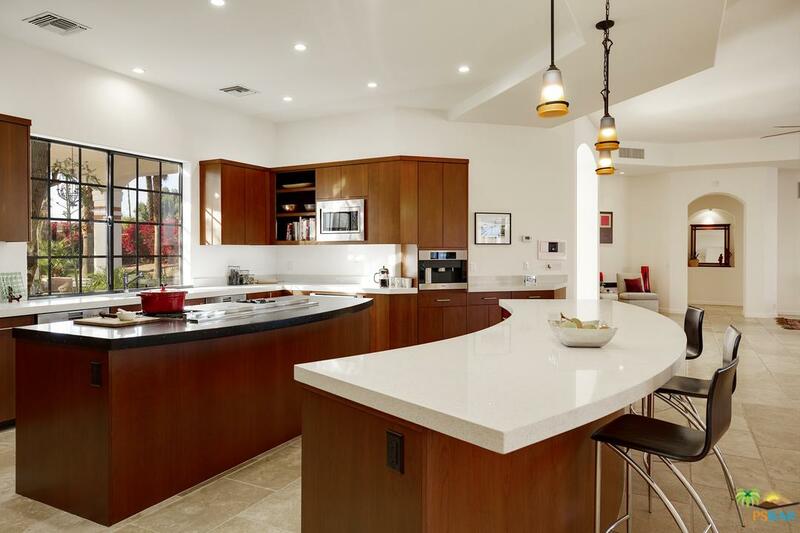 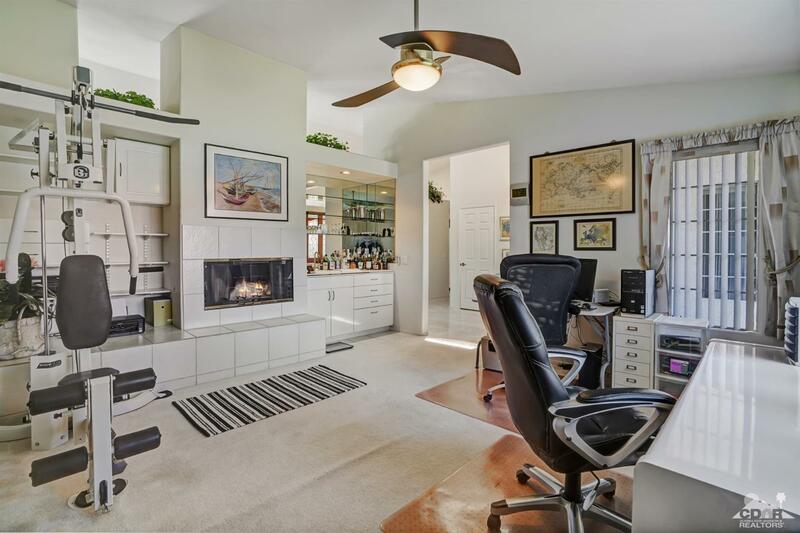 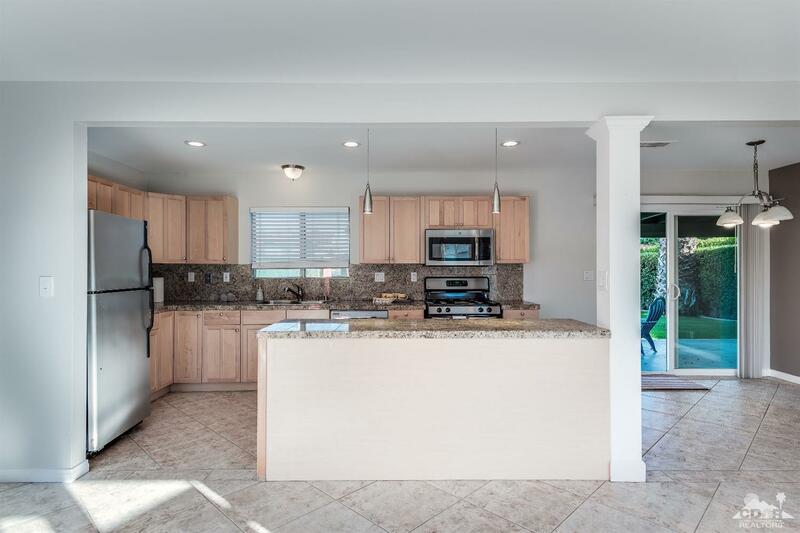 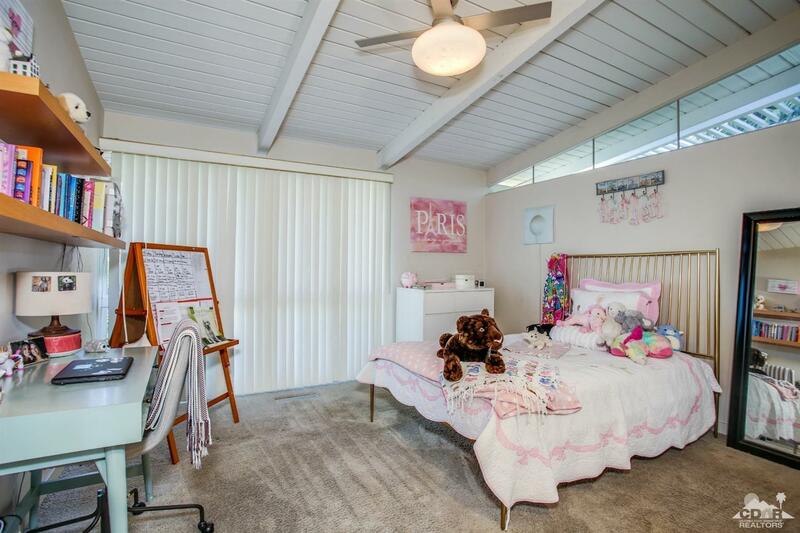 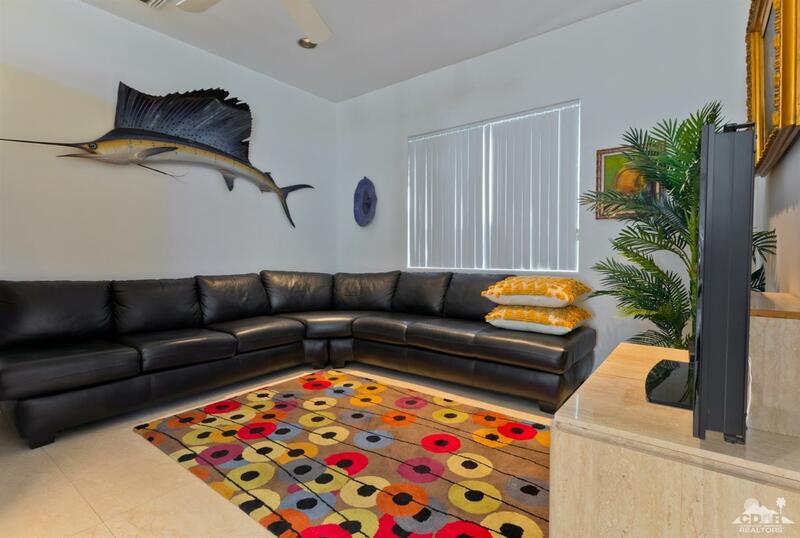 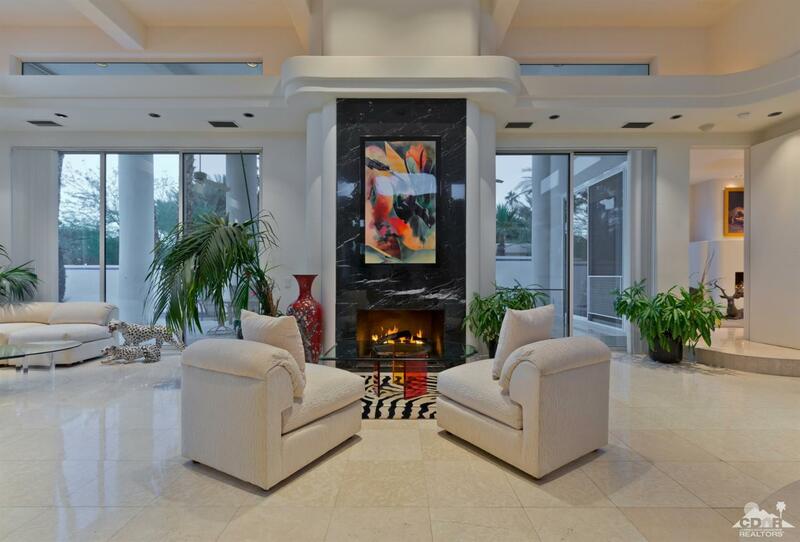 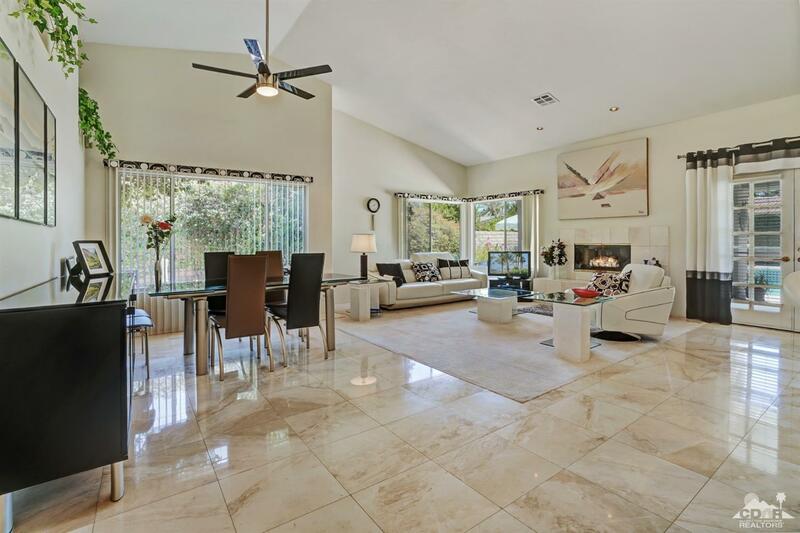 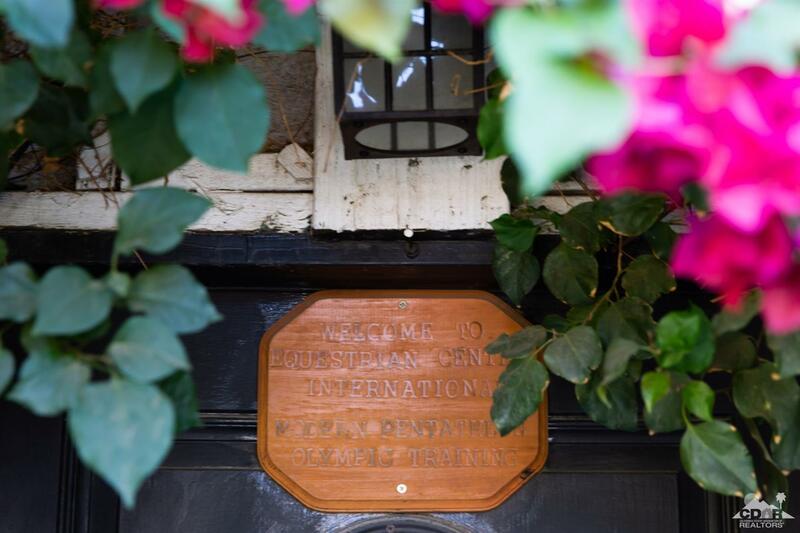 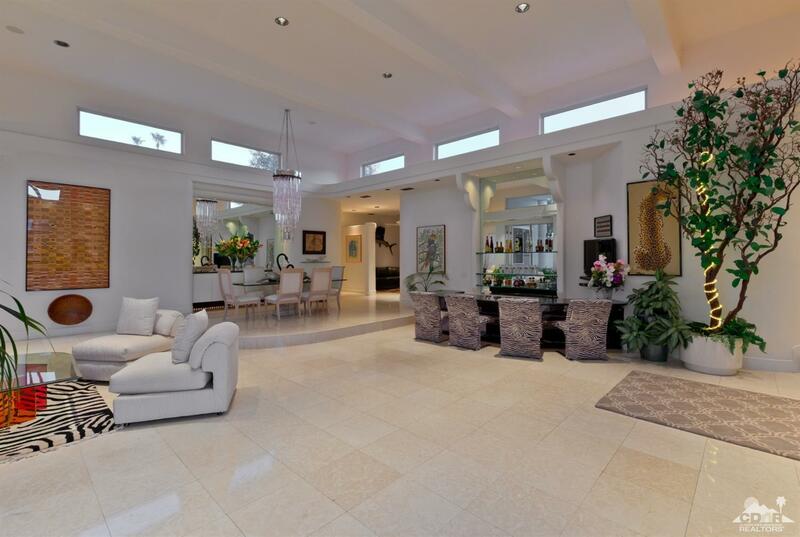 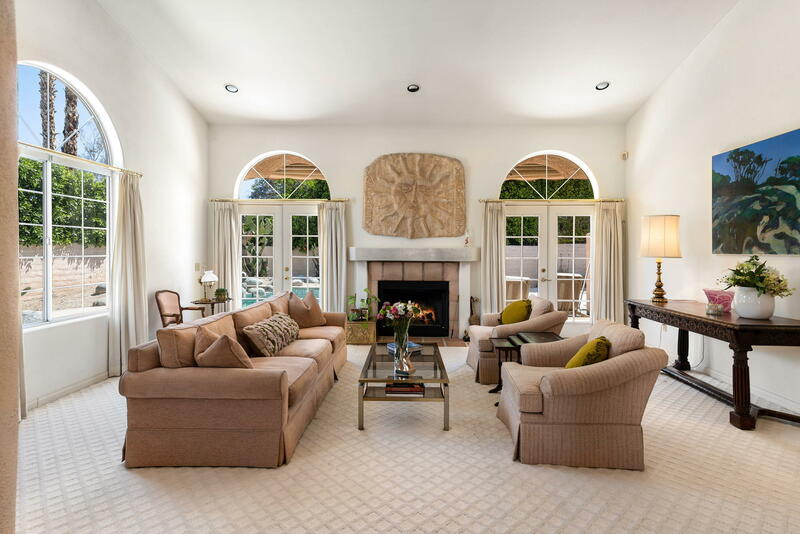 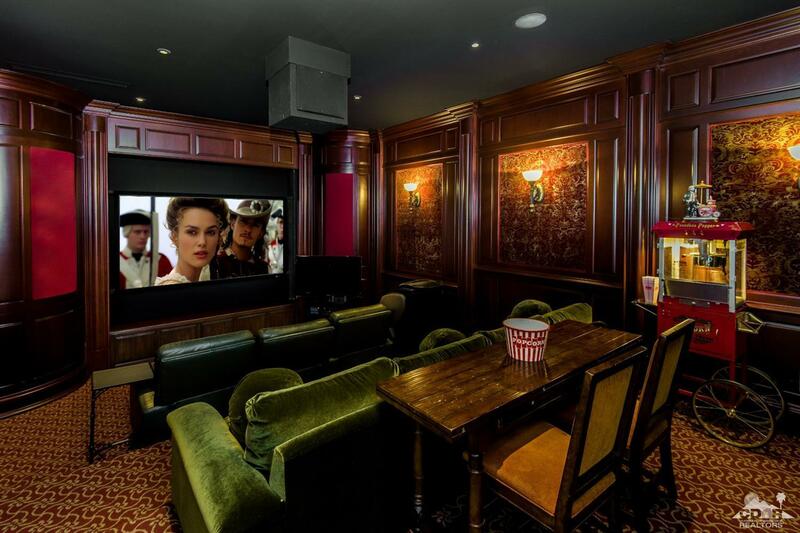 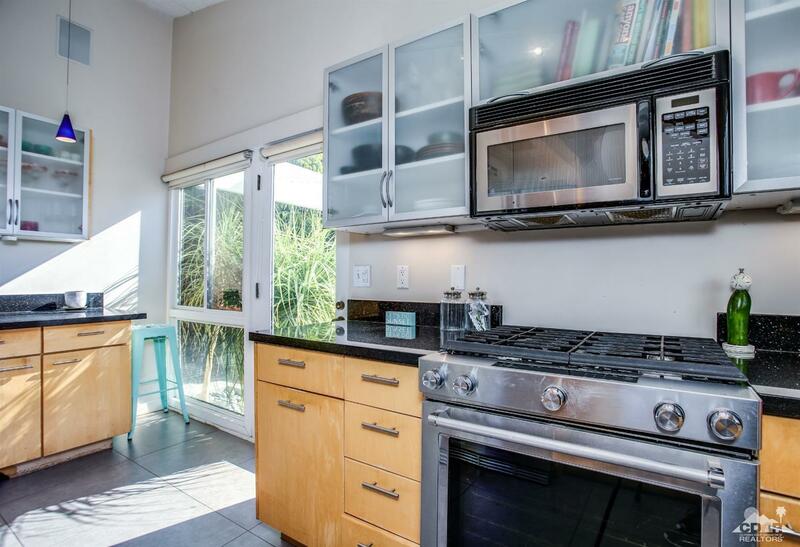 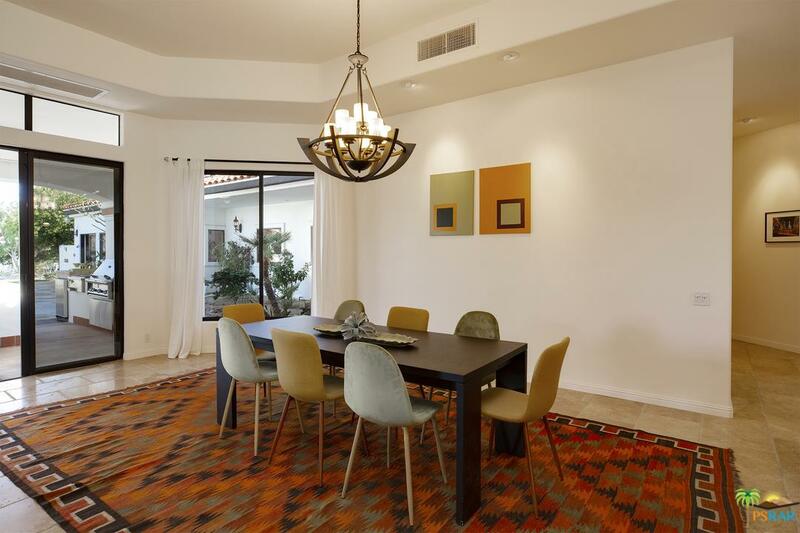 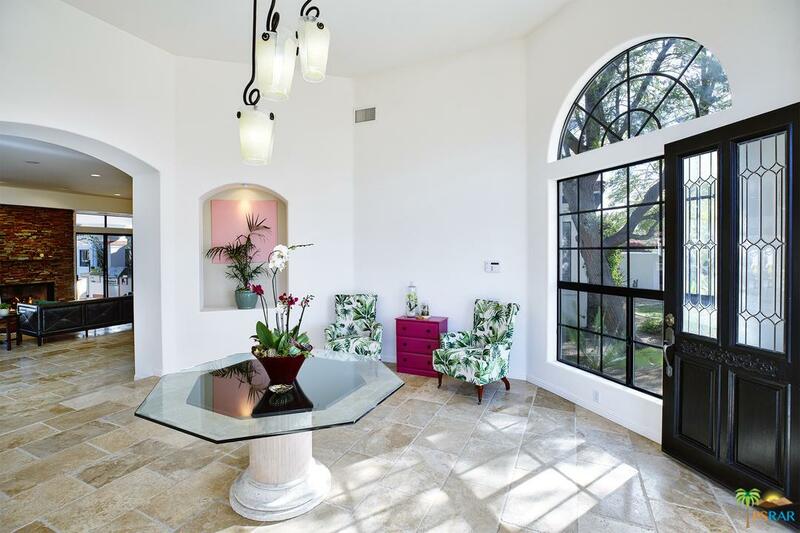 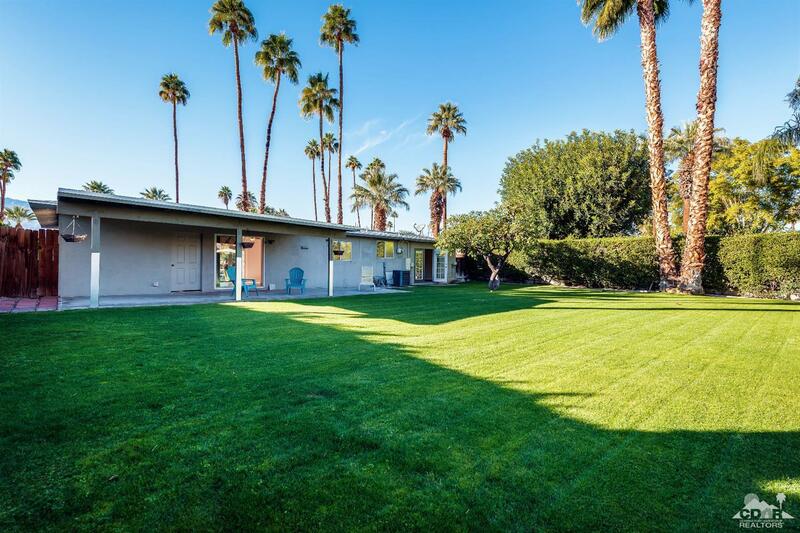 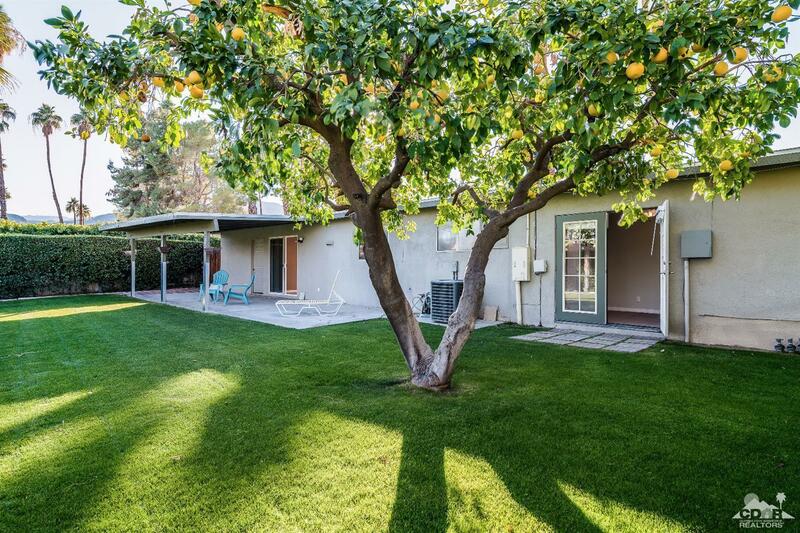 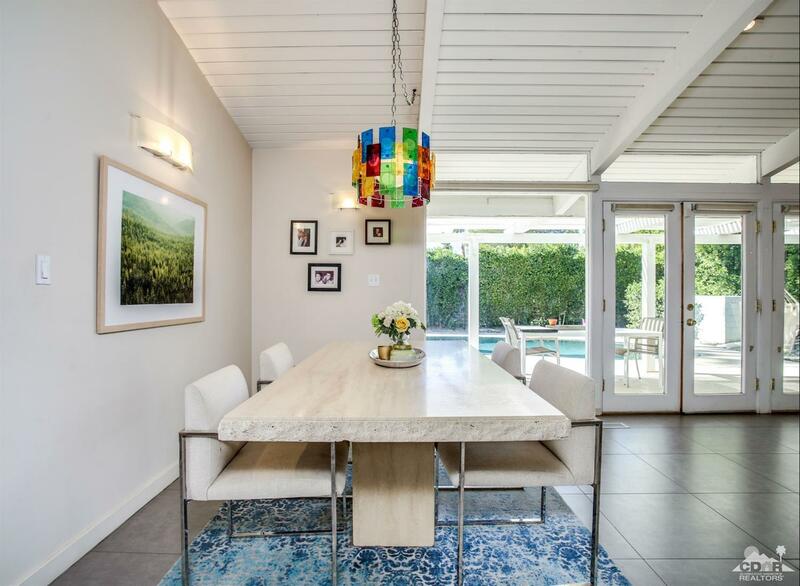 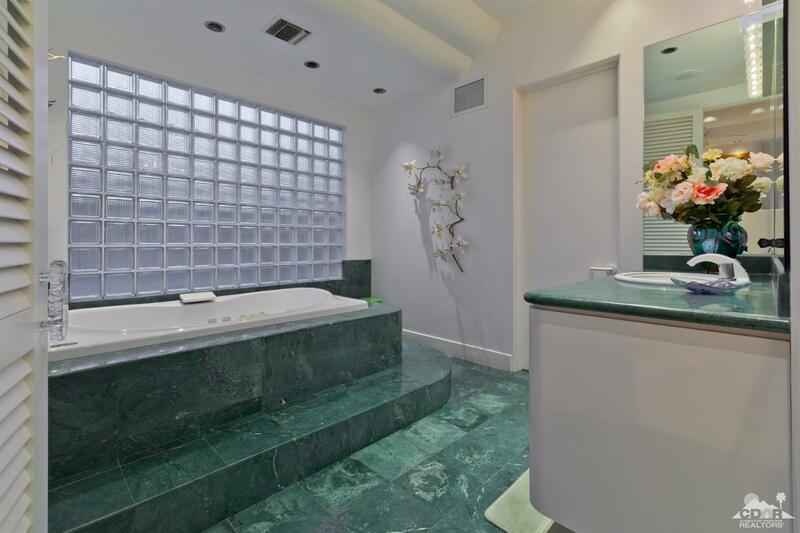 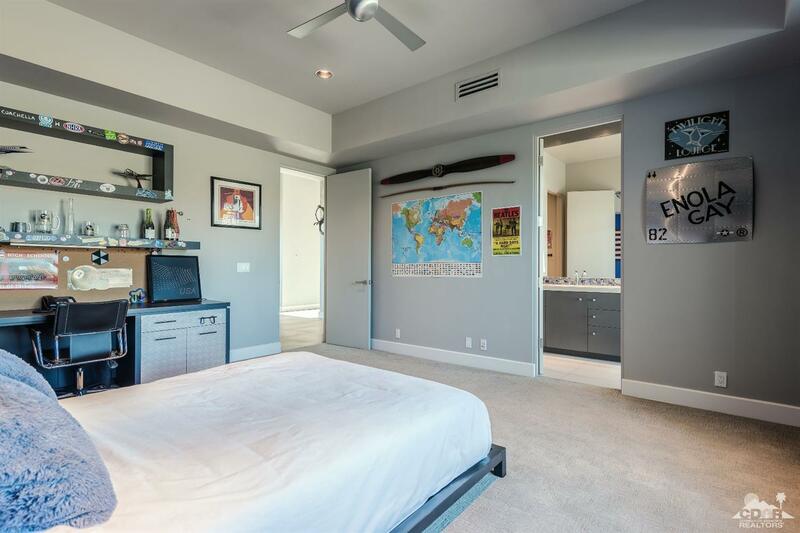 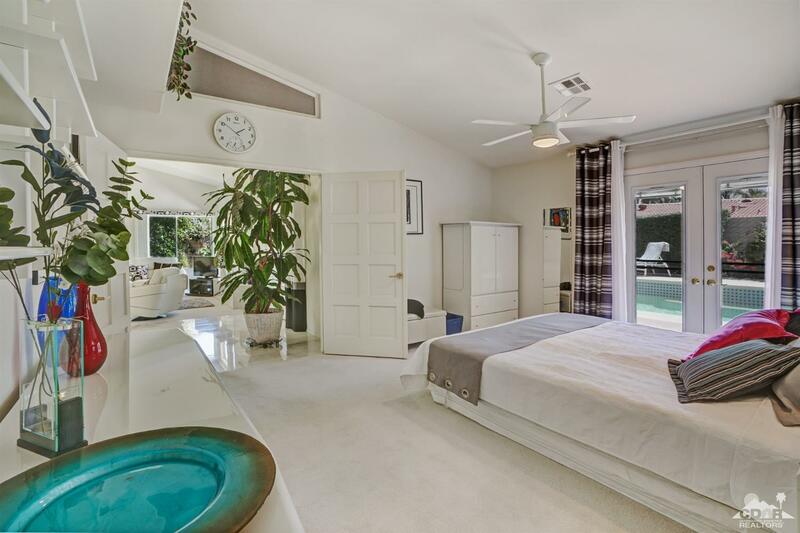 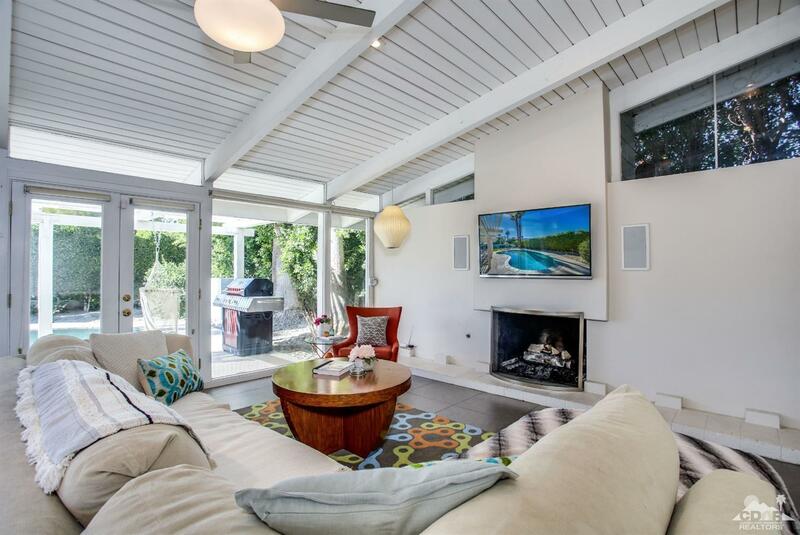 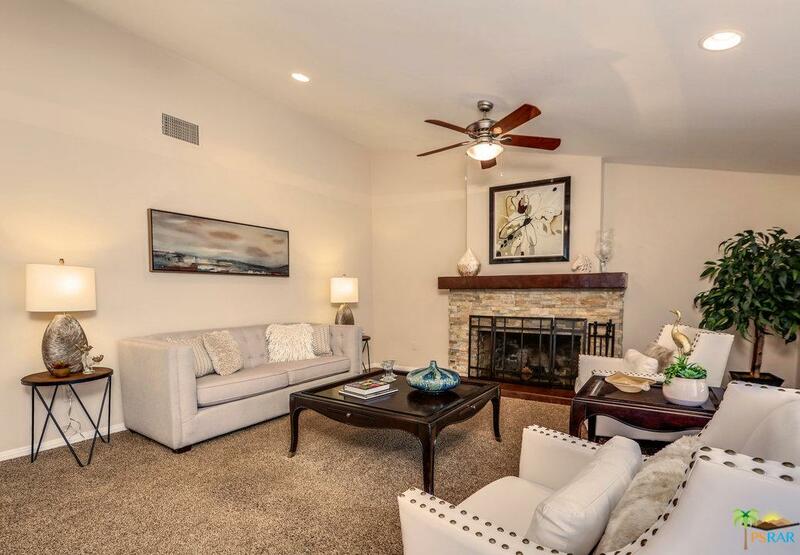 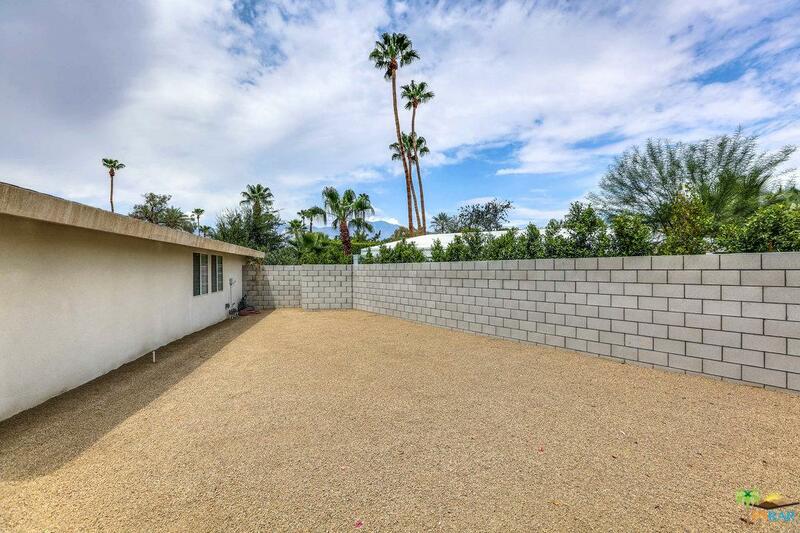 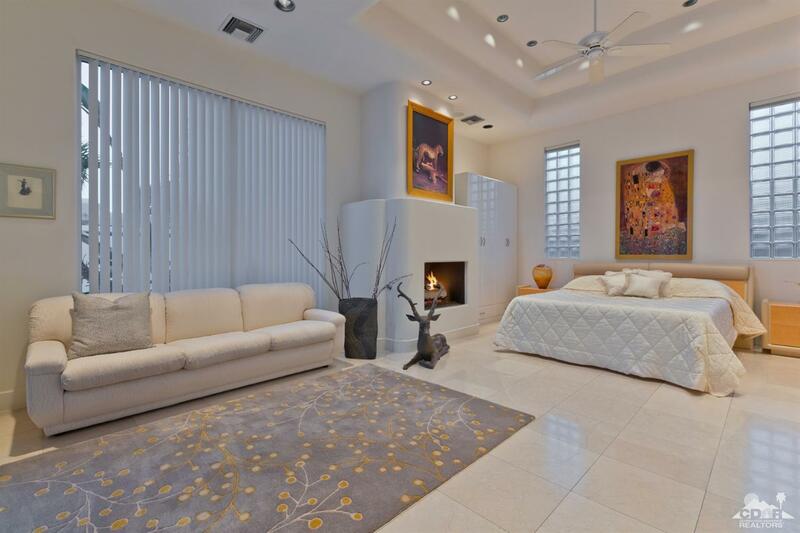 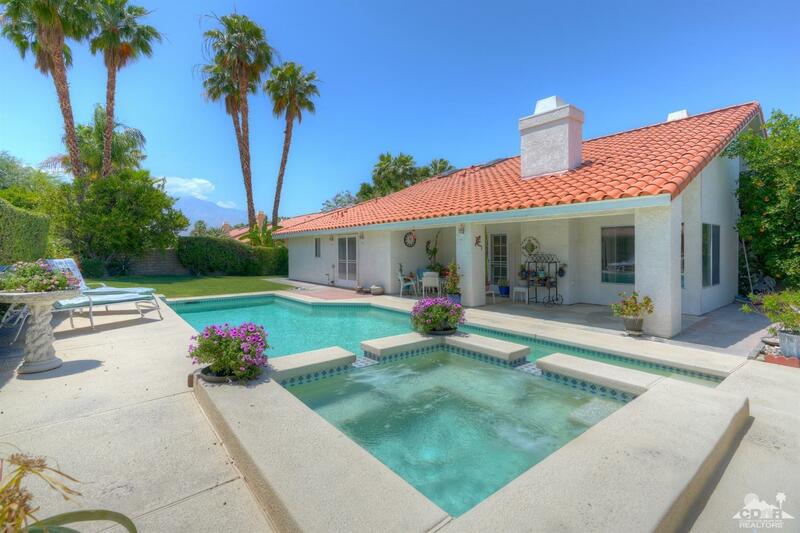 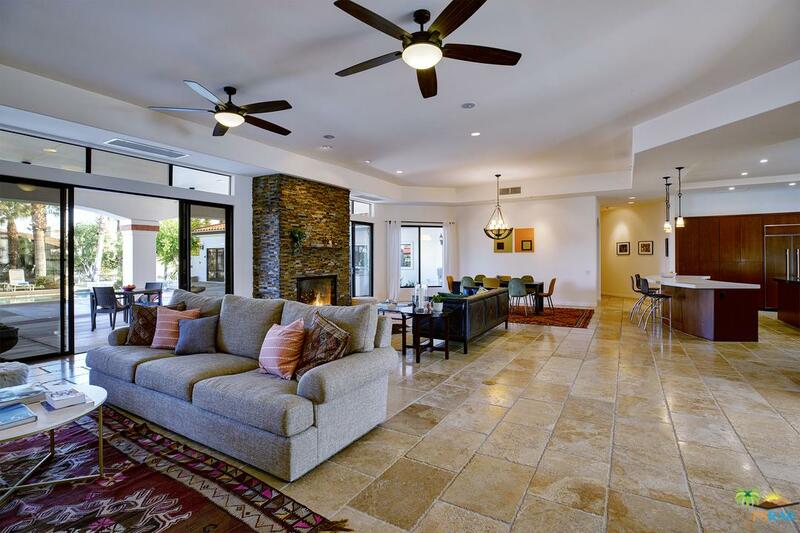 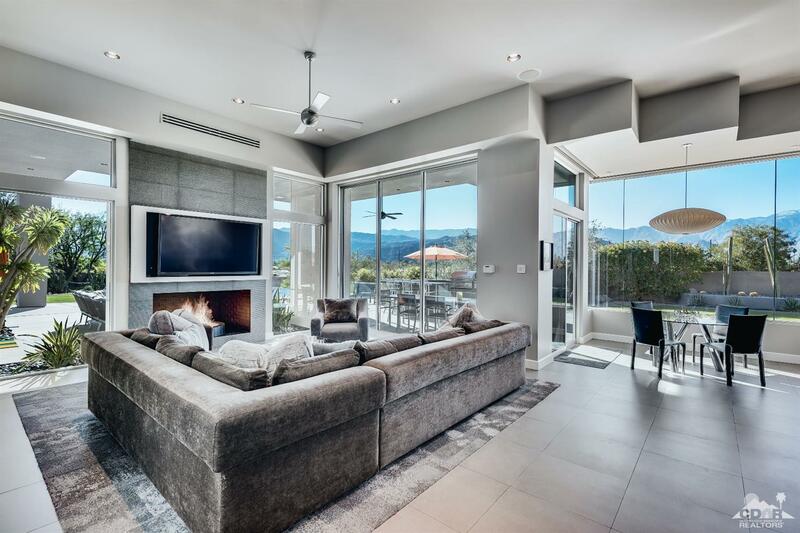 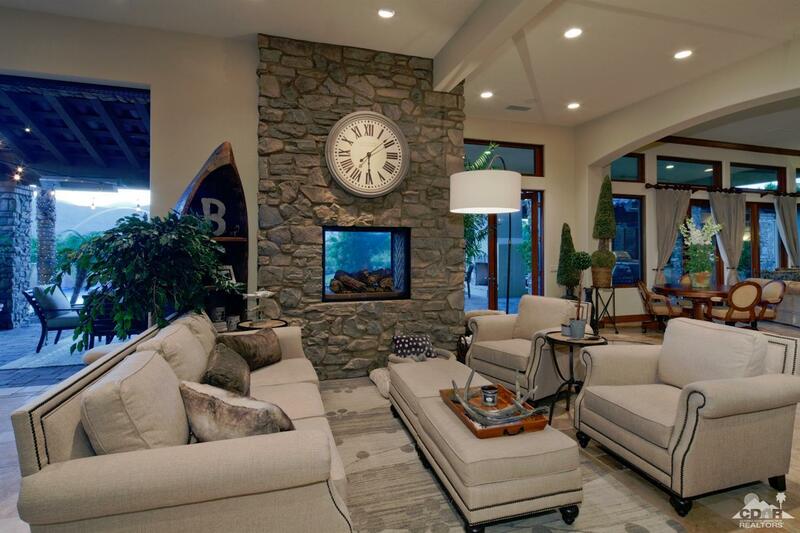 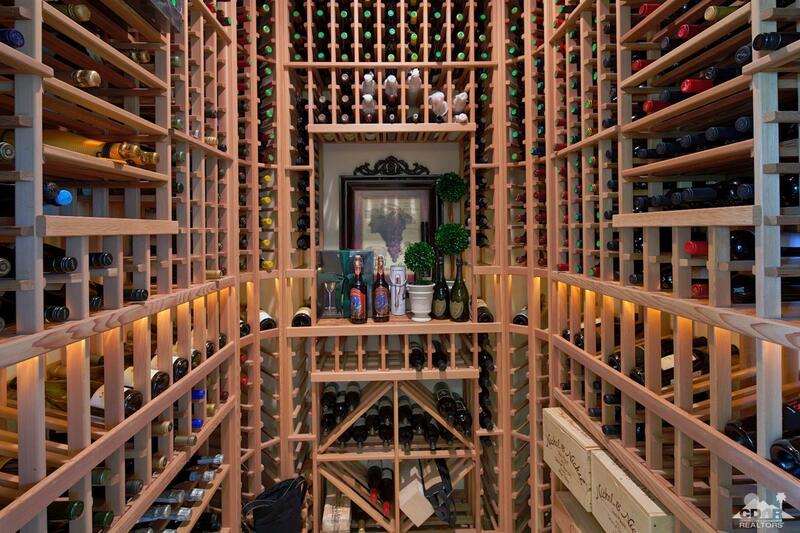 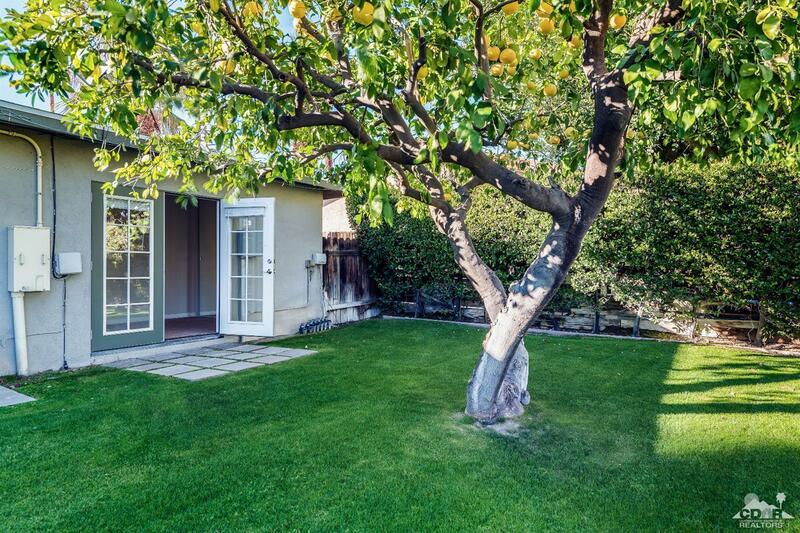 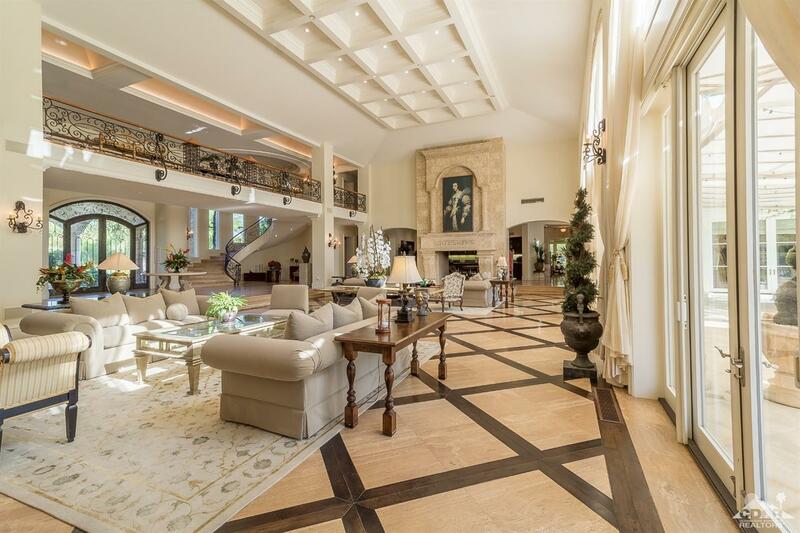 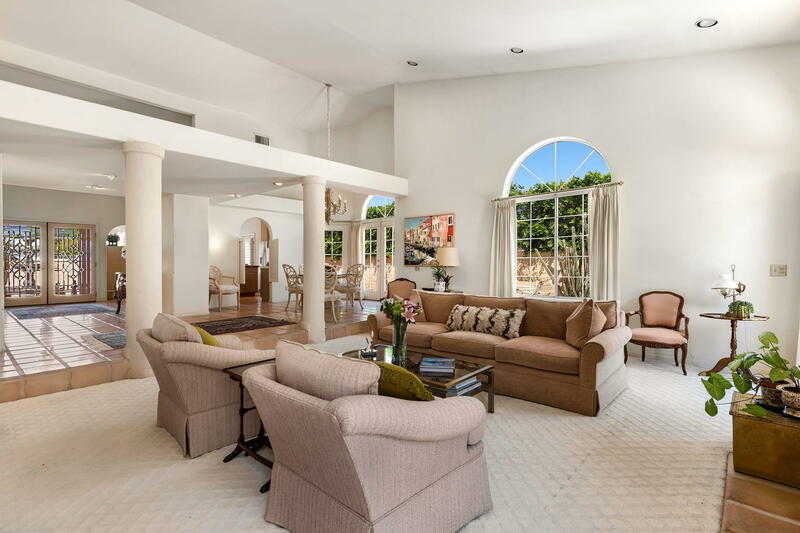 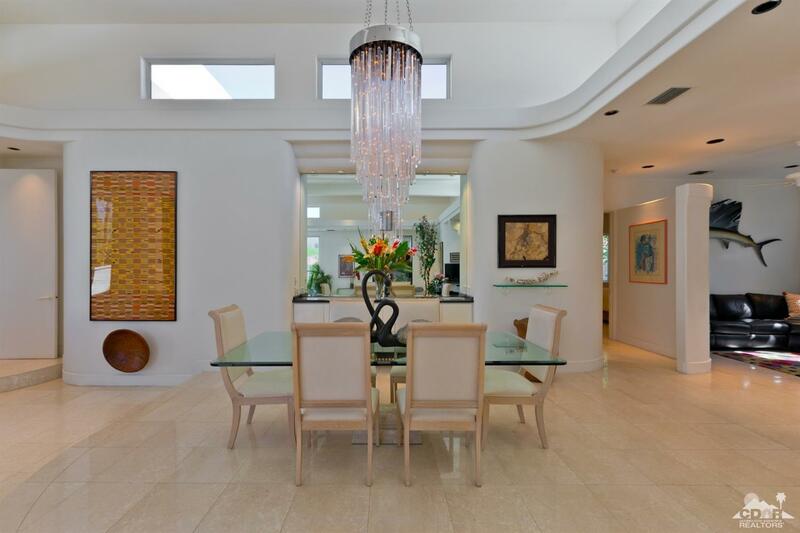 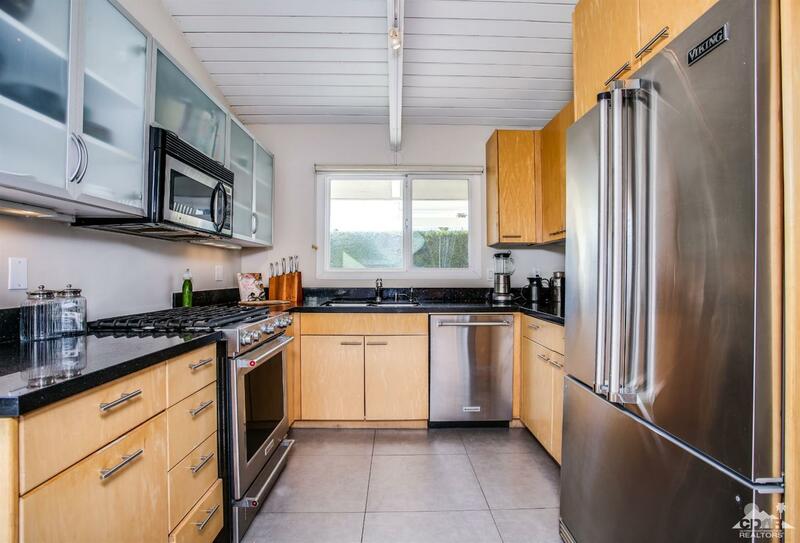 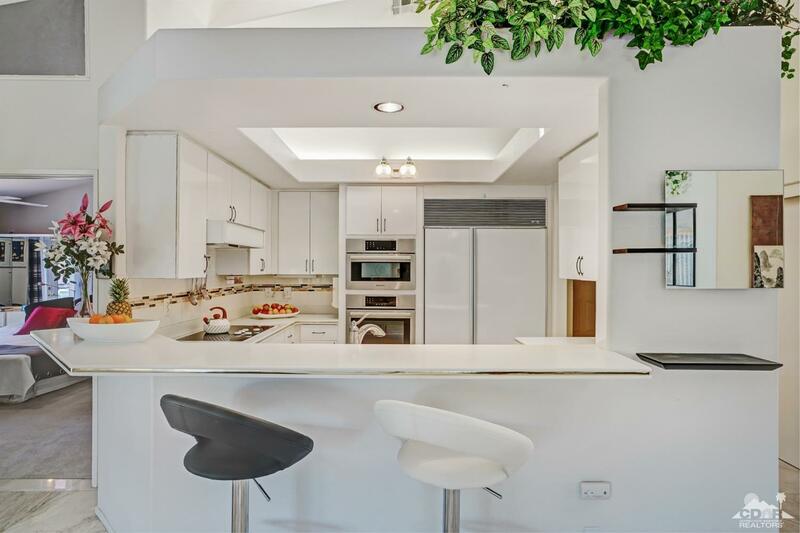 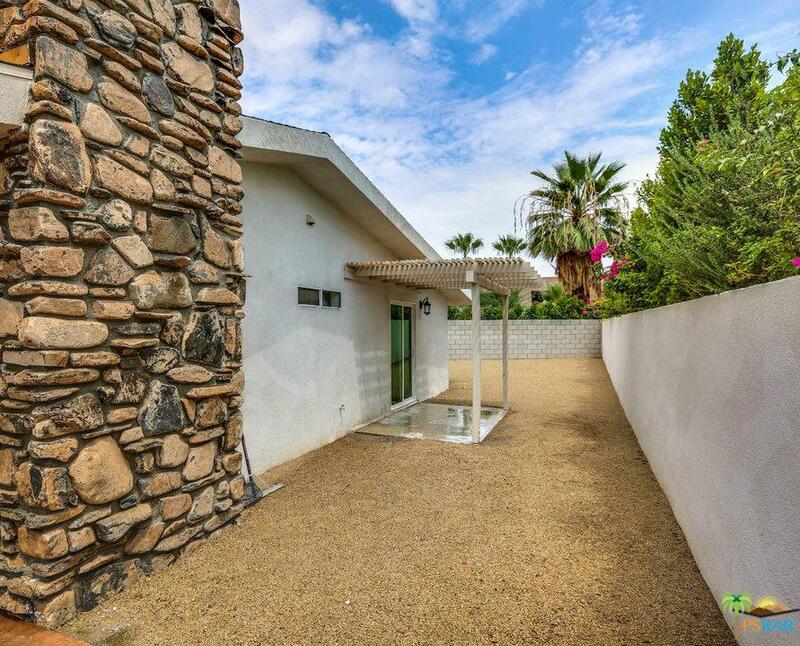 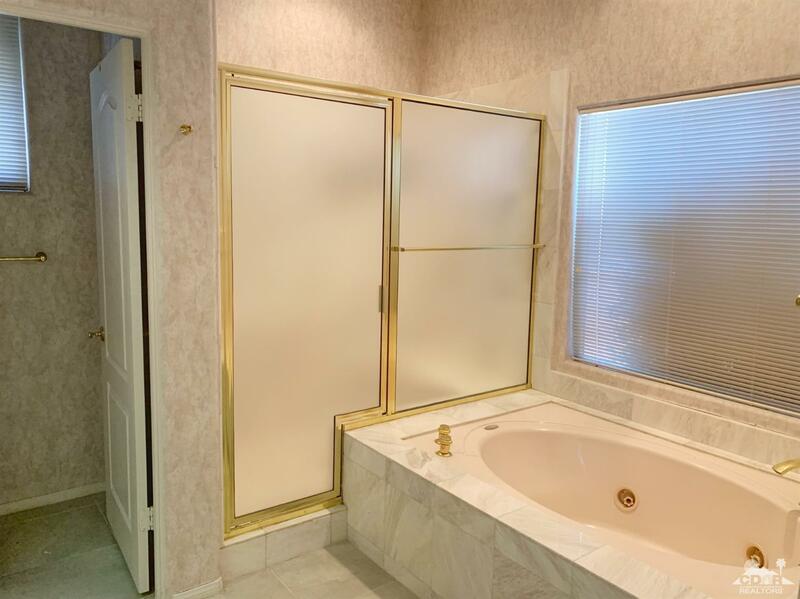 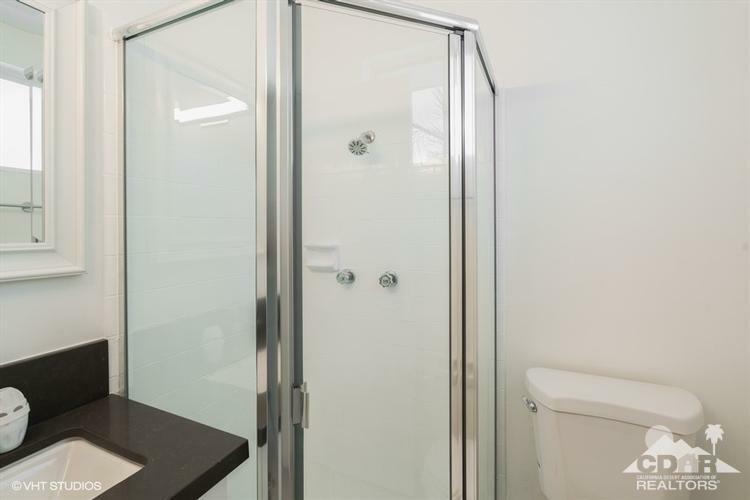 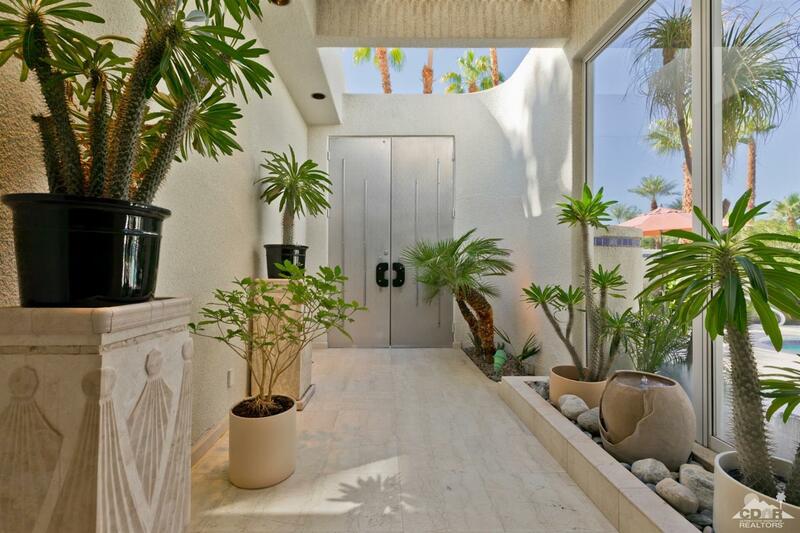 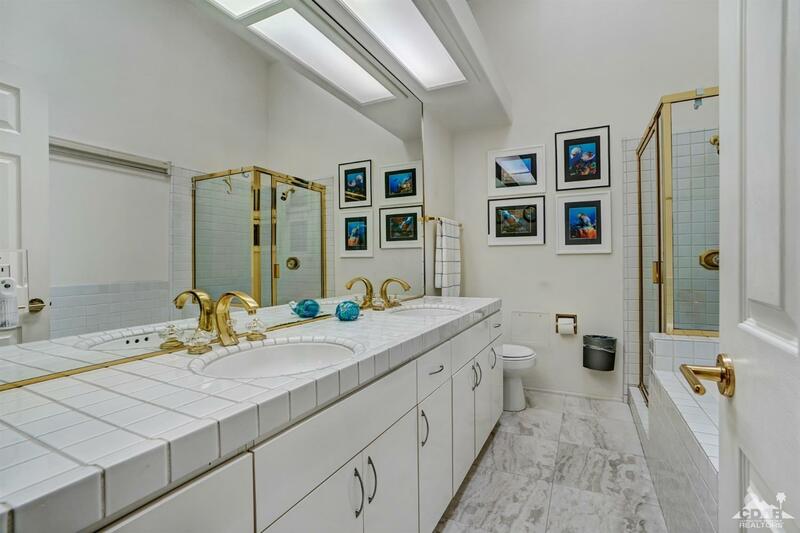 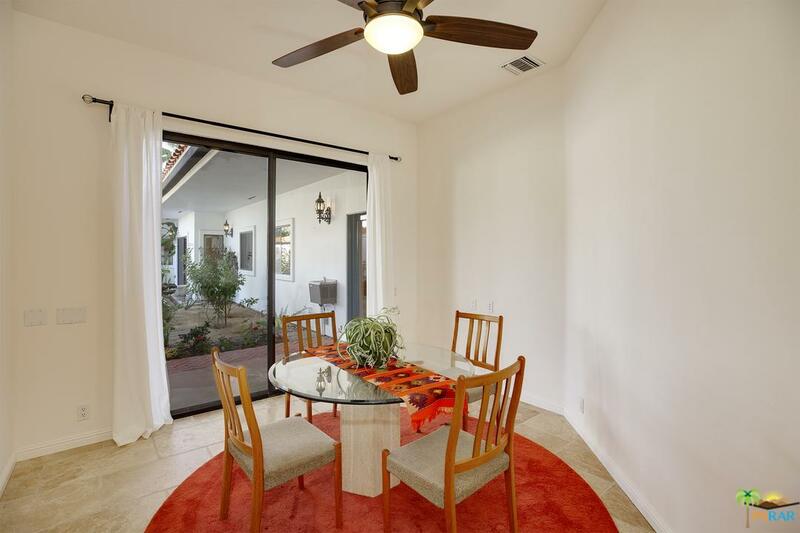 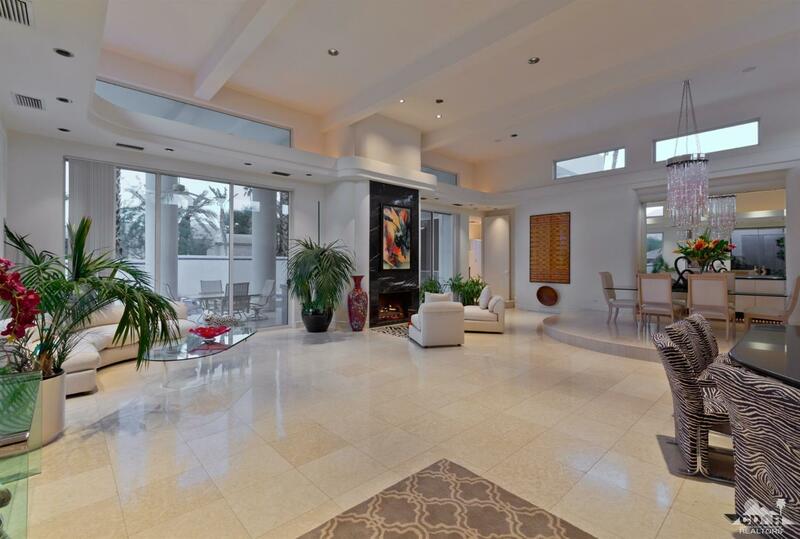 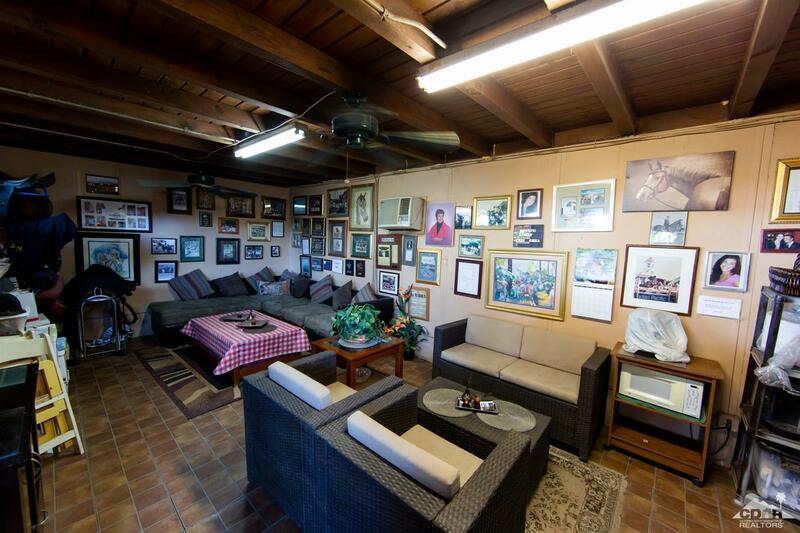 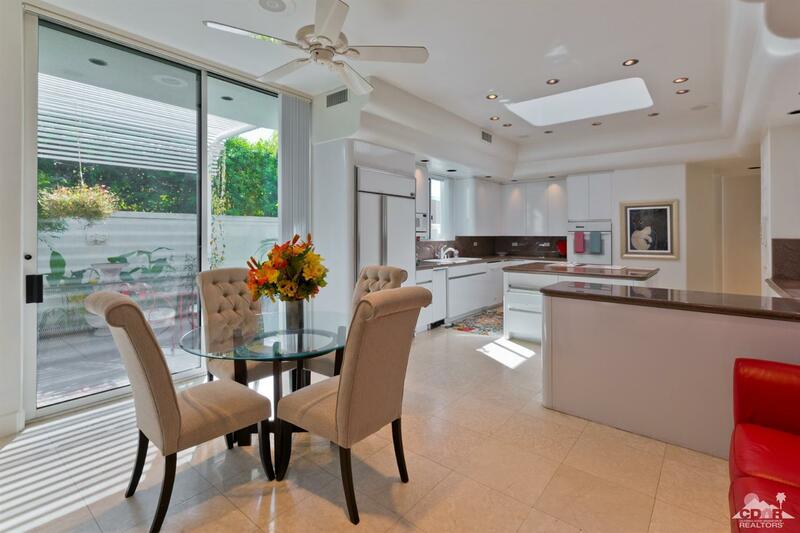 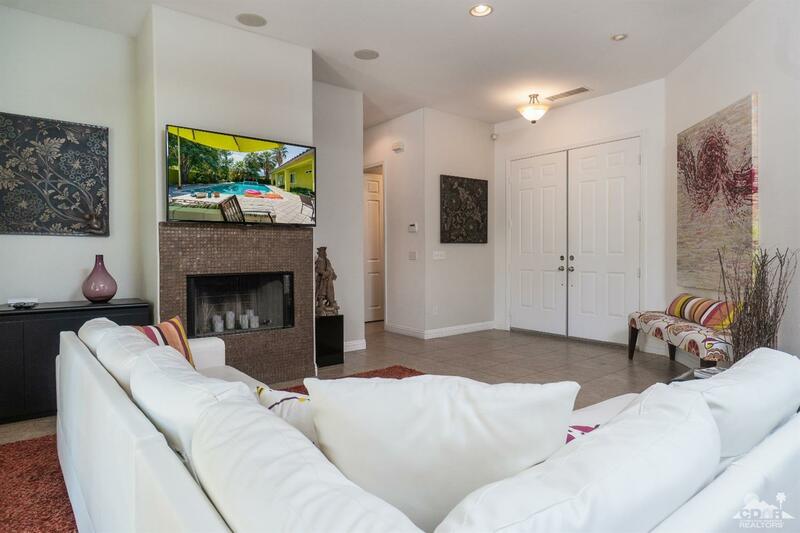 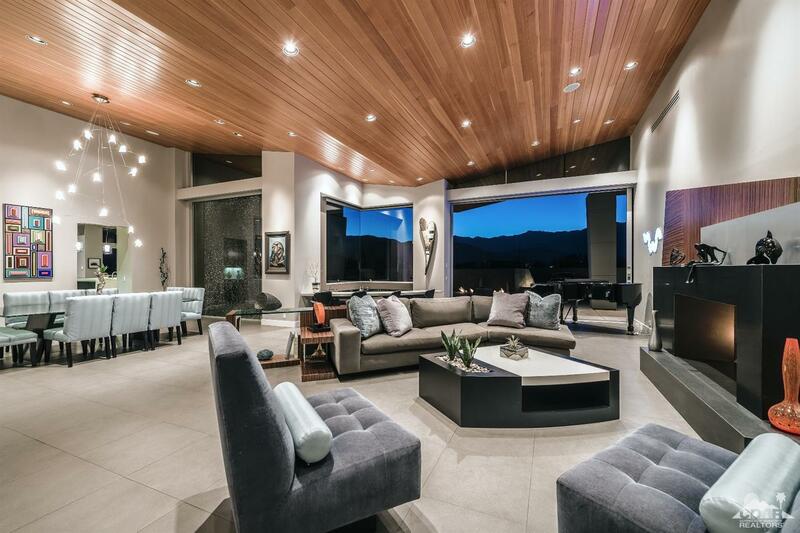 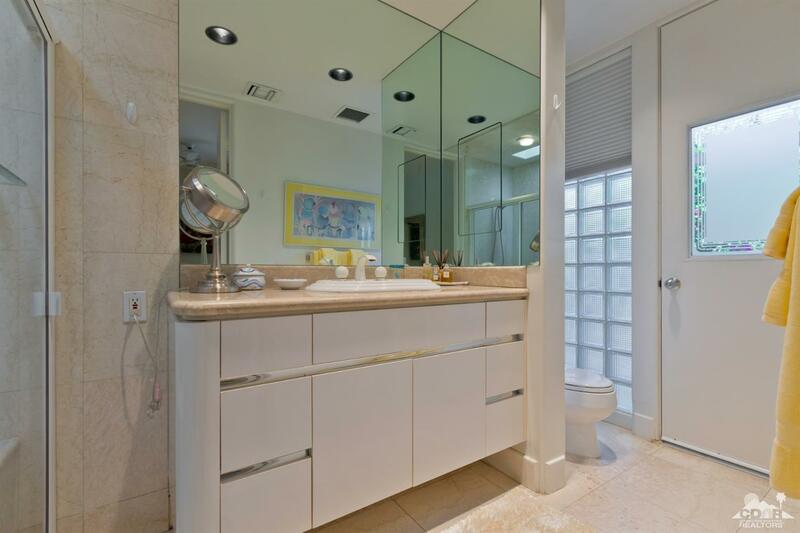 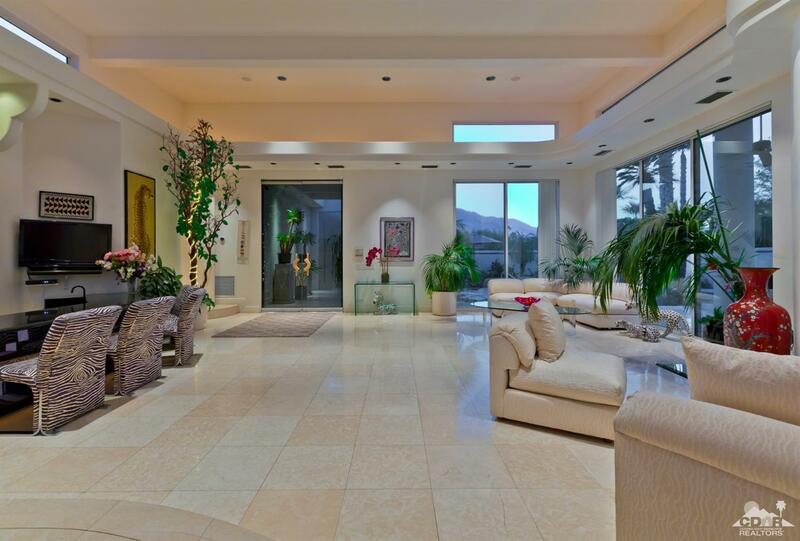 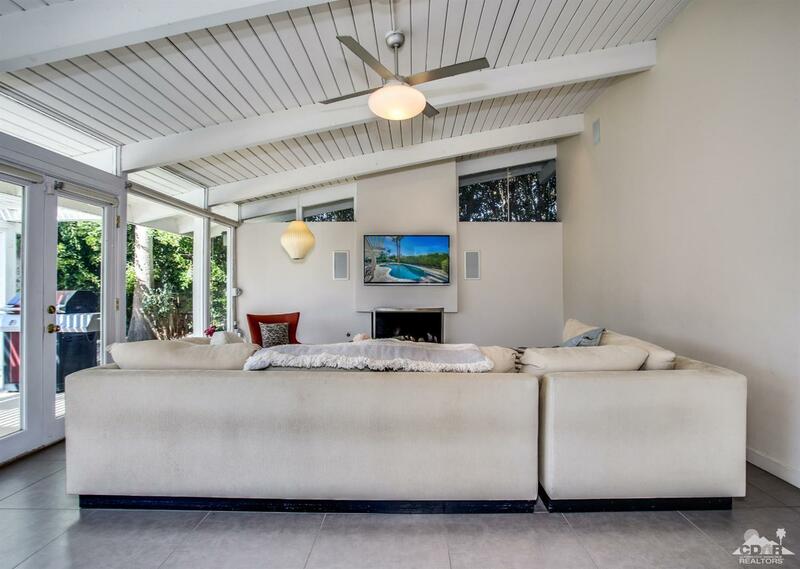 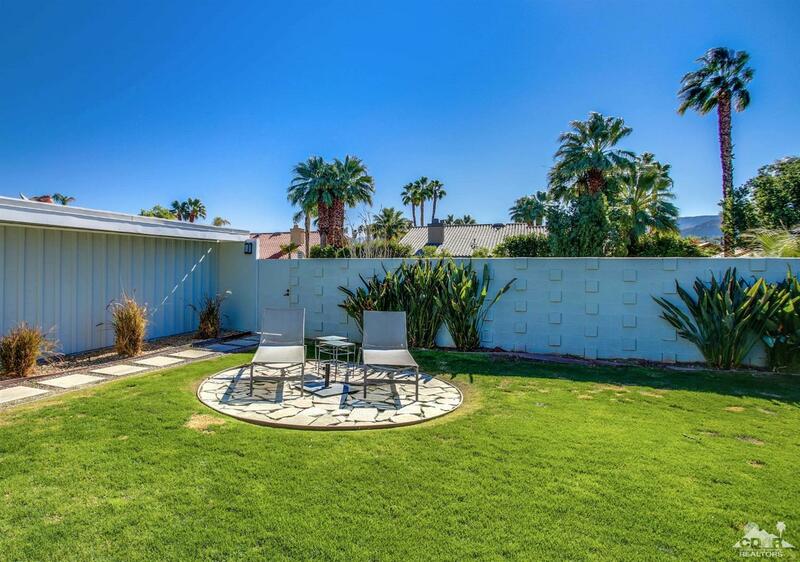 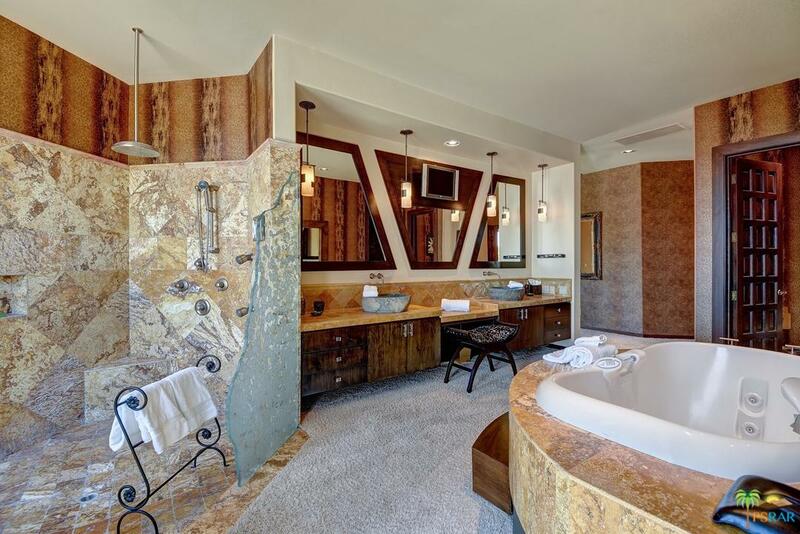 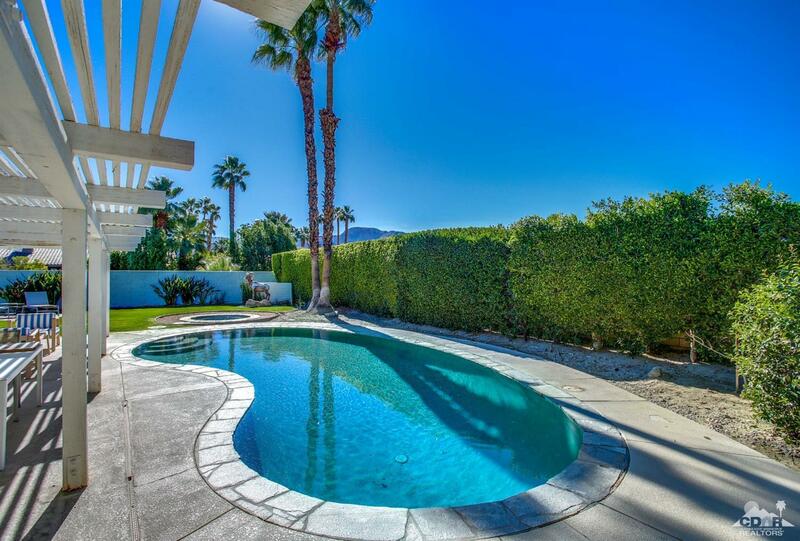 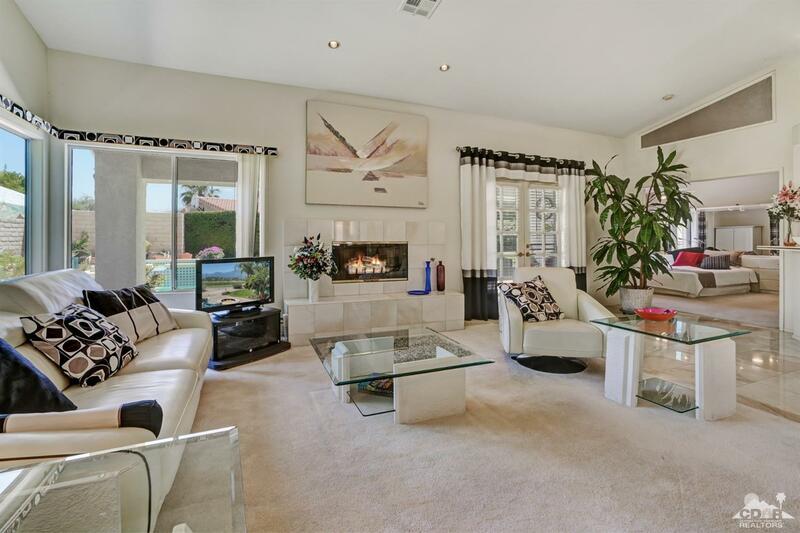 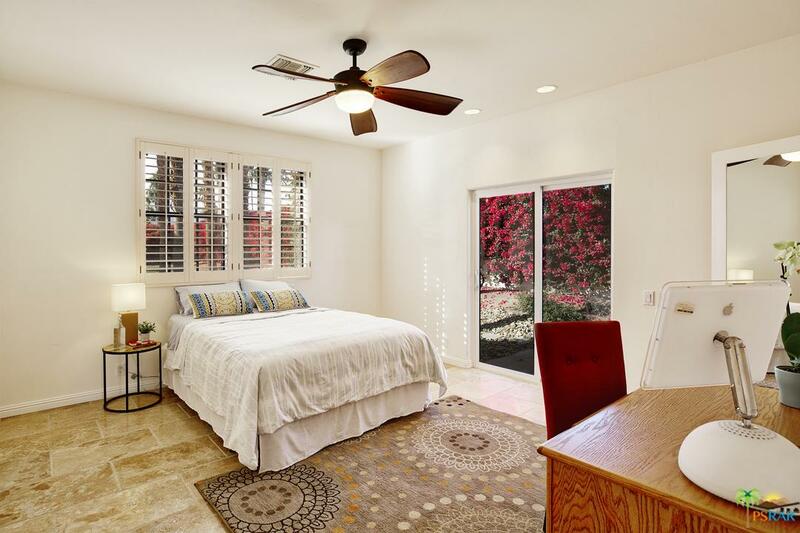 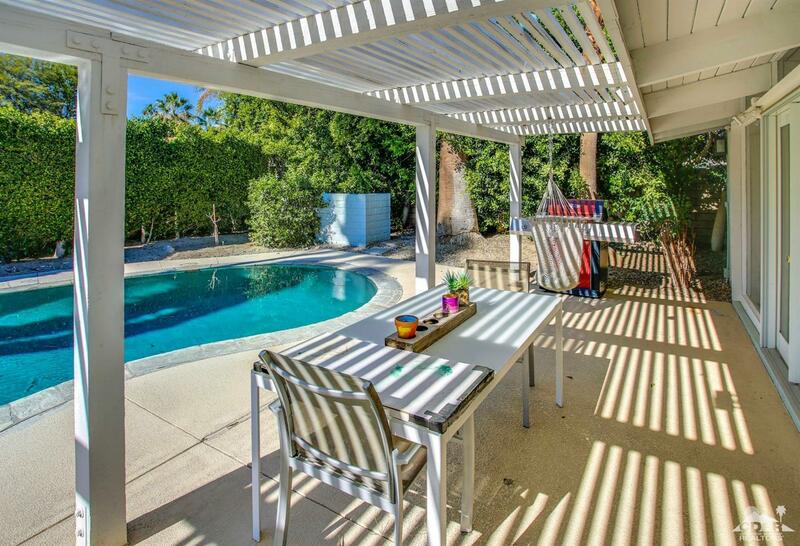 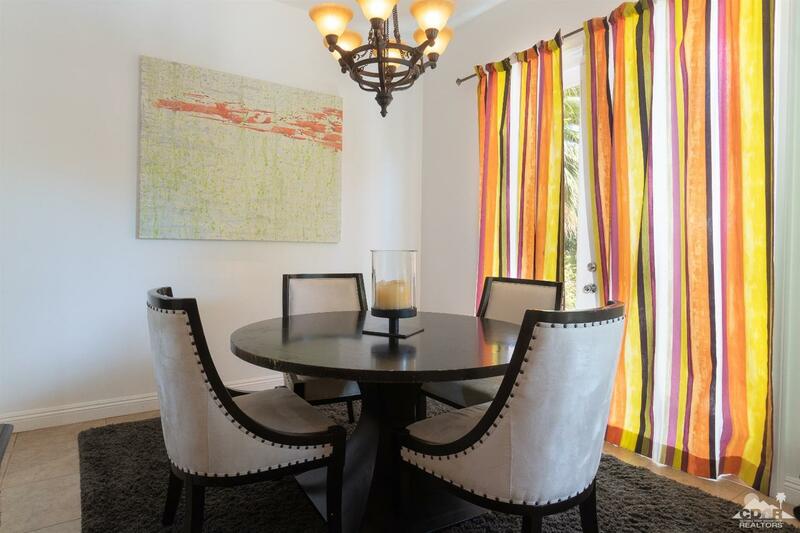 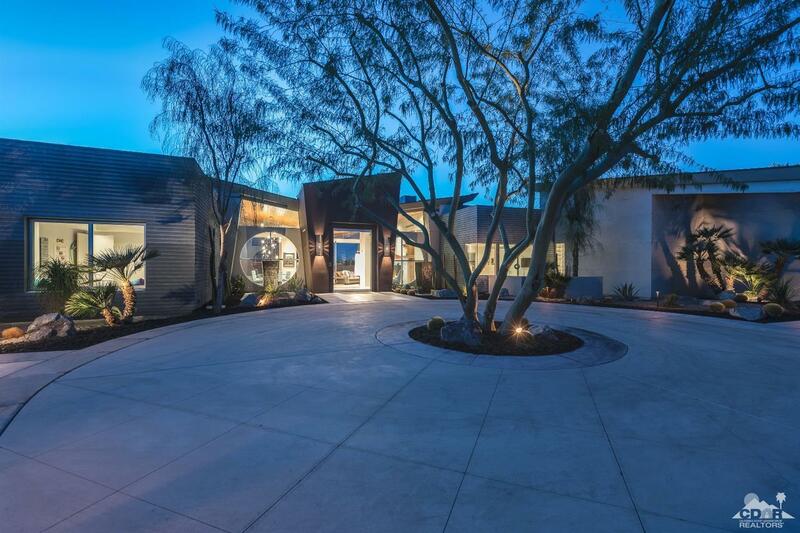 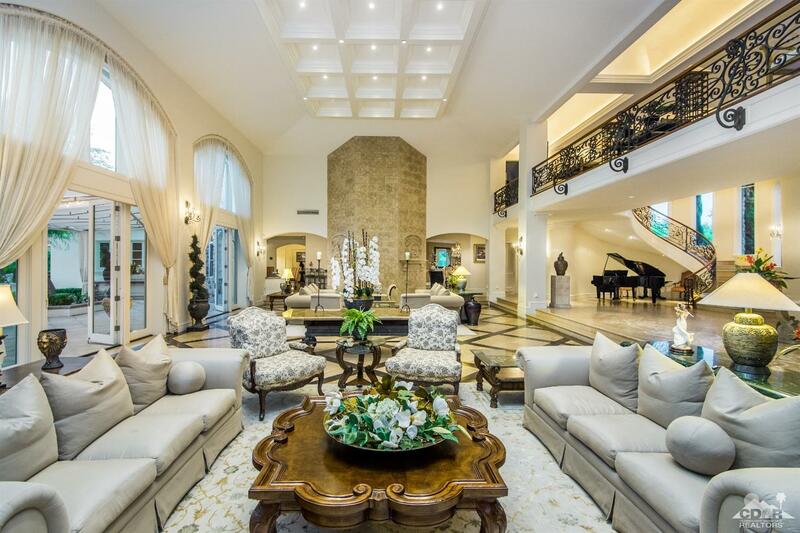 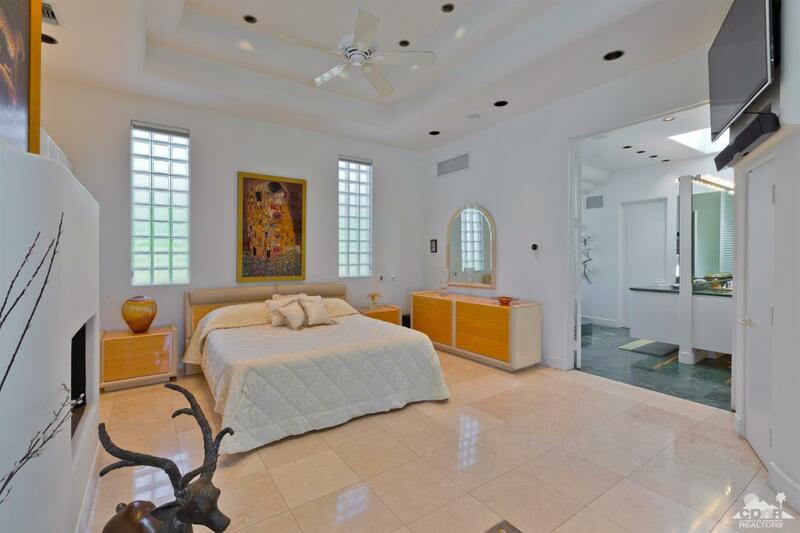 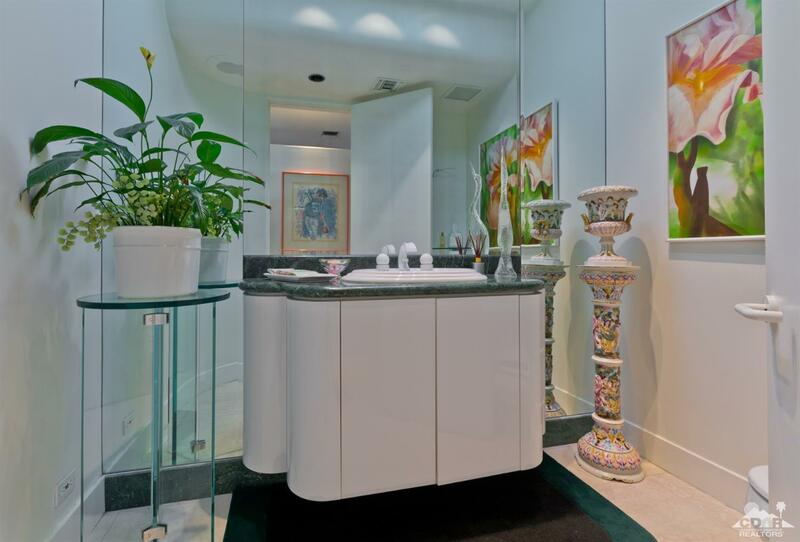 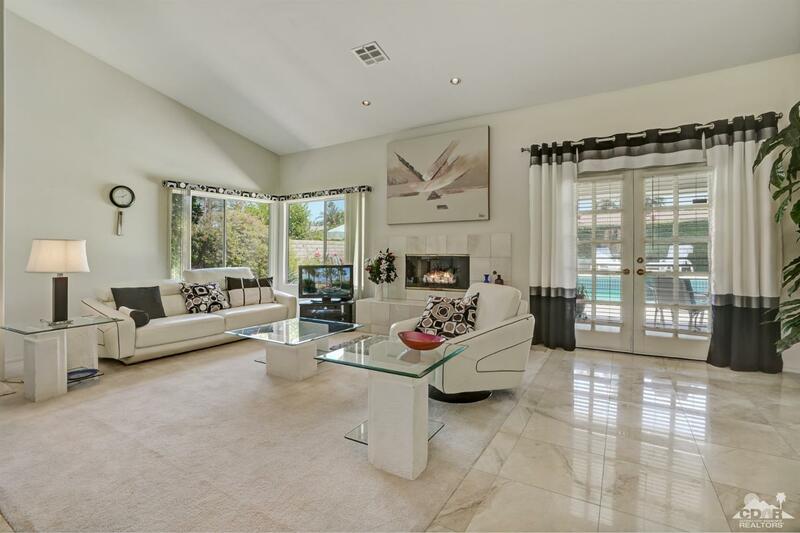 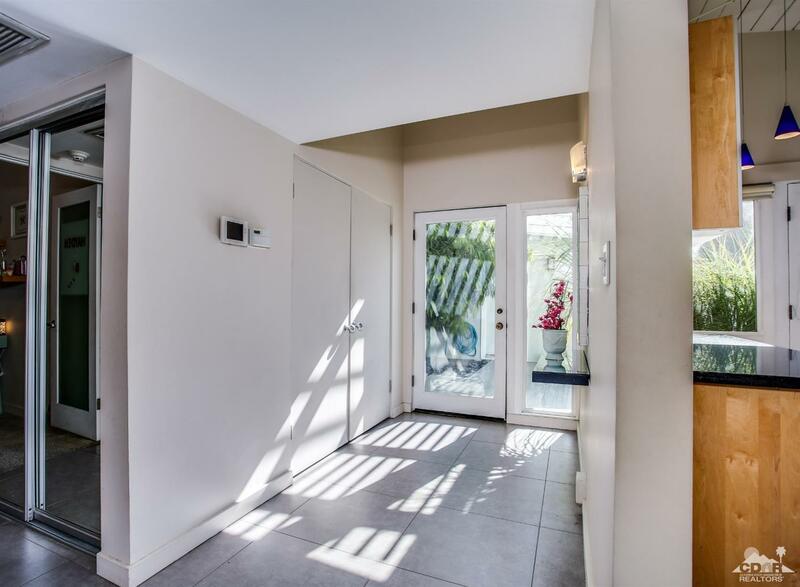 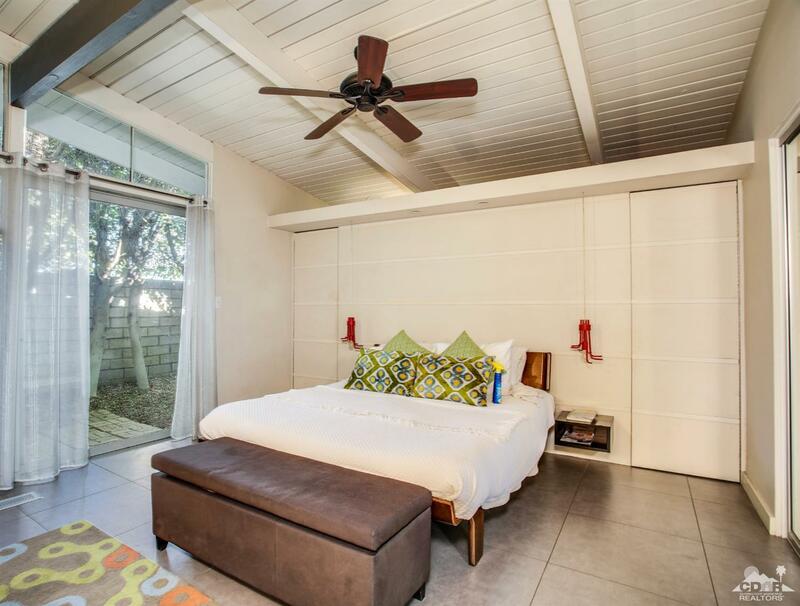 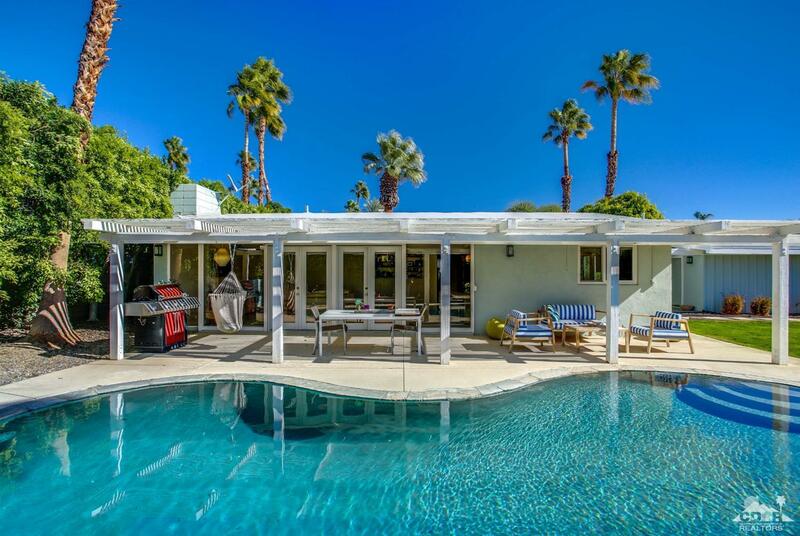 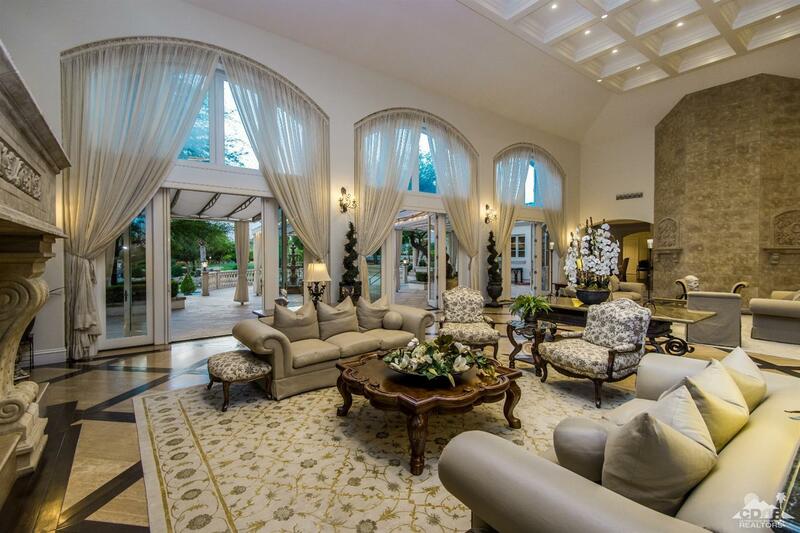 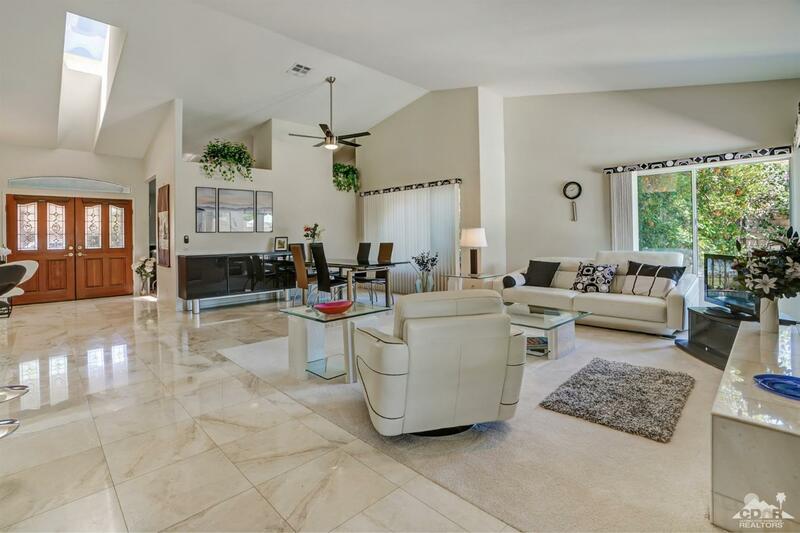 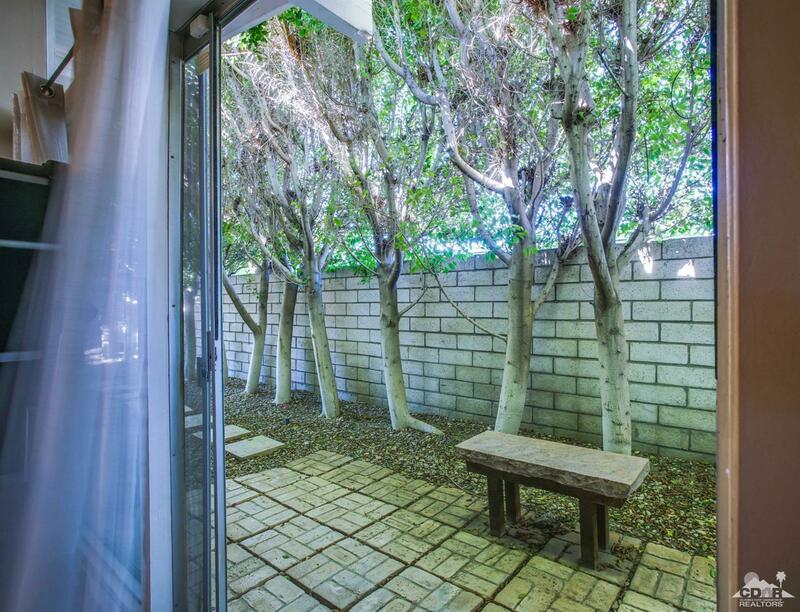 Built in 1961 the home has been thoughtfully updated and redesigned to create a light filled open concept interior. 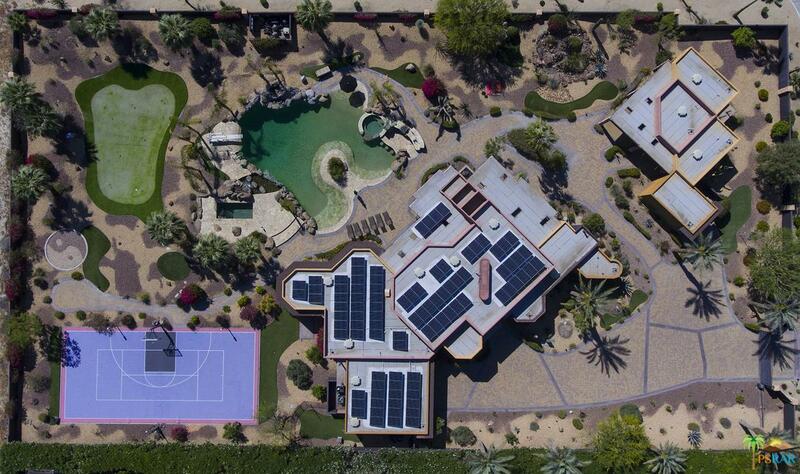 SOLAR too! 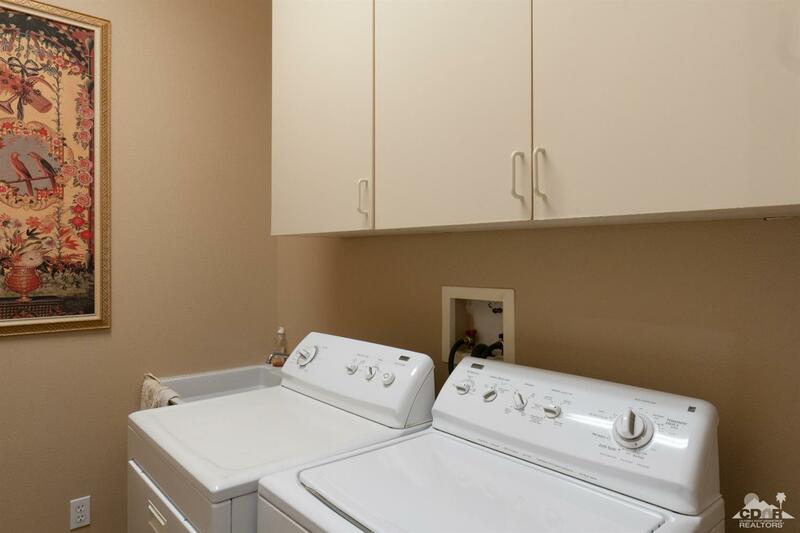 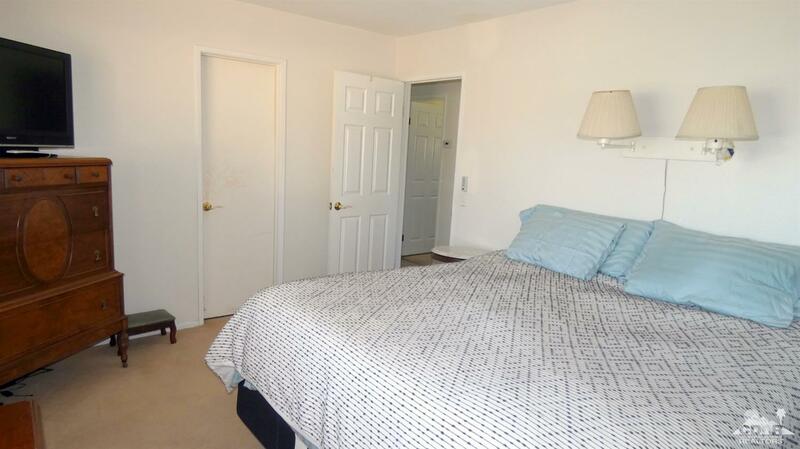 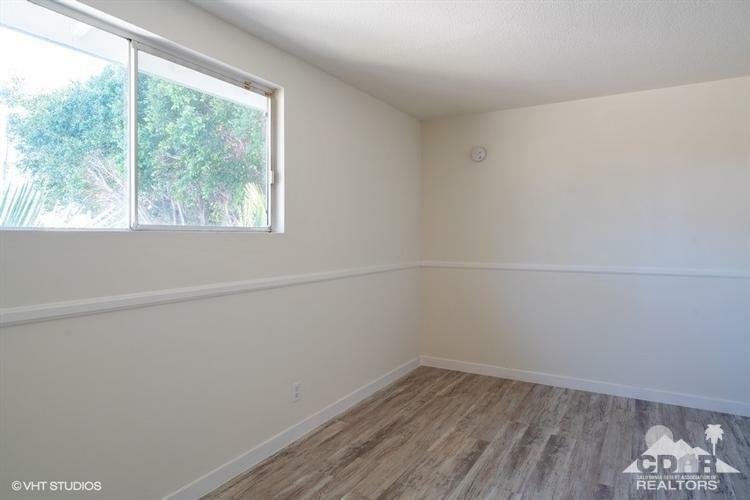 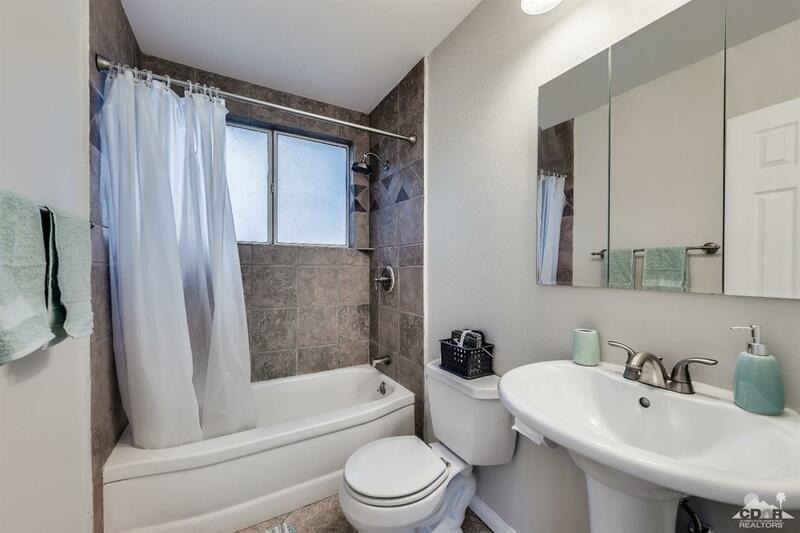 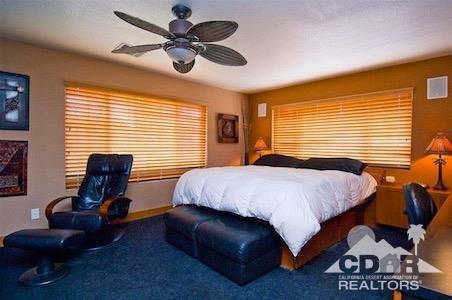 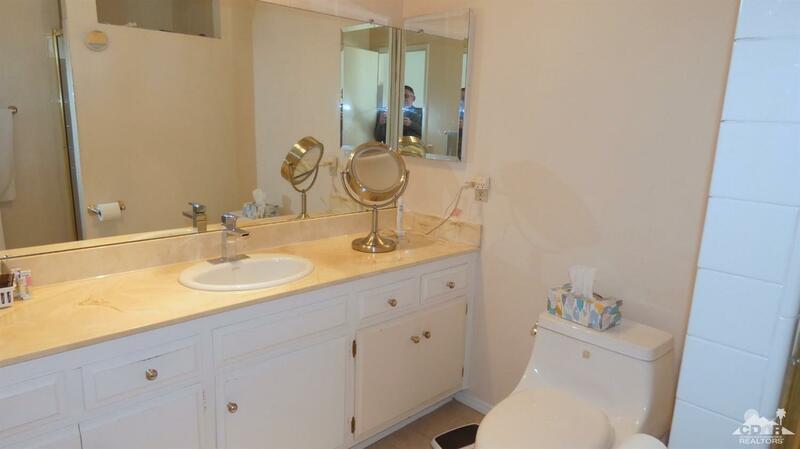 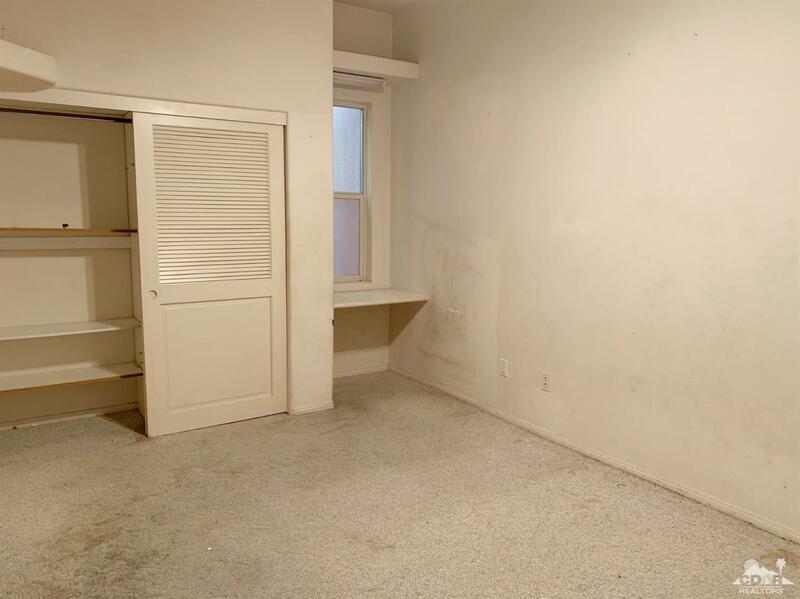 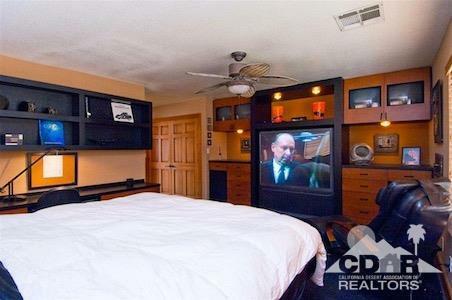 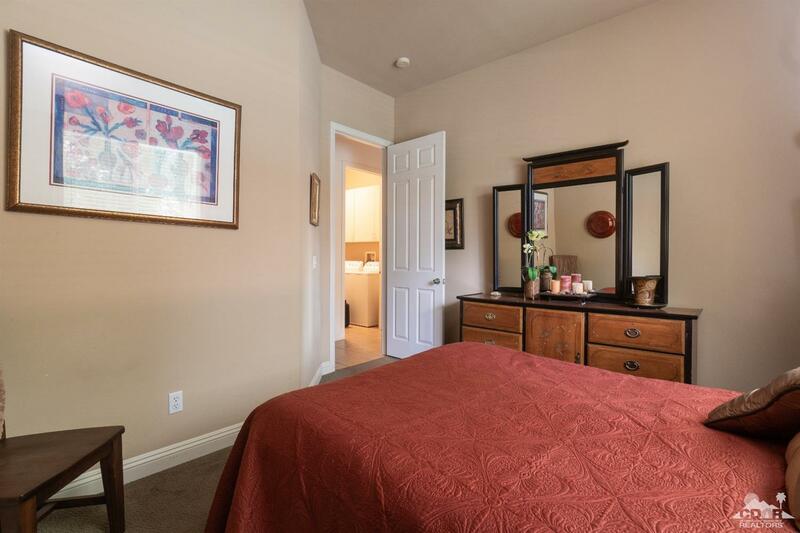 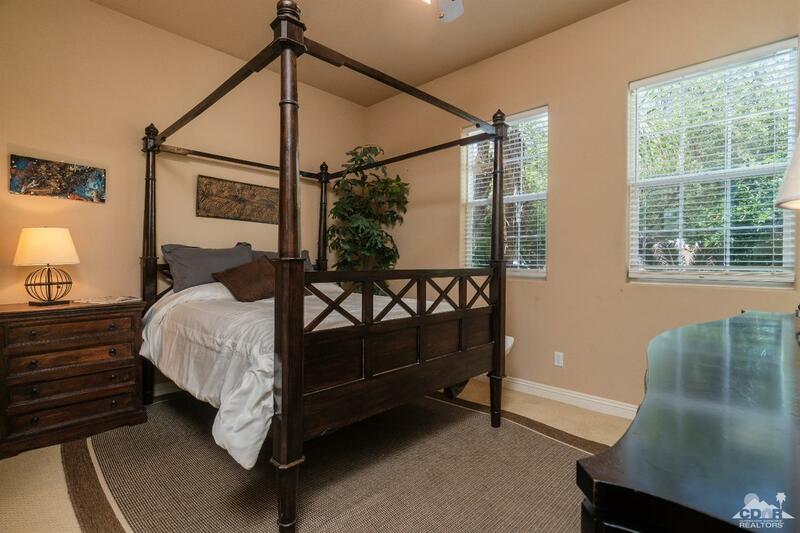 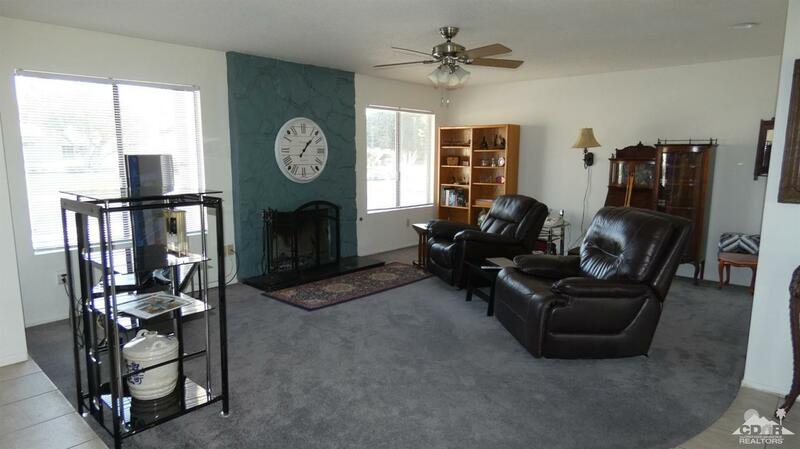 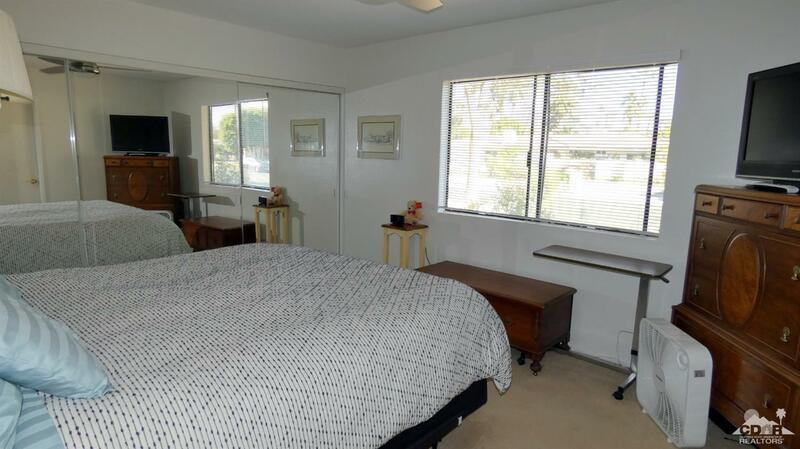 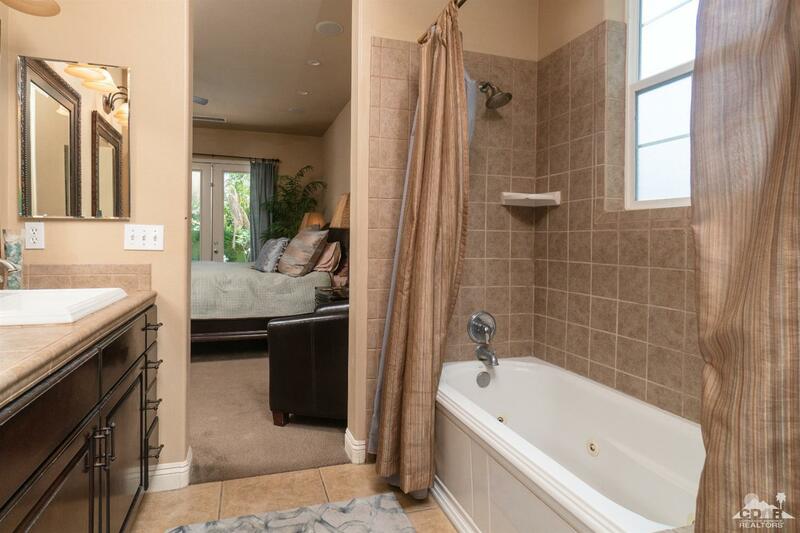 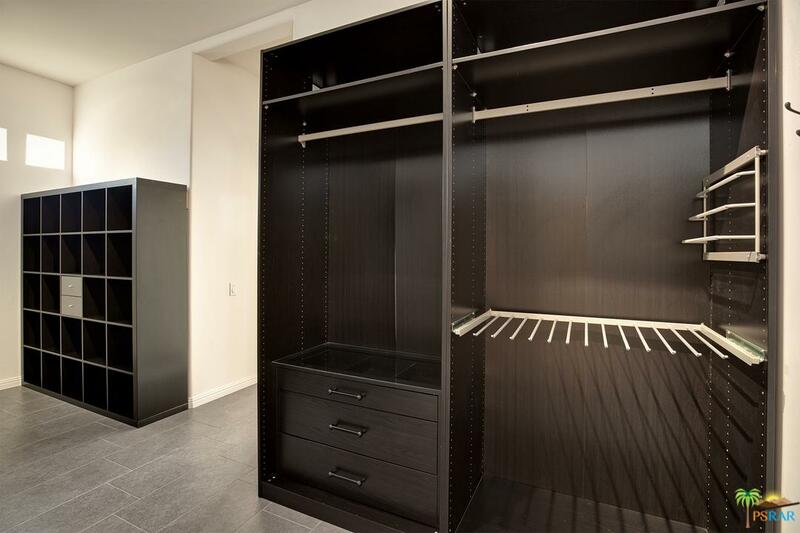 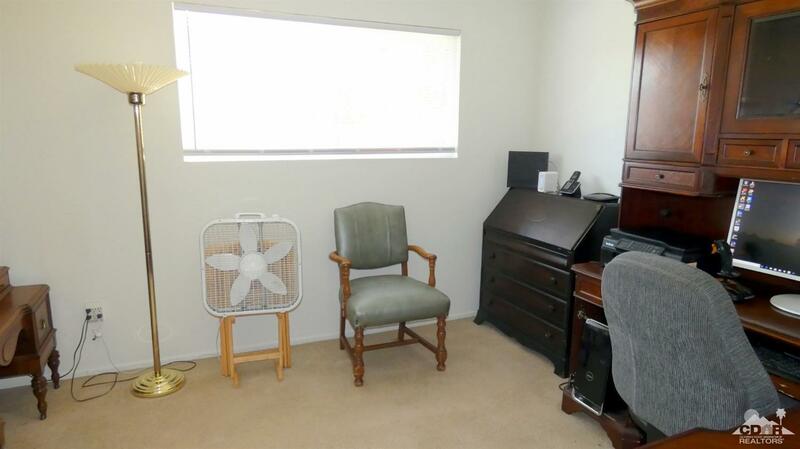 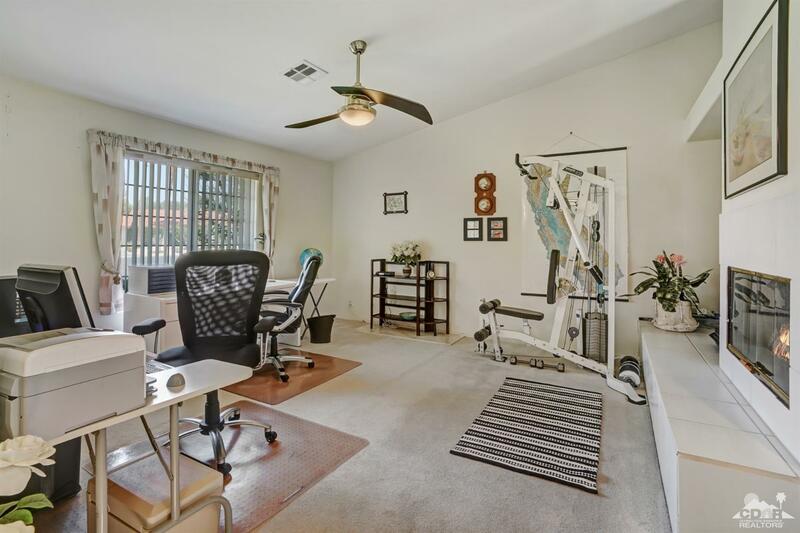 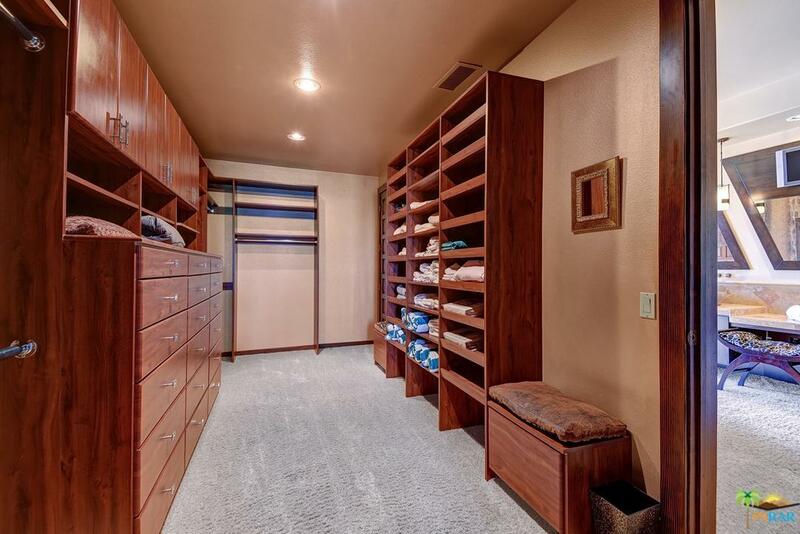 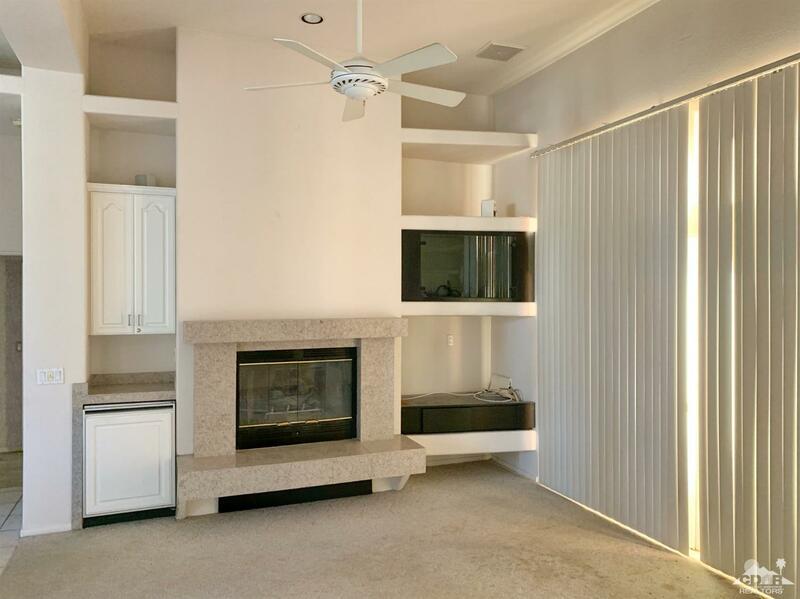 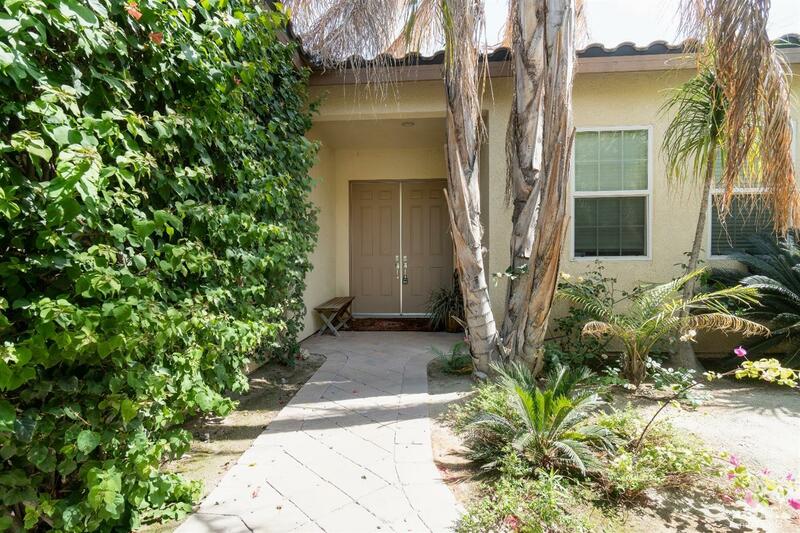 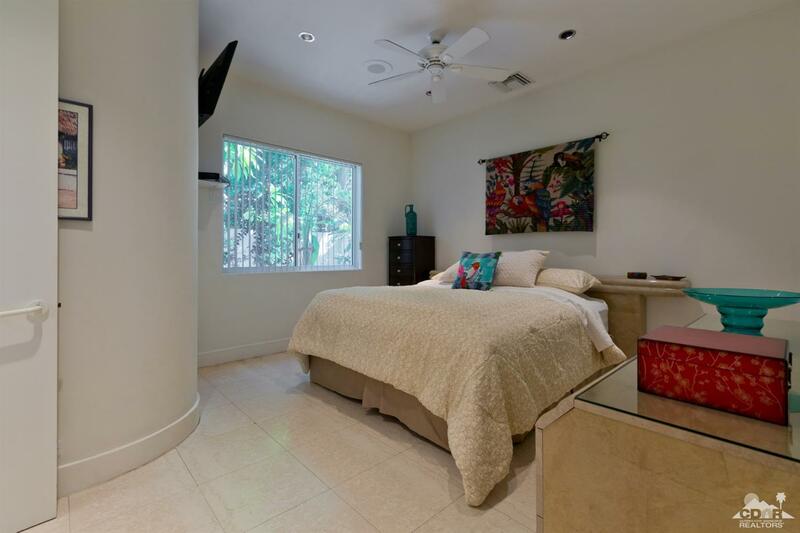 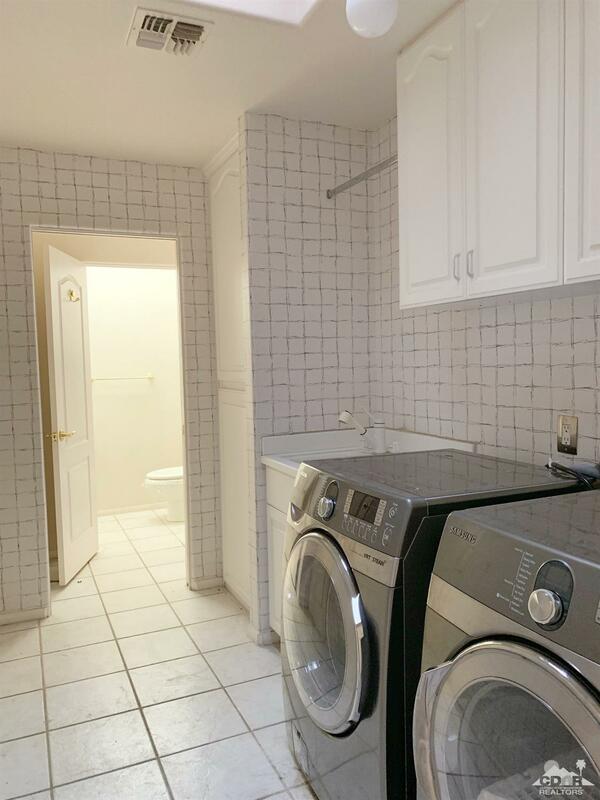 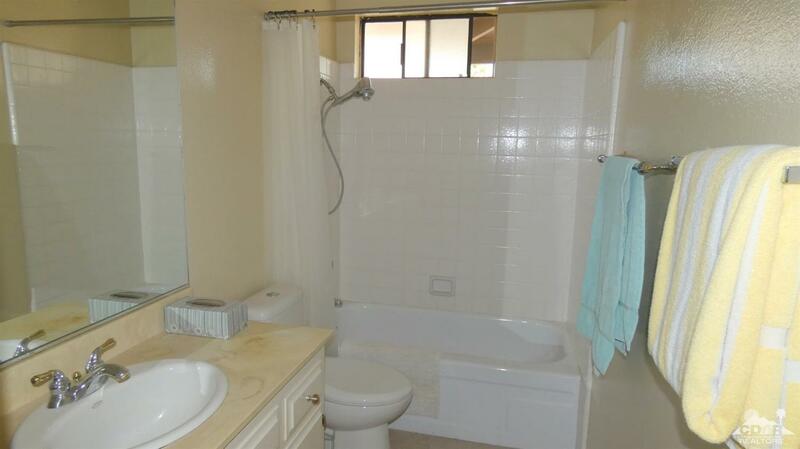 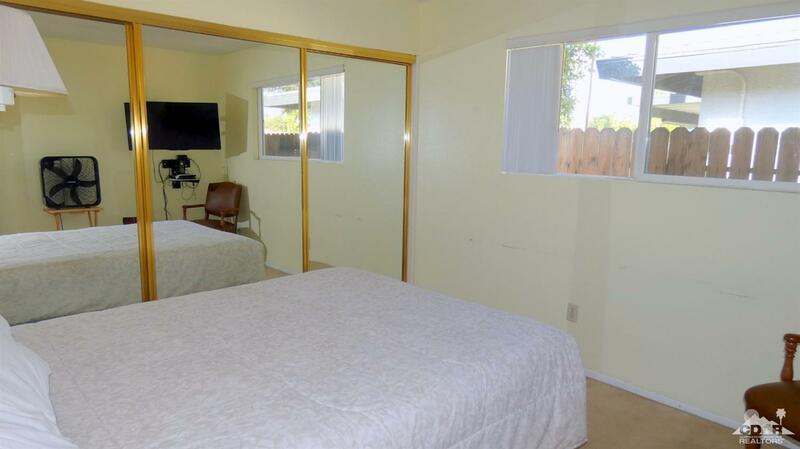 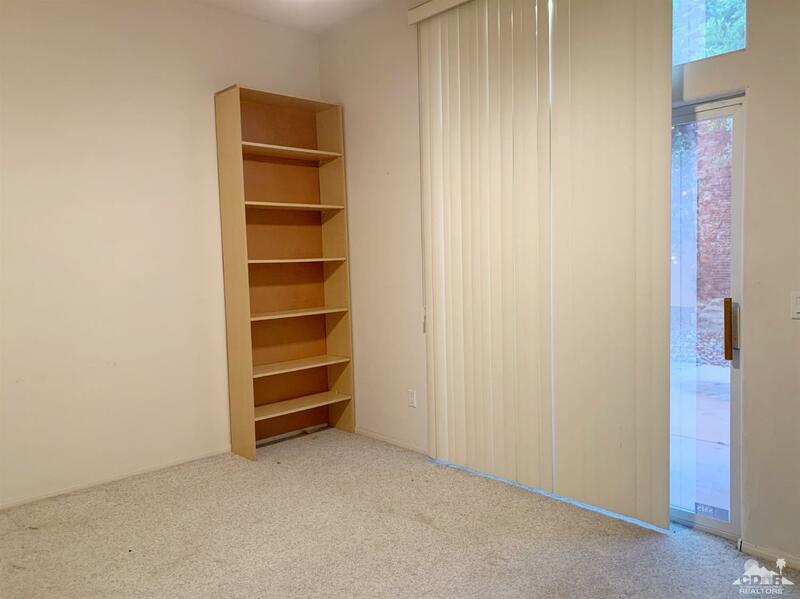 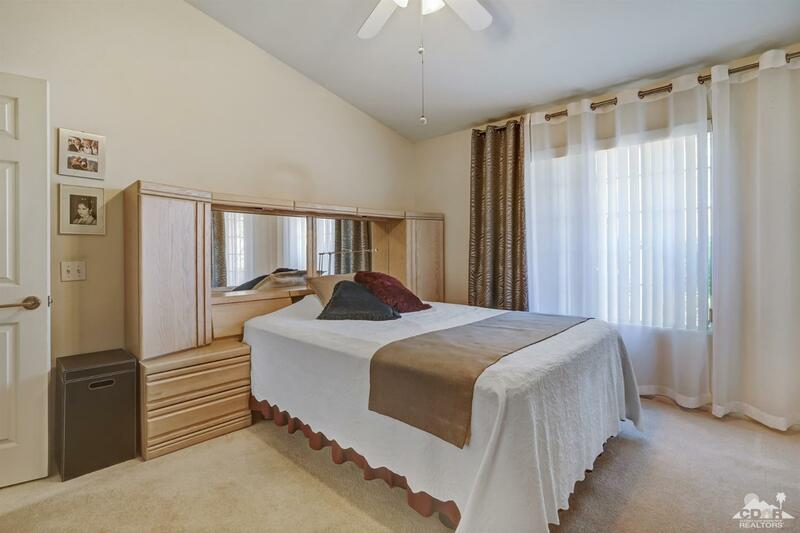 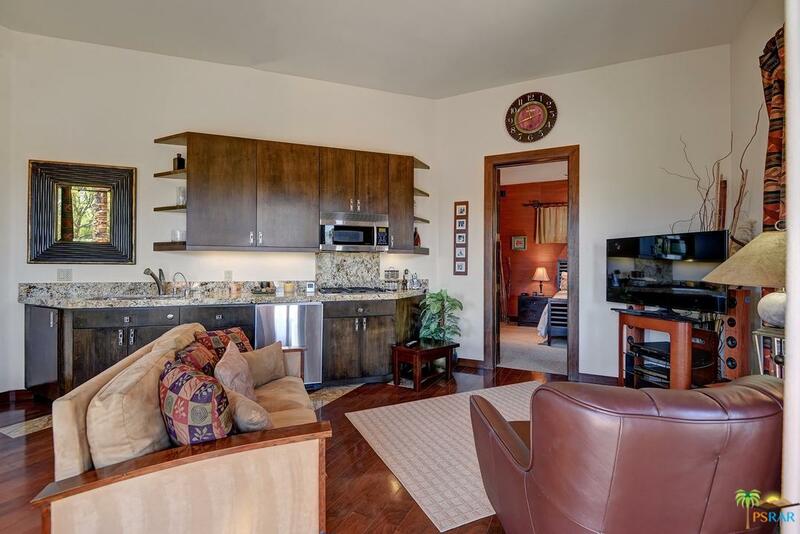 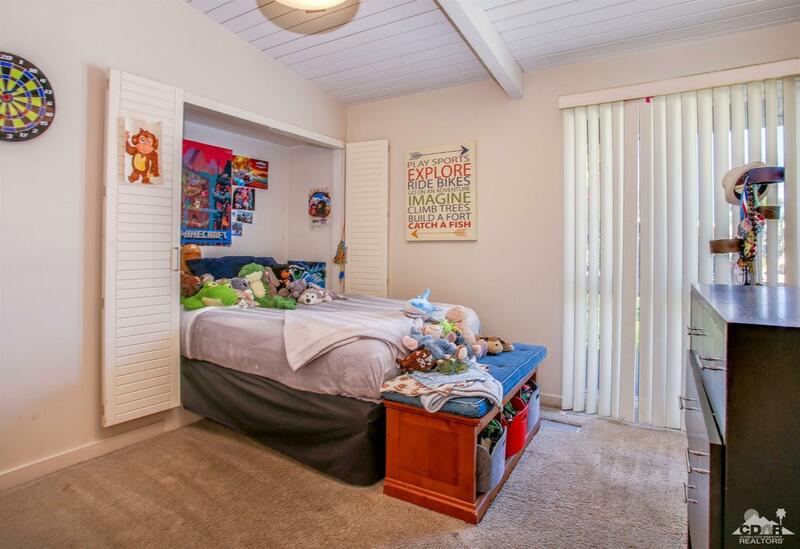 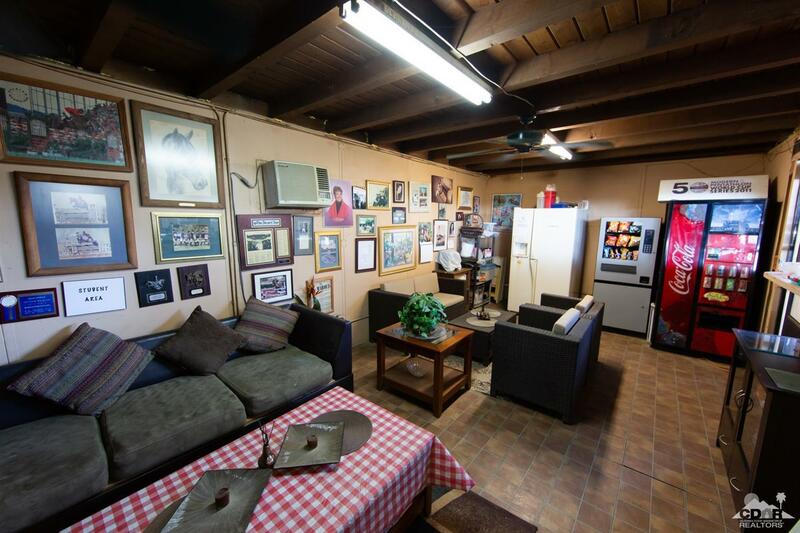 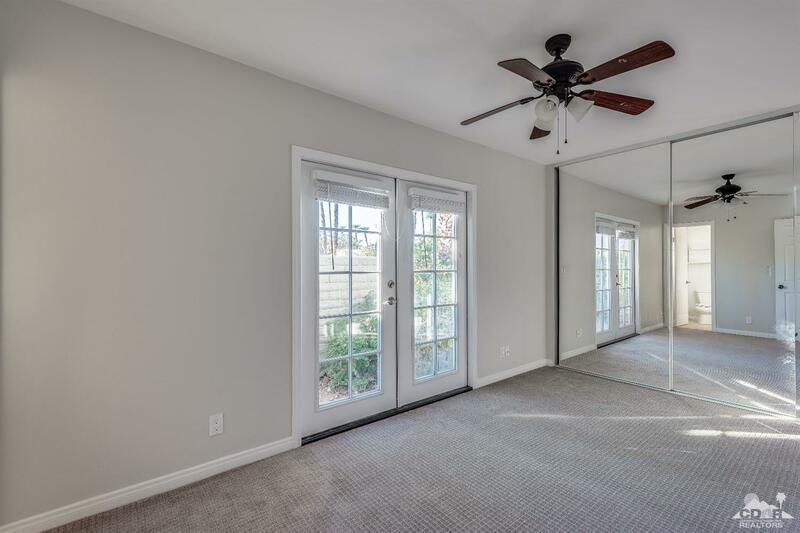 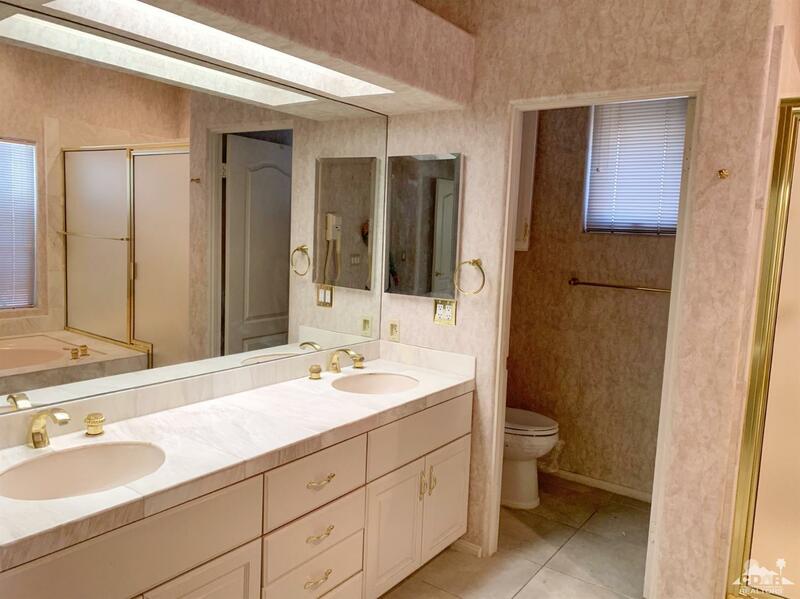 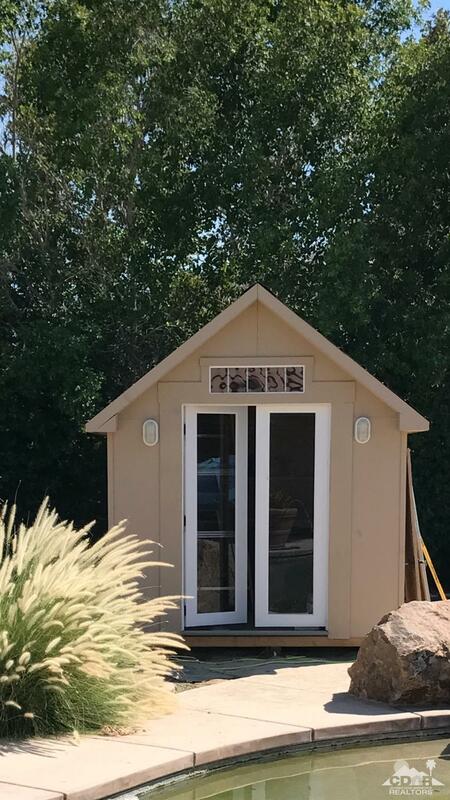 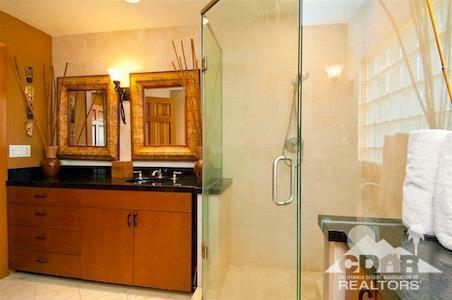 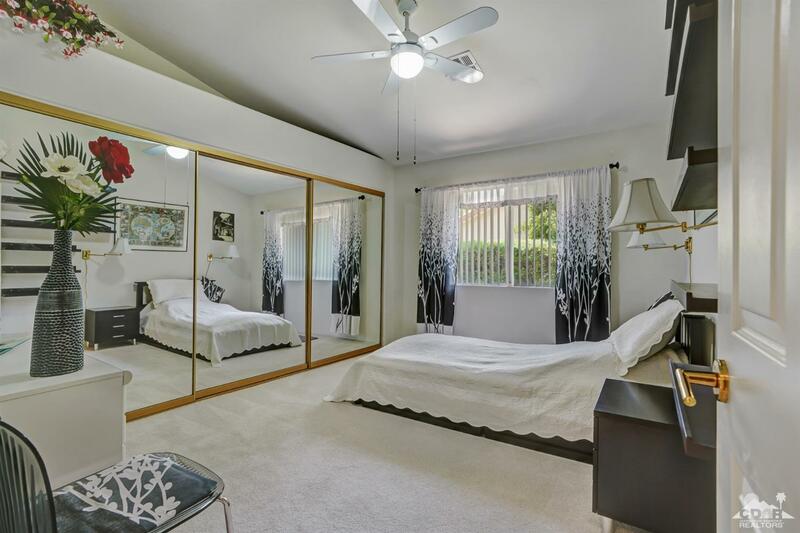 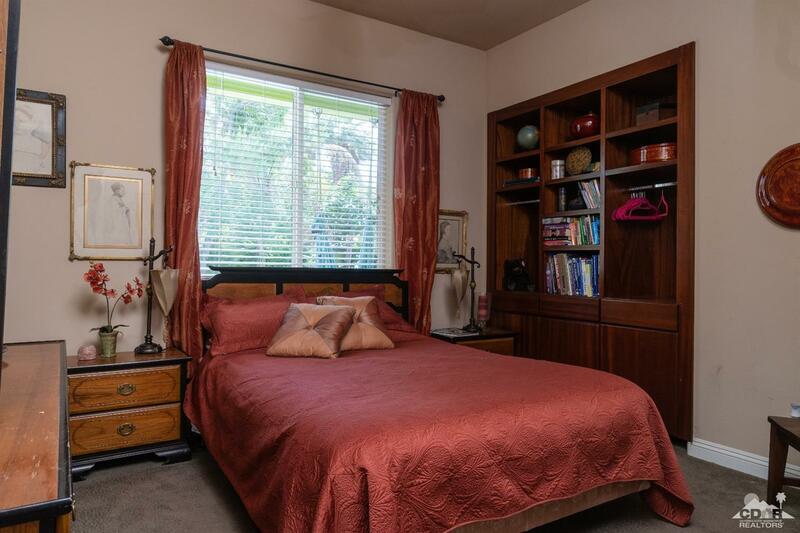 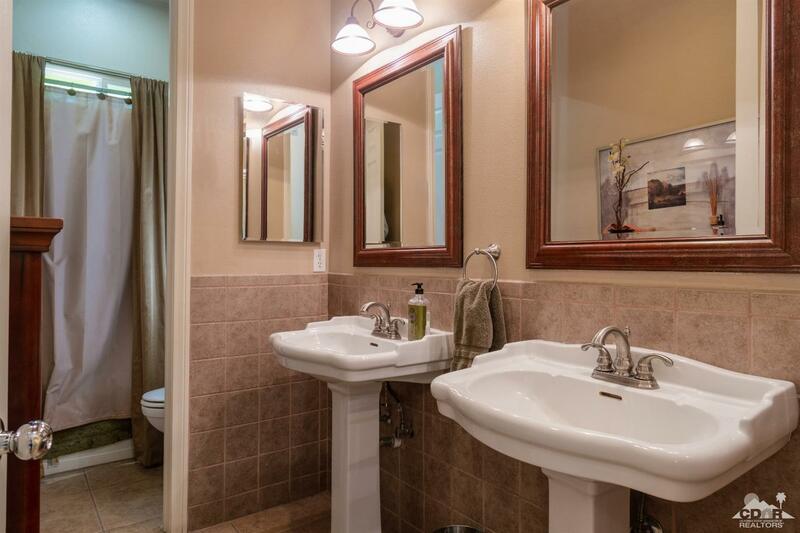 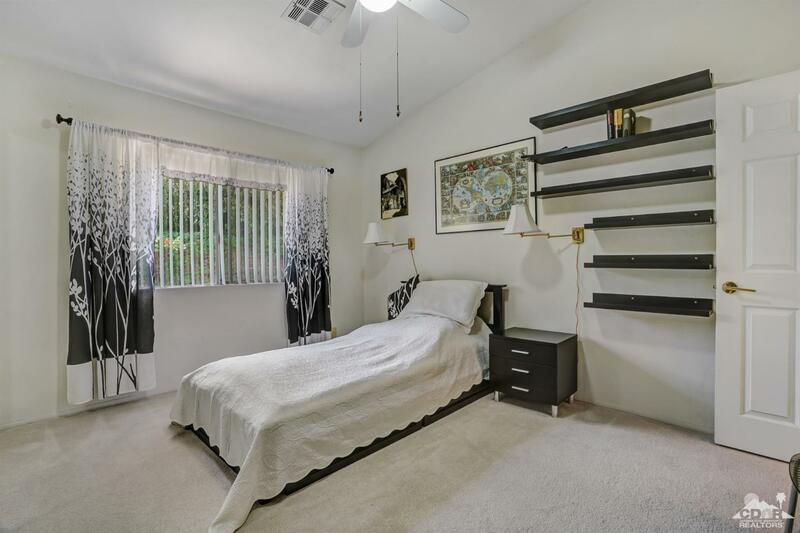 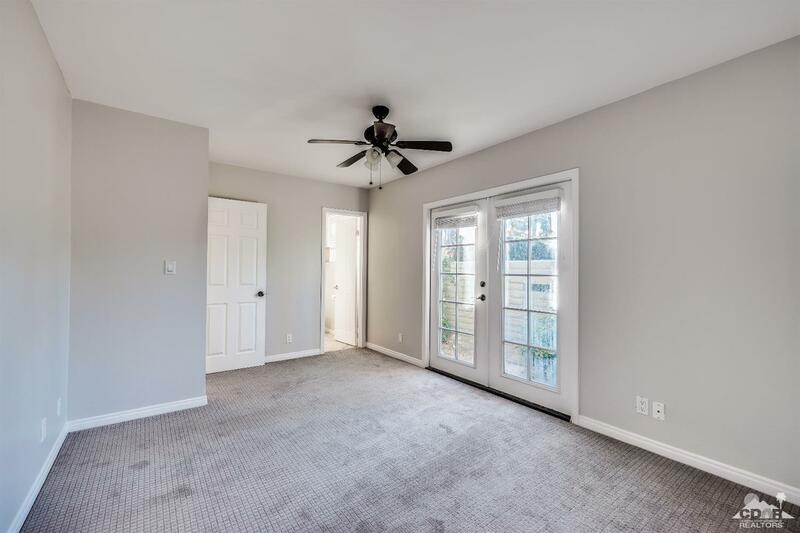 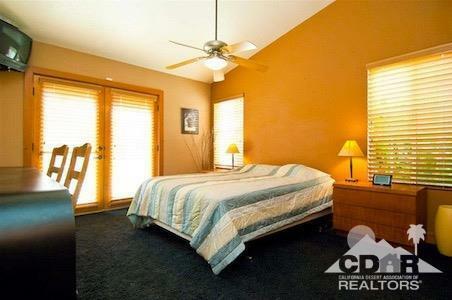 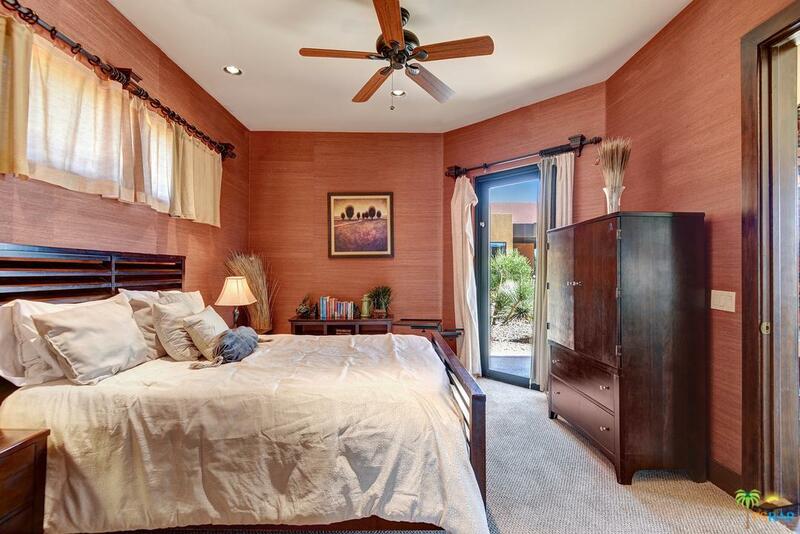 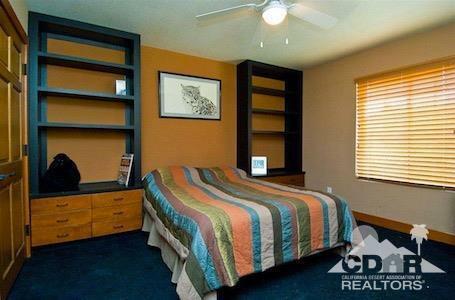 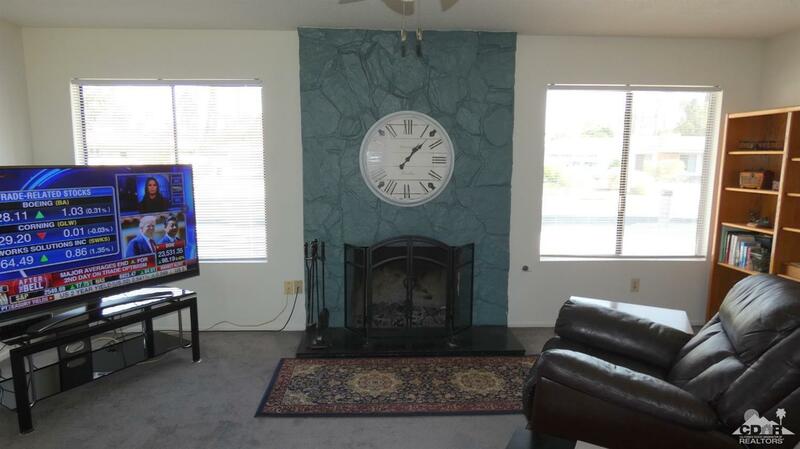 Within the 1732 sq ft 4br [one is a den] two ba there is no wasted space. 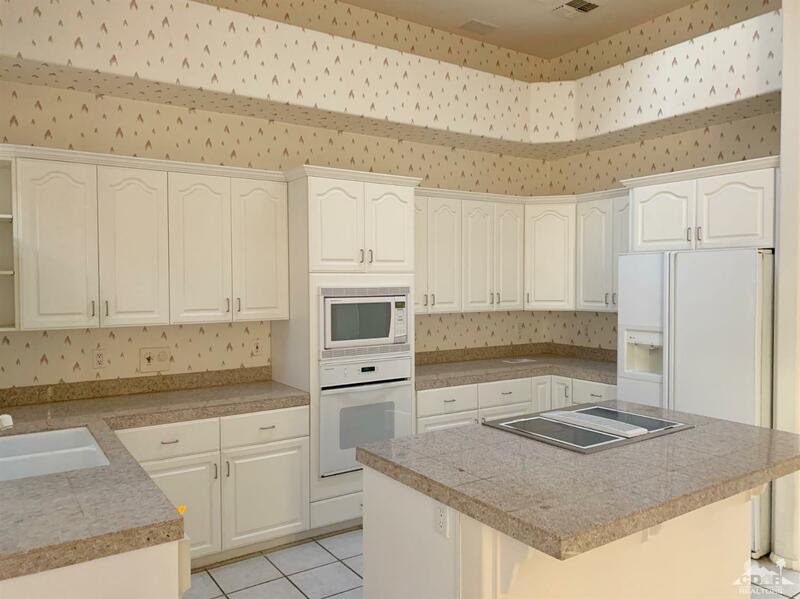 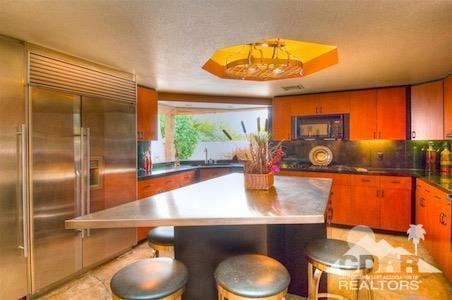 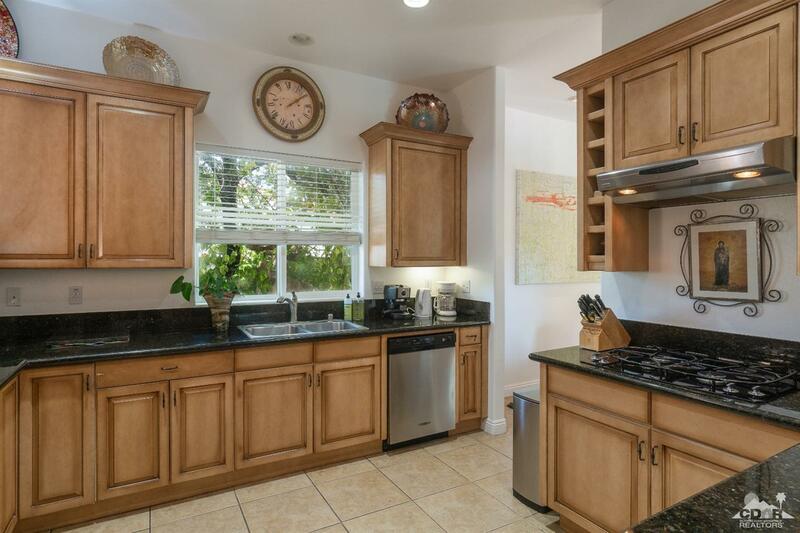 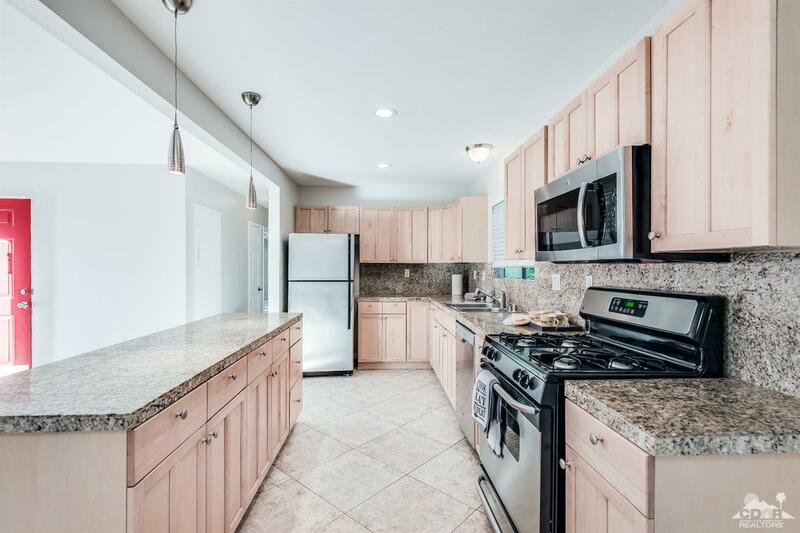 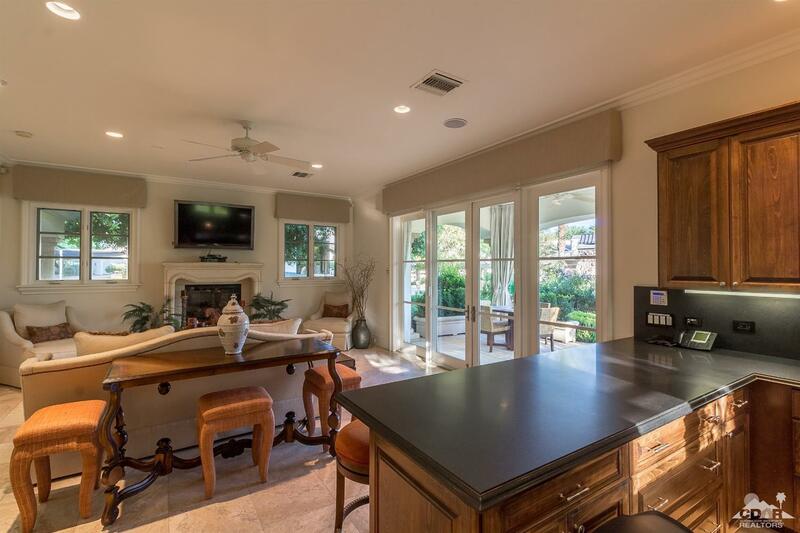 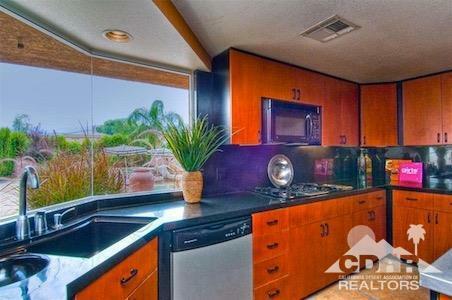 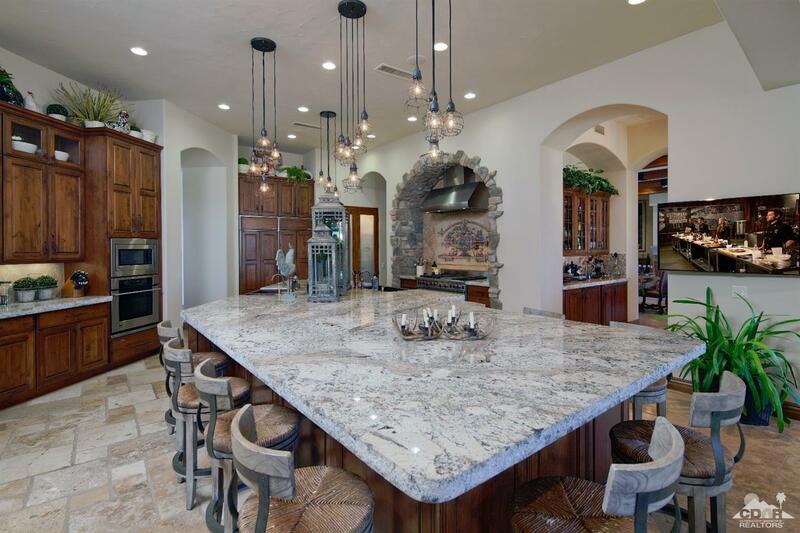 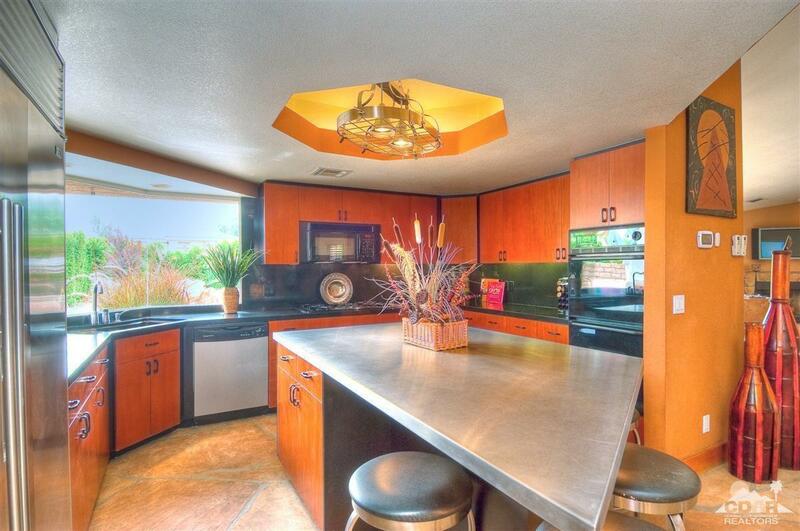 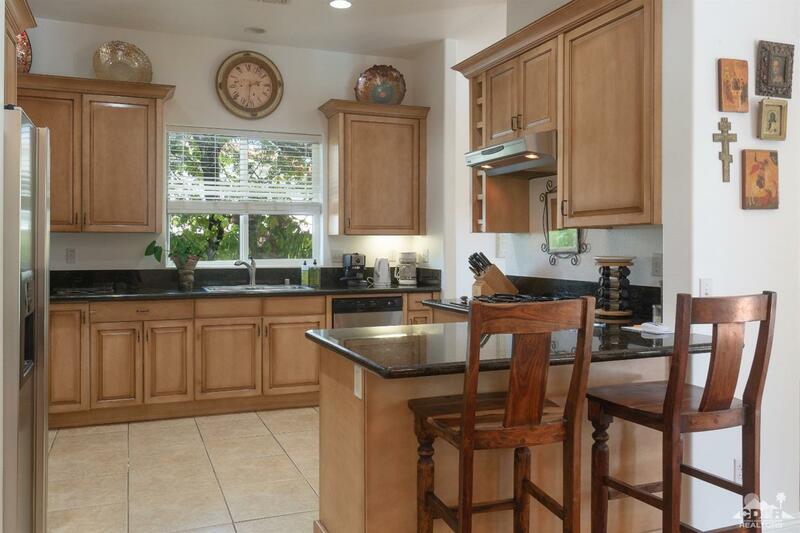 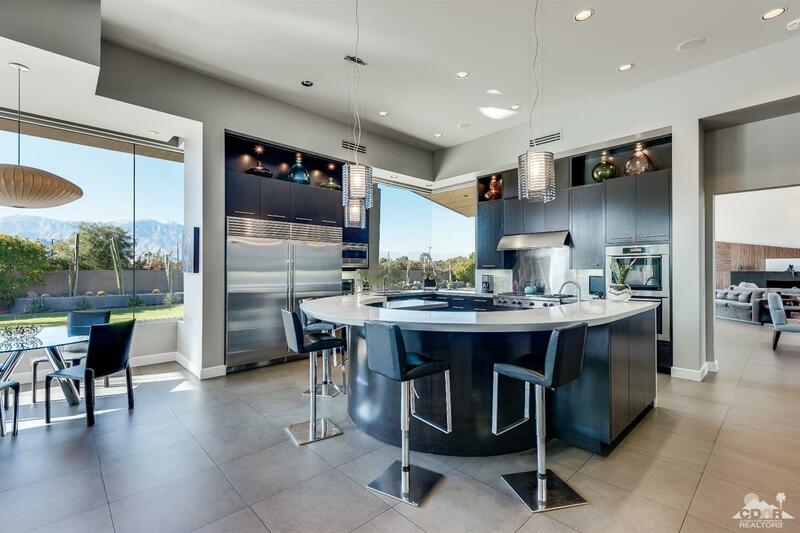 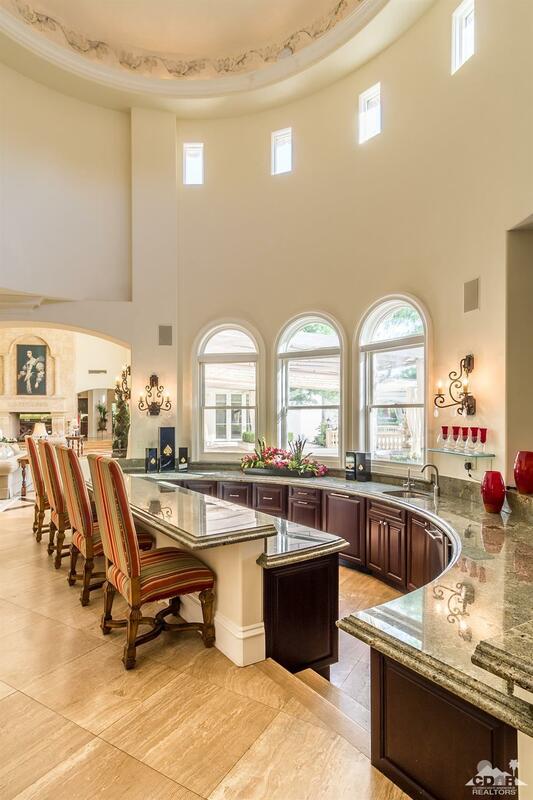 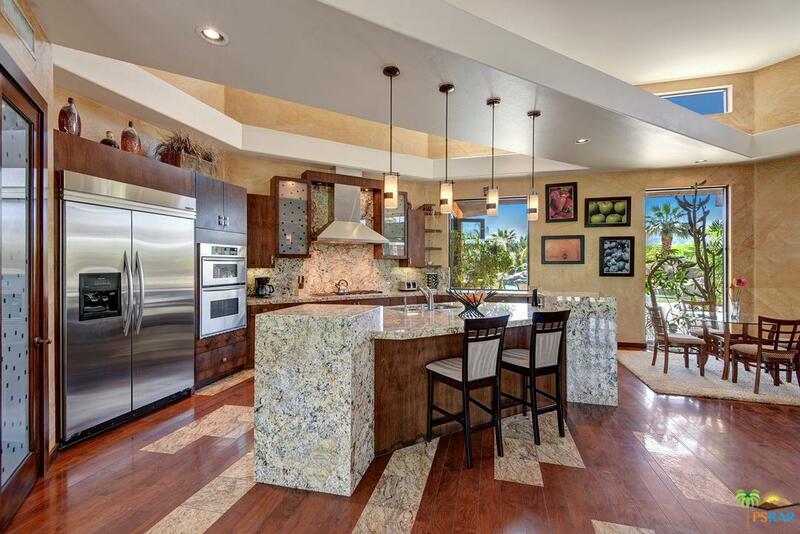 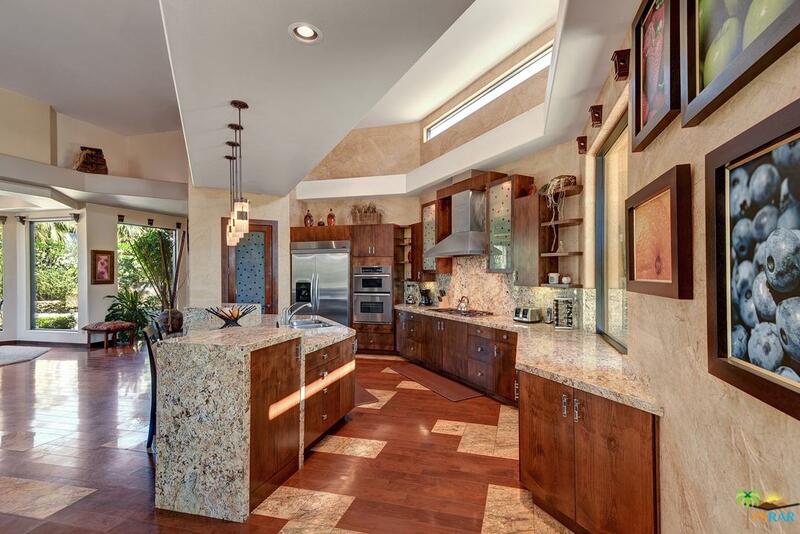 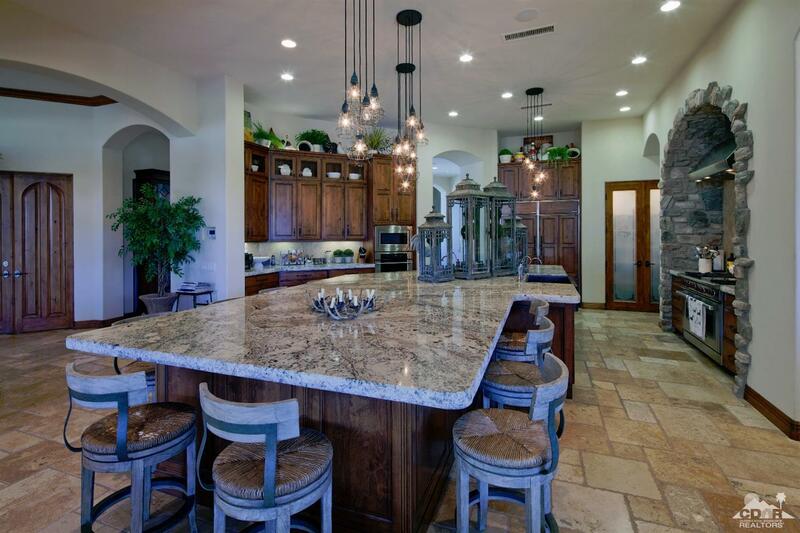 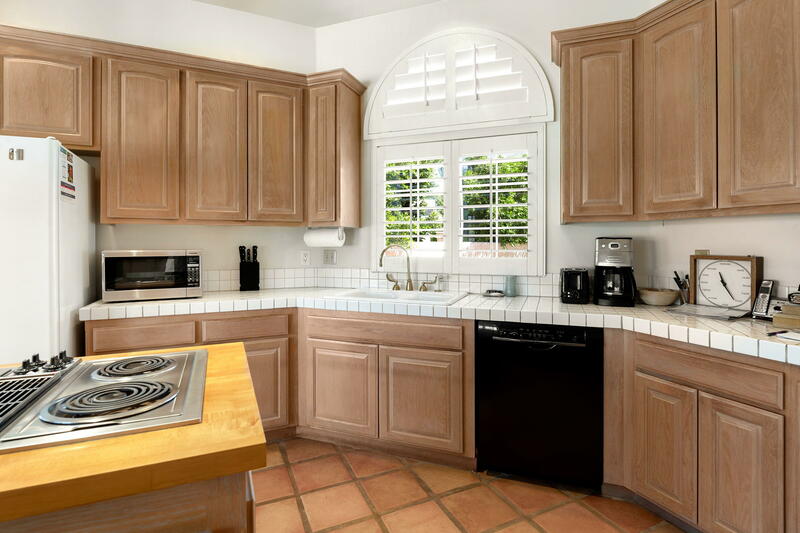 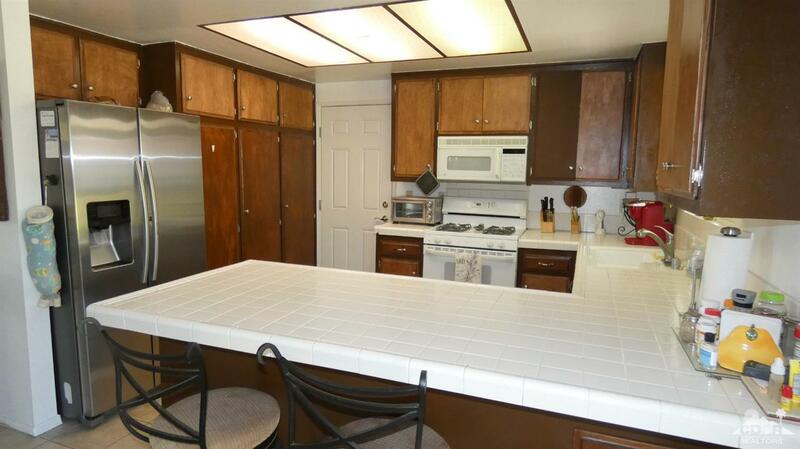 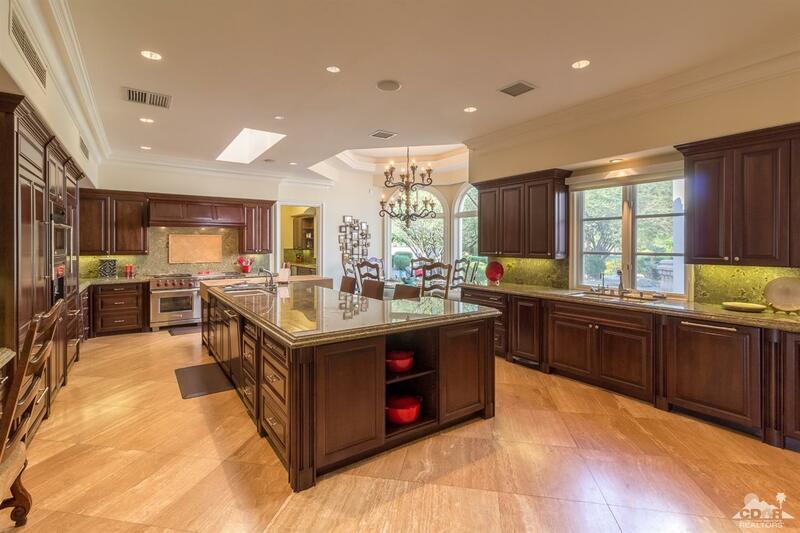 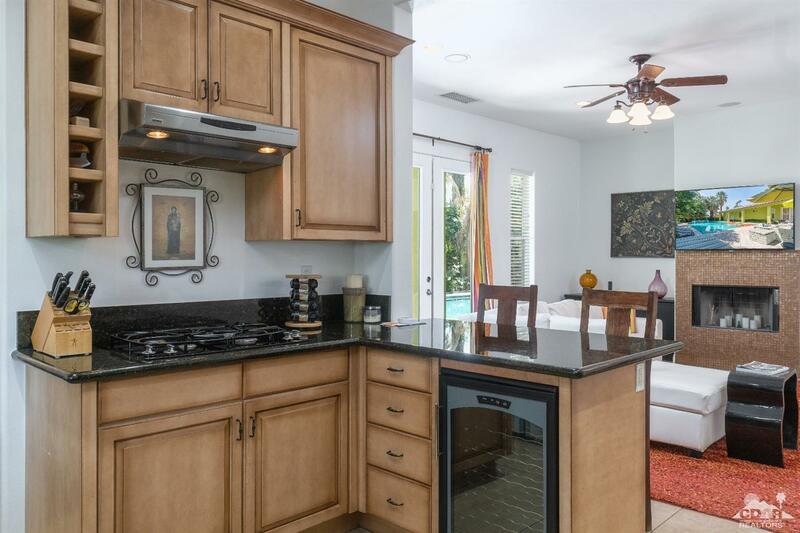 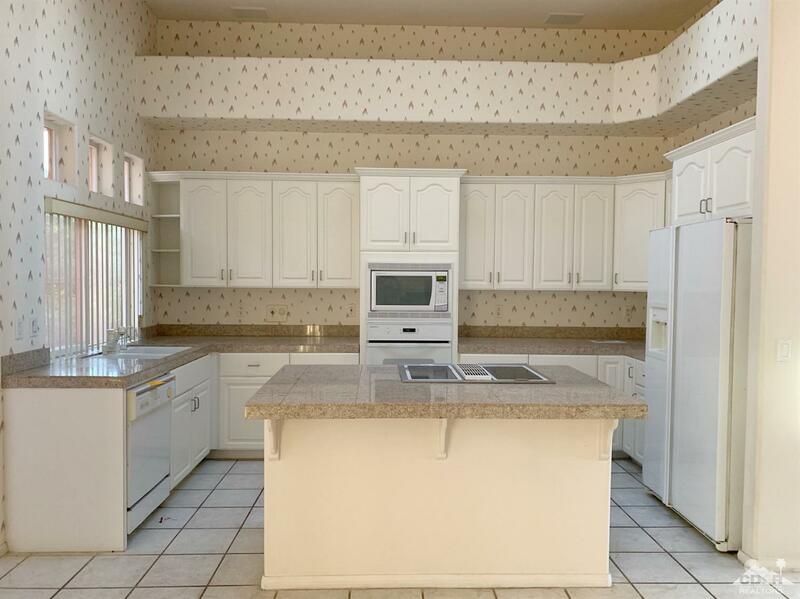 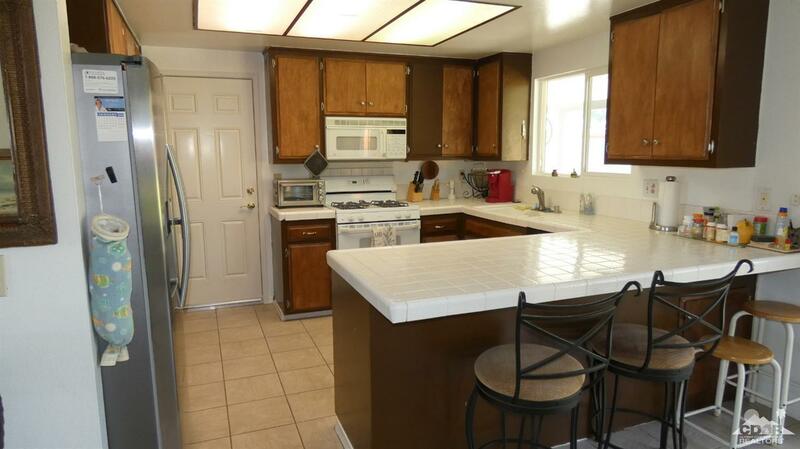 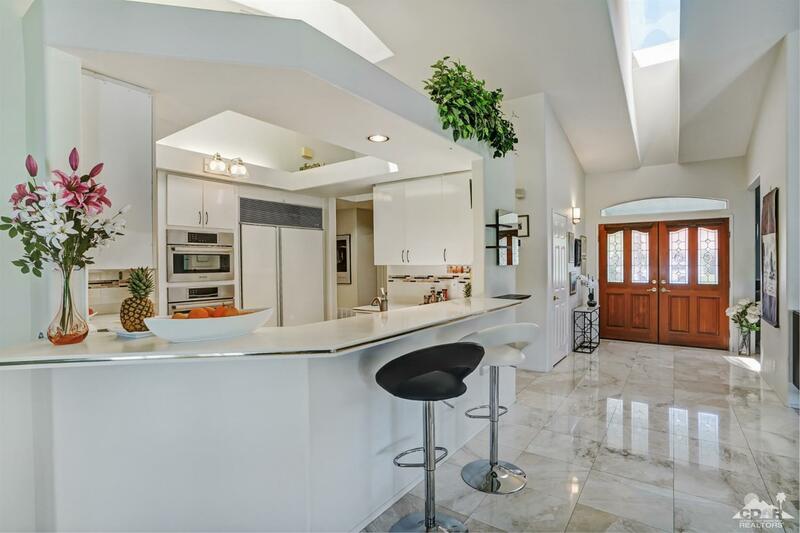 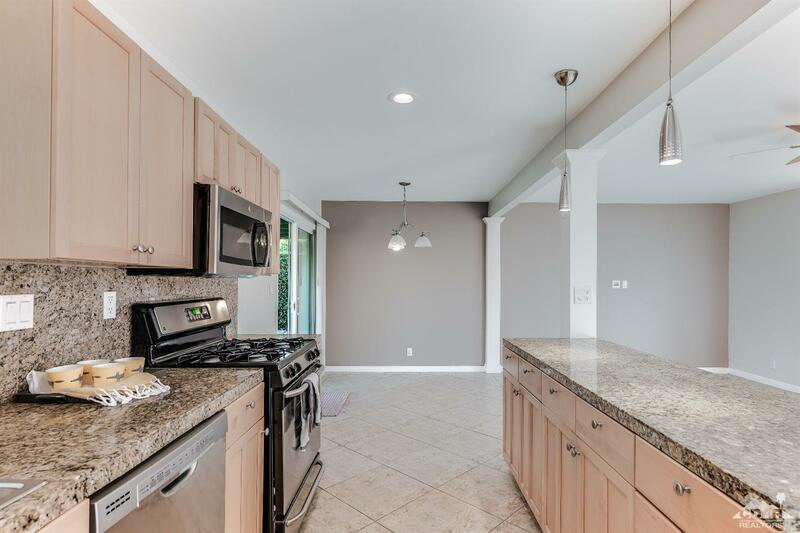 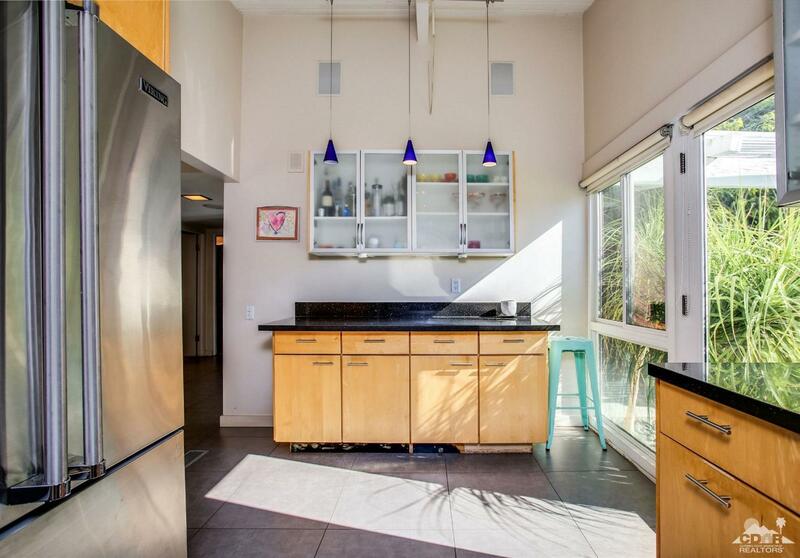 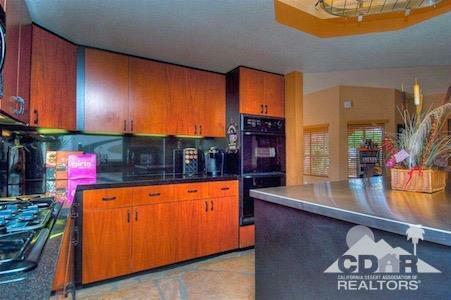 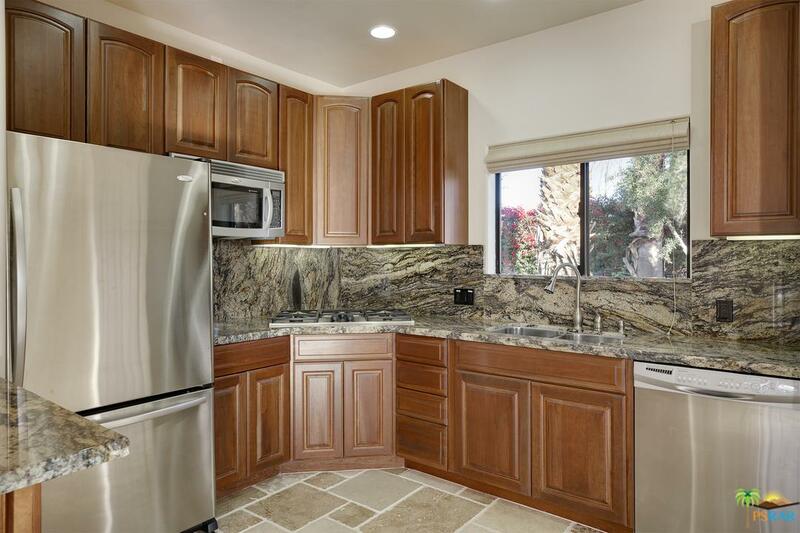 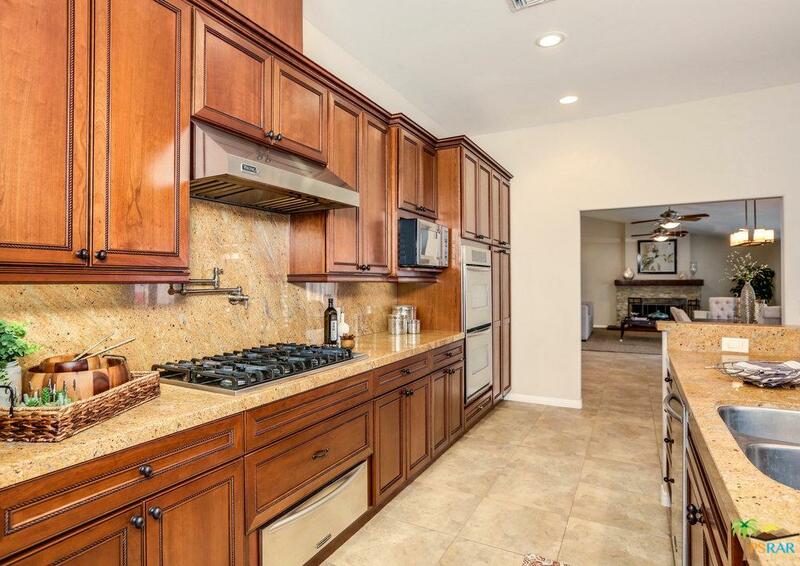 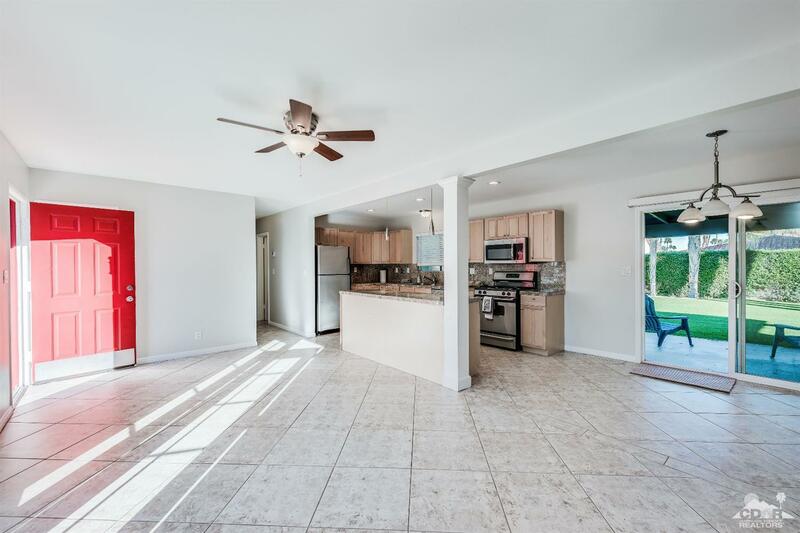 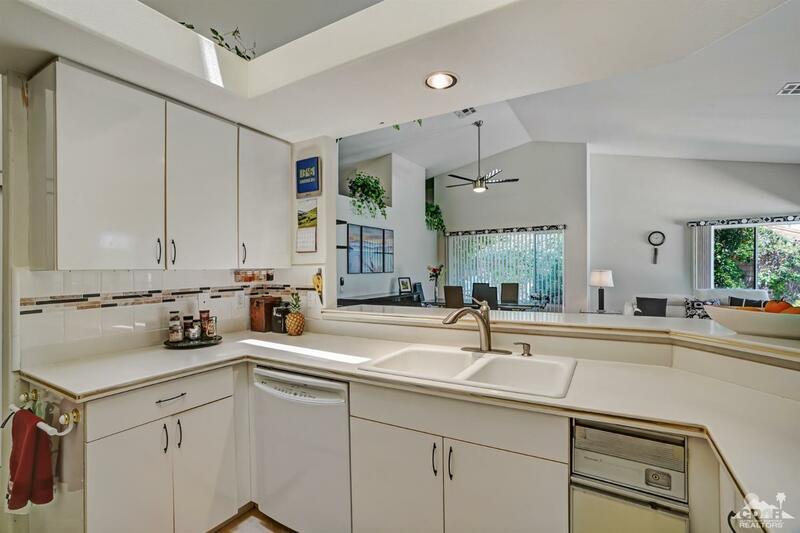 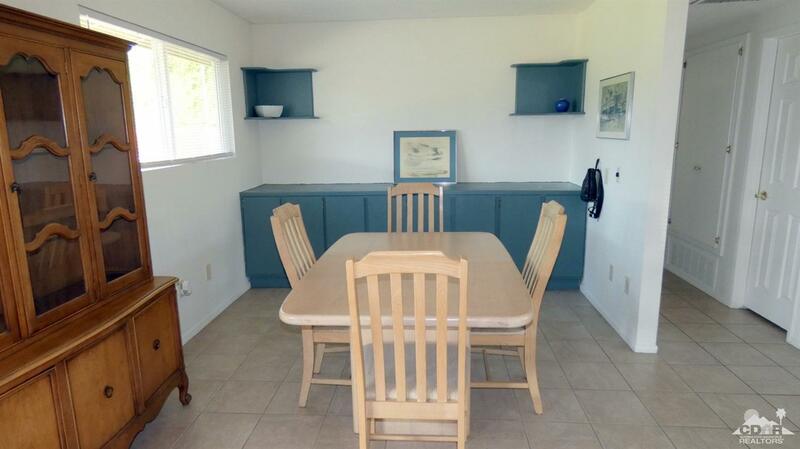 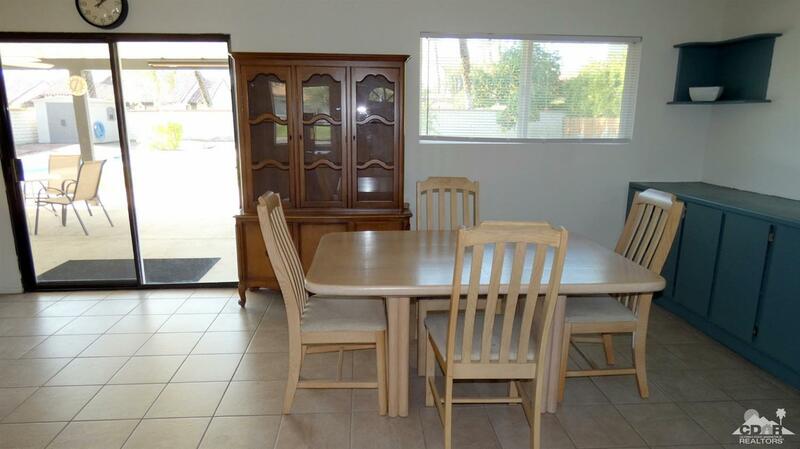 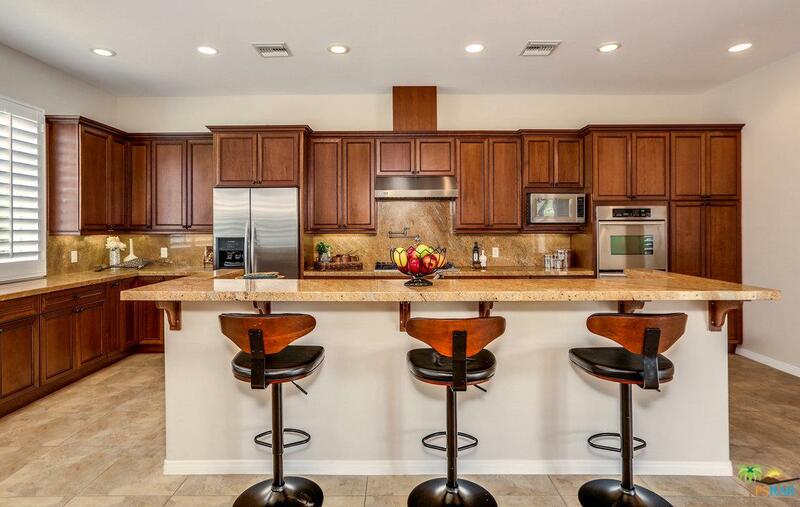 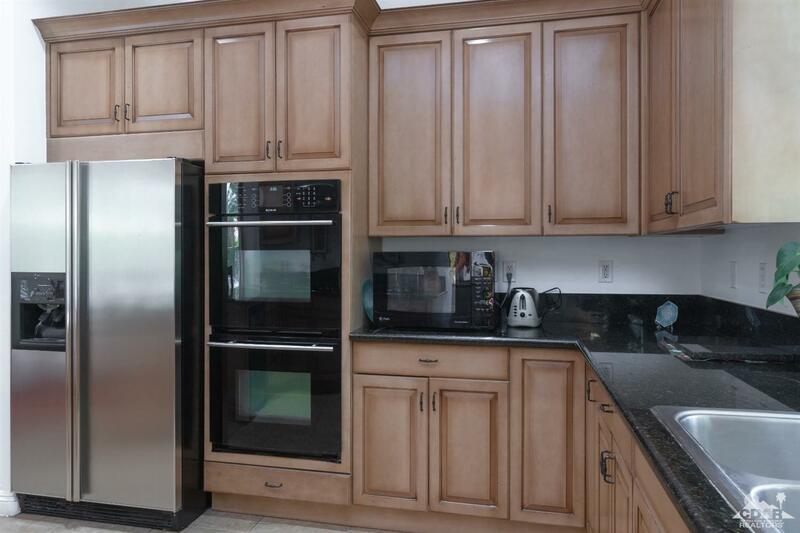 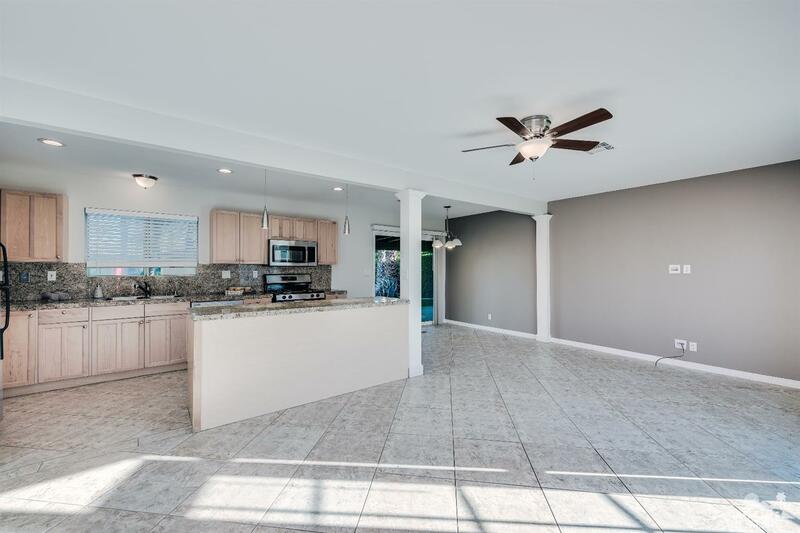 Functional kitchen with Quartz counter tops is open to a living/dining area. 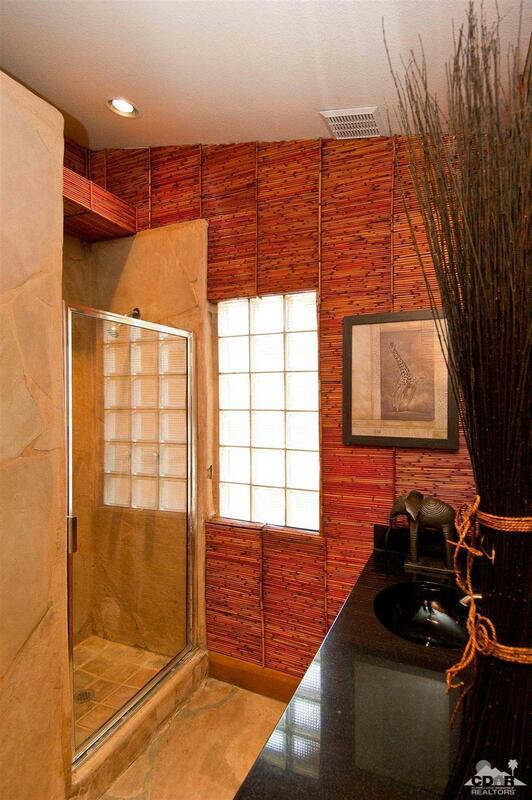 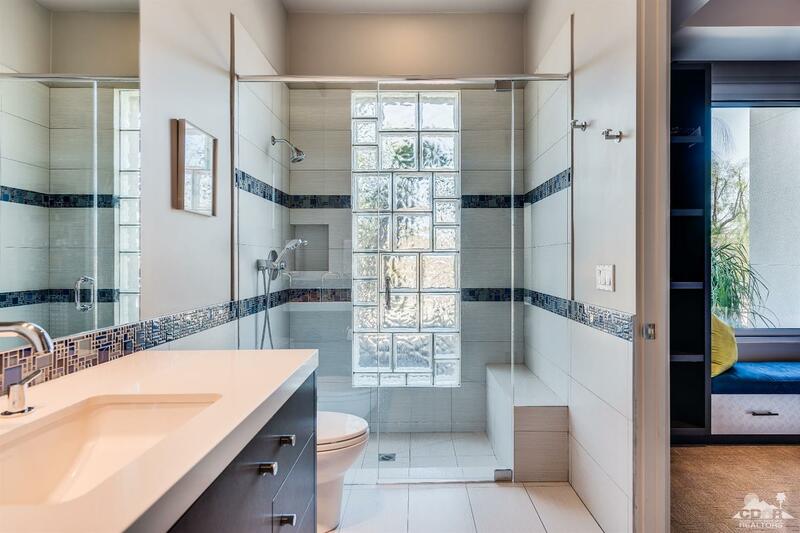 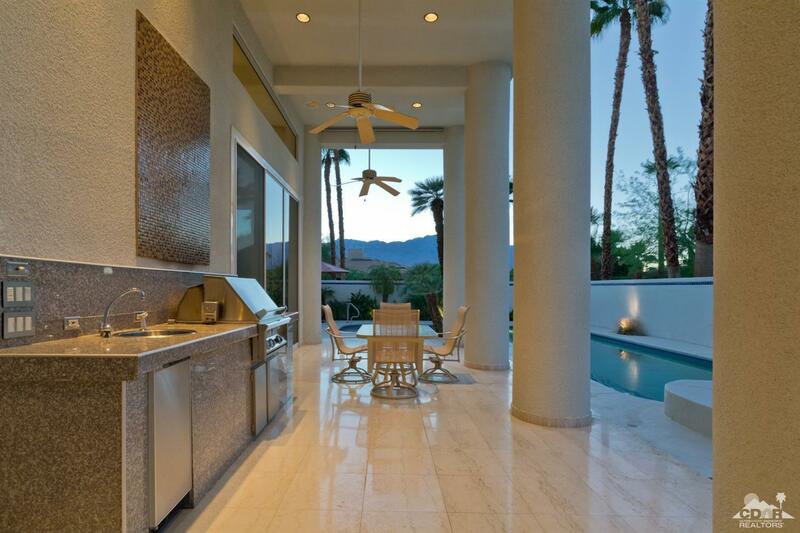 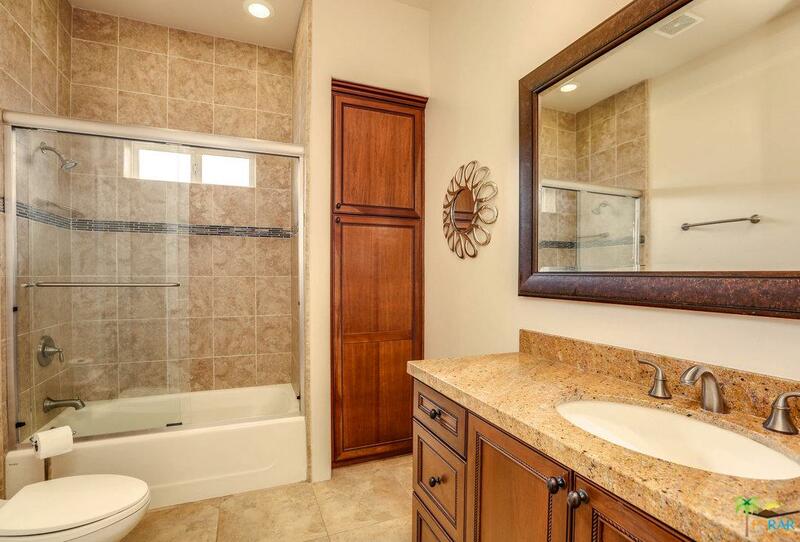 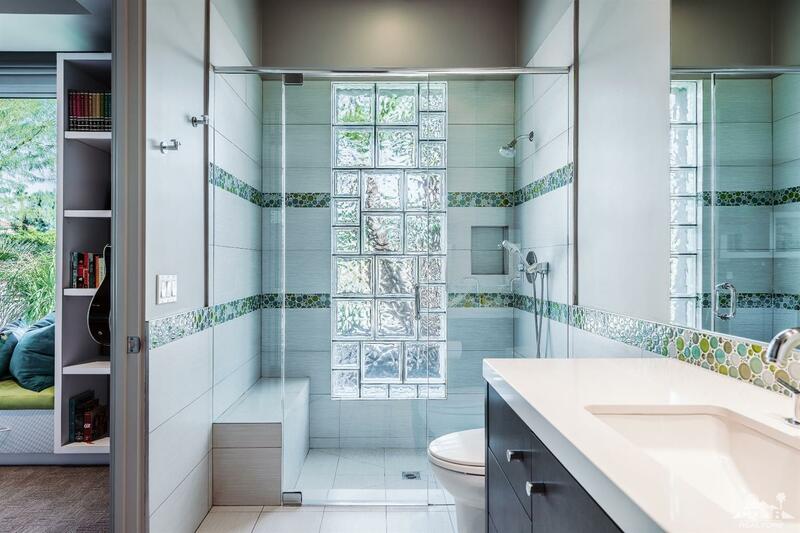 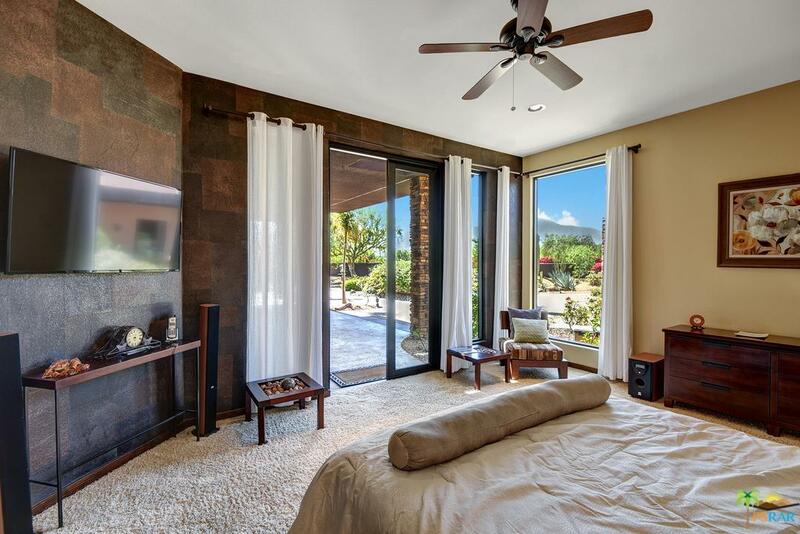 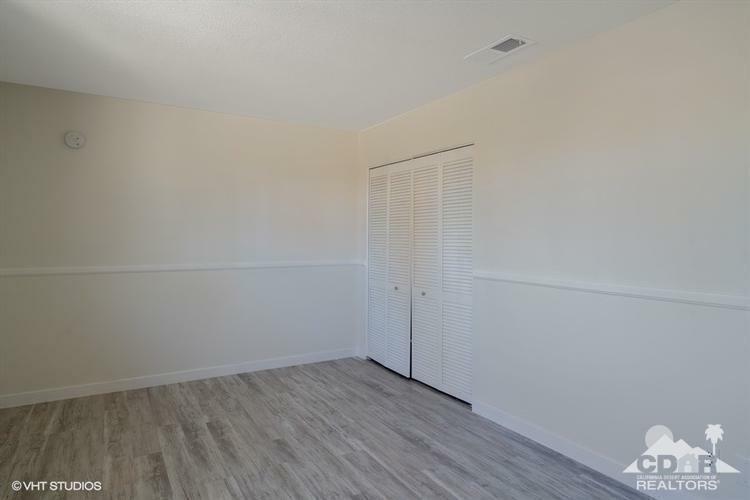 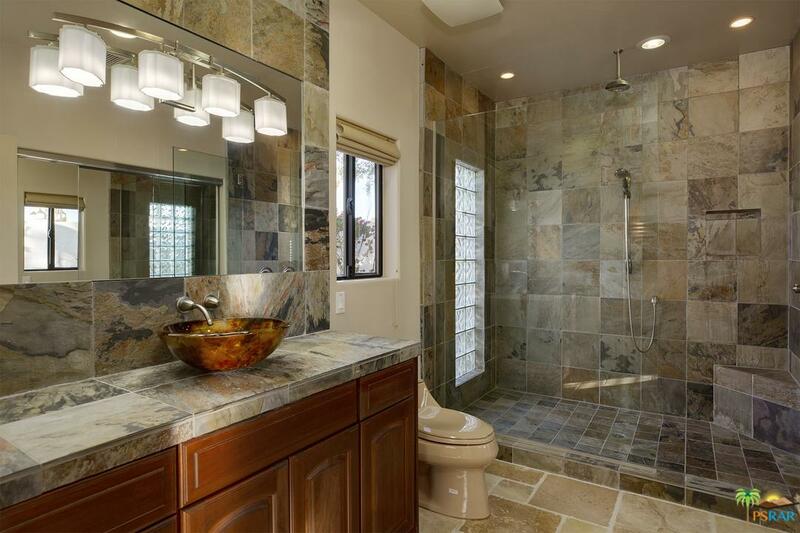 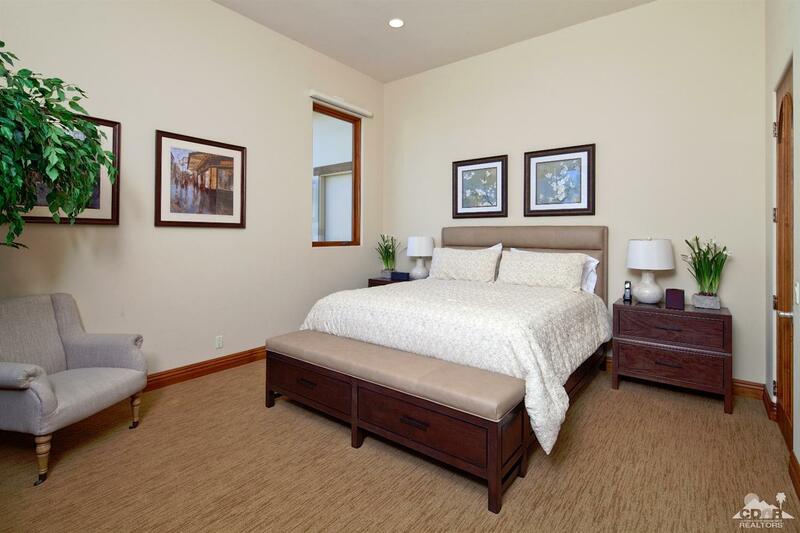 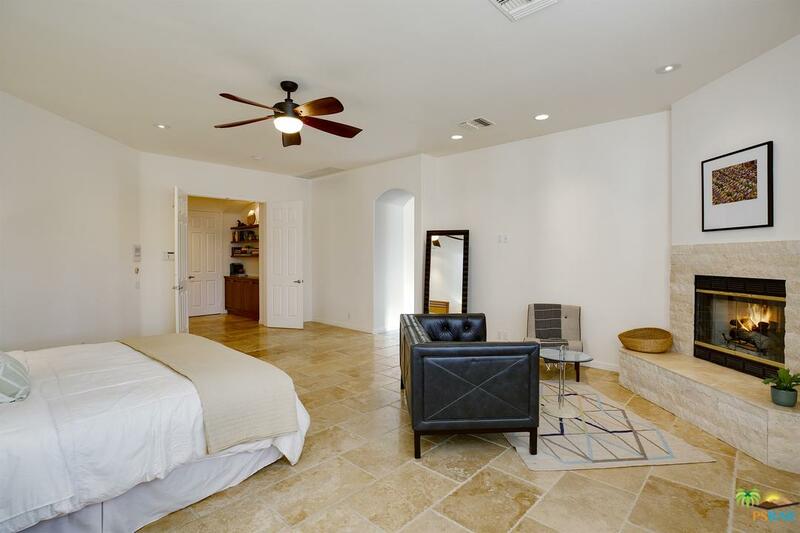 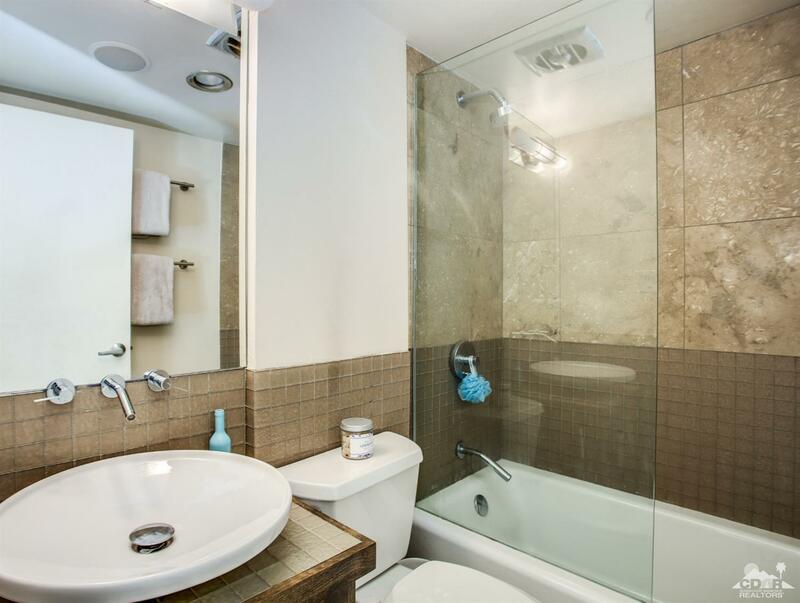 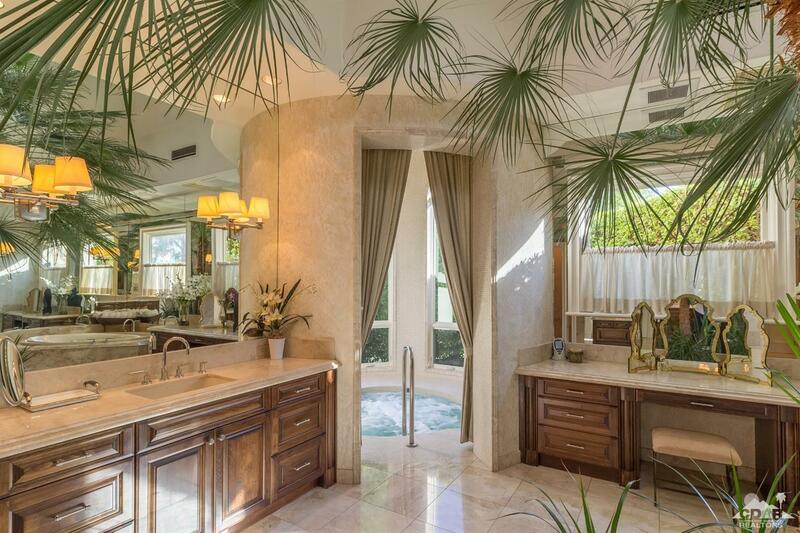 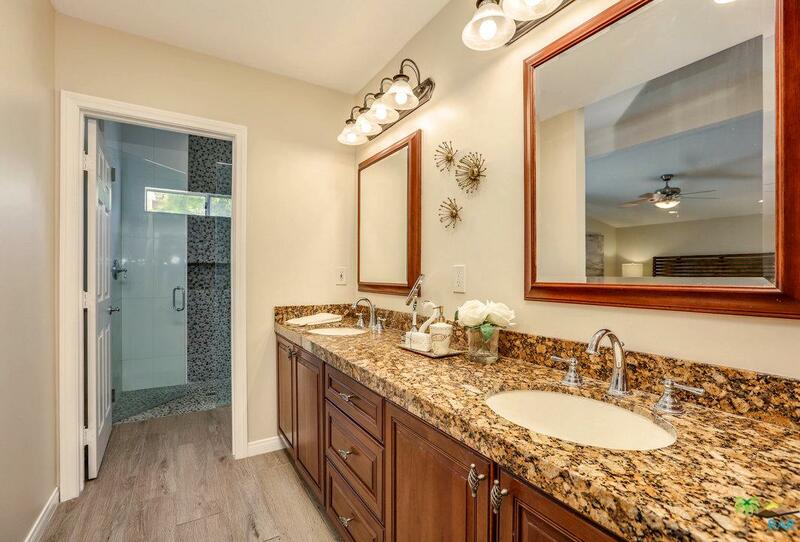 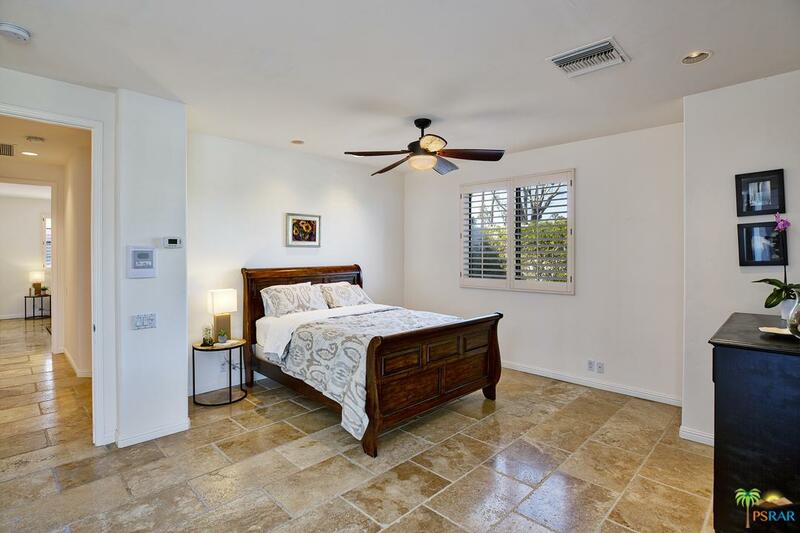 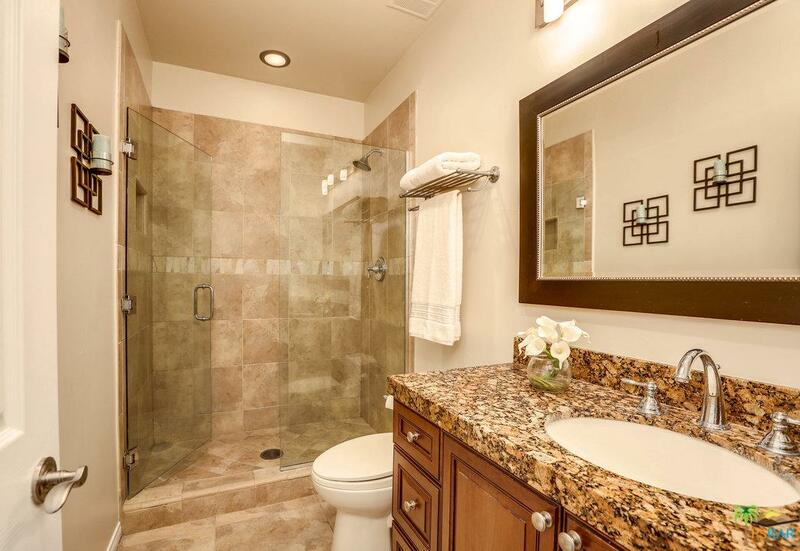 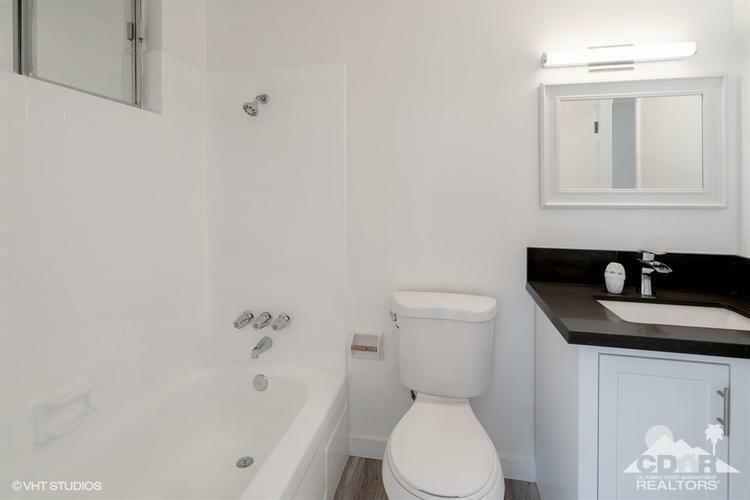 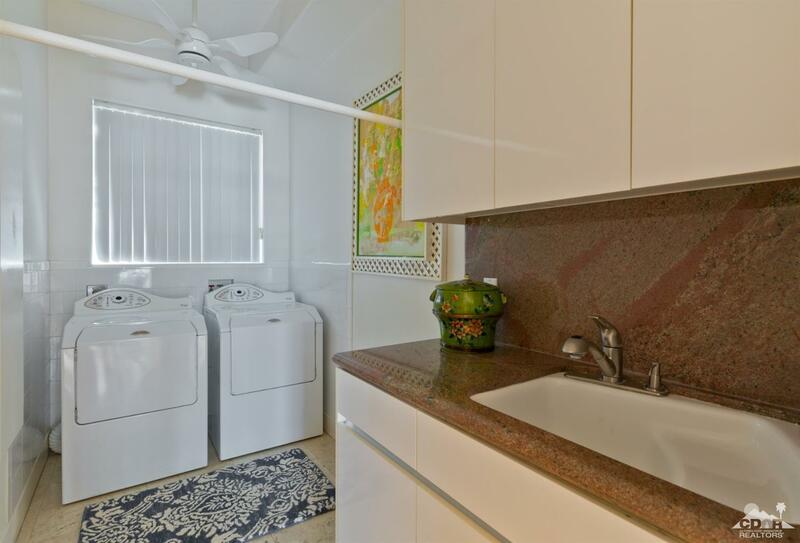 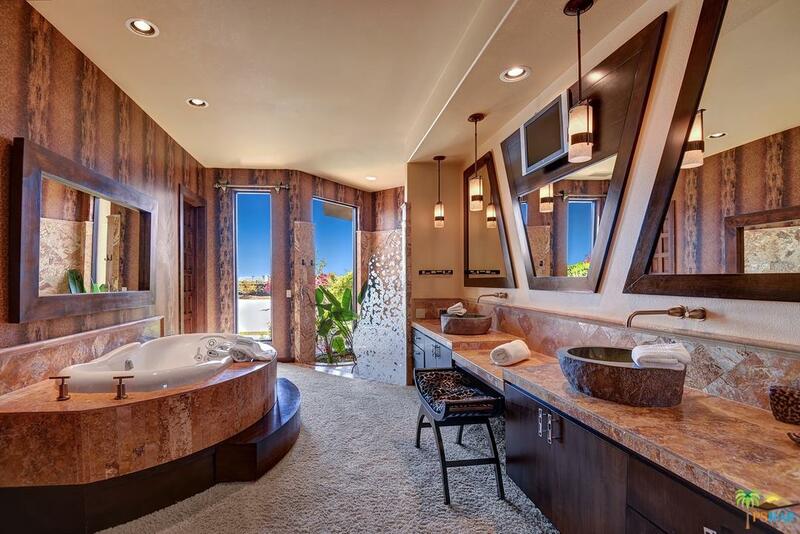 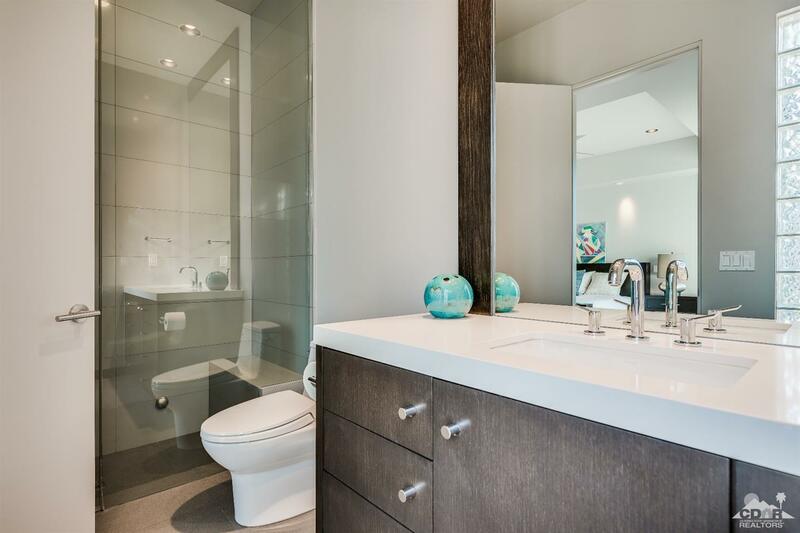 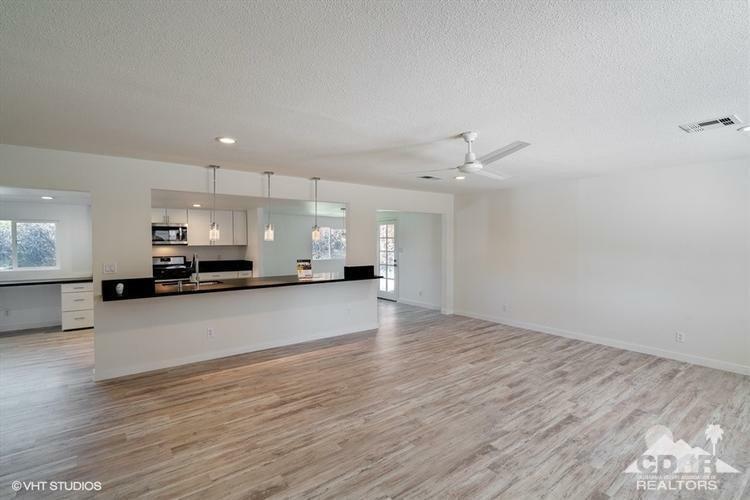 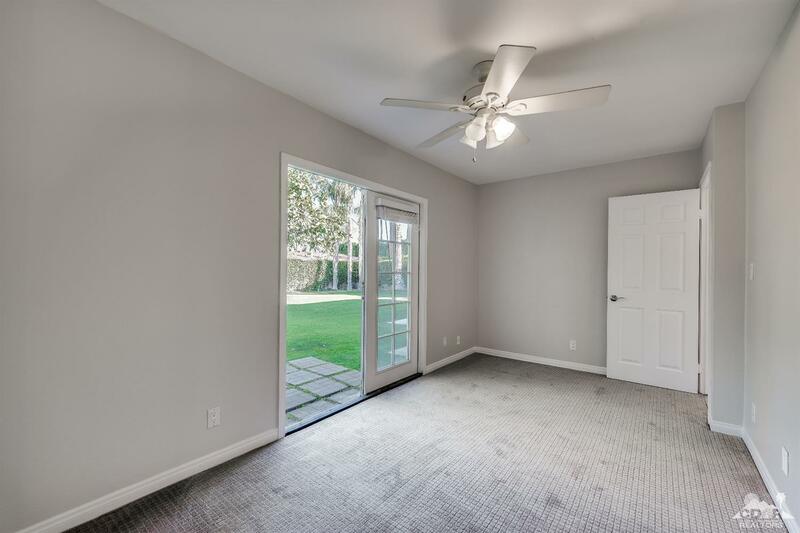 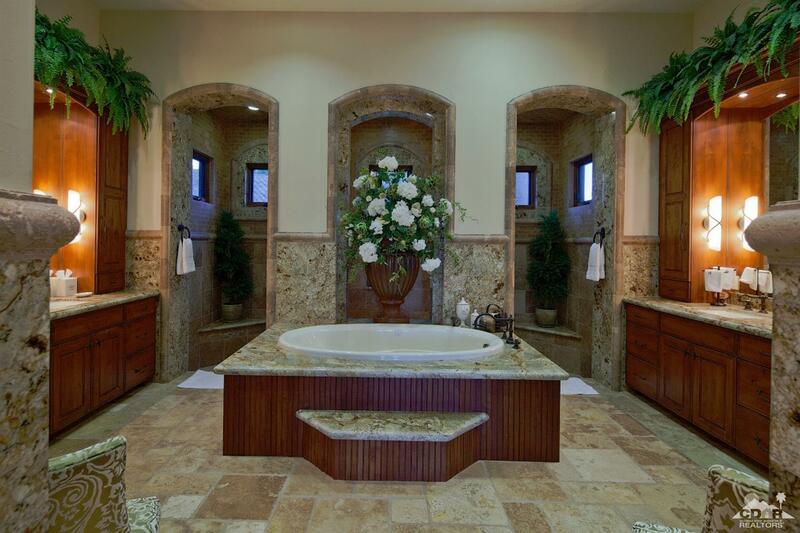 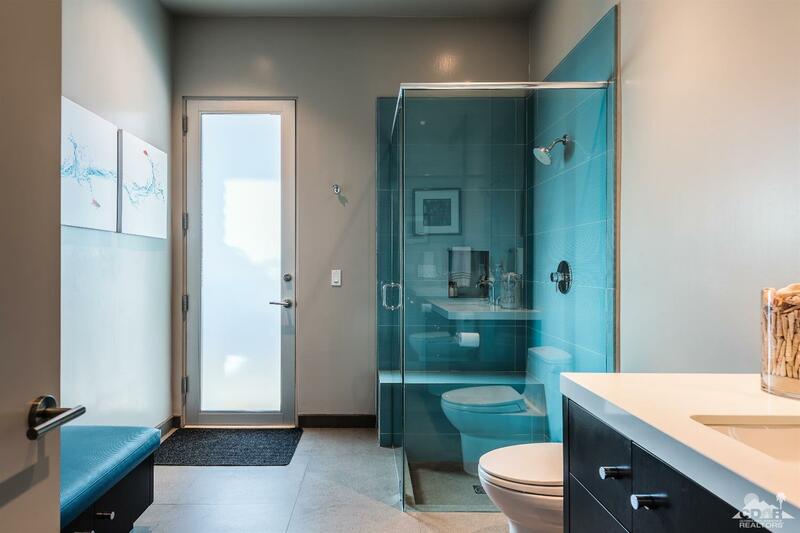 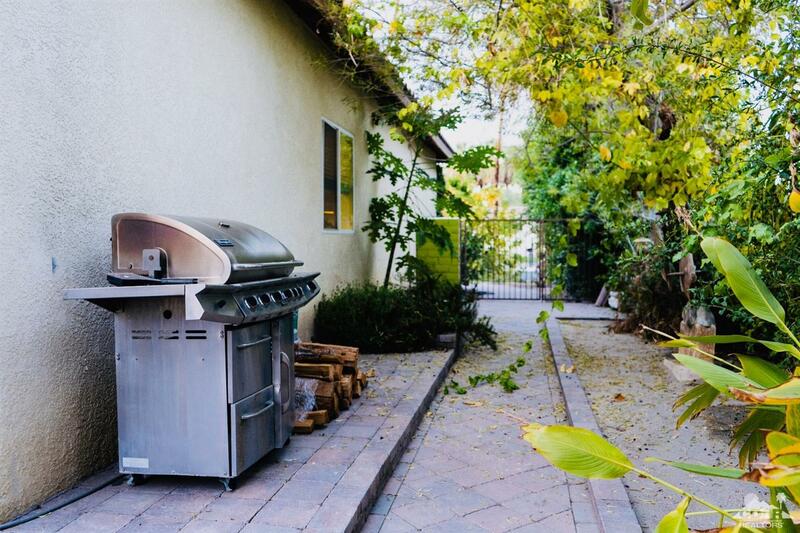 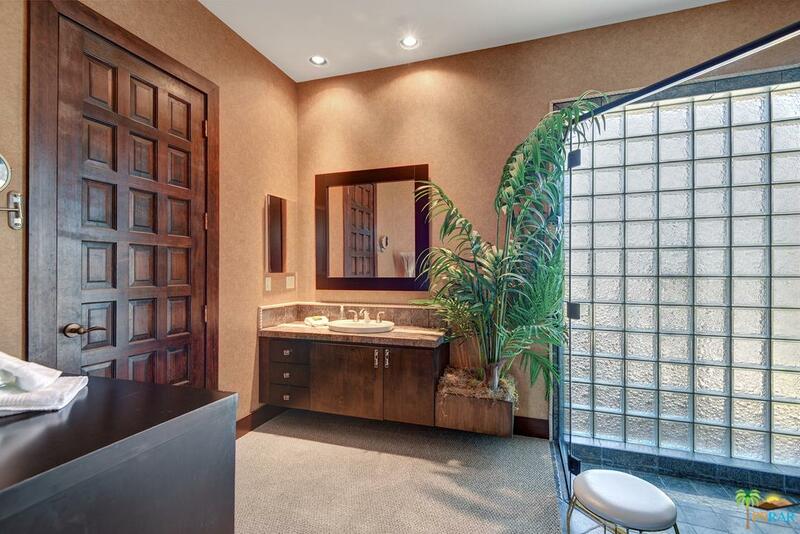 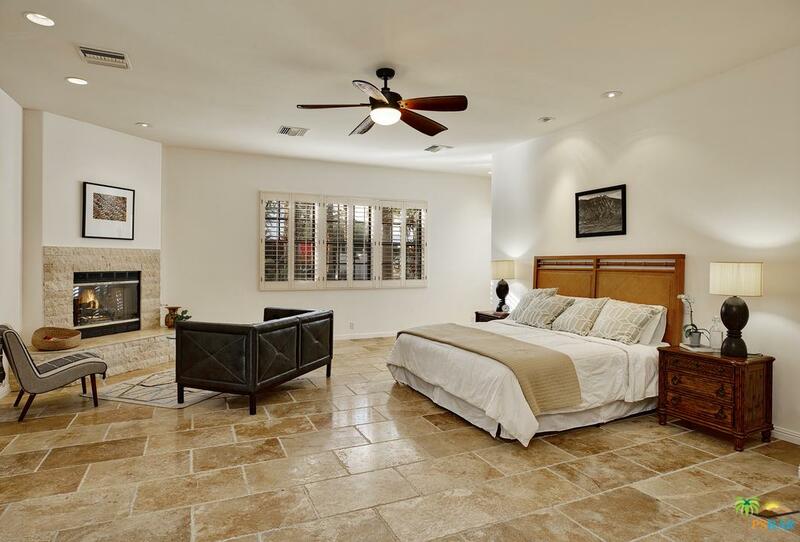 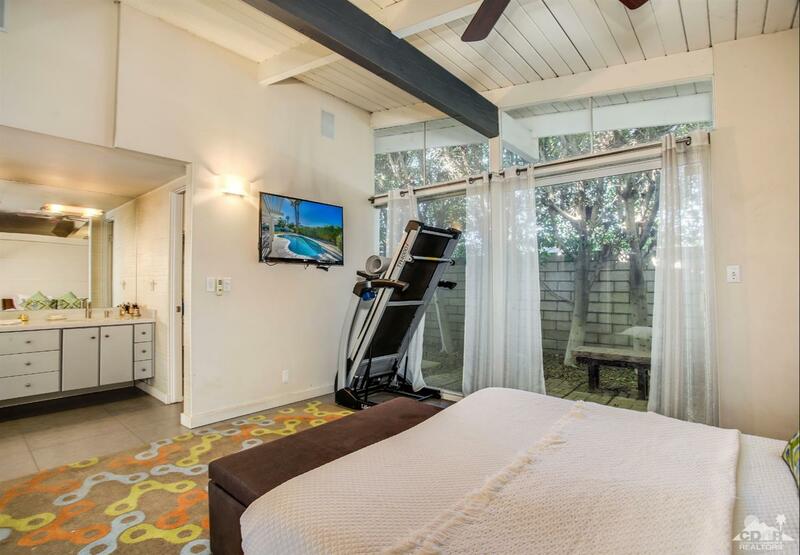 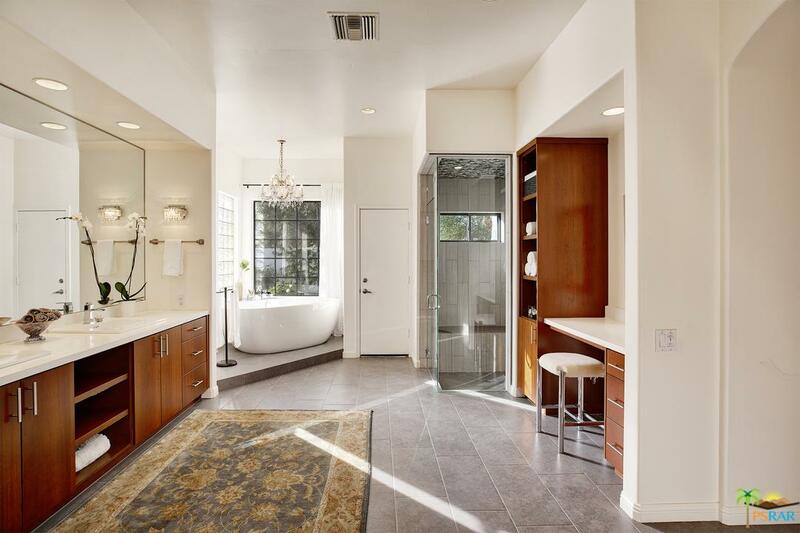 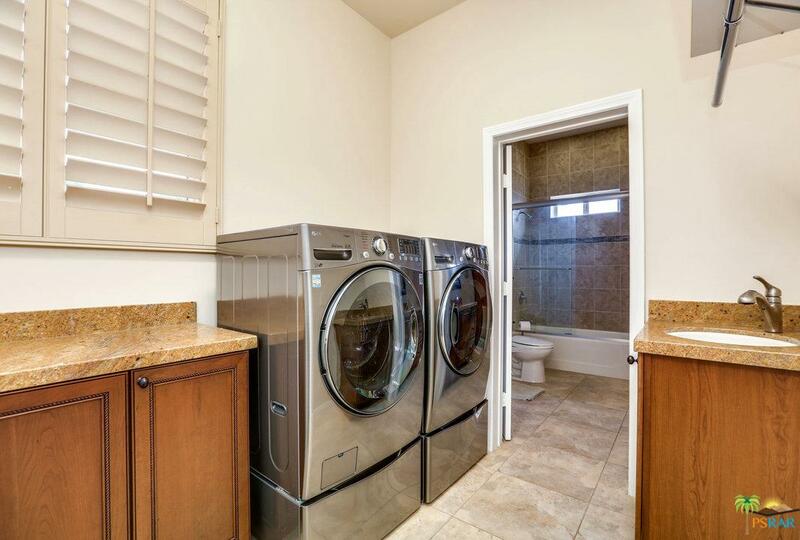 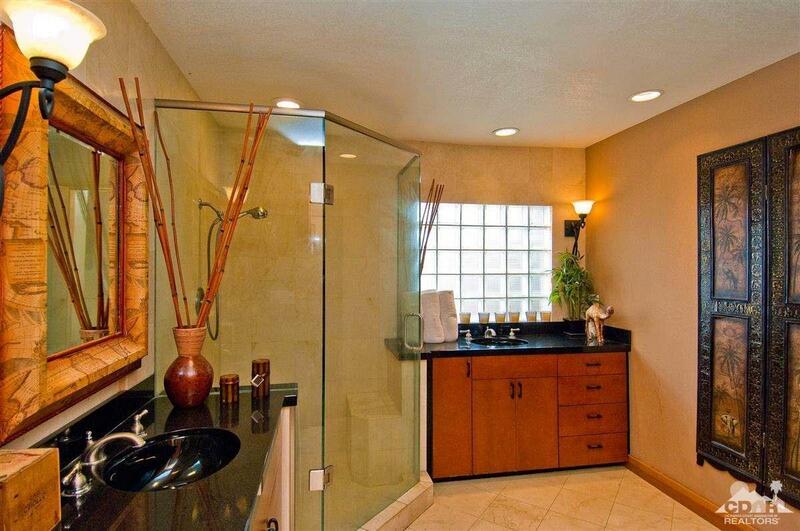 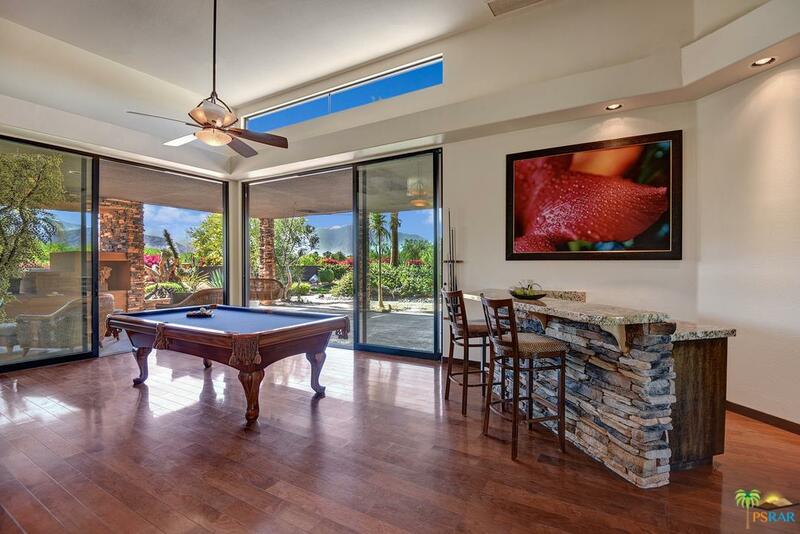 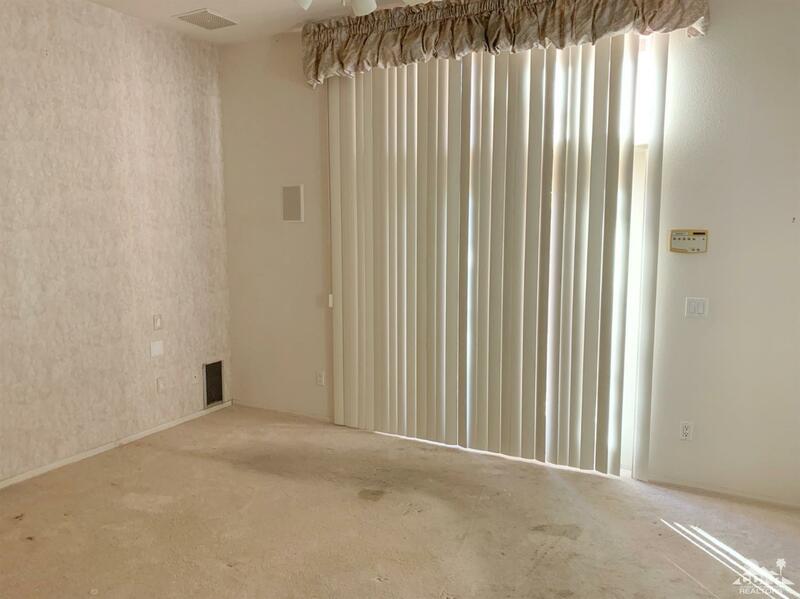 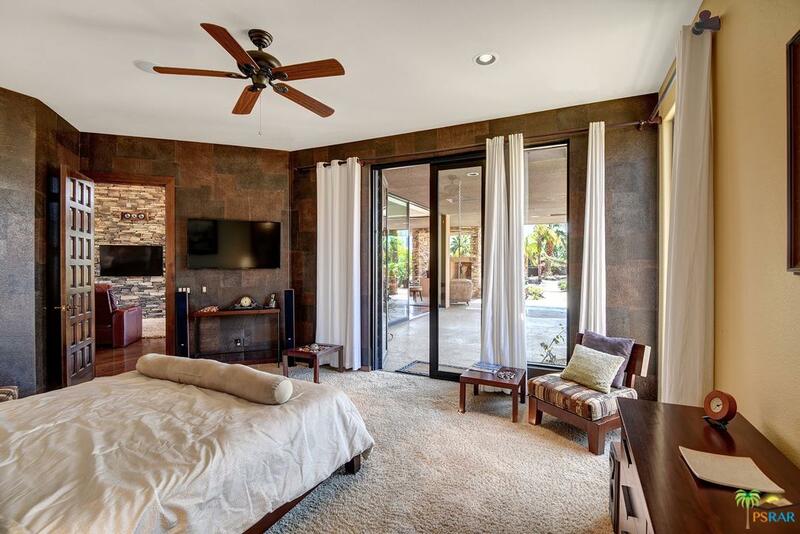 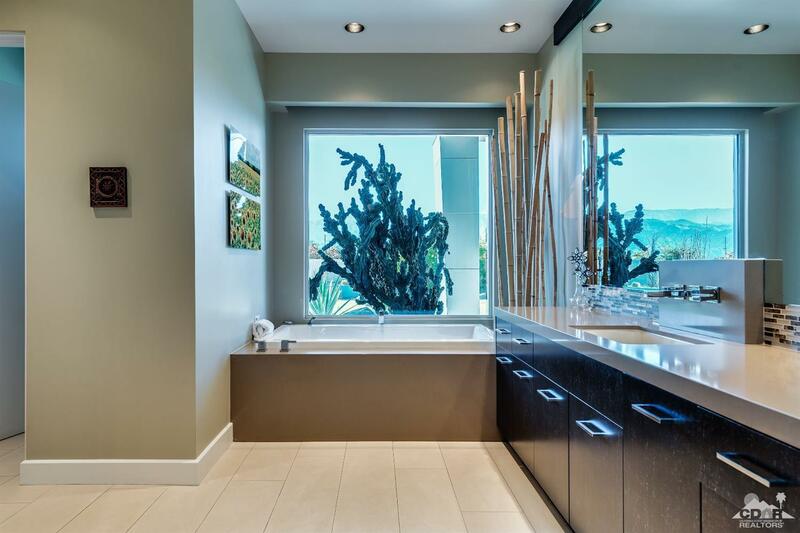 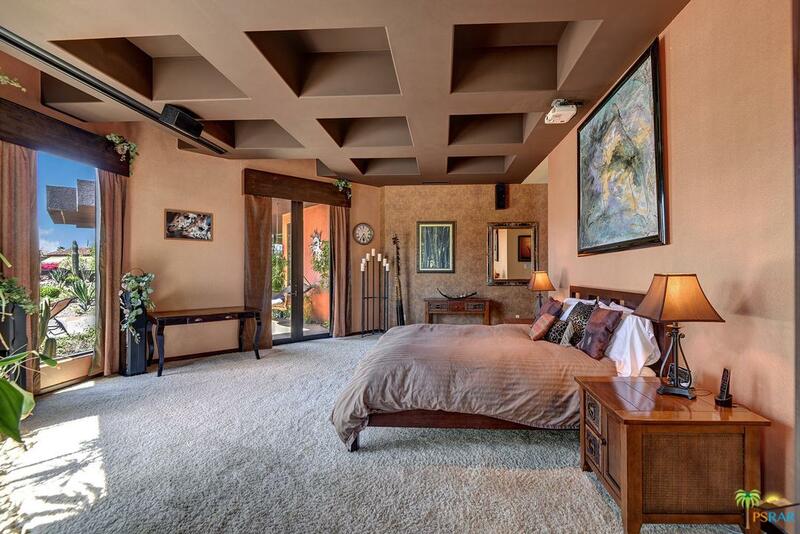 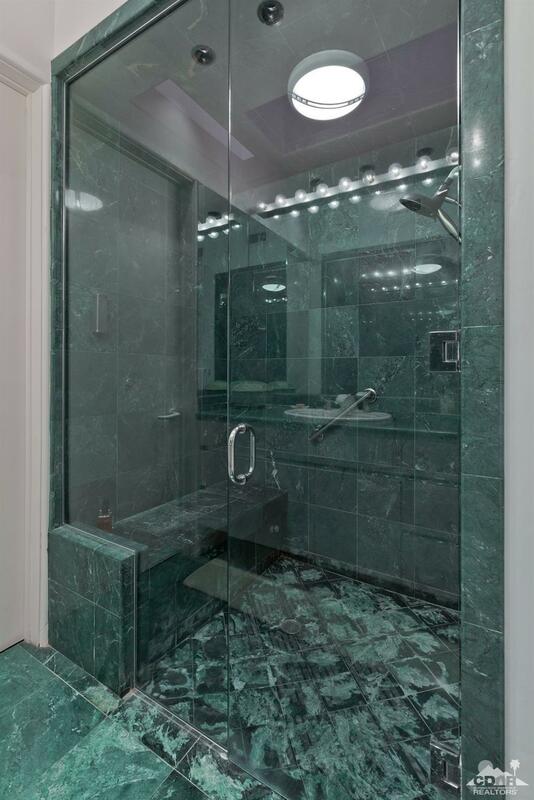 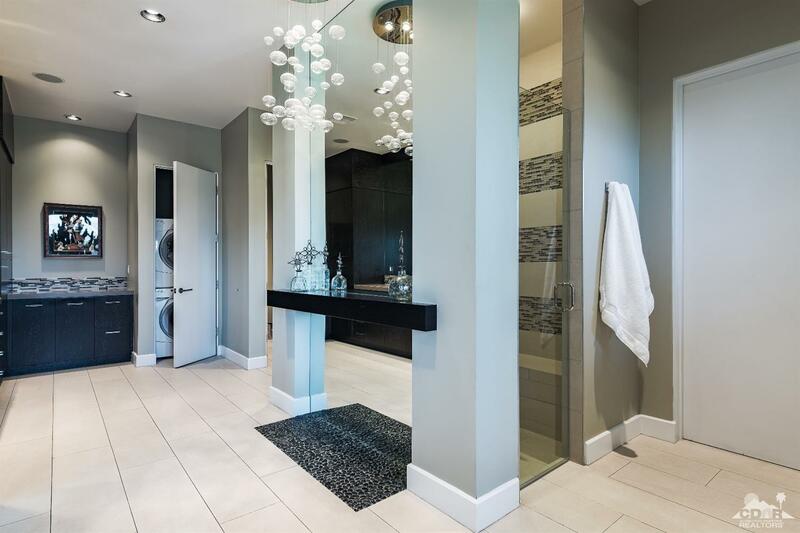 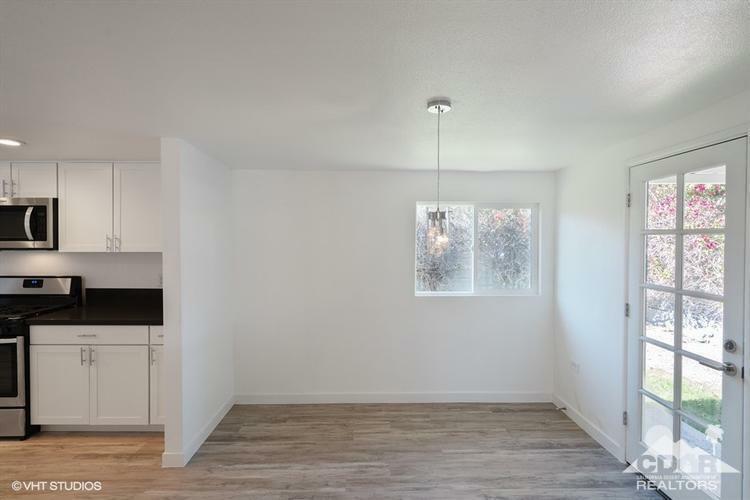 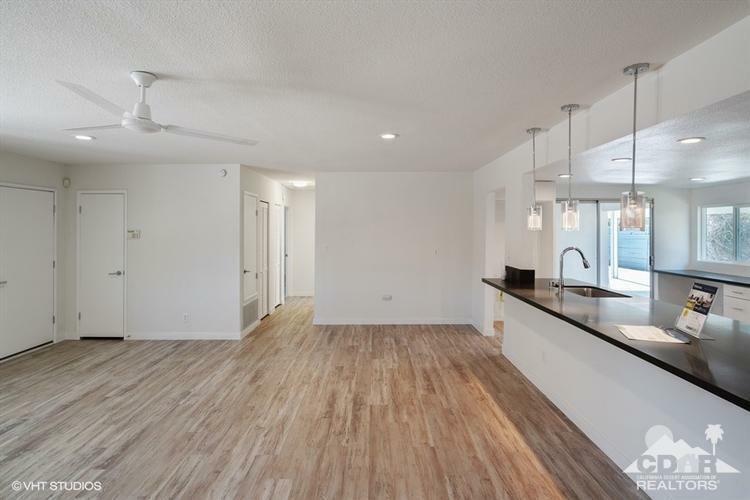 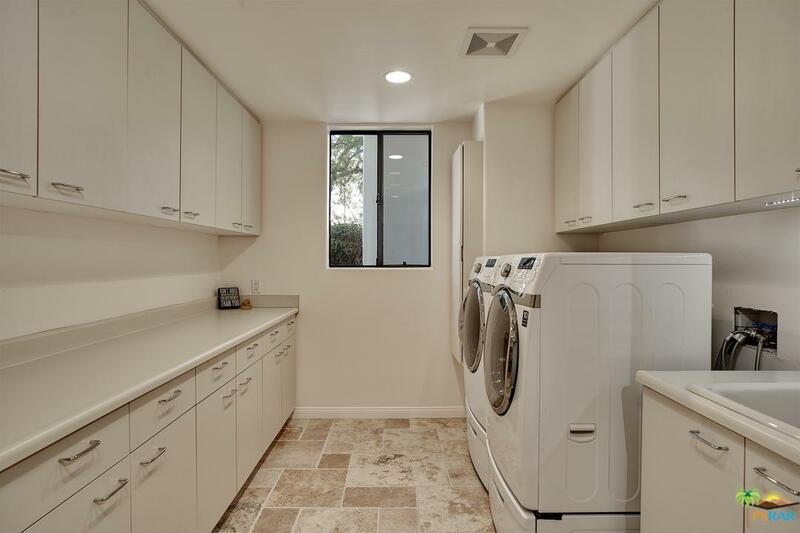 Porcelain tile is featured throughout and all rooms have access to the outdoors. 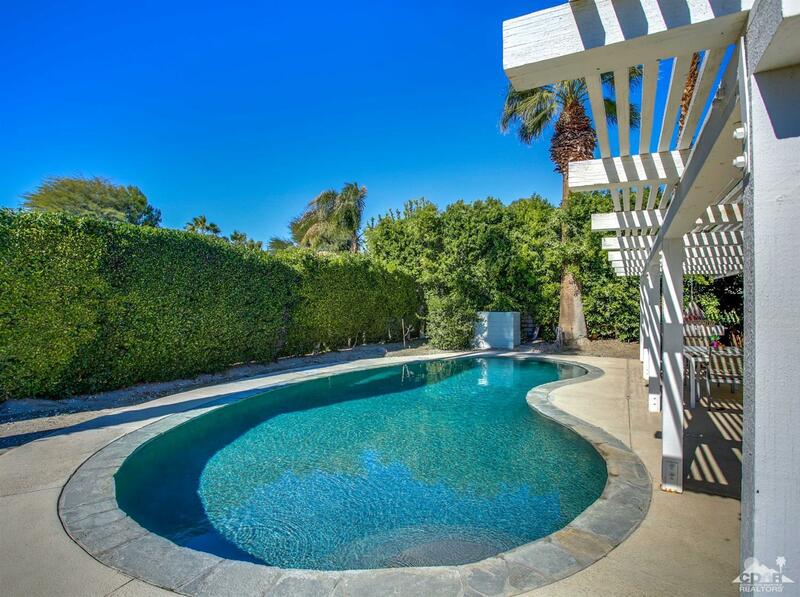 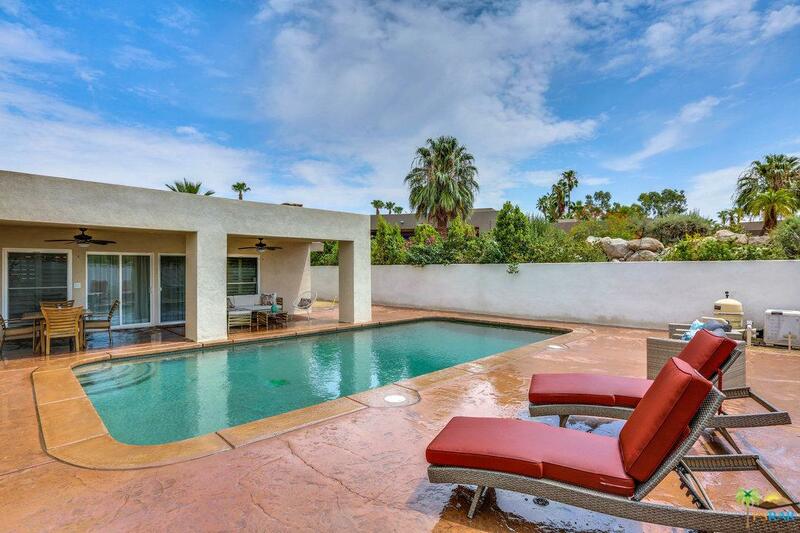 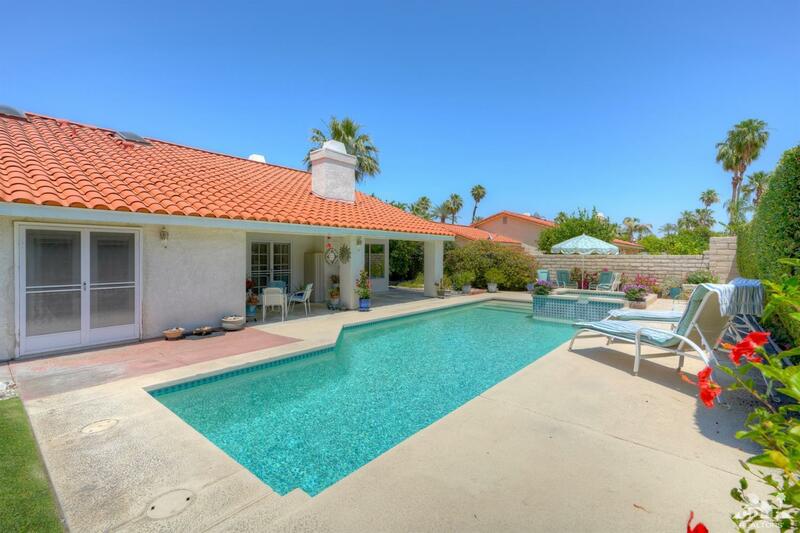 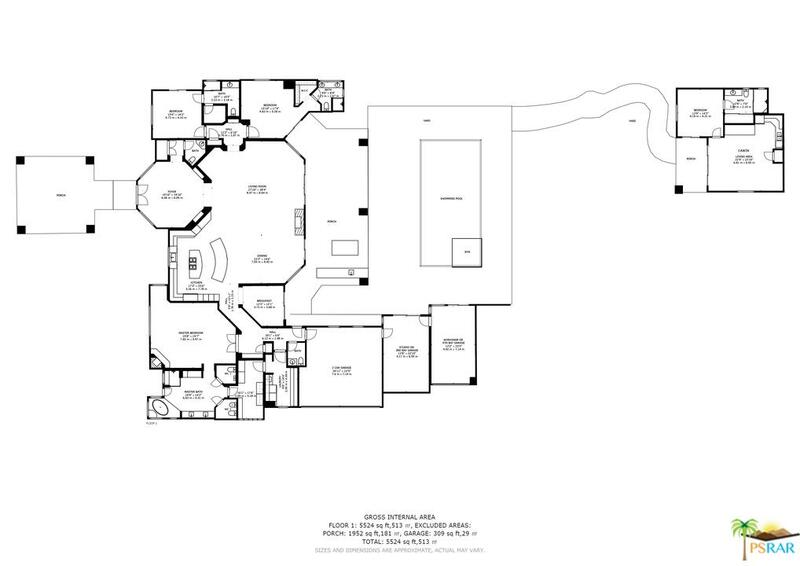 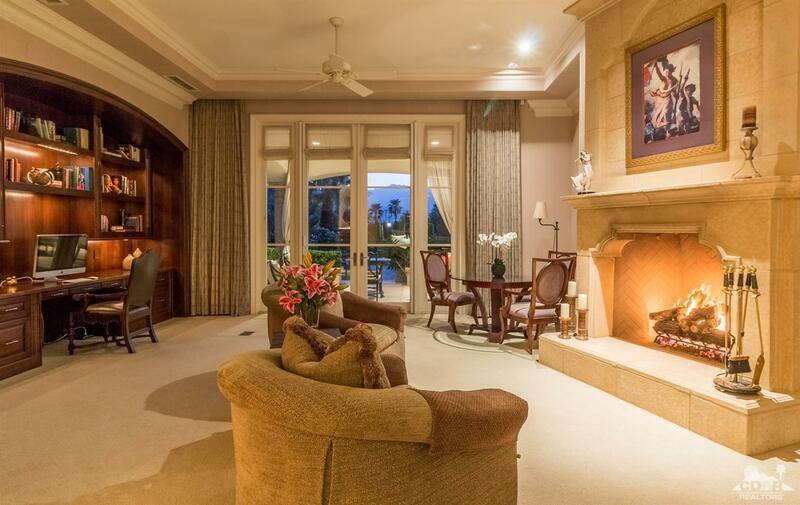 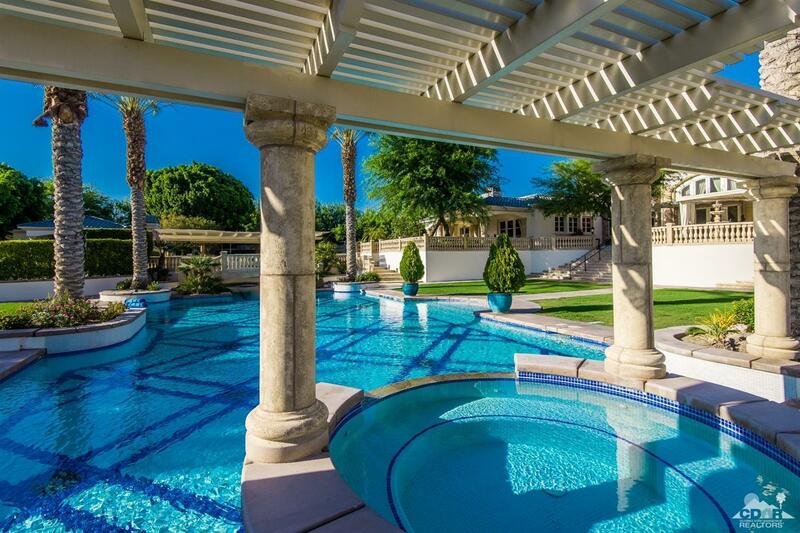 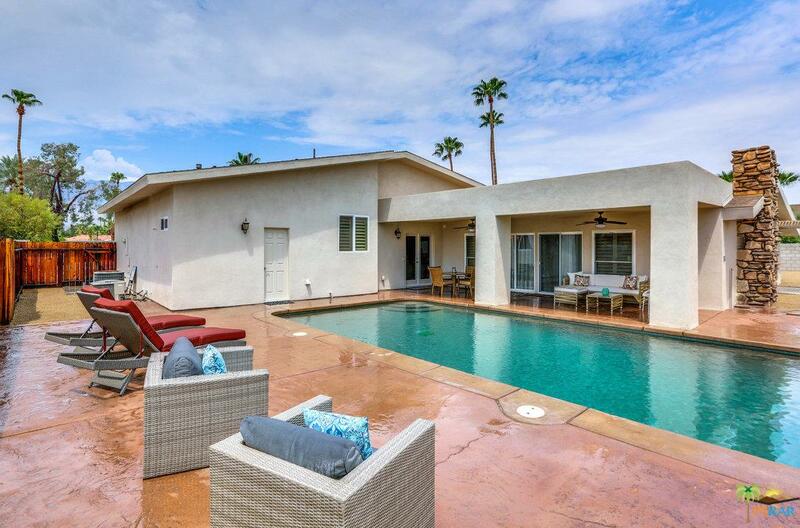 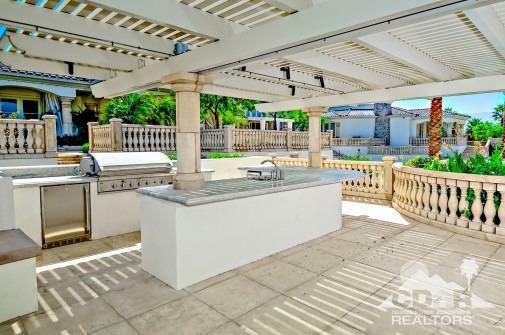 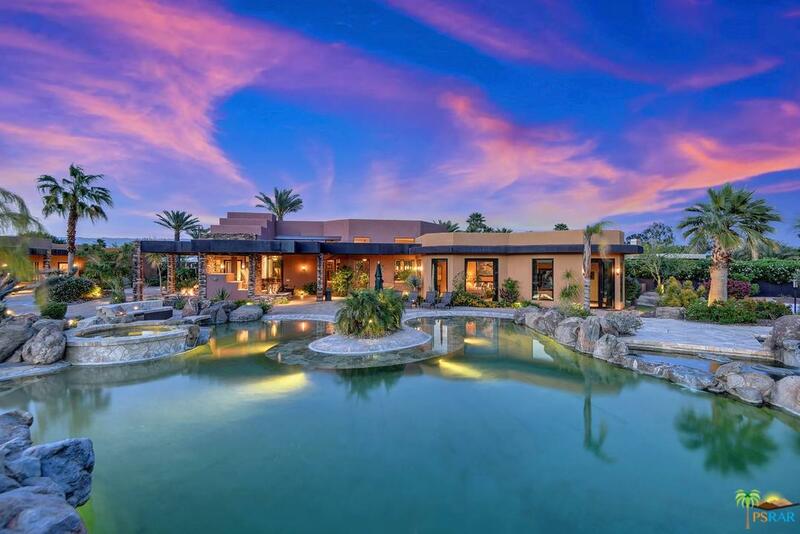 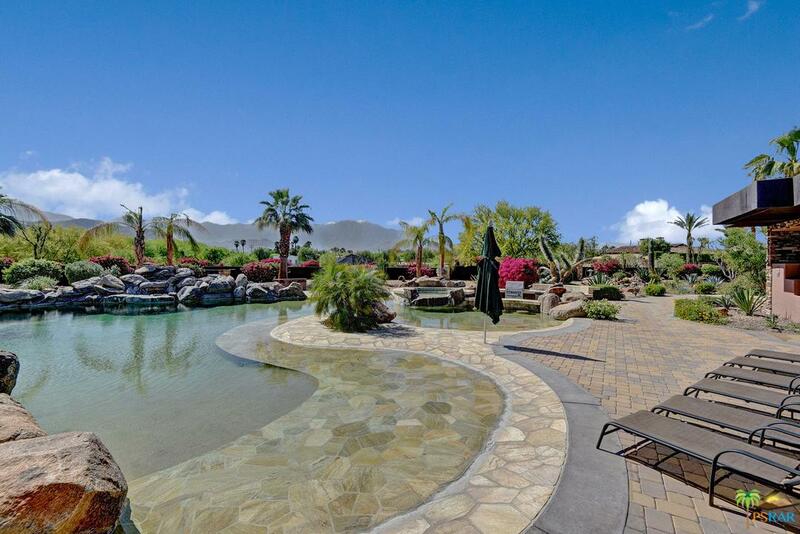 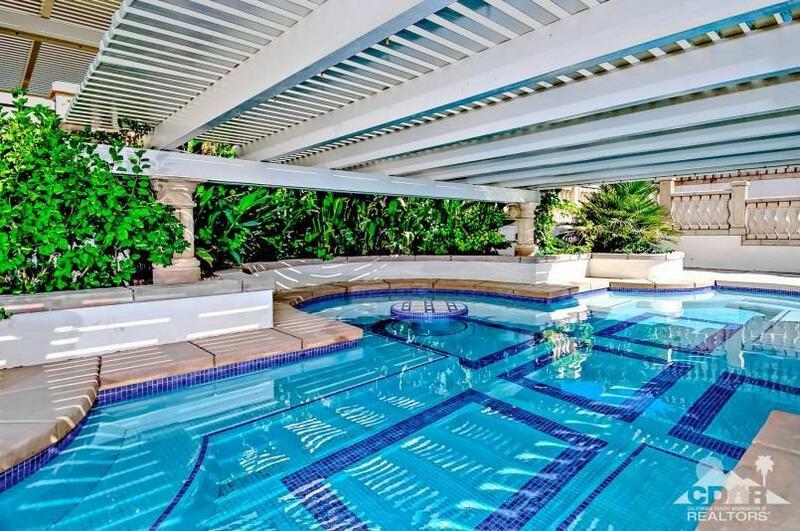 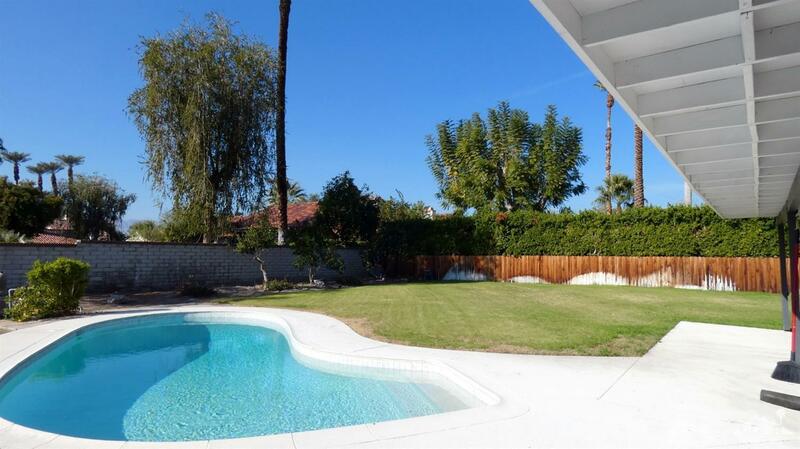 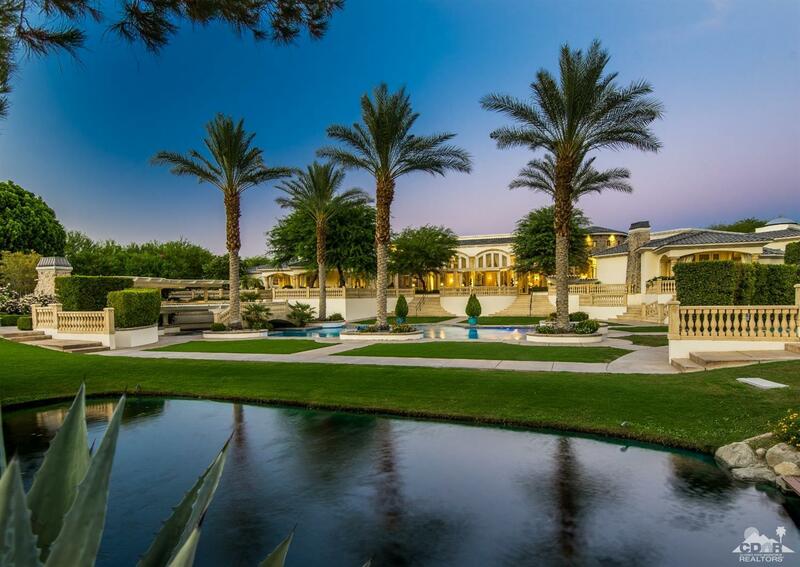 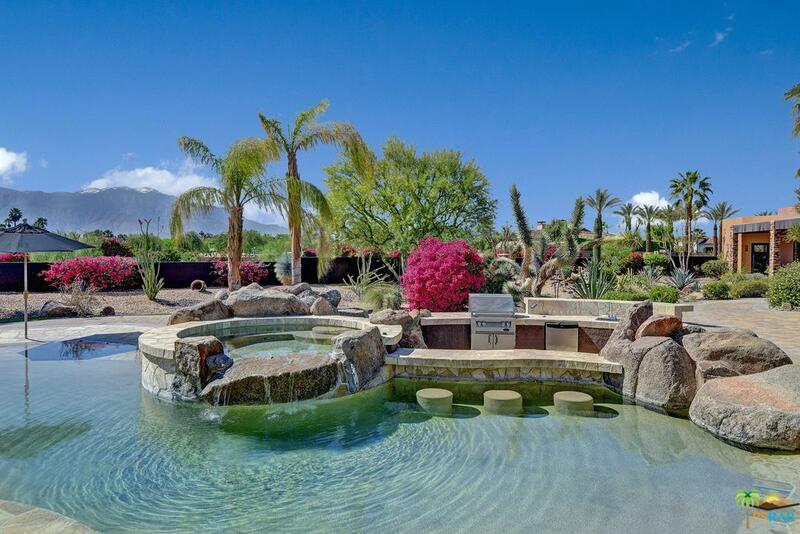 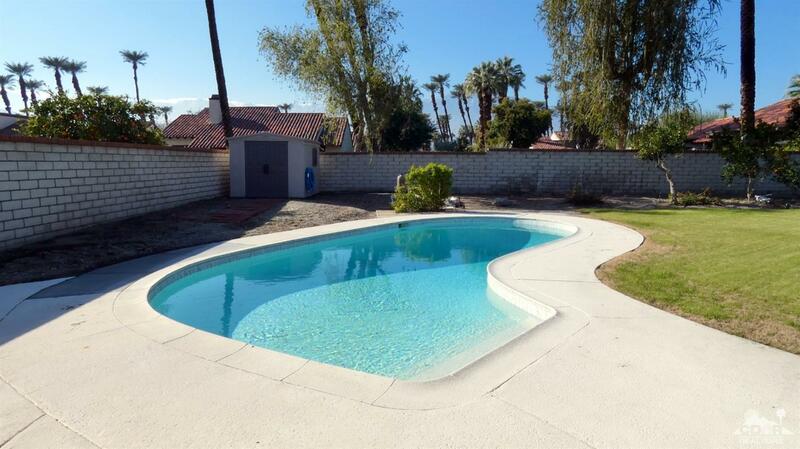 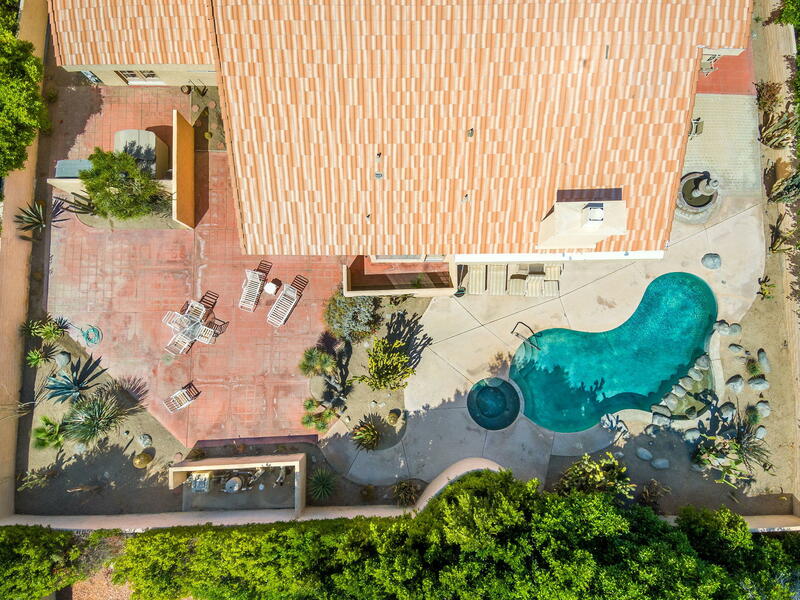 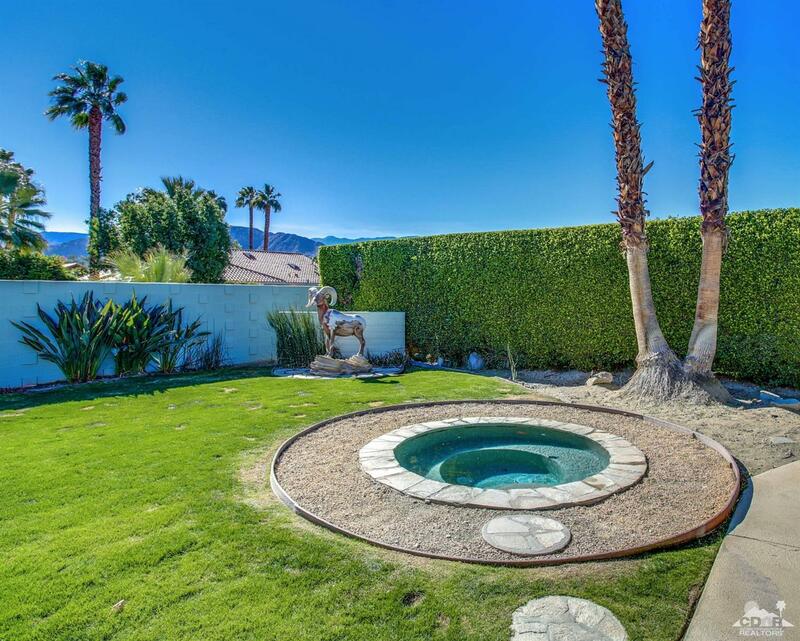 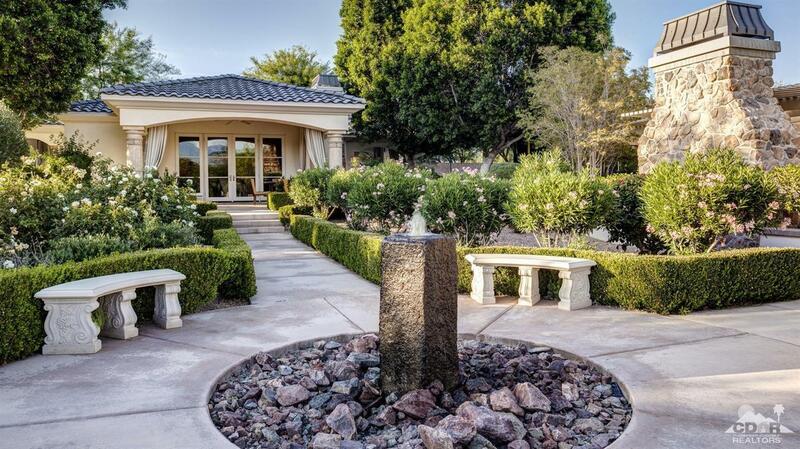 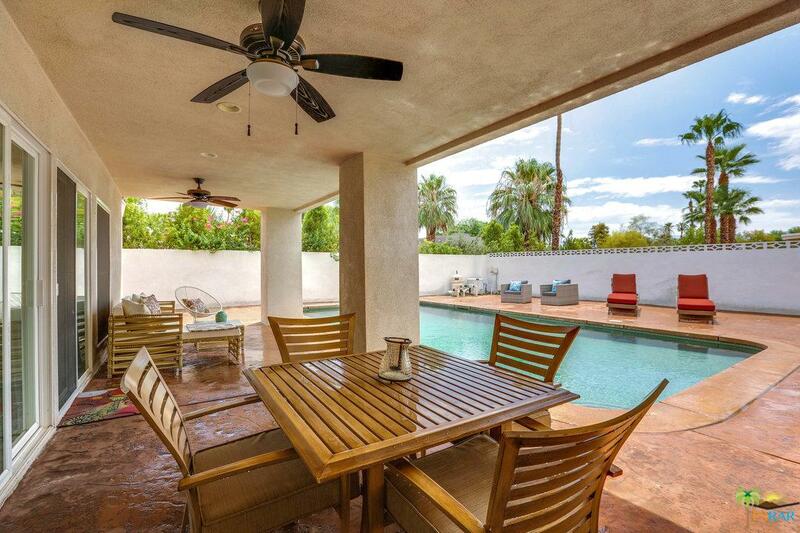 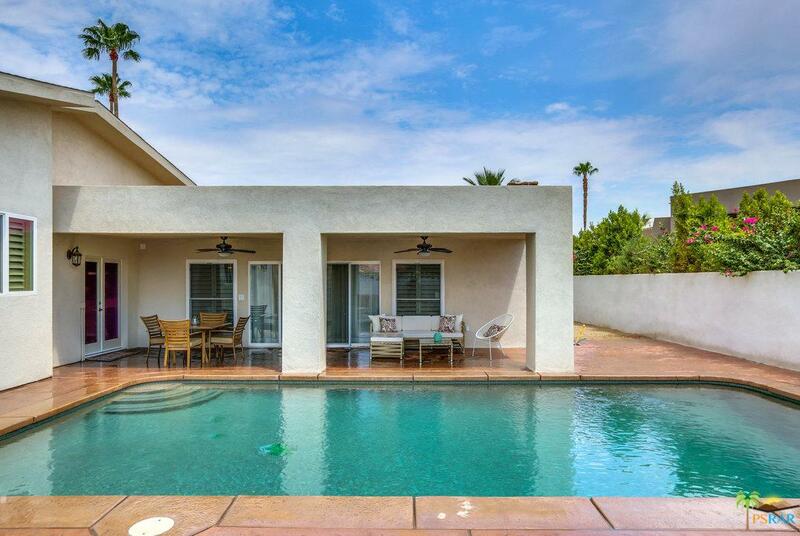 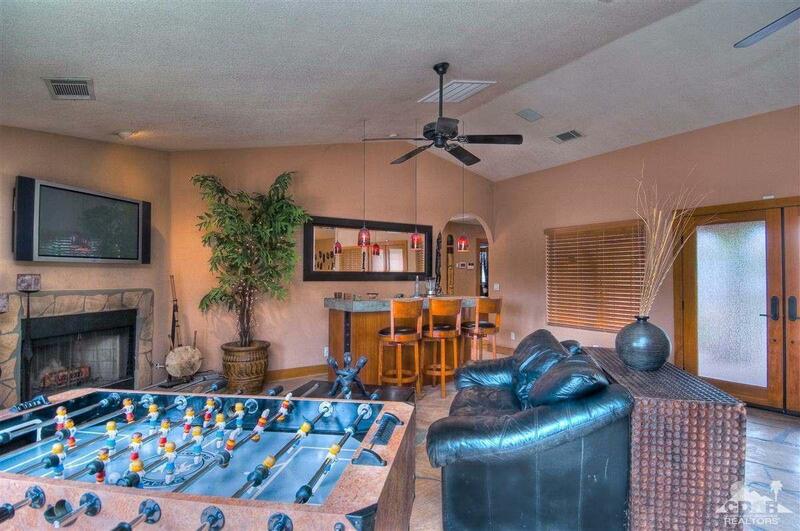 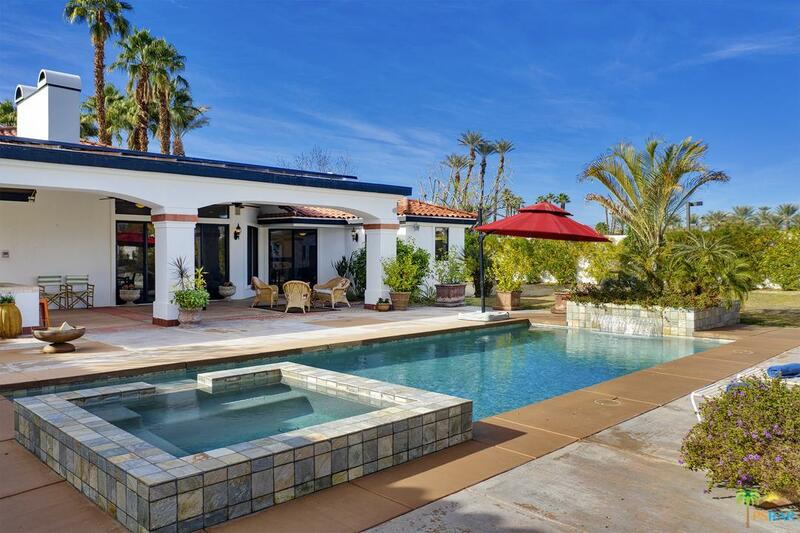 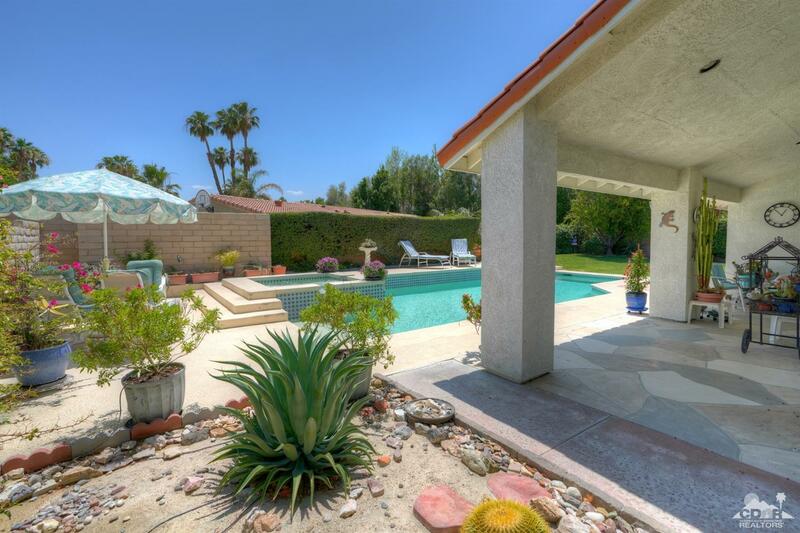 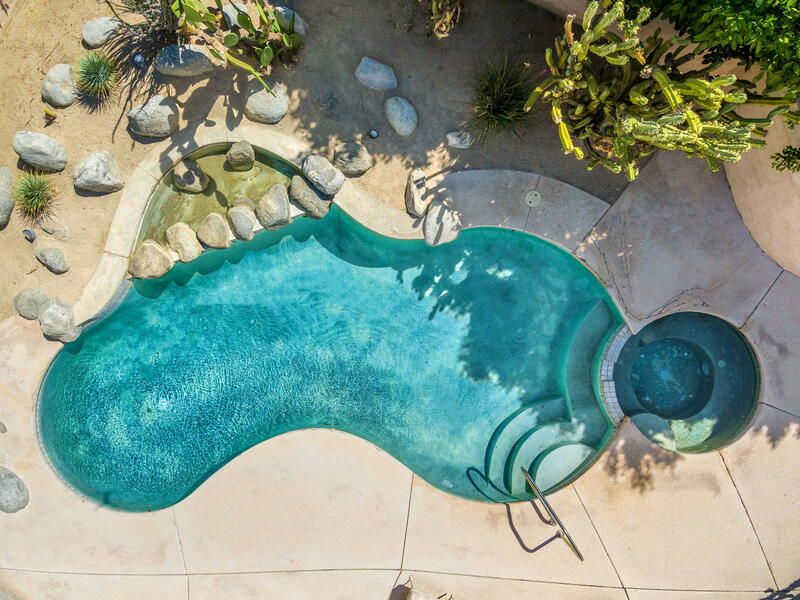 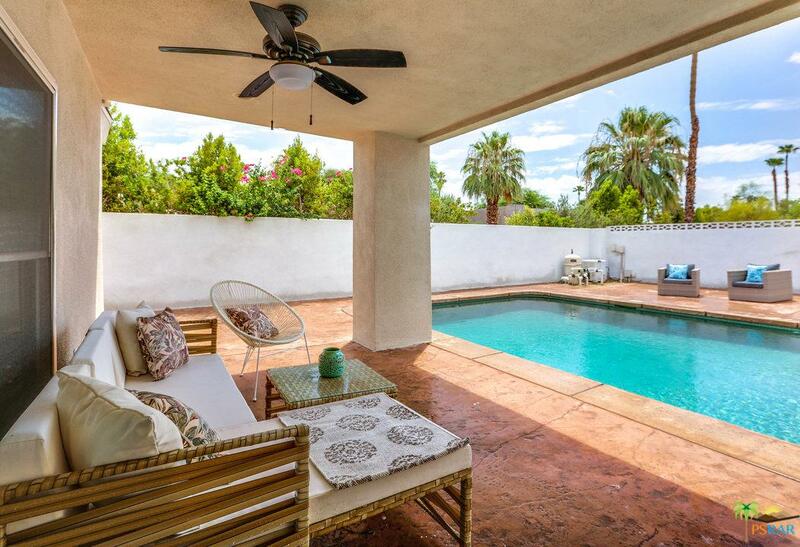 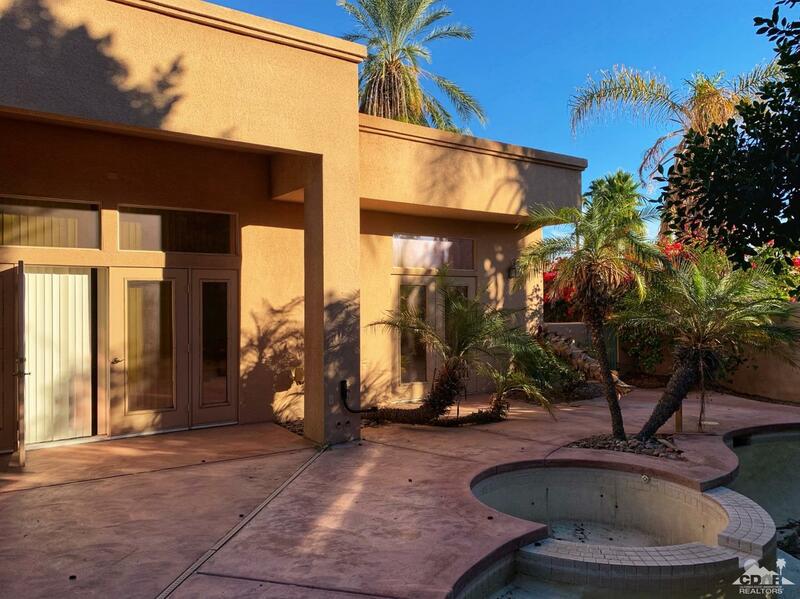 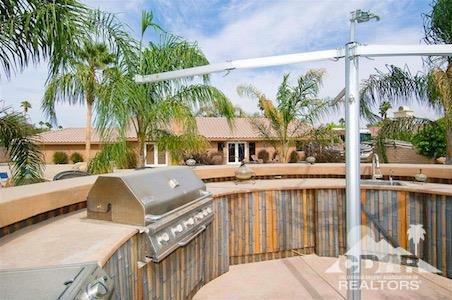 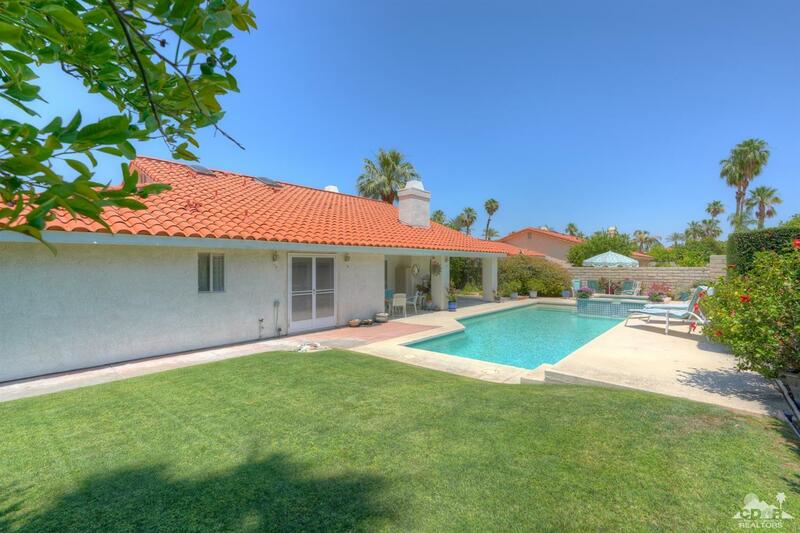 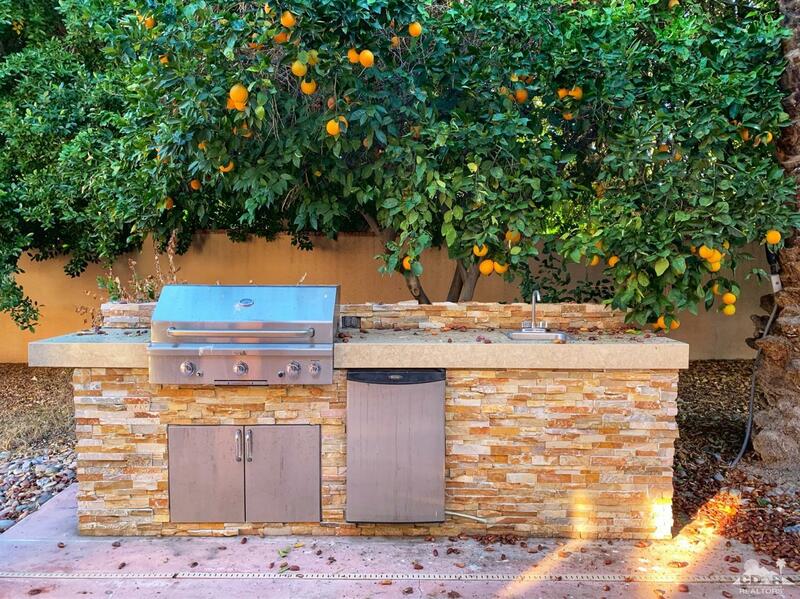 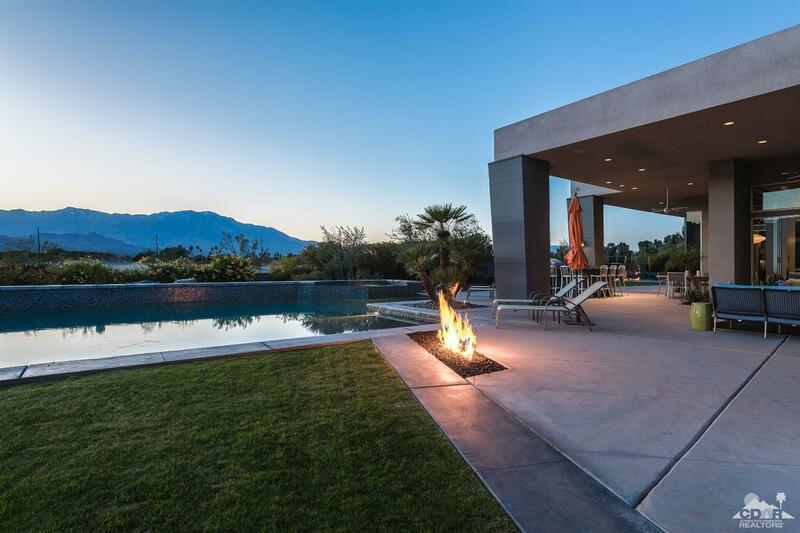 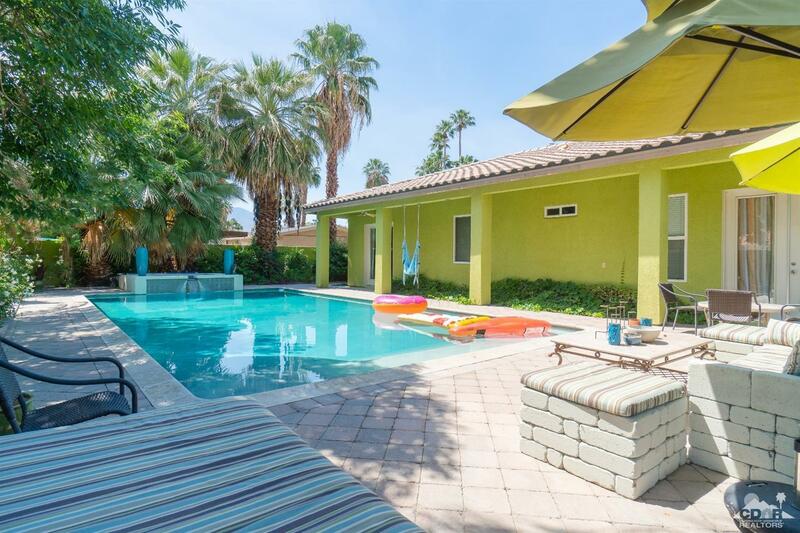 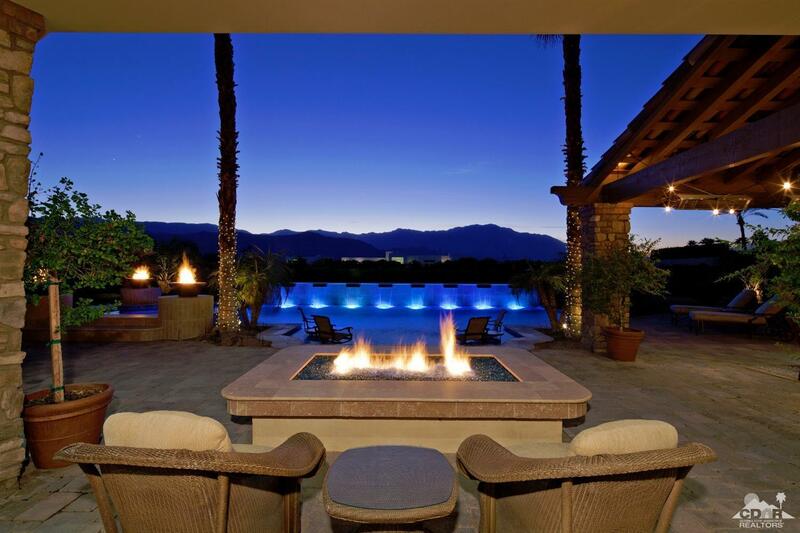 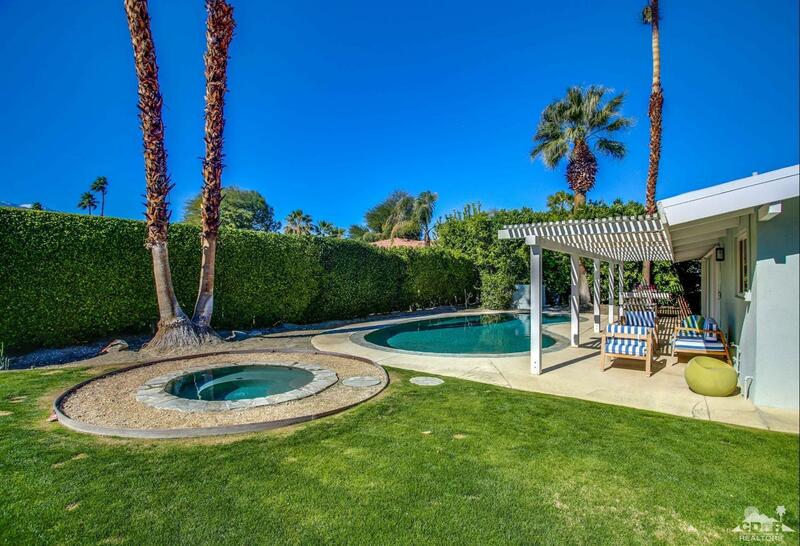 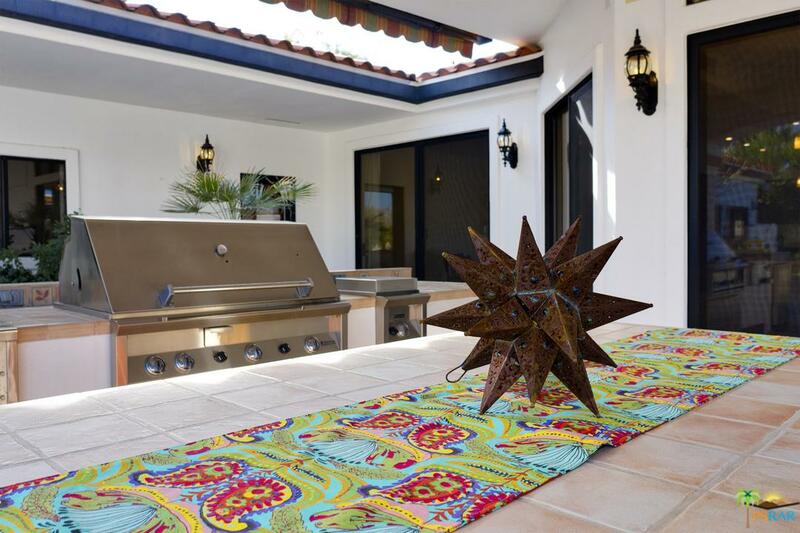 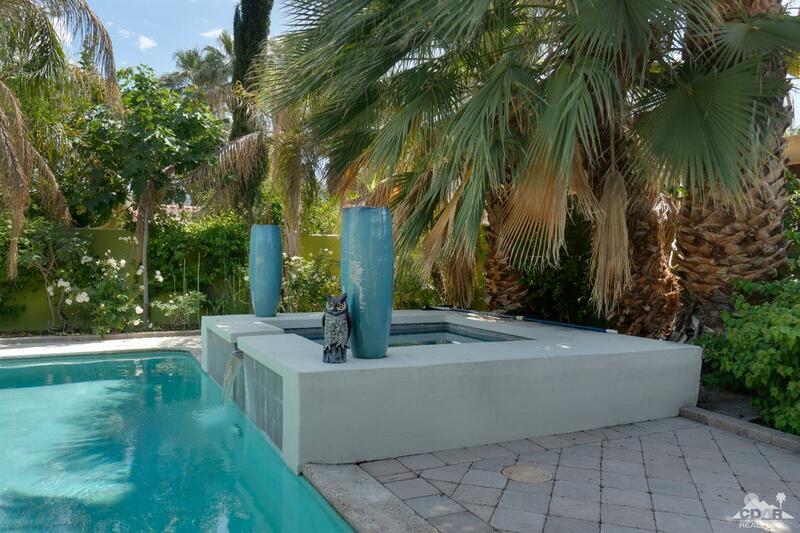 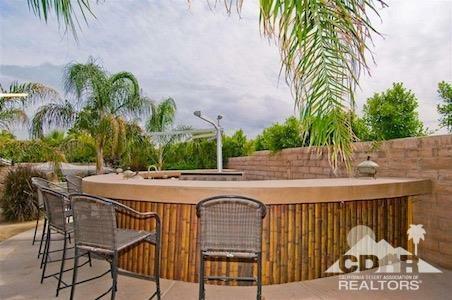 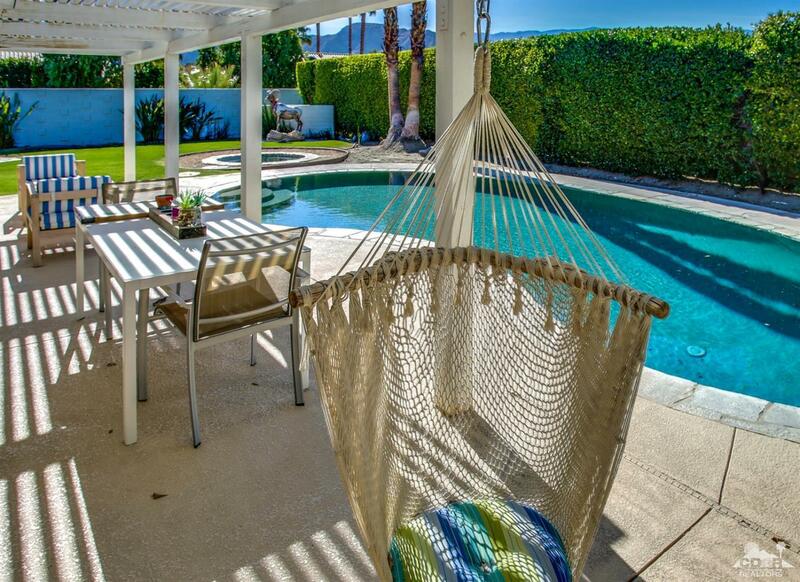 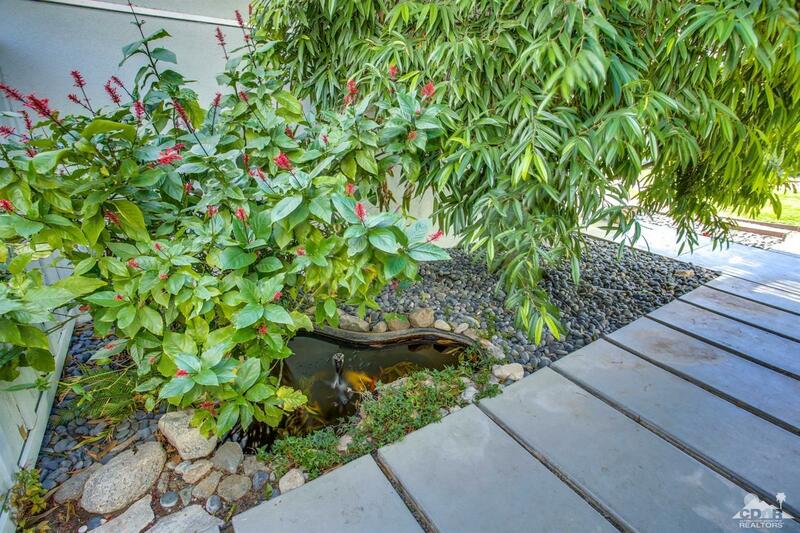 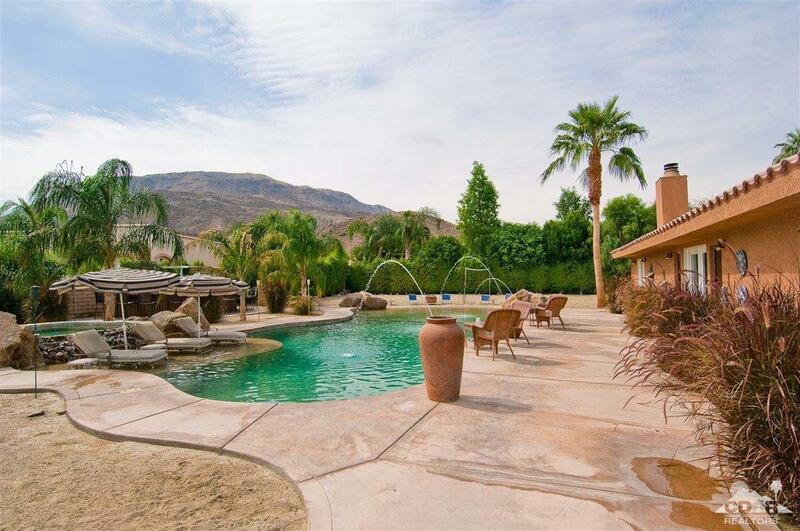 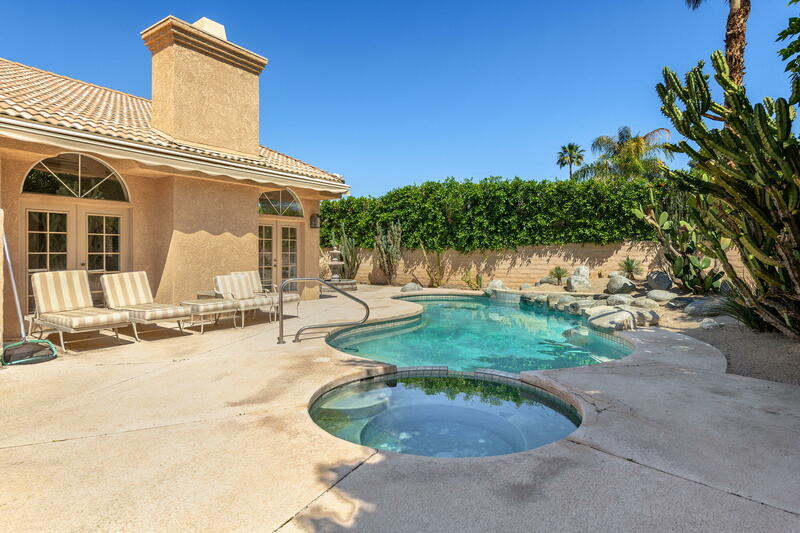 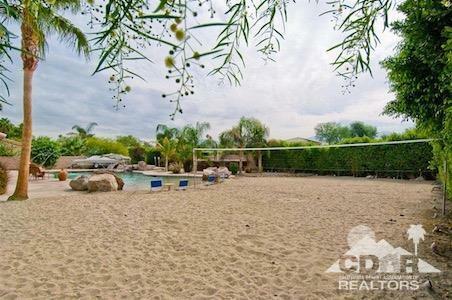 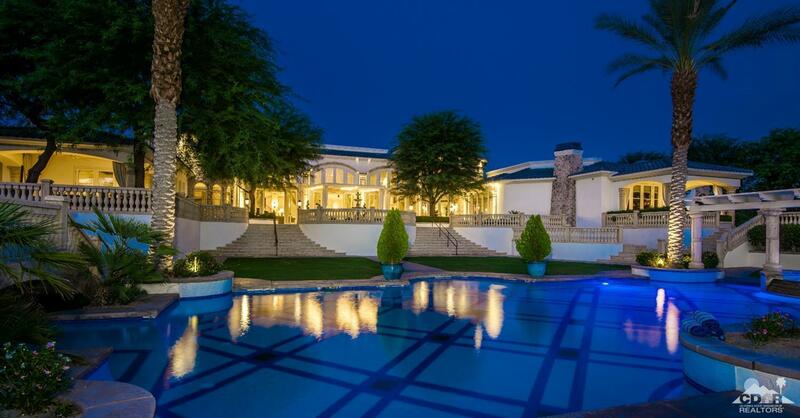 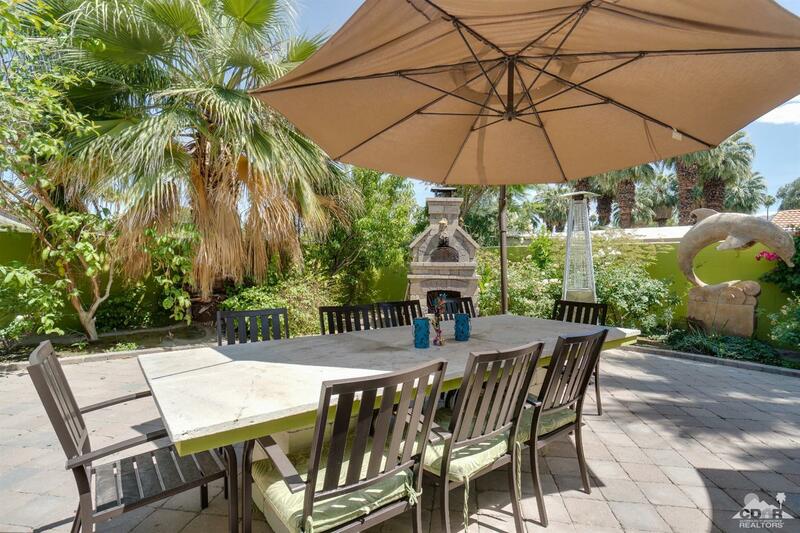 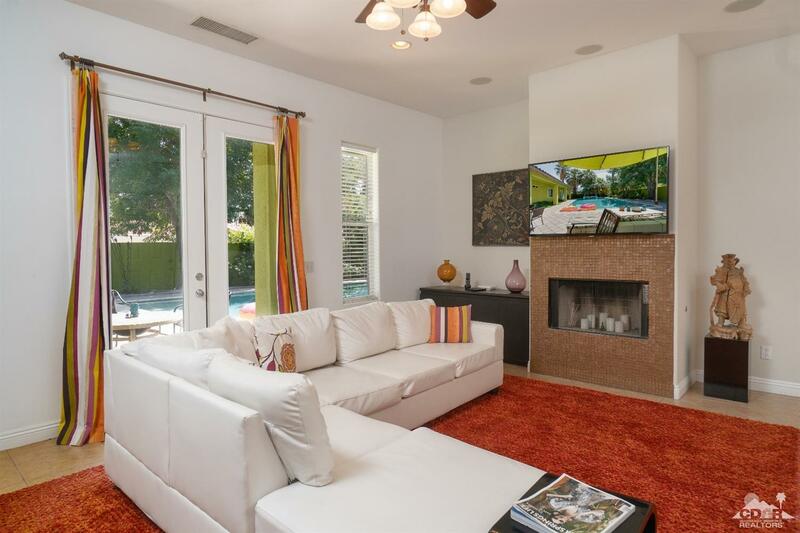 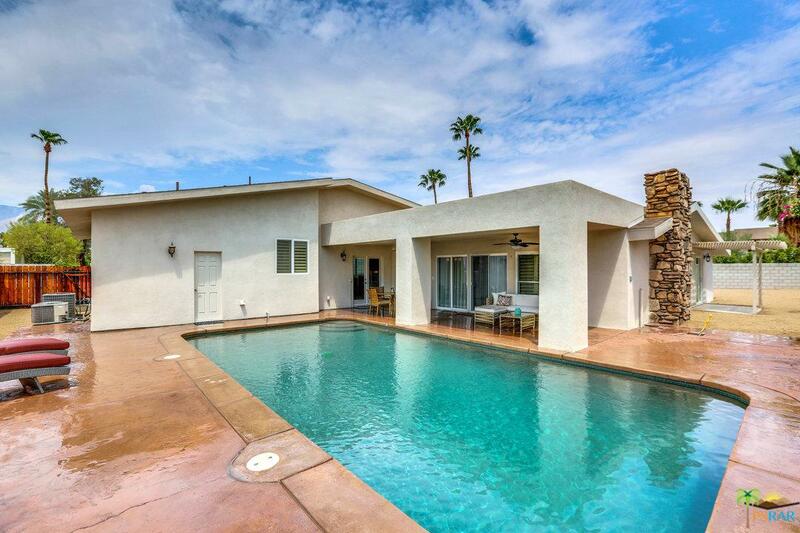 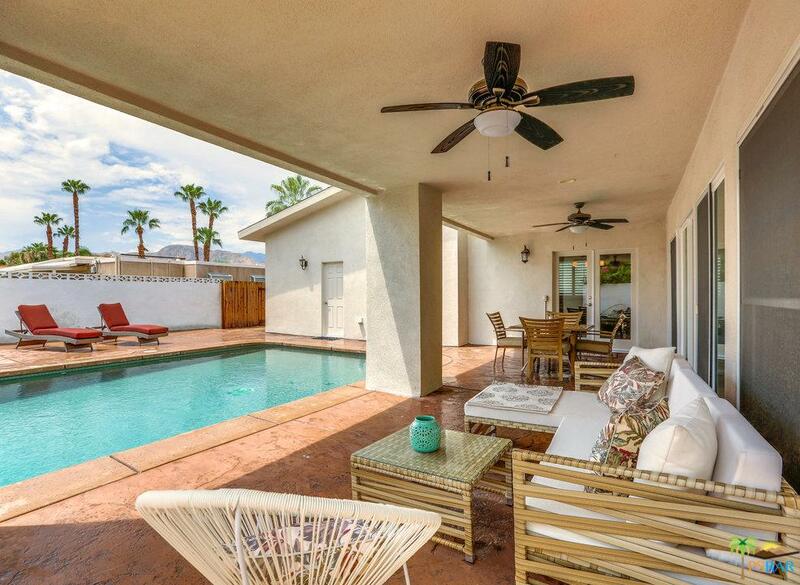 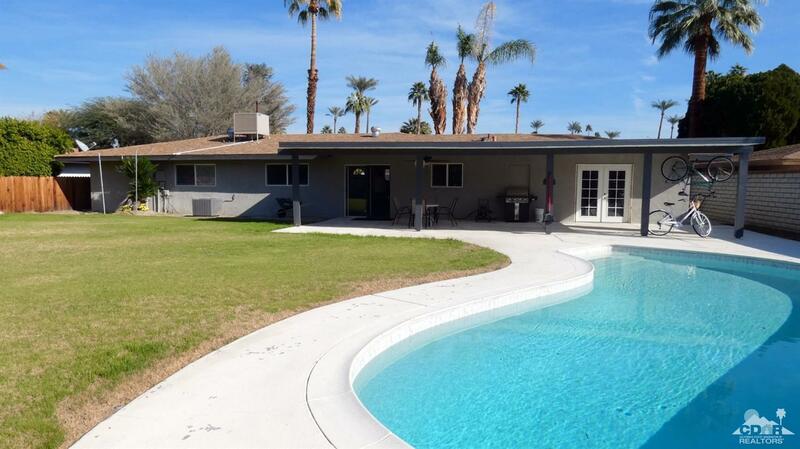 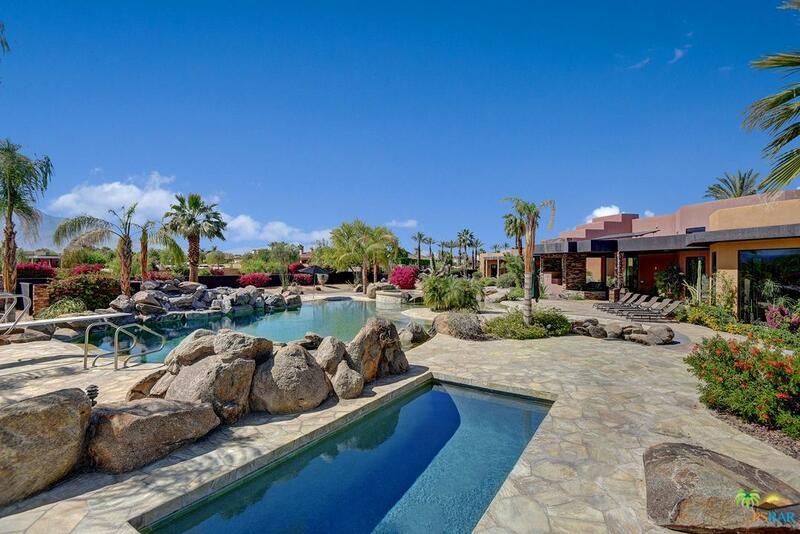 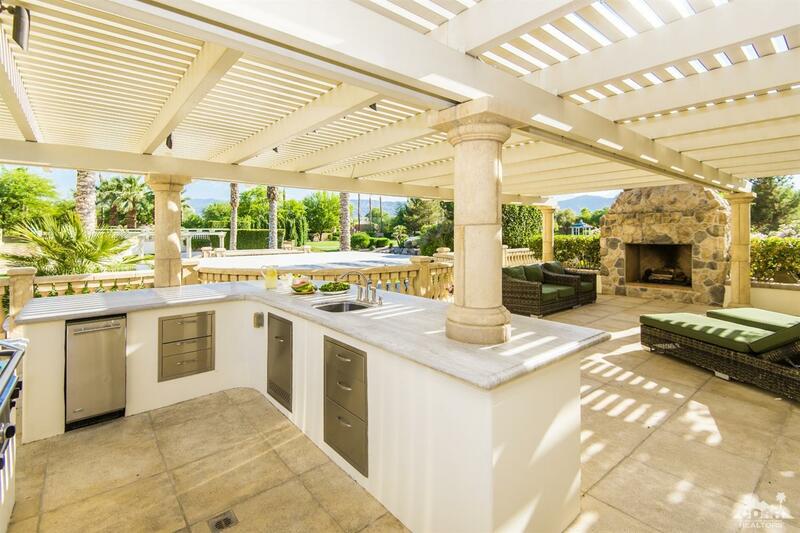 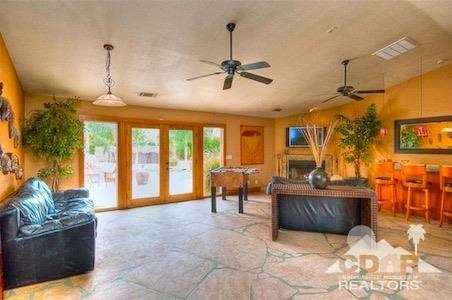 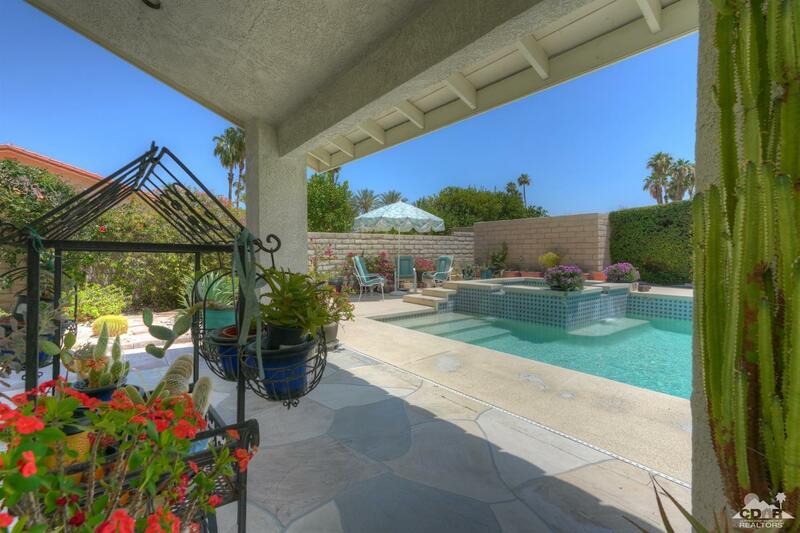 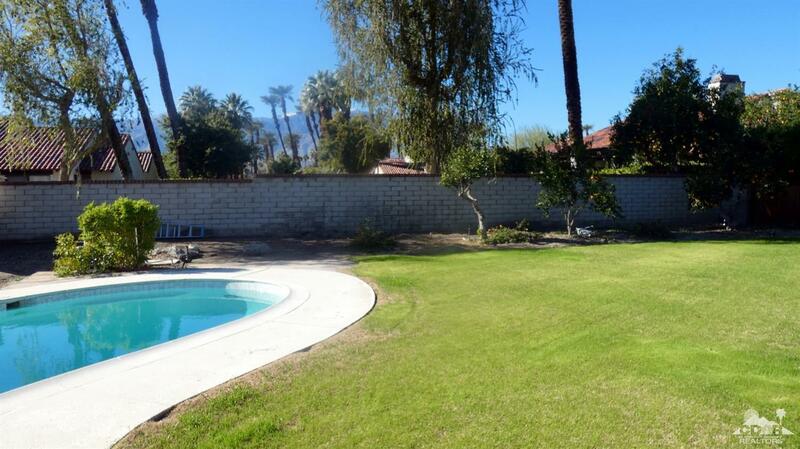 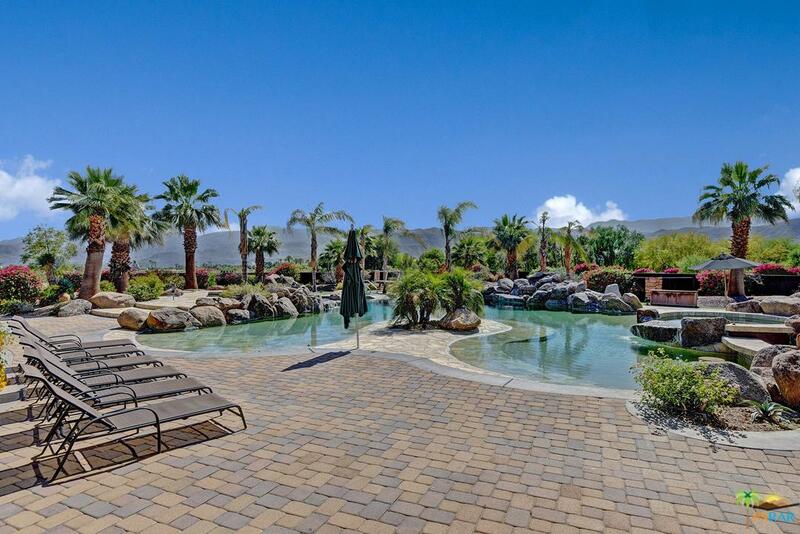 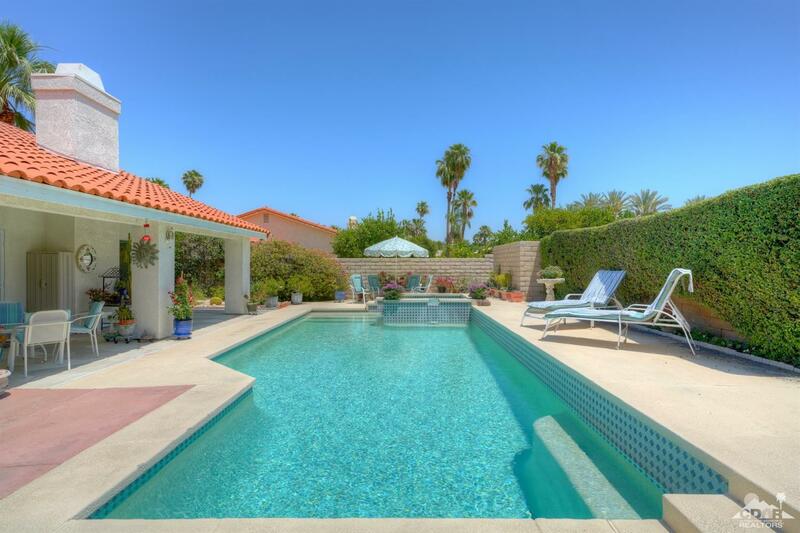 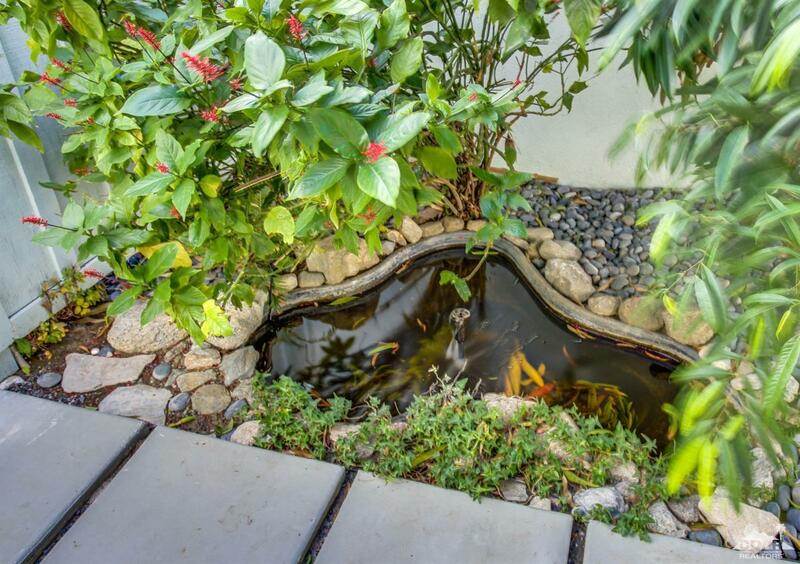 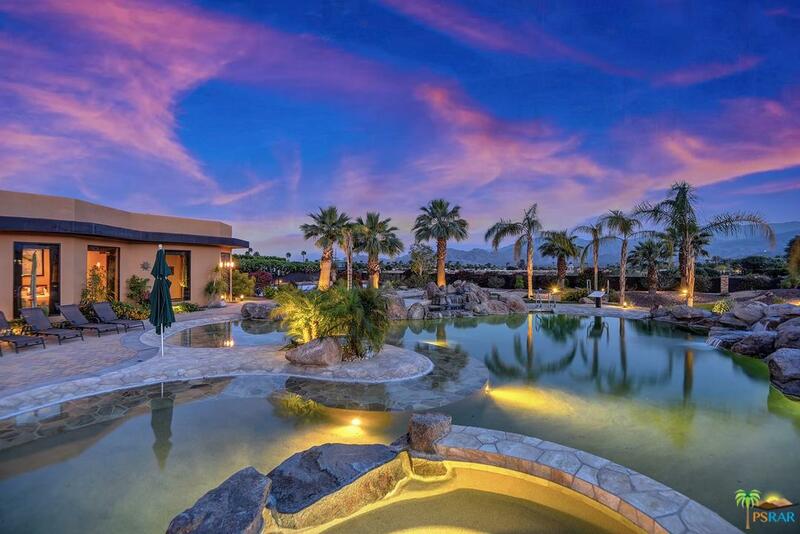 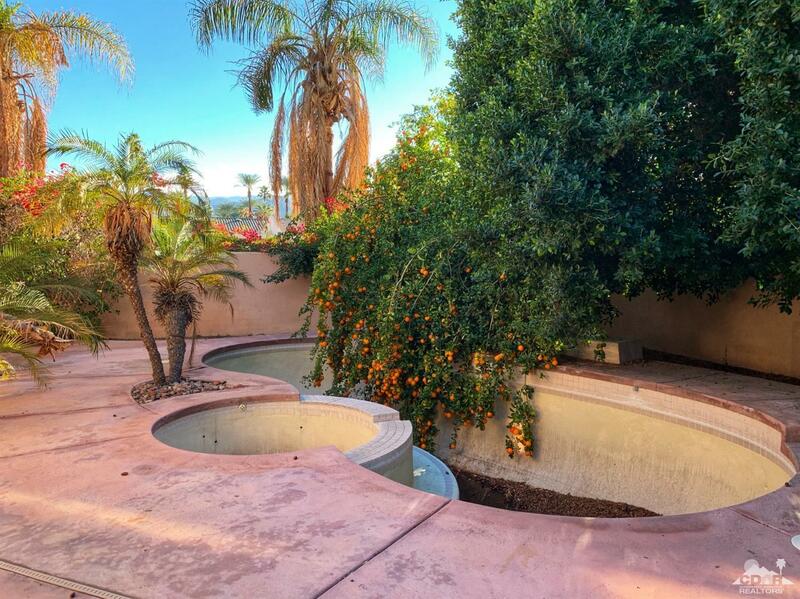 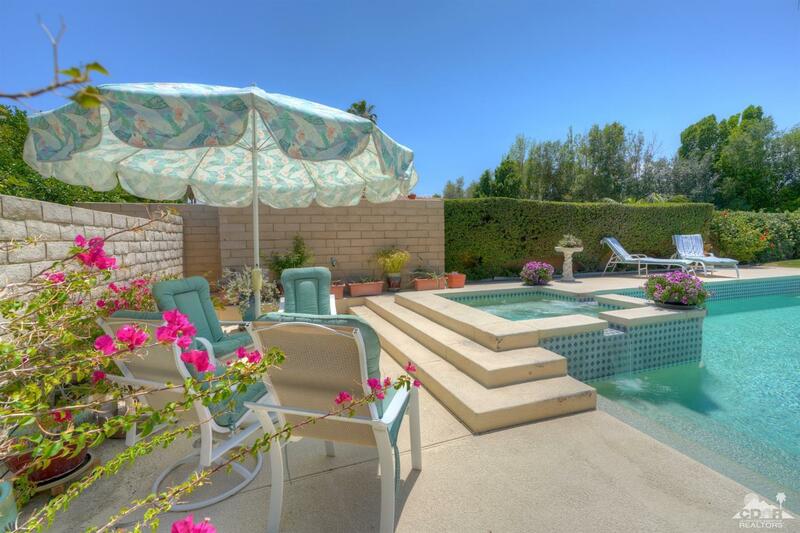 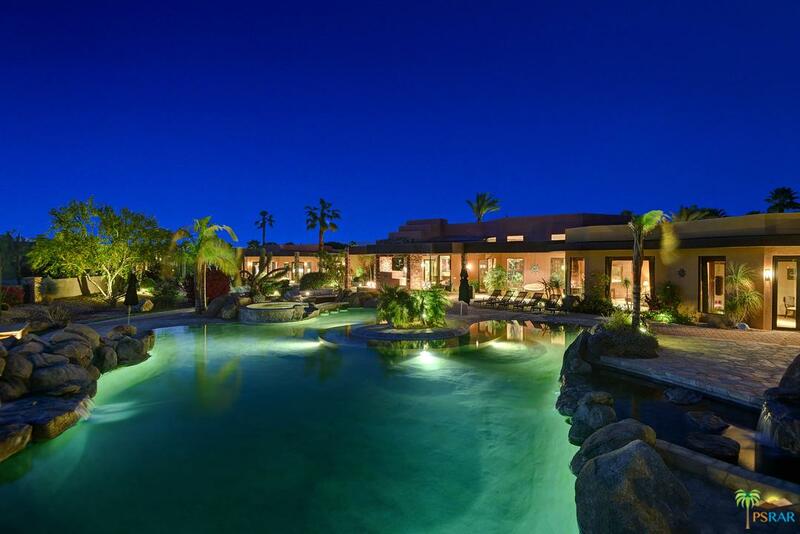 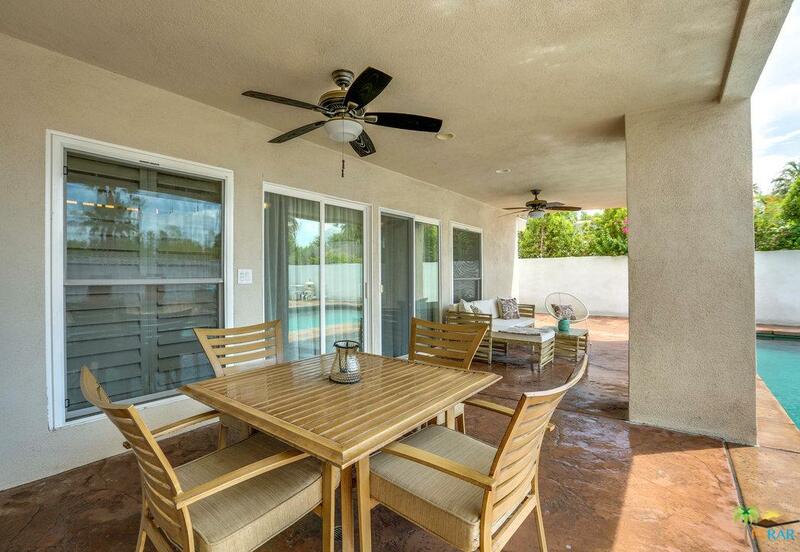 A free form pool, spa, water feature + fire pit are surrounded by an expansive patio and play/entertaining area. 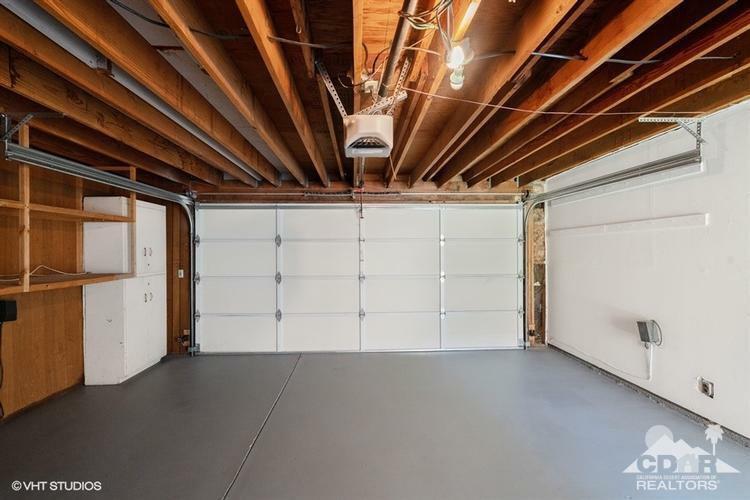 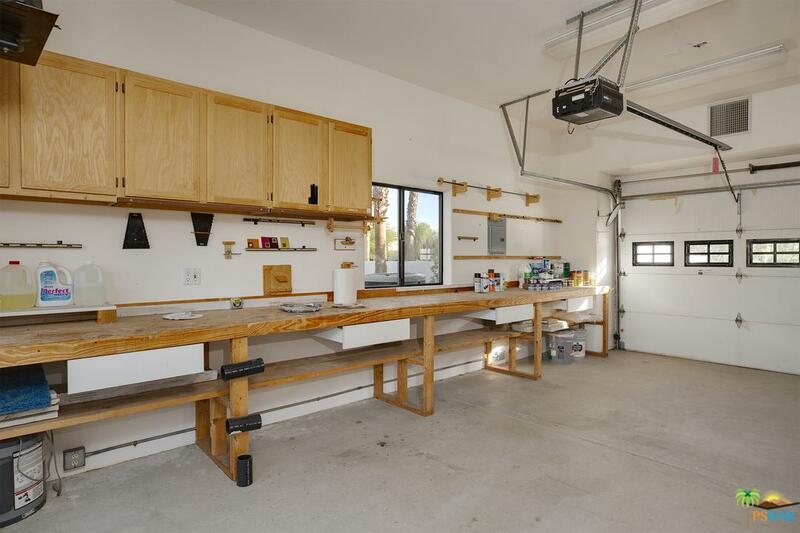 2 car garage with adjoining workshop/studio. 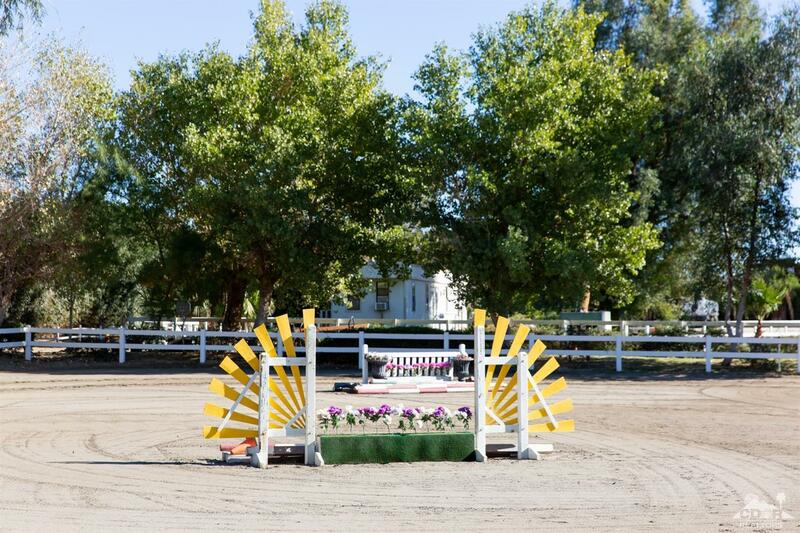 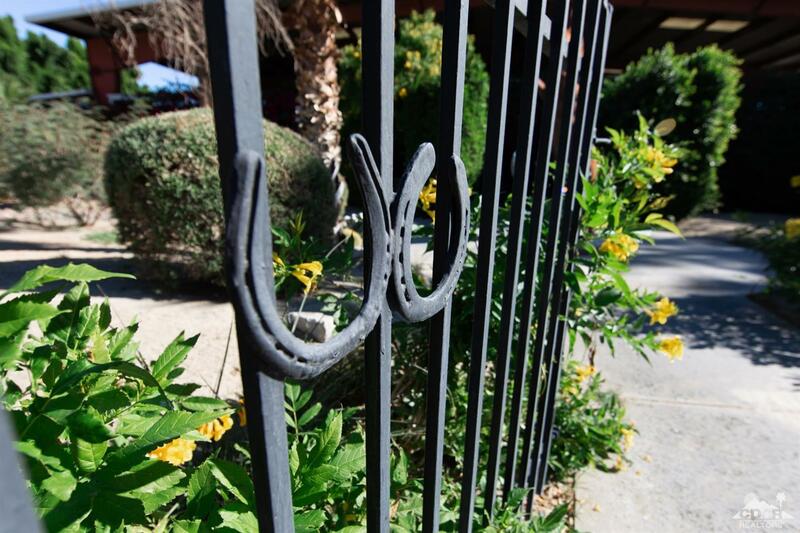 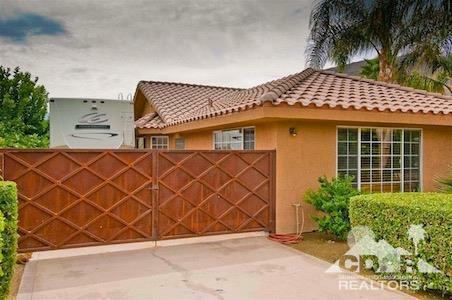 Private gate for additional vehicles or RV. 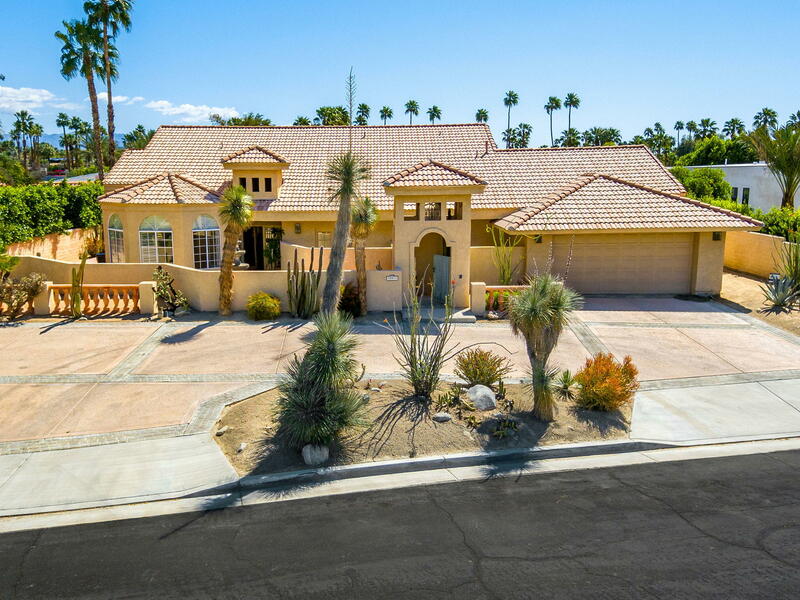 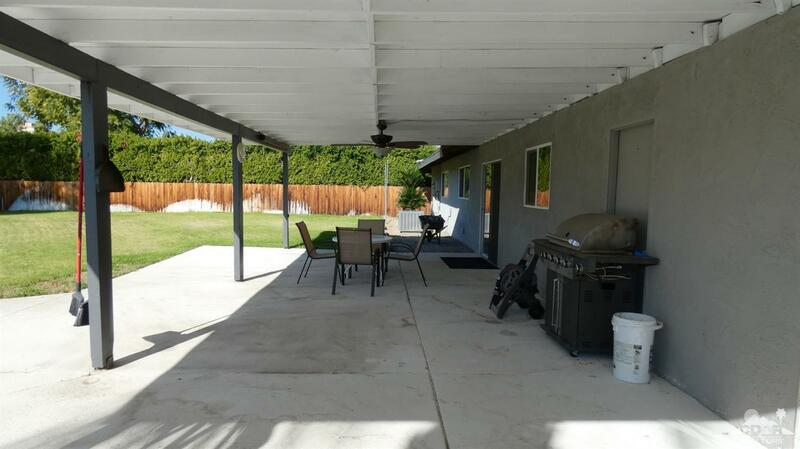 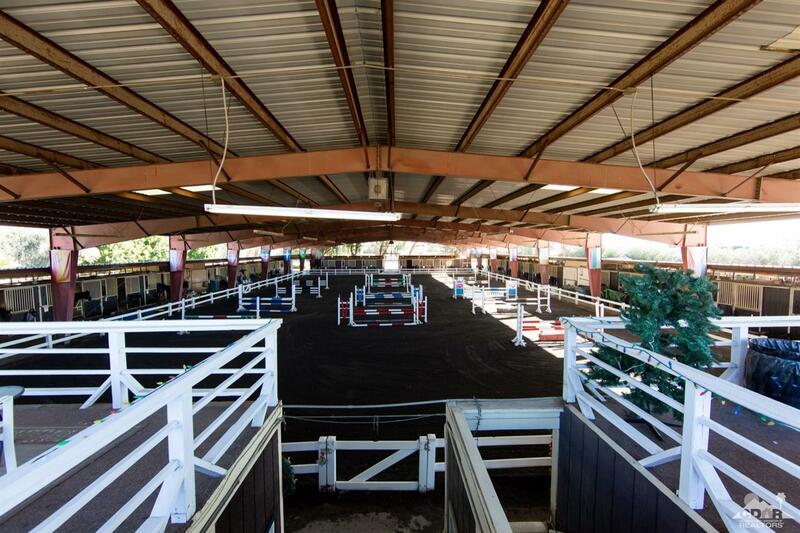 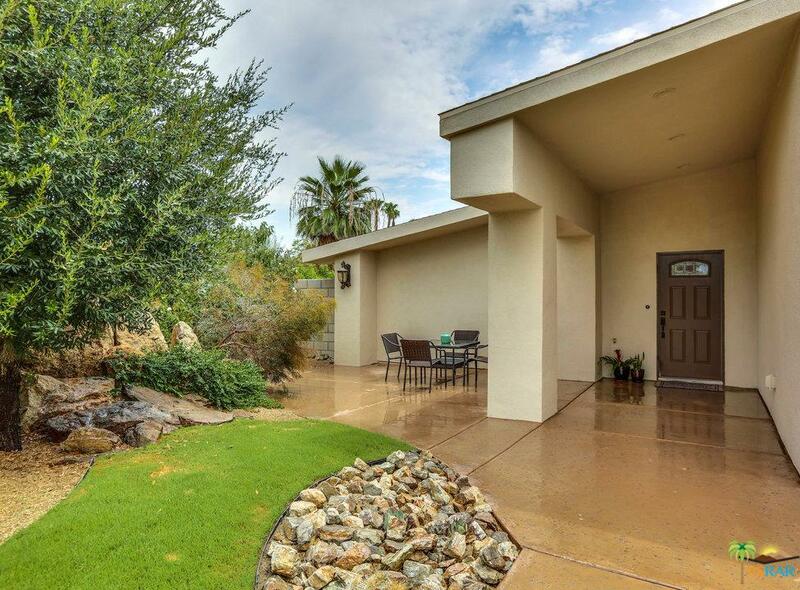 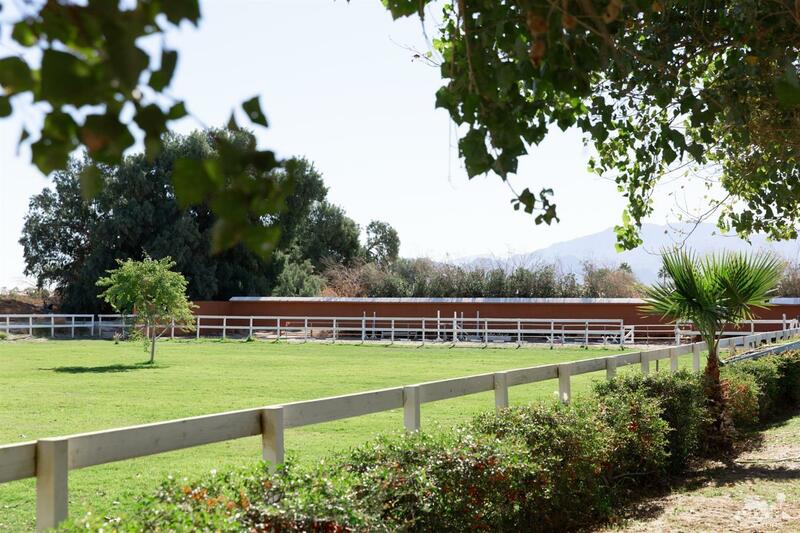 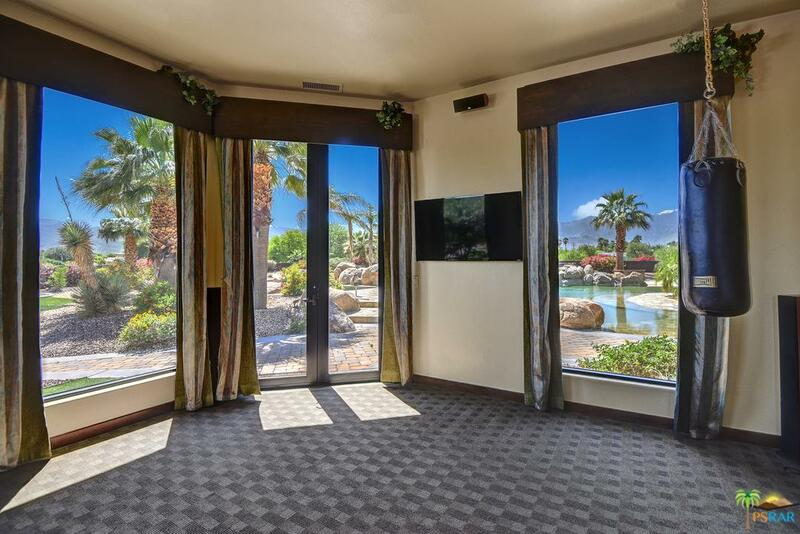 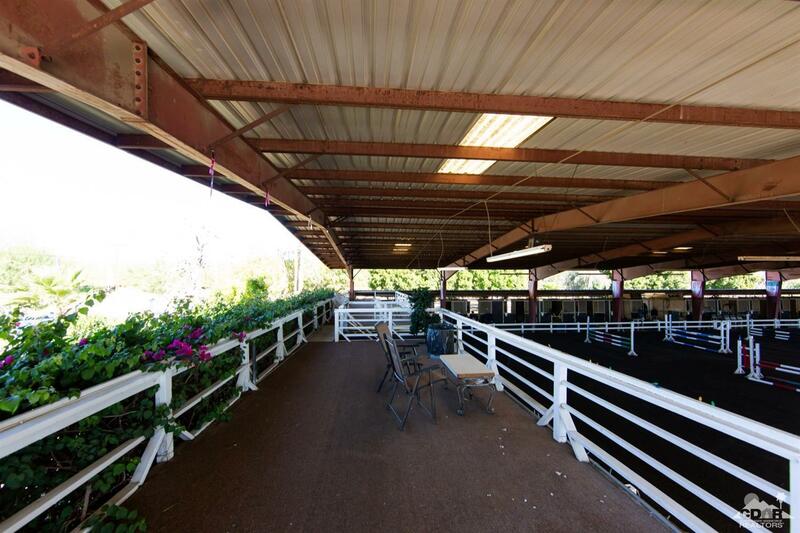 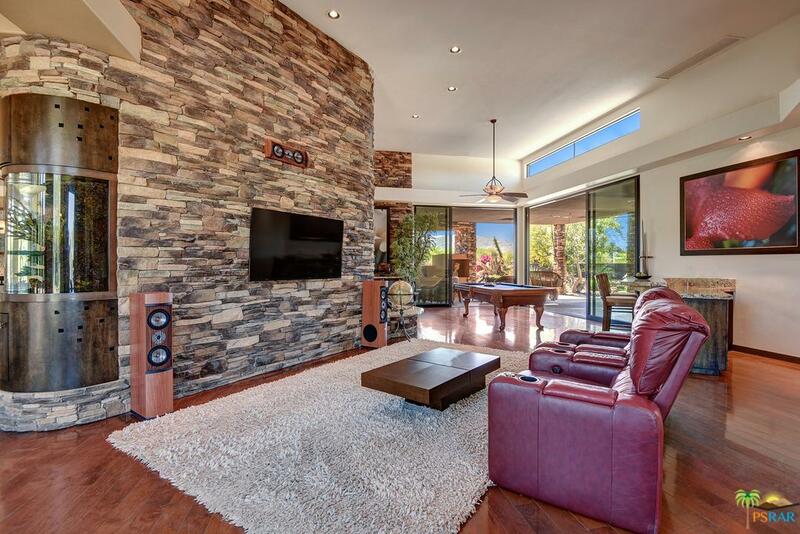 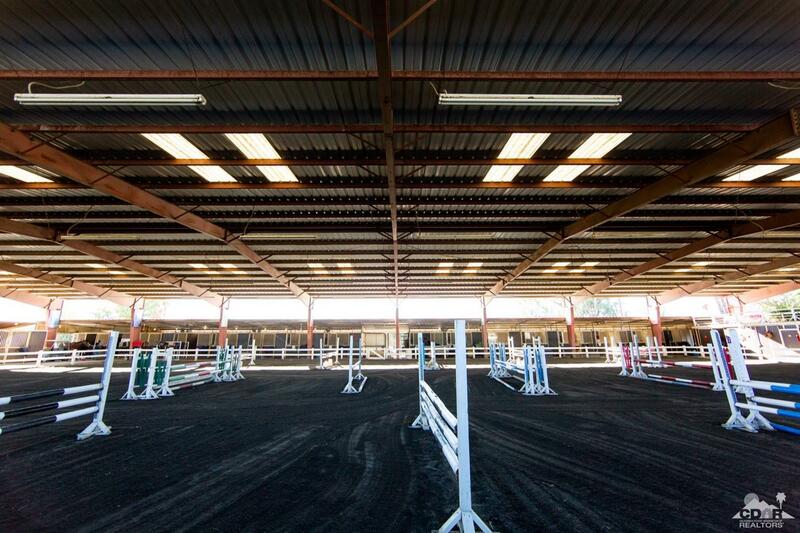 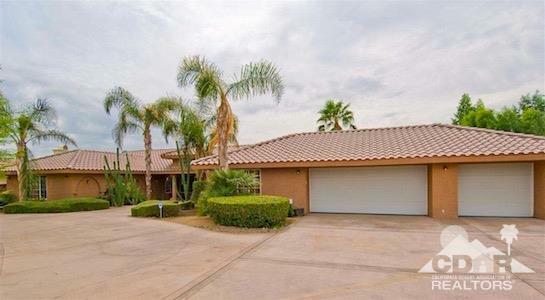 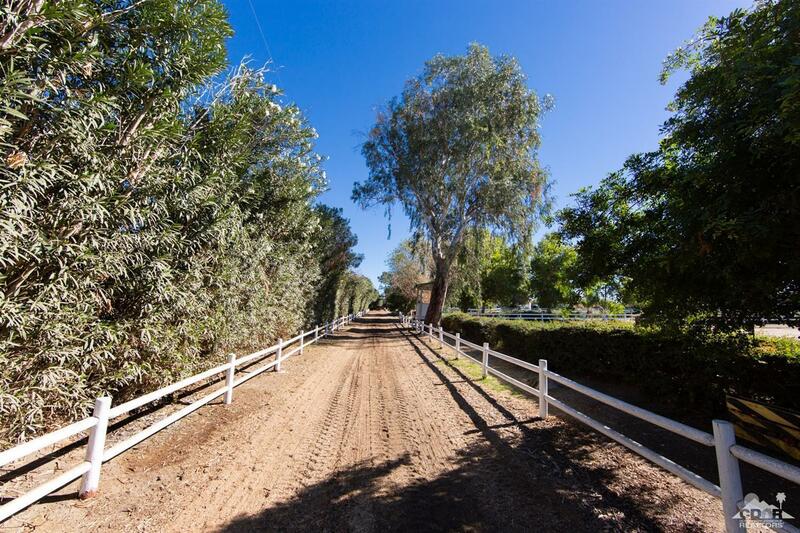 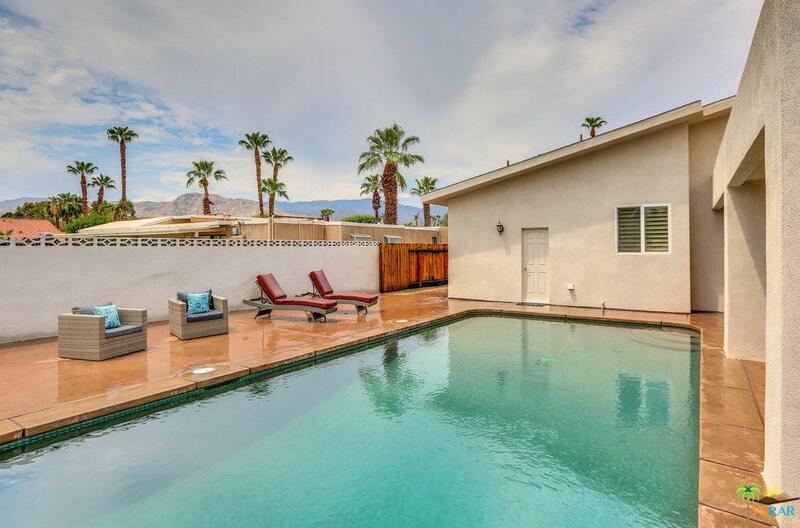 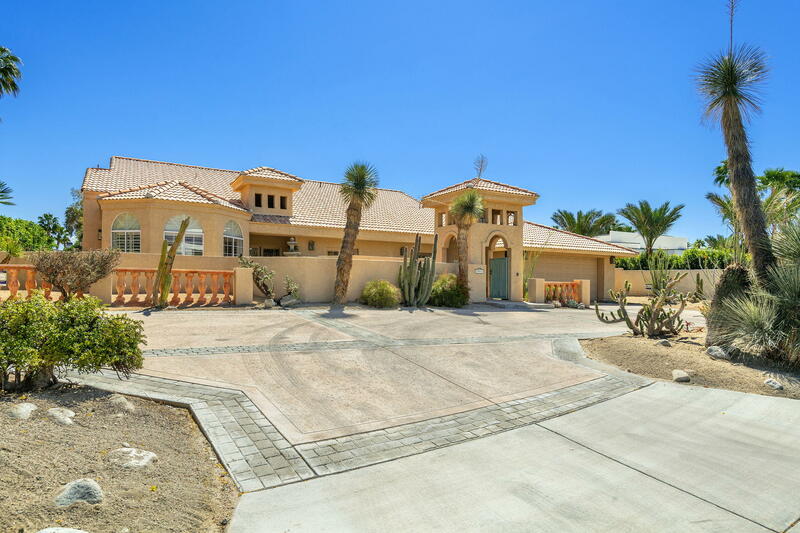 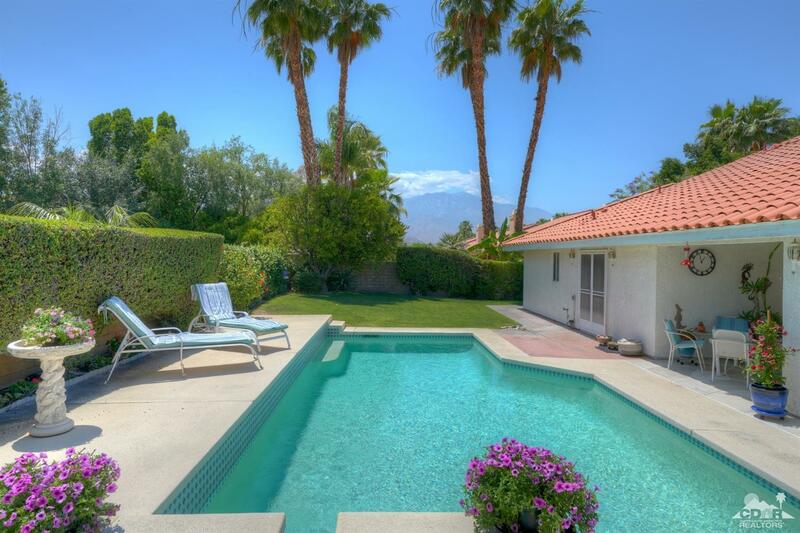 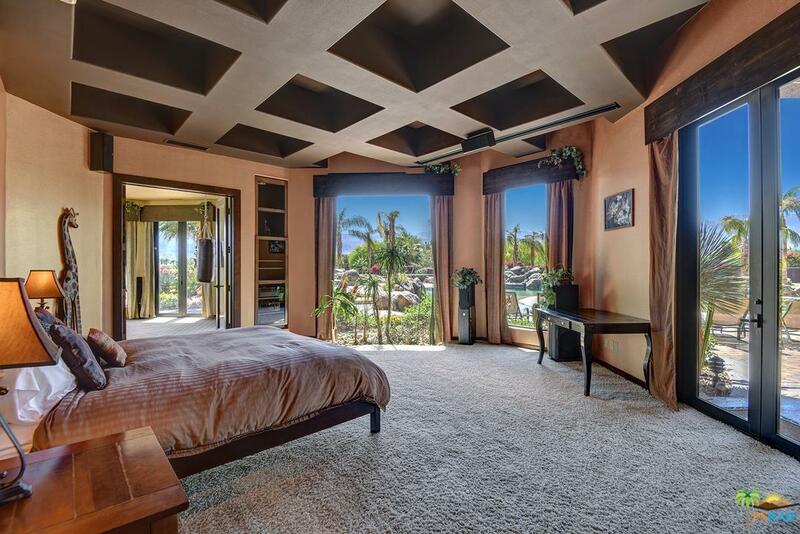 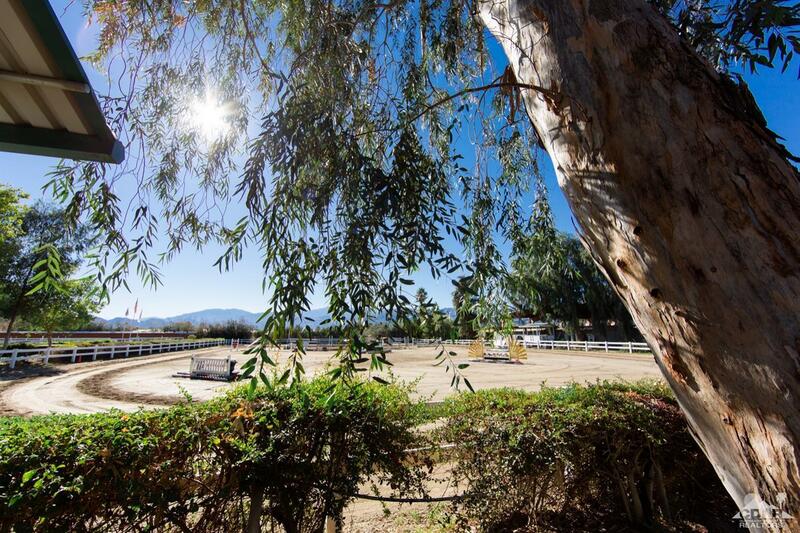 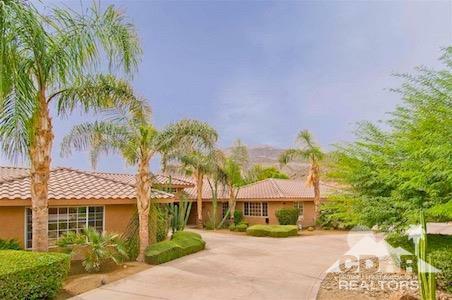 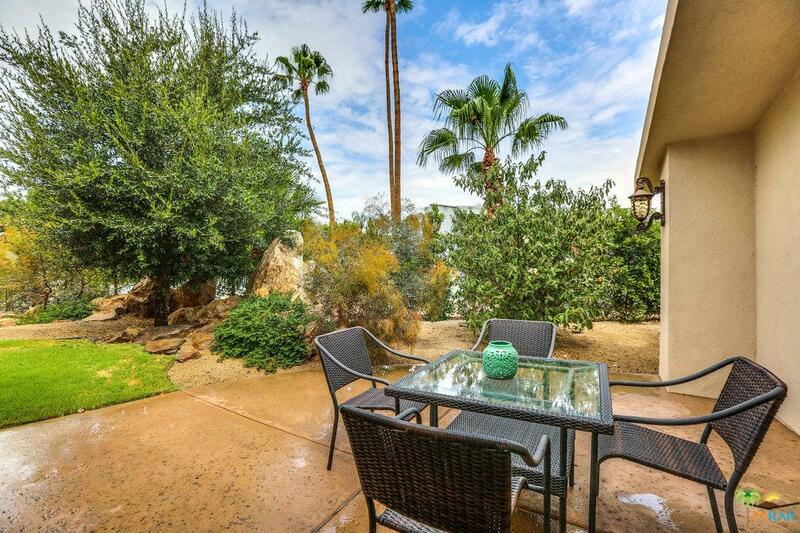 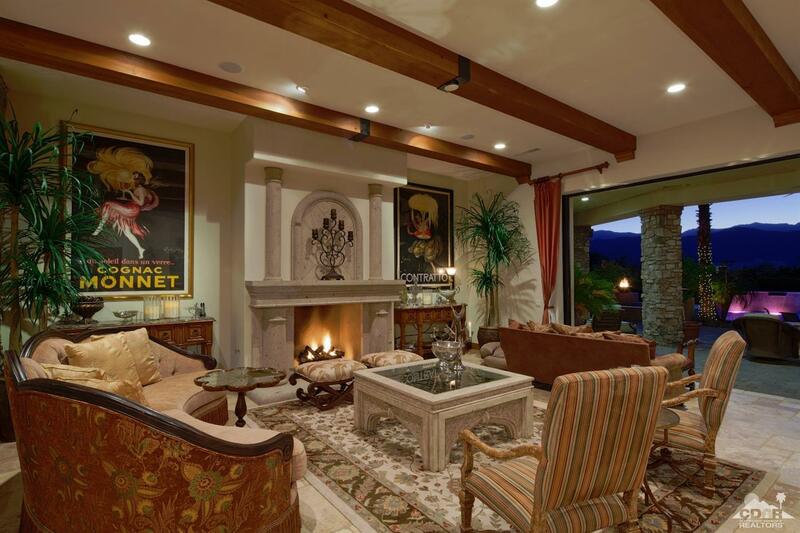 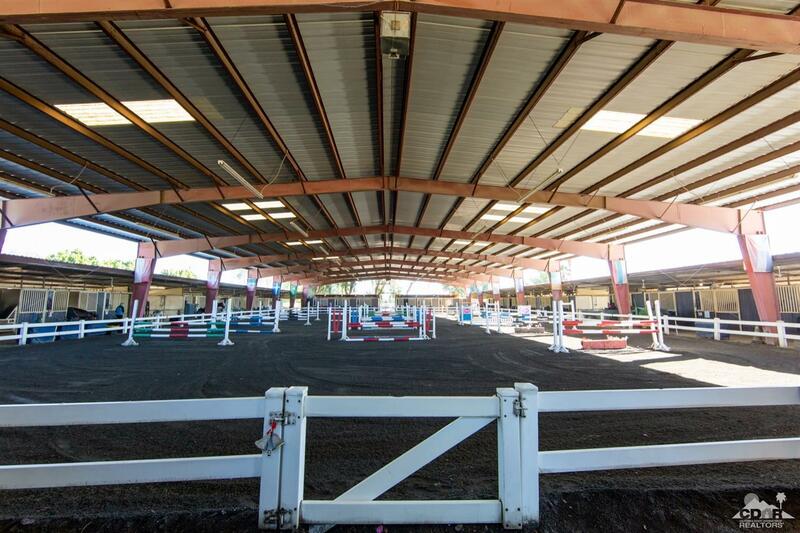 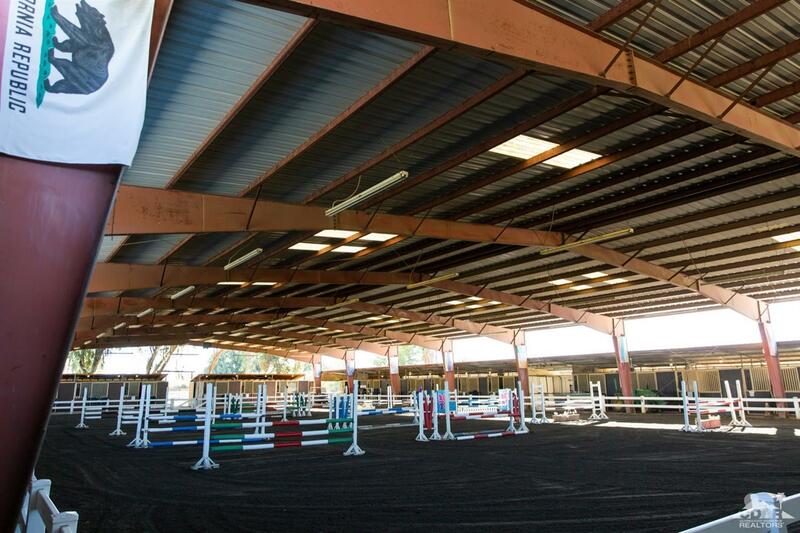 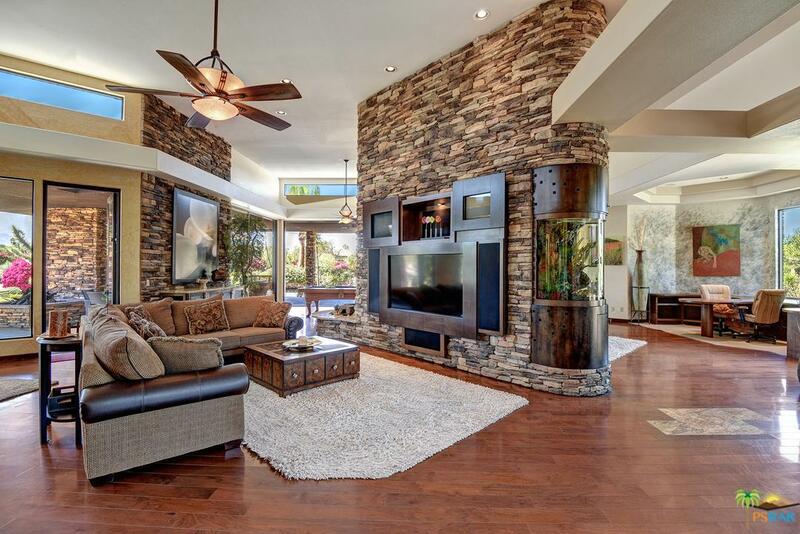 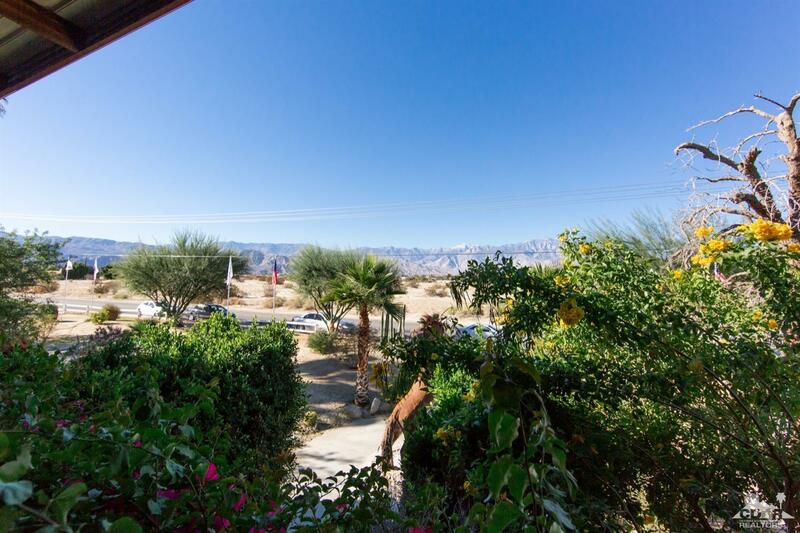 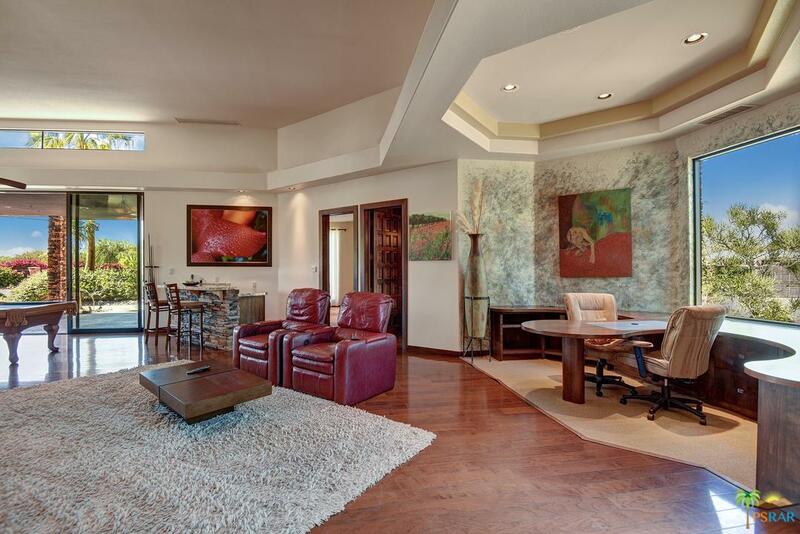 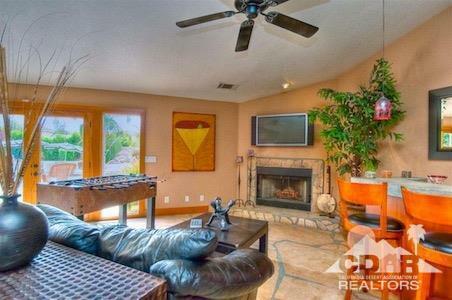 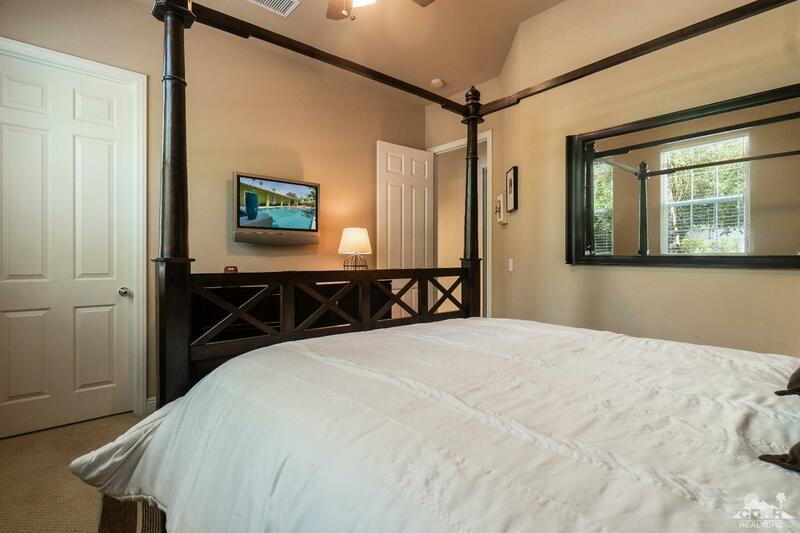 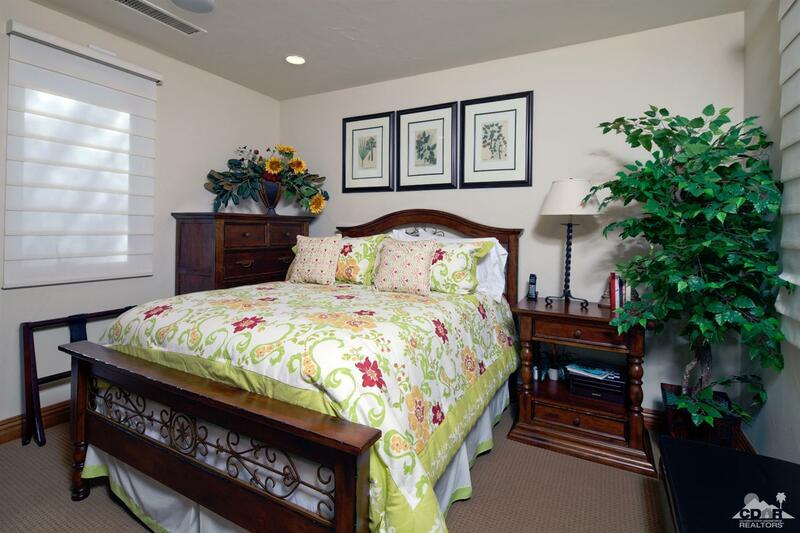 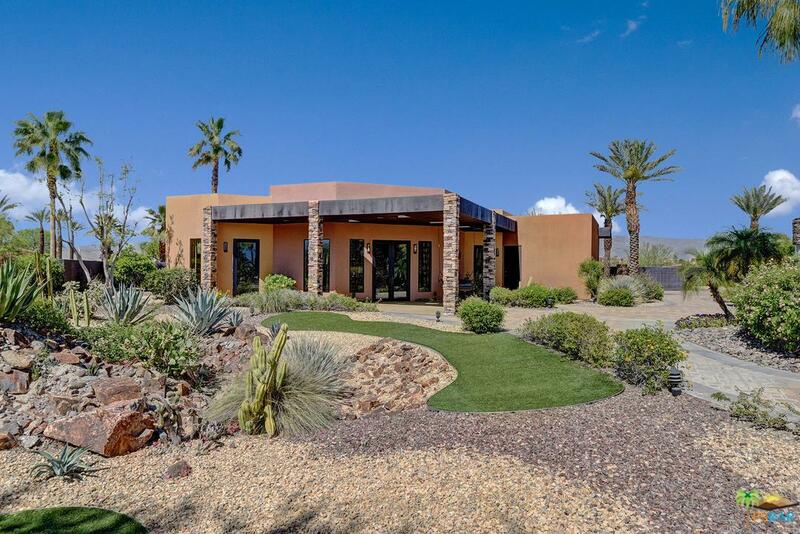 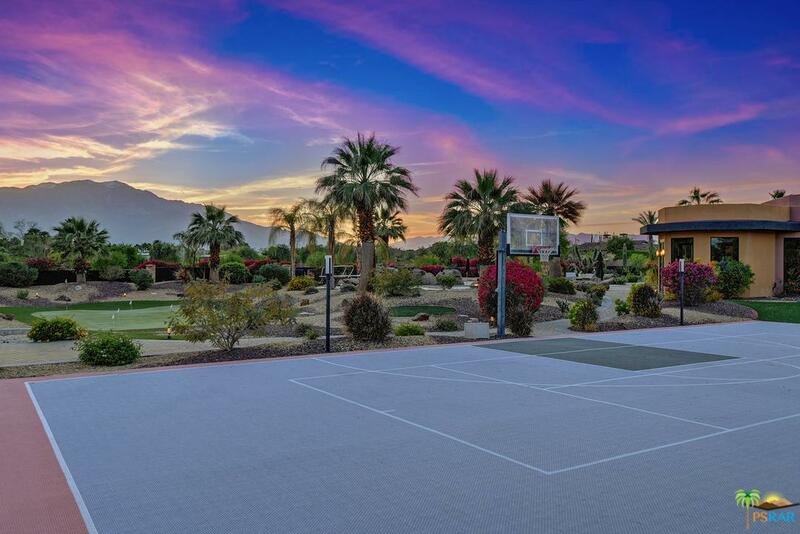 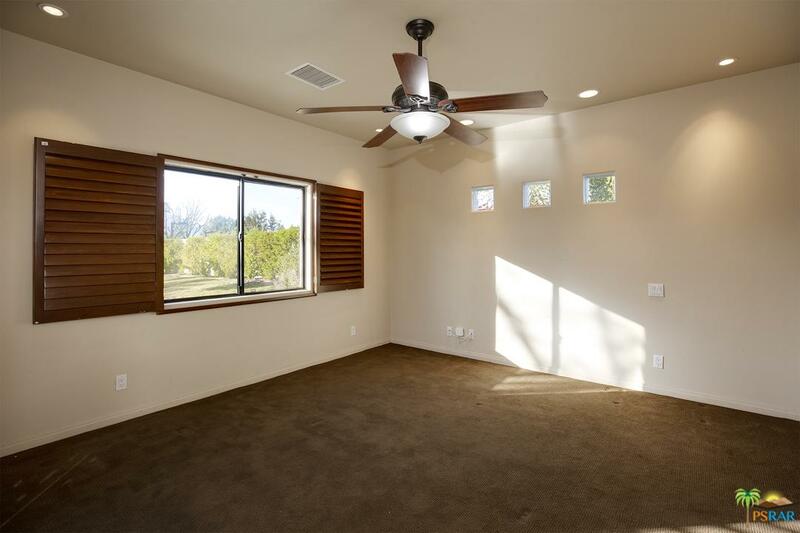 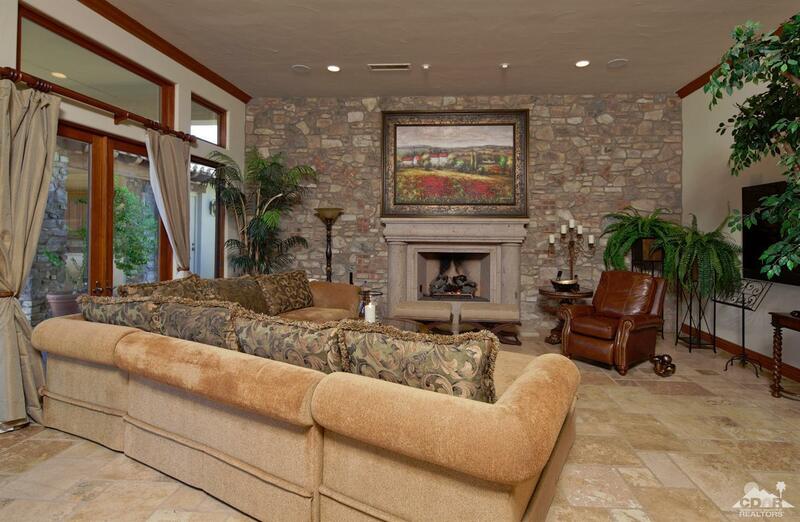 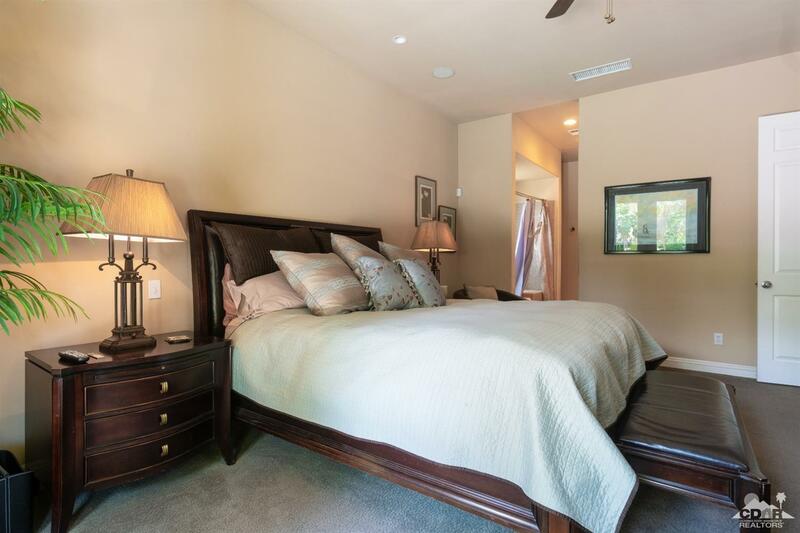 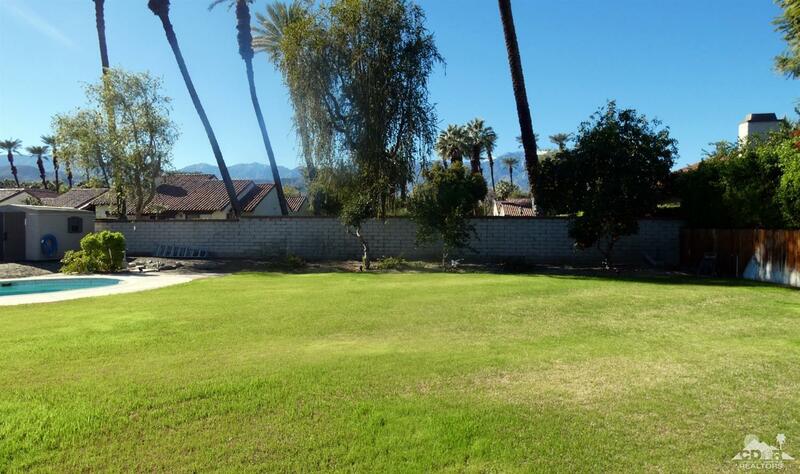 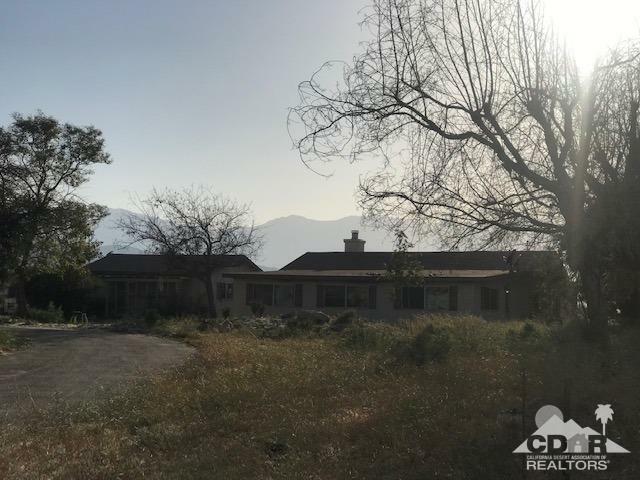 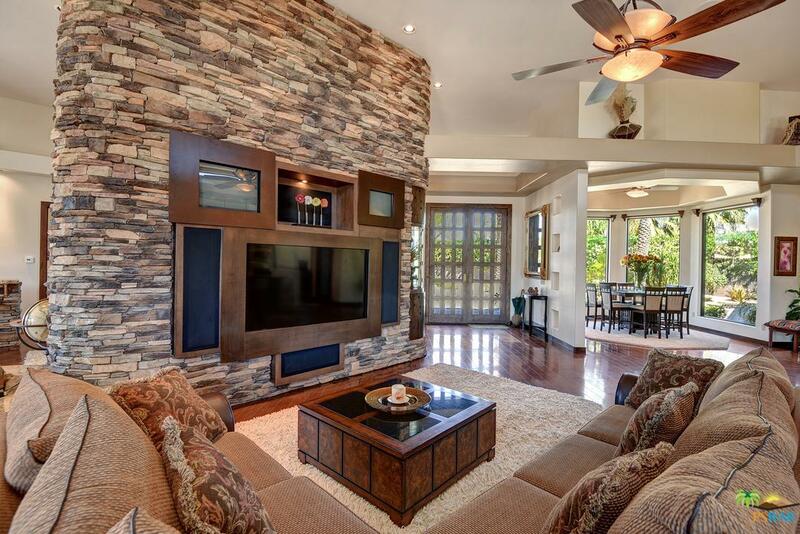 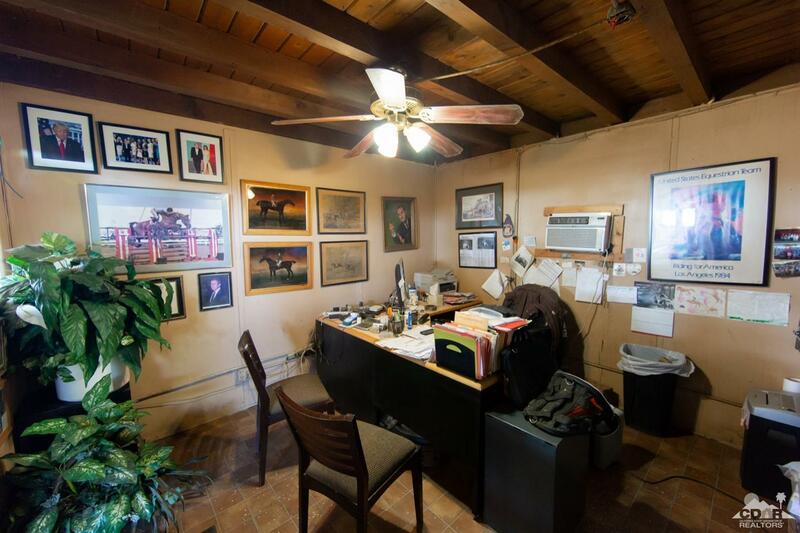 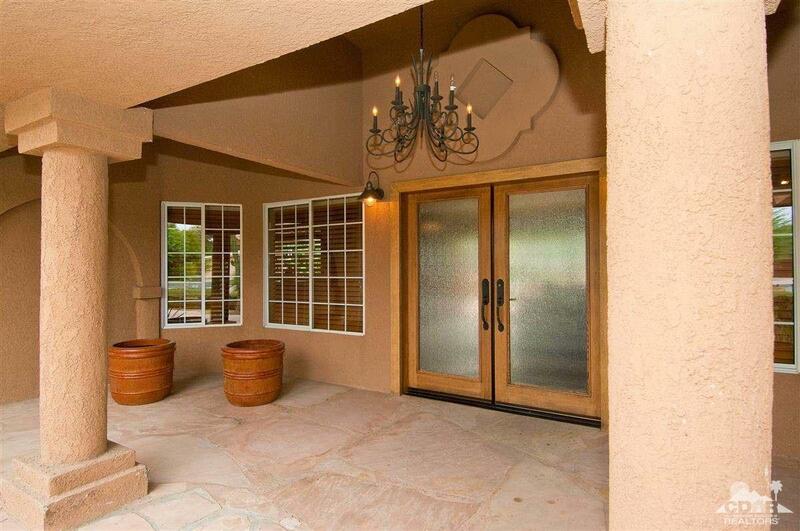 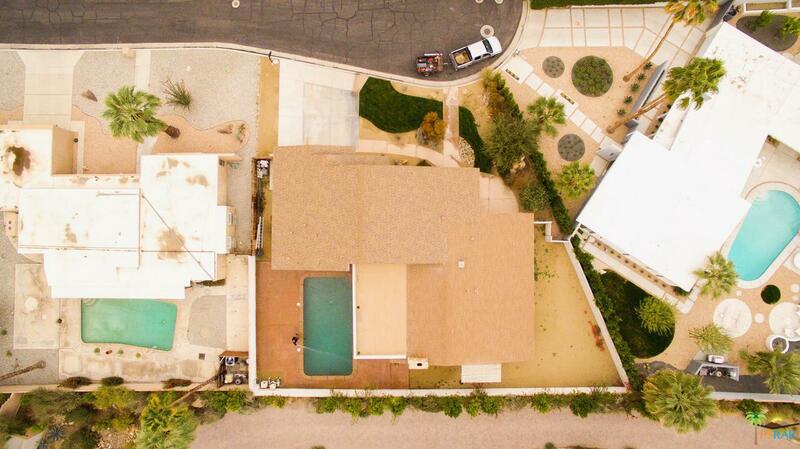 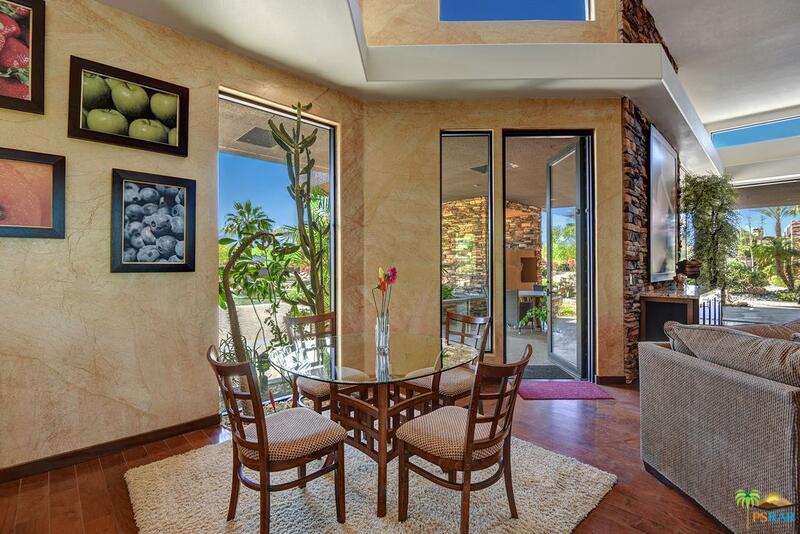 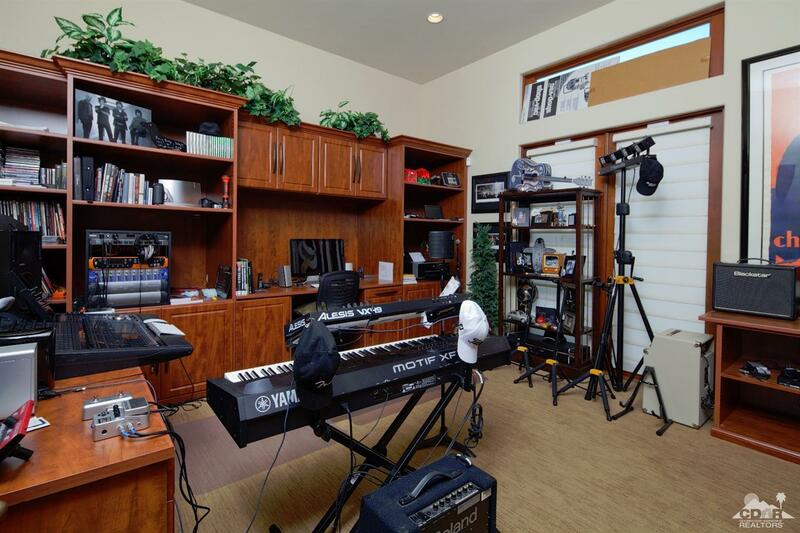 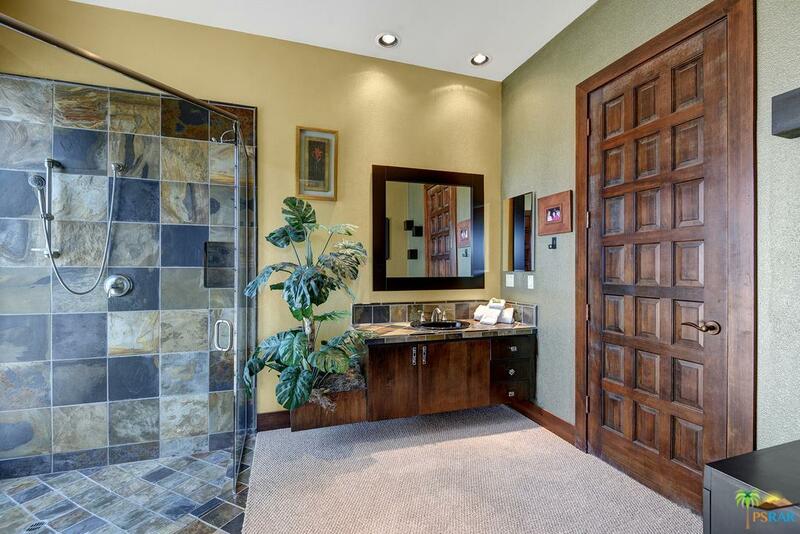 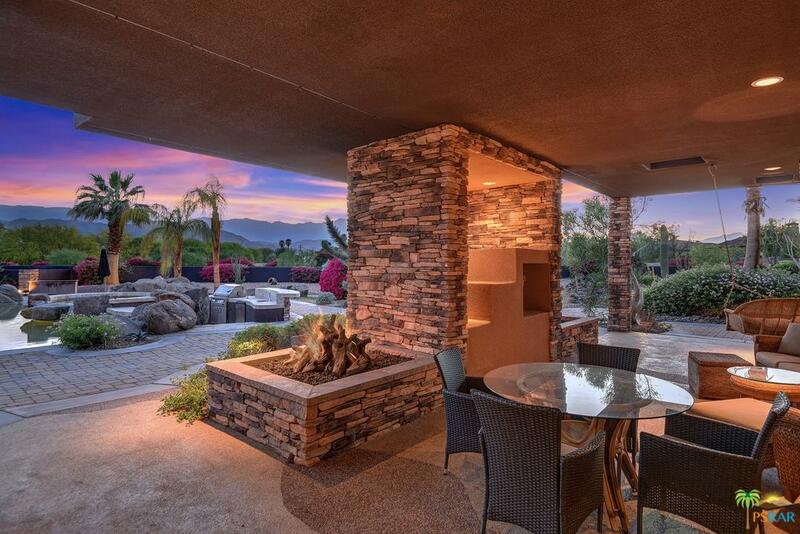 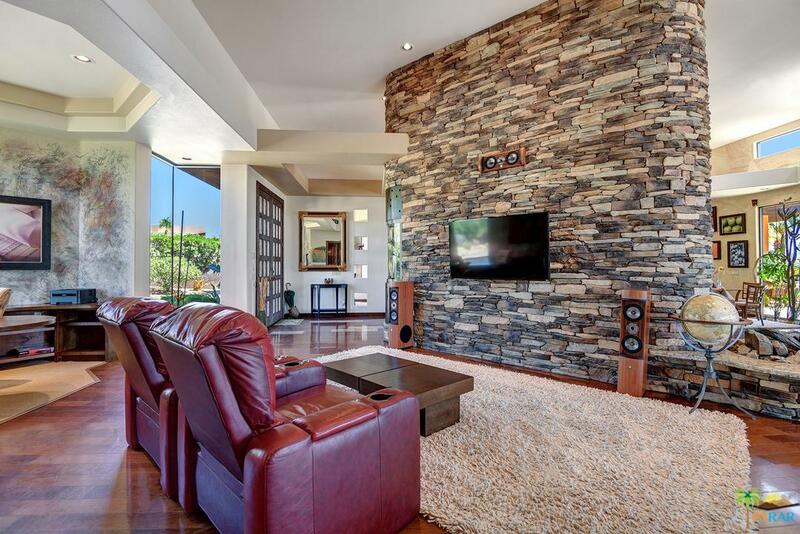 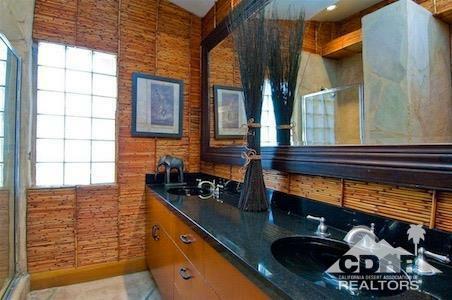 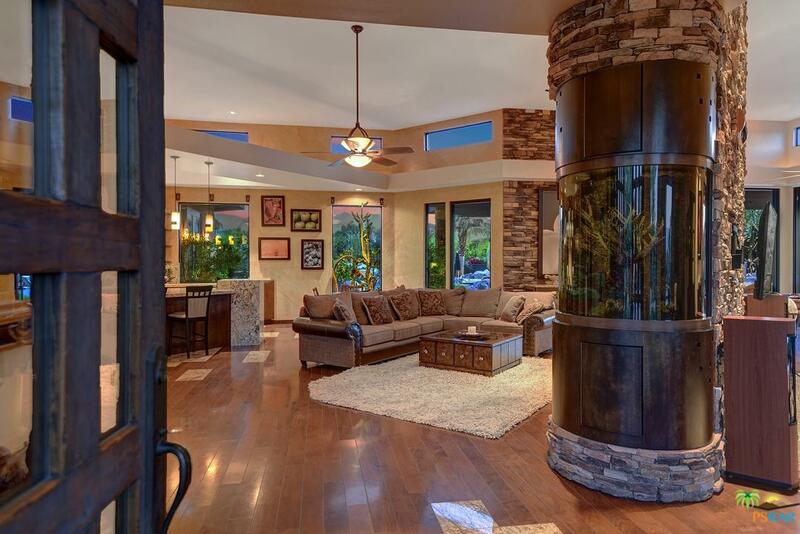 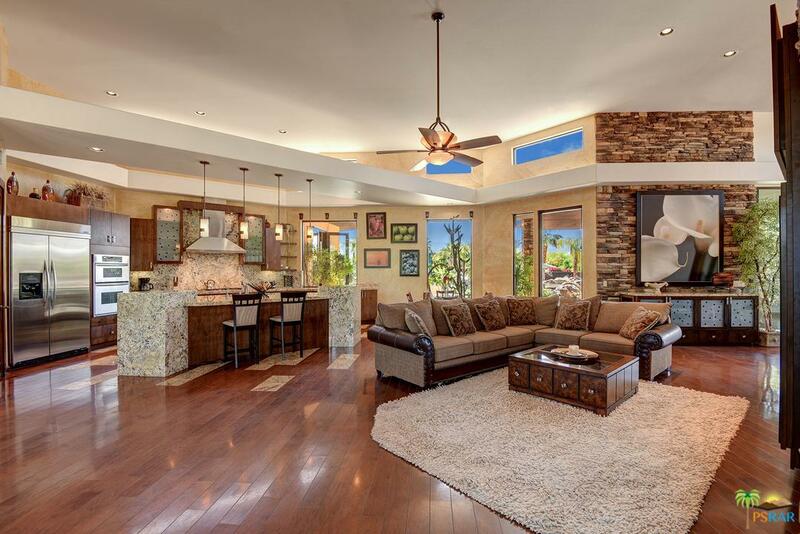 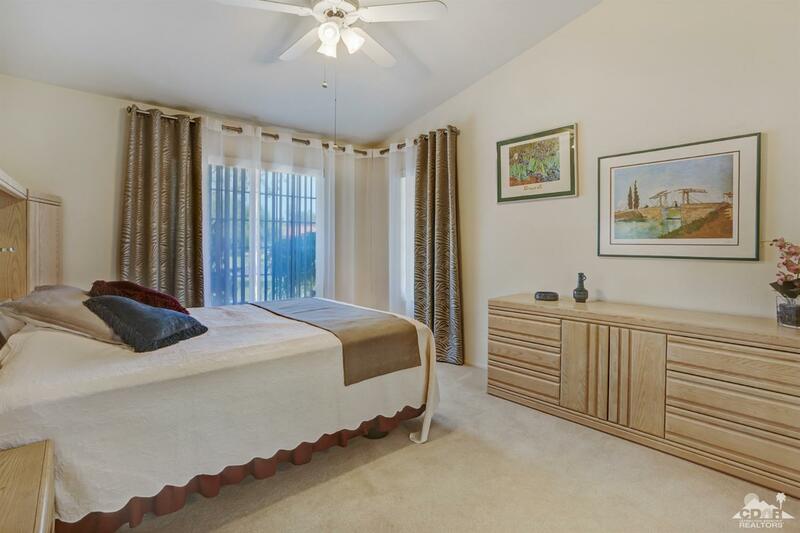 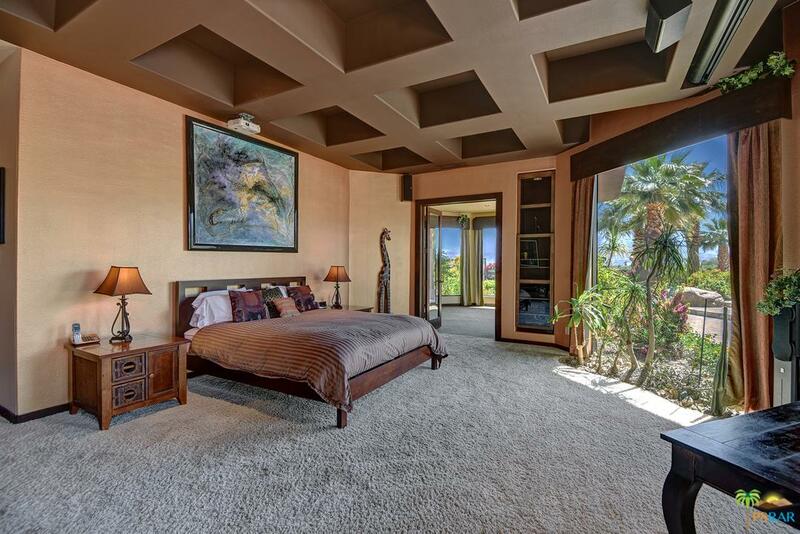 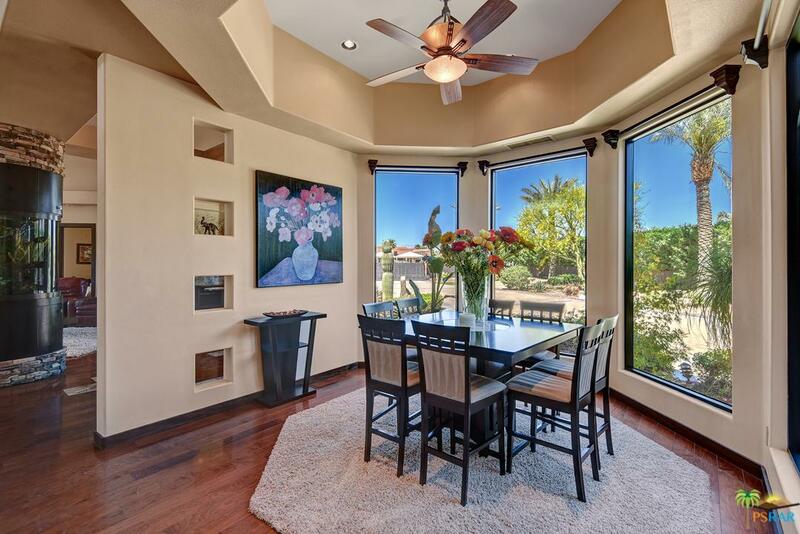 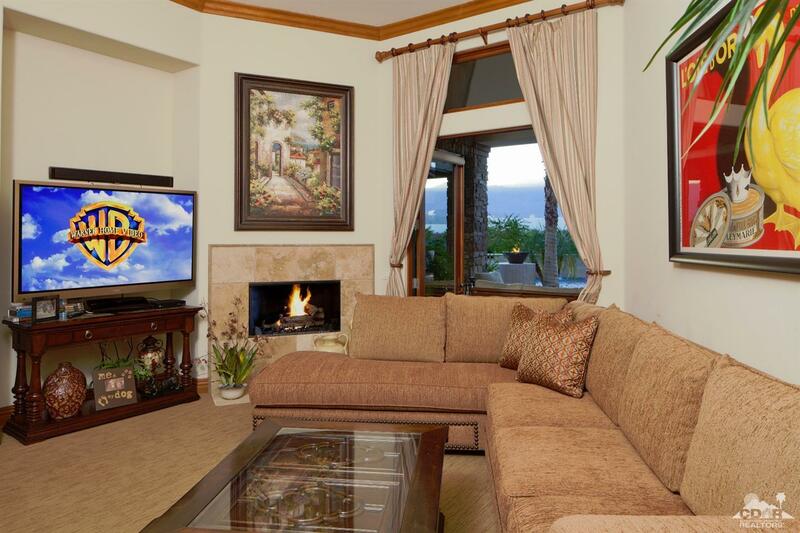 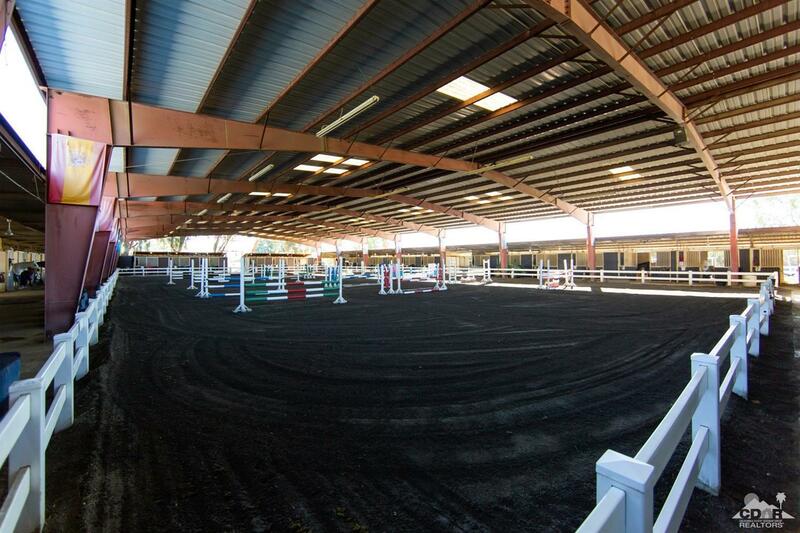 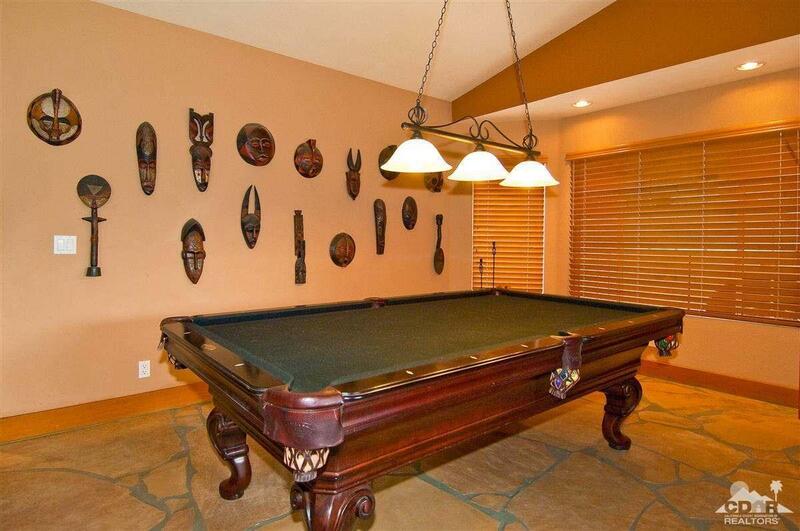 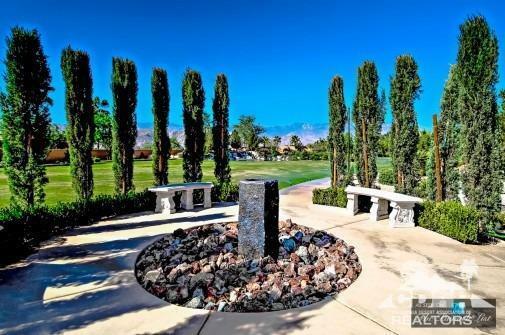 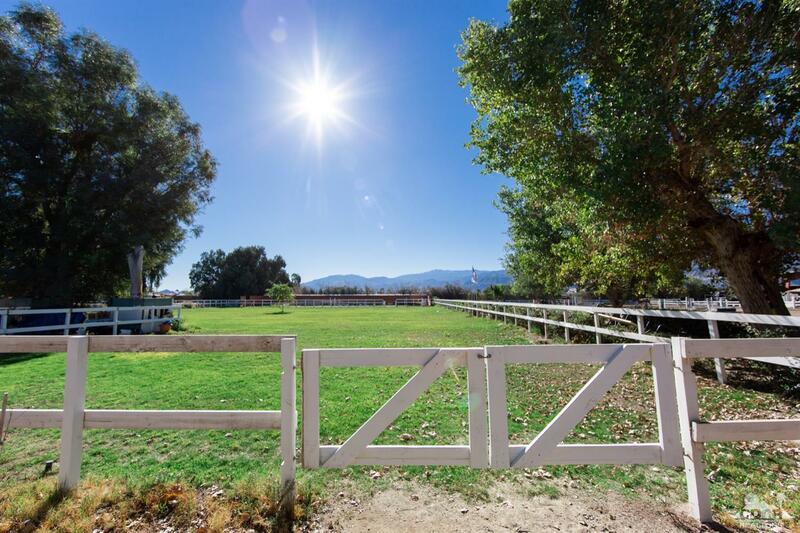 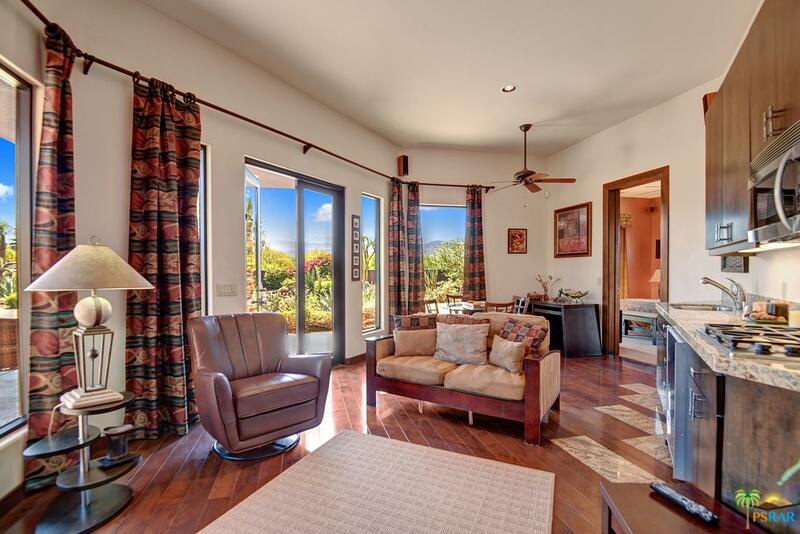 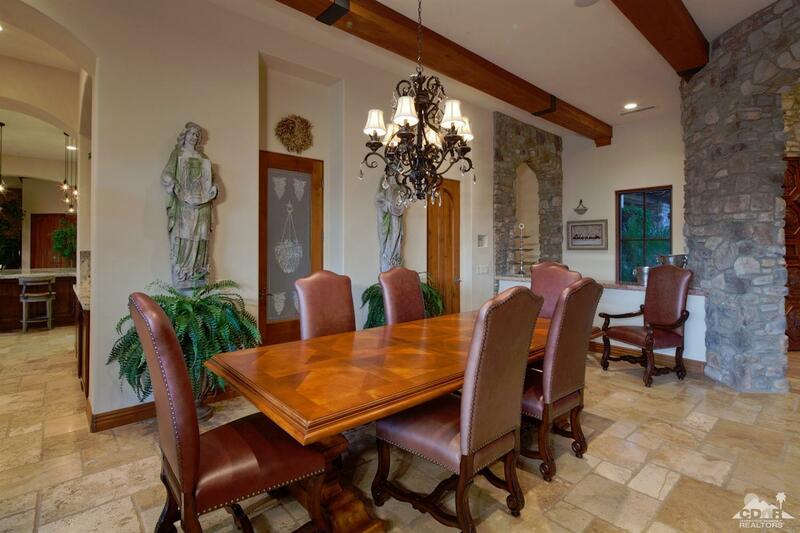 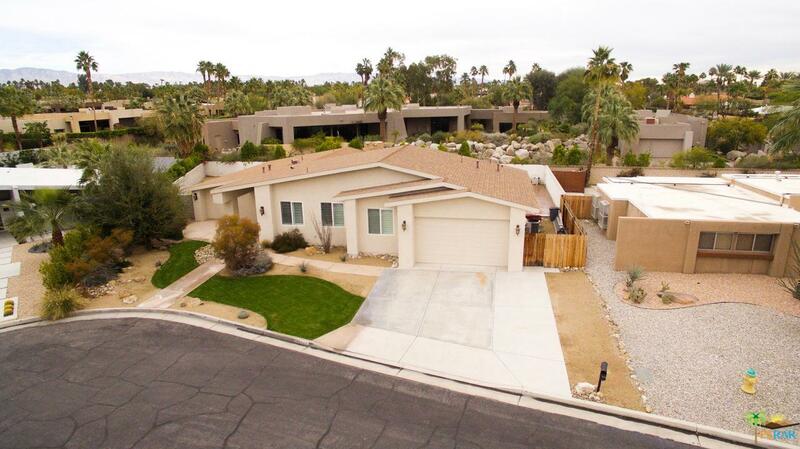 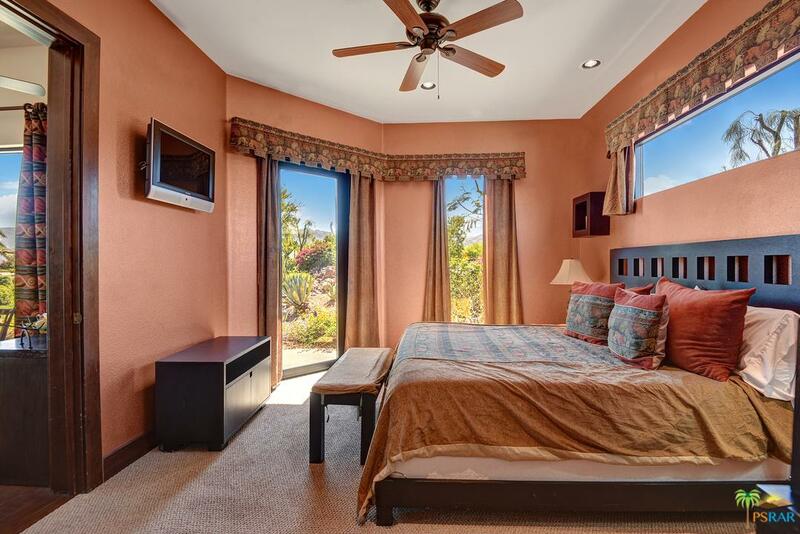 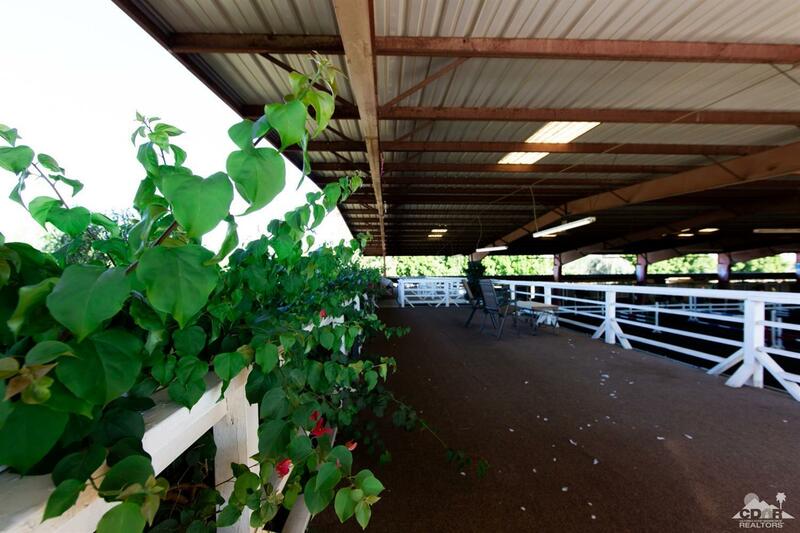 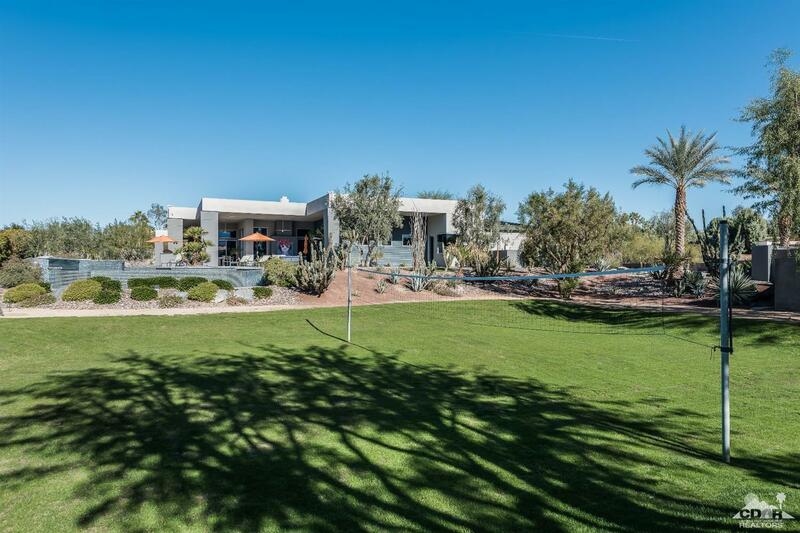 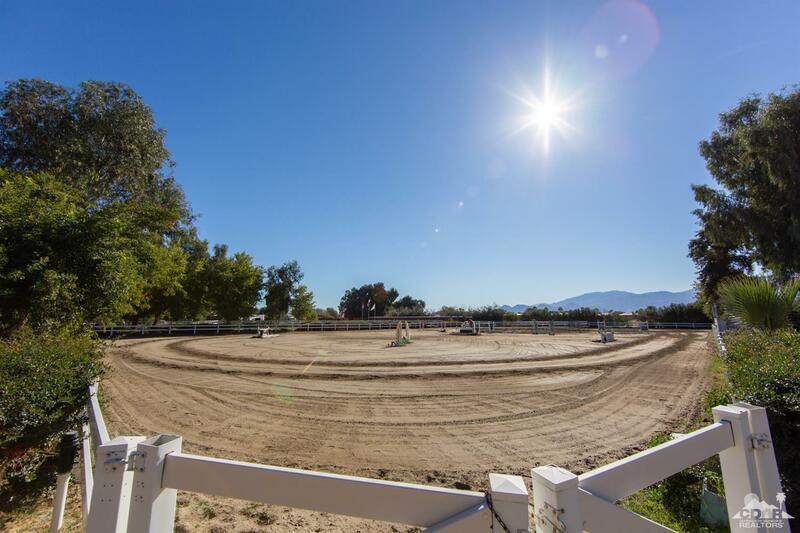 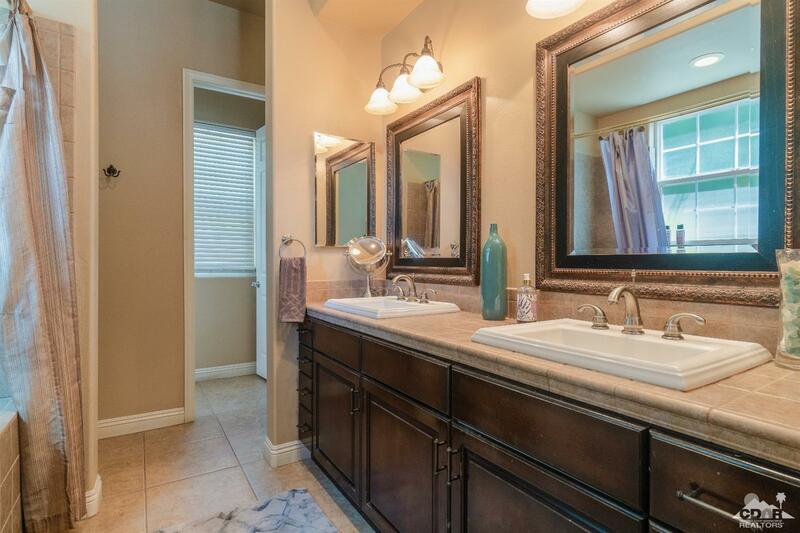 The mountain views are captured from almost every angle on the over sized 12,632 sq ft corner lot.